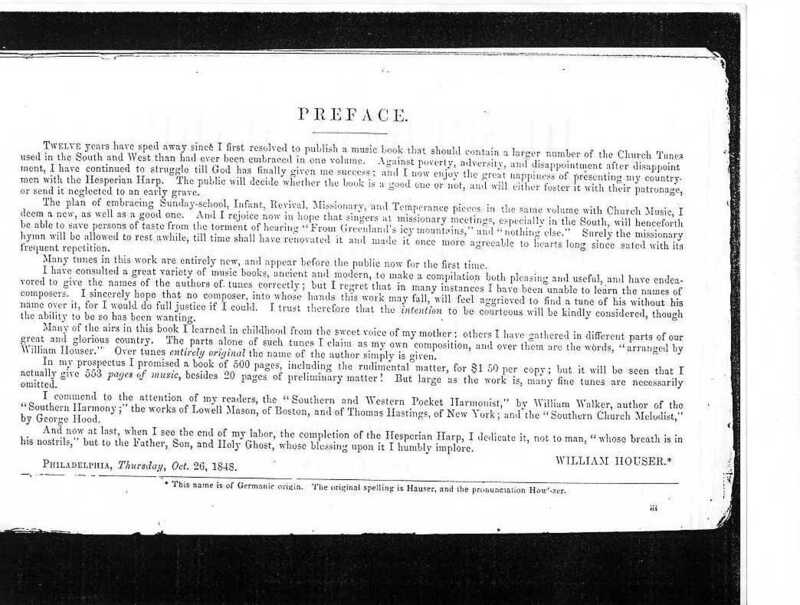 I had started with a somewhat dog-eared fragmentary copy of the book kindly furnished by Richard Hulan, and with that copy and some further copies sent me by Charles Wells, originally had about two-thirds of the book posted. 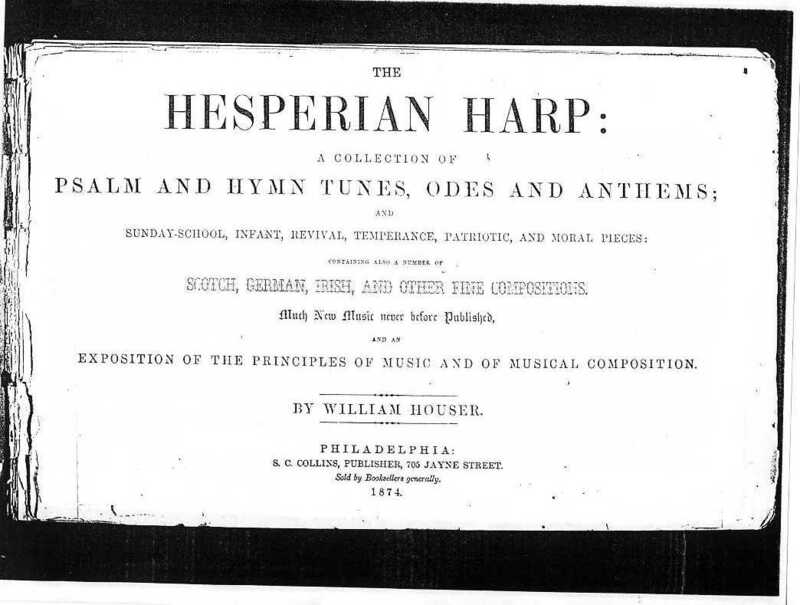 Later I aquired photocopies of the entire book from the most thoughtful John Bayer, and now all the music pages are available on this site. 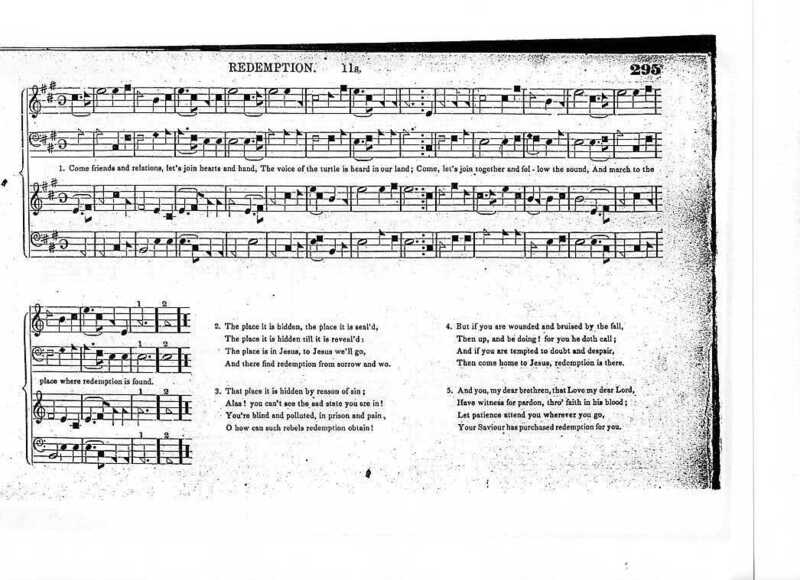 Please feel free to offer criticisms and suggestions for improvement. 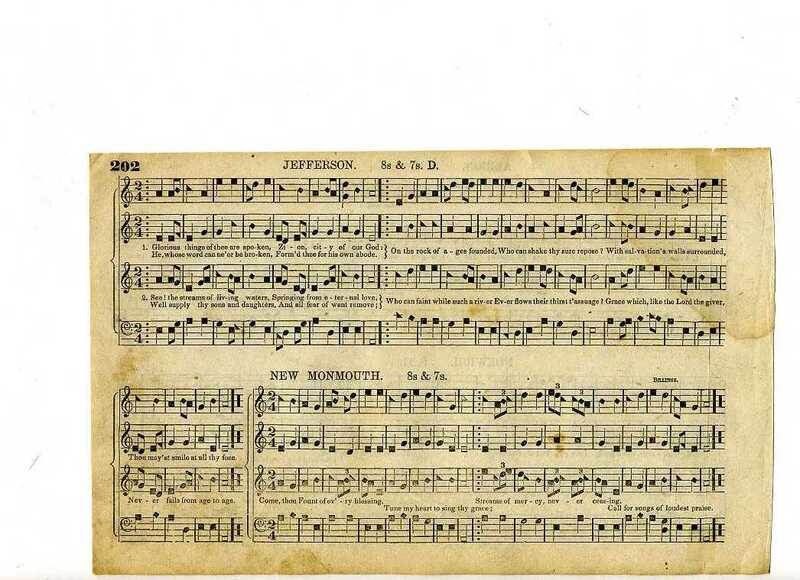 You can contact me at Berkley Moore. 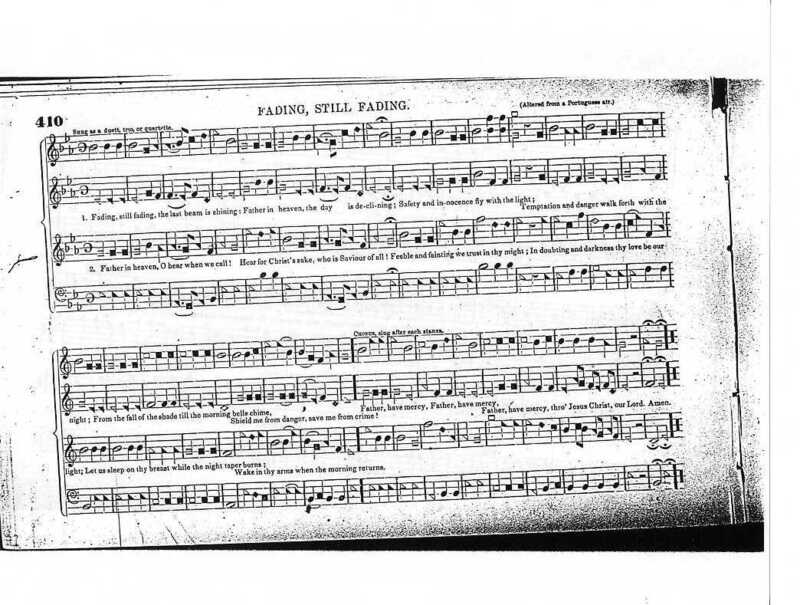 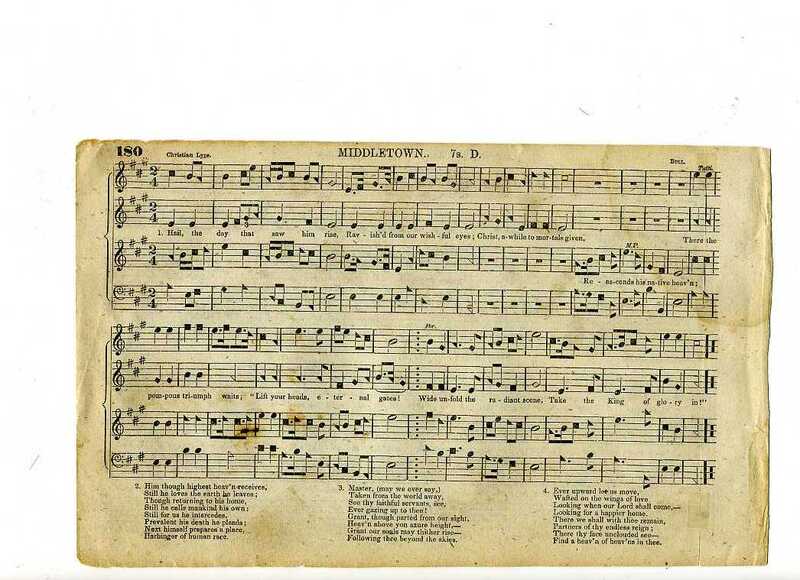 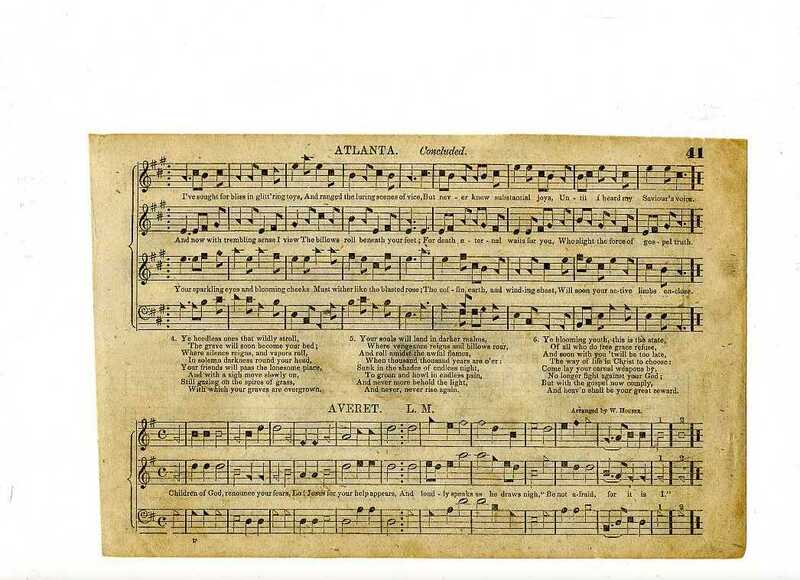 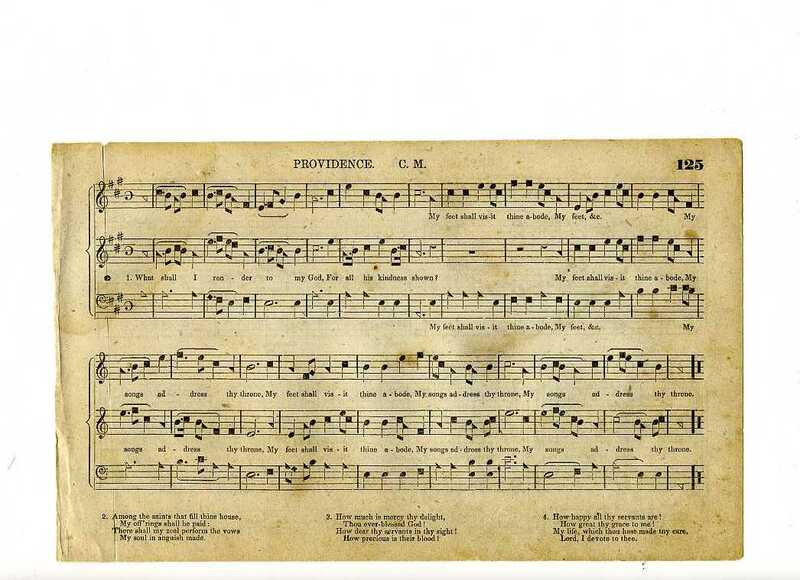 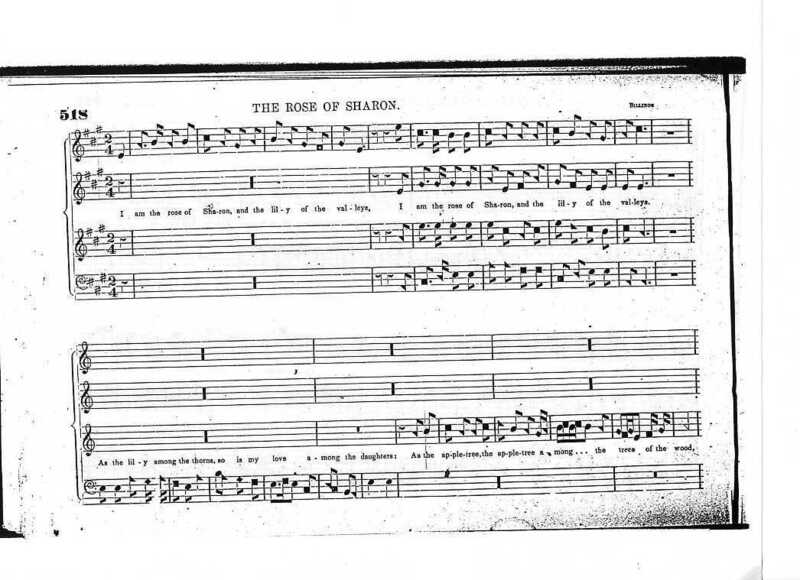 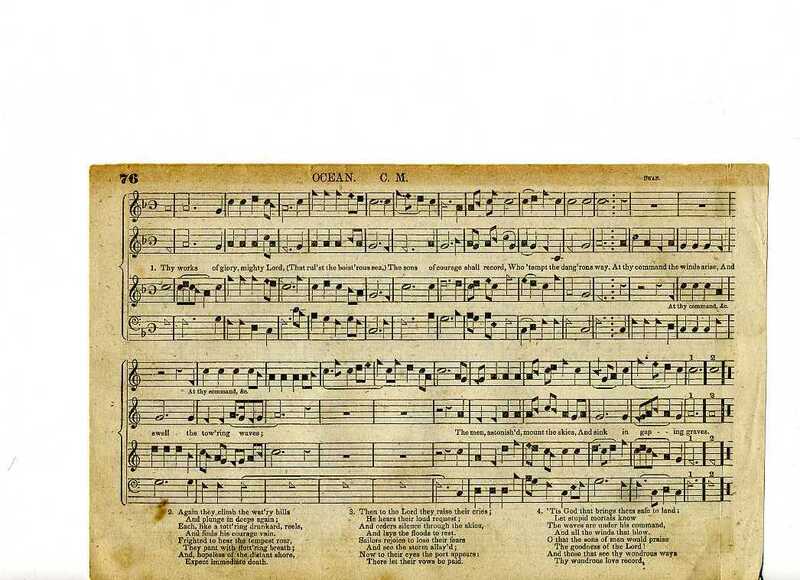 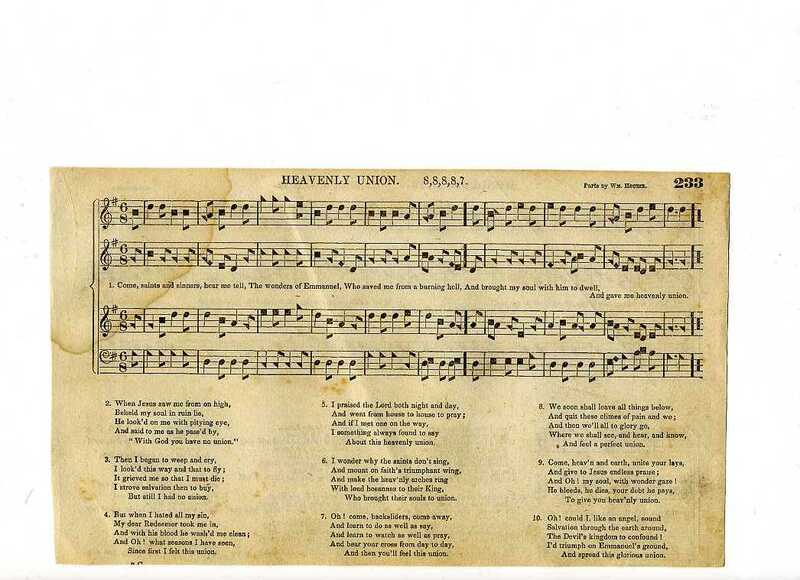 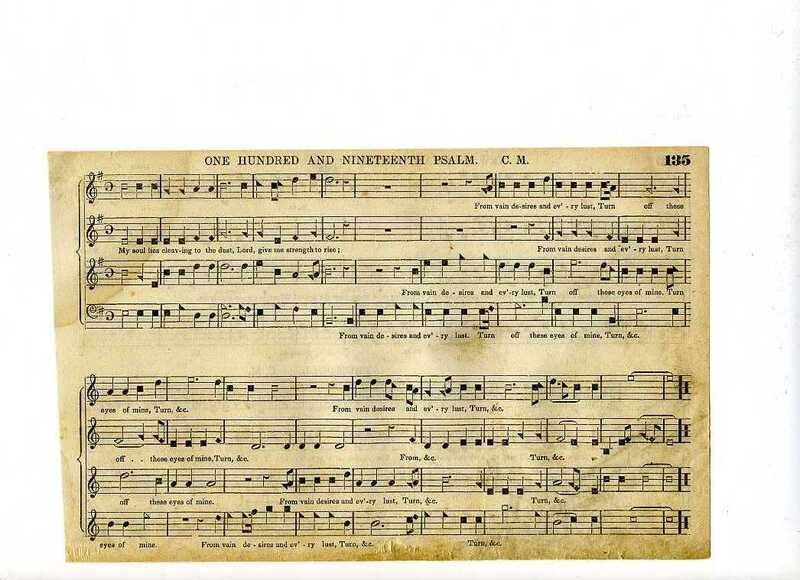 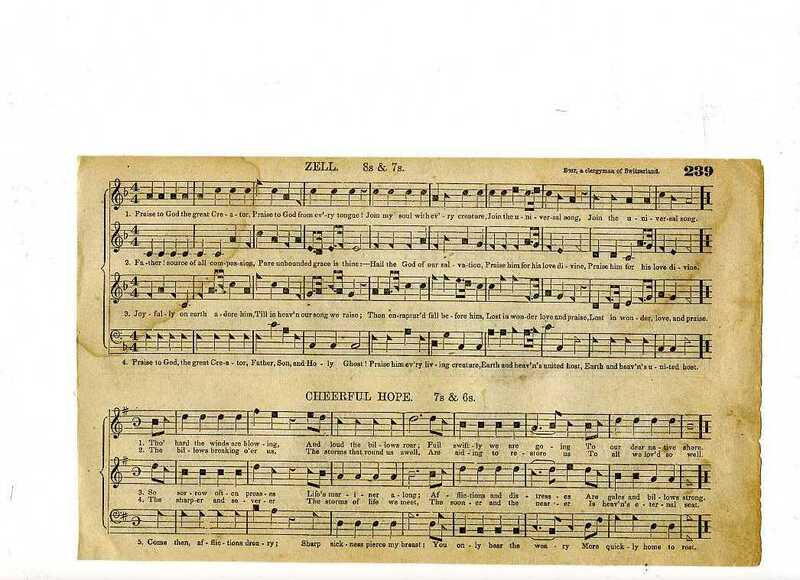 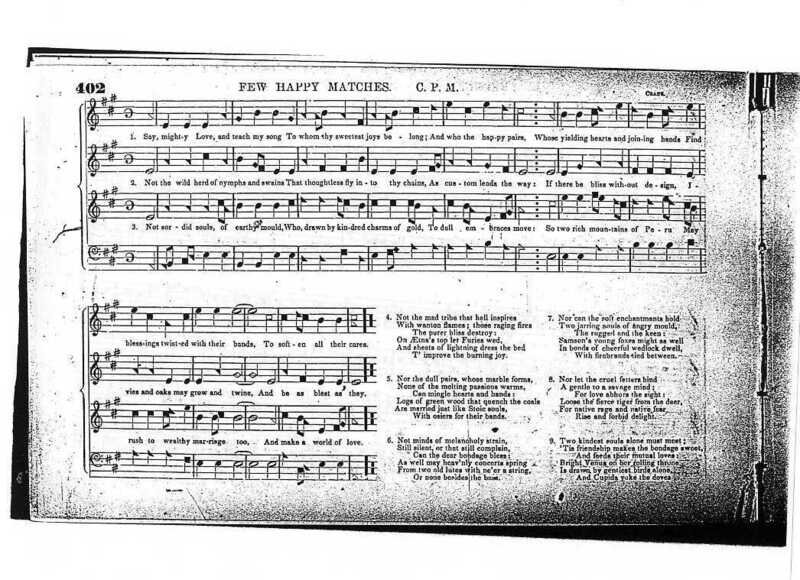 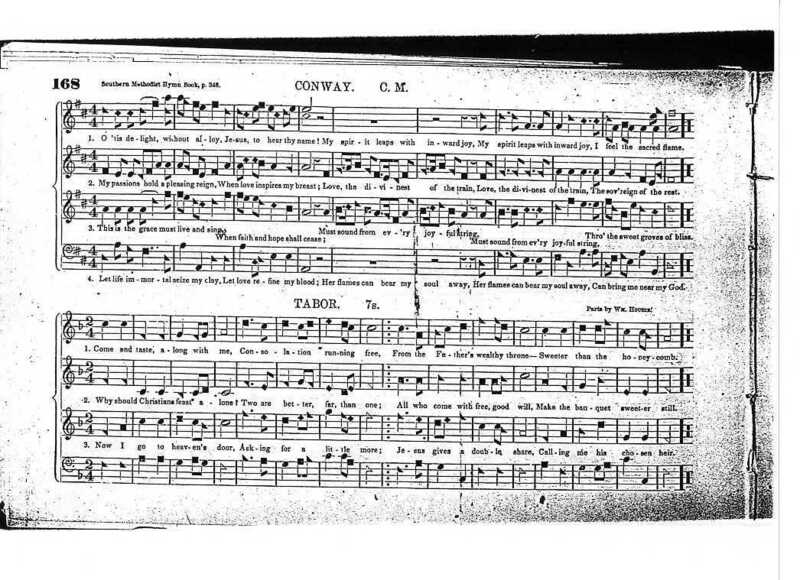 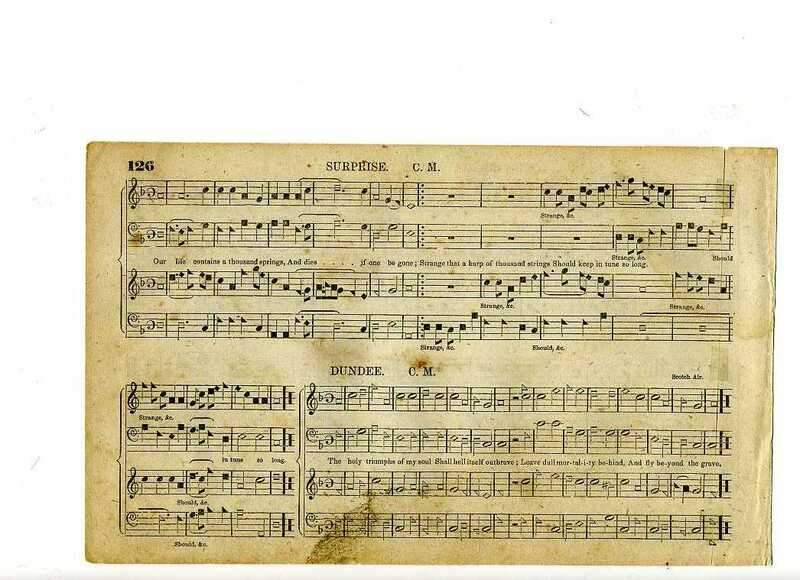 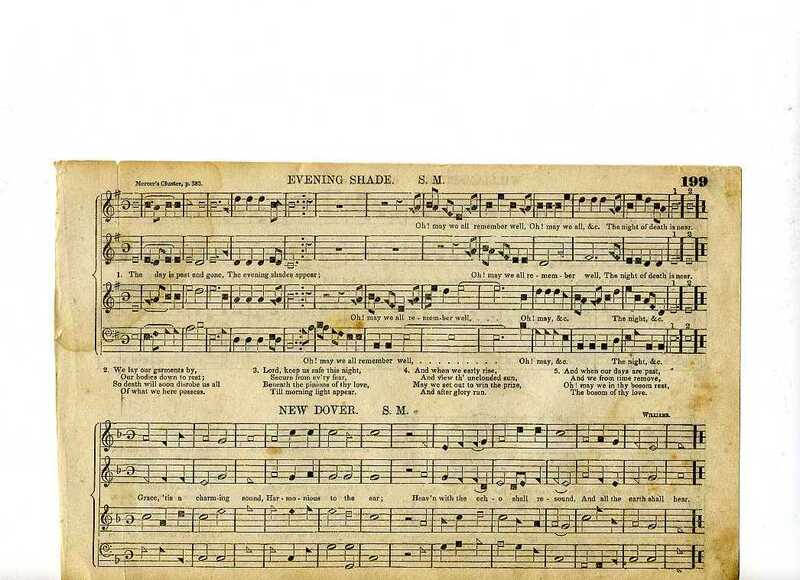 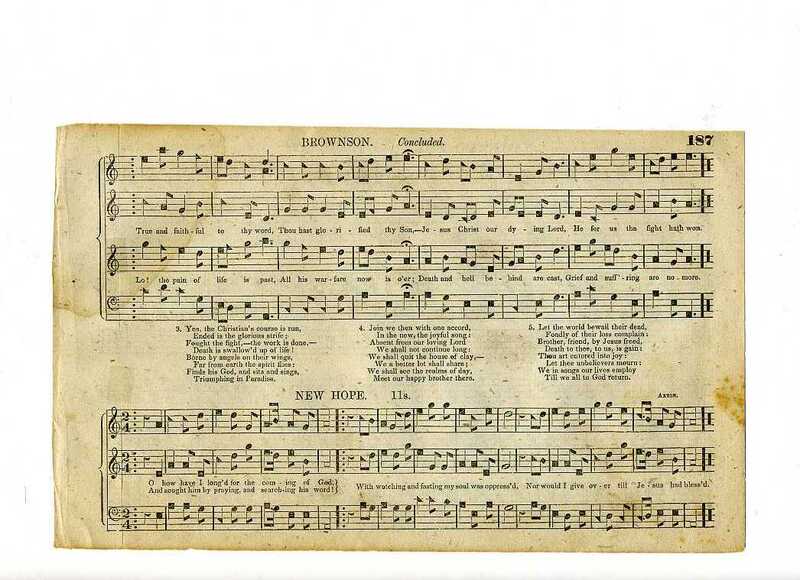 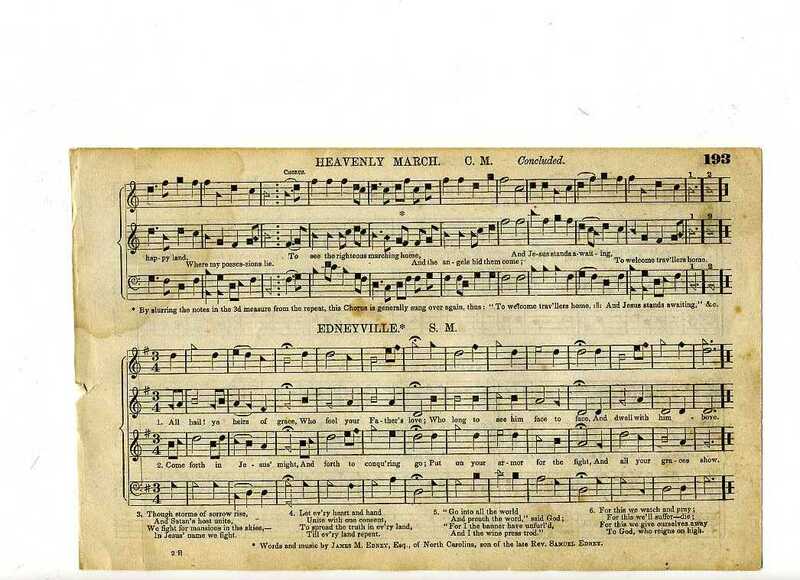 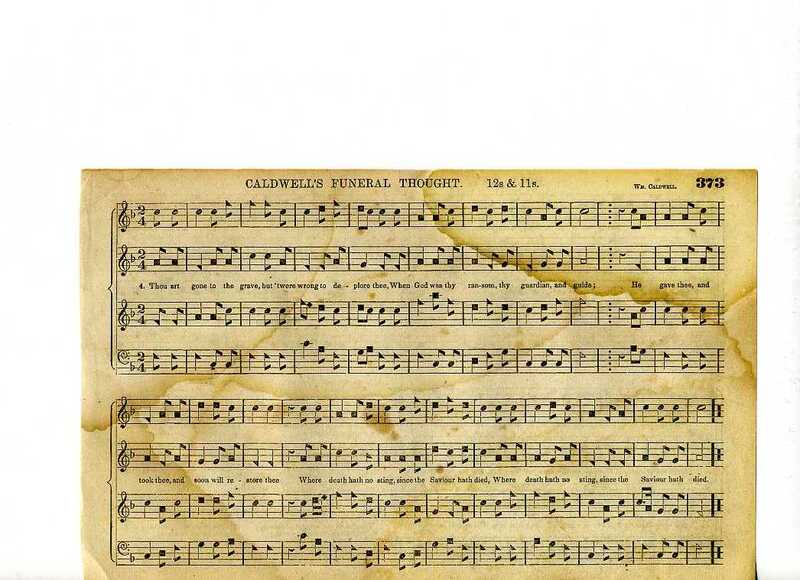 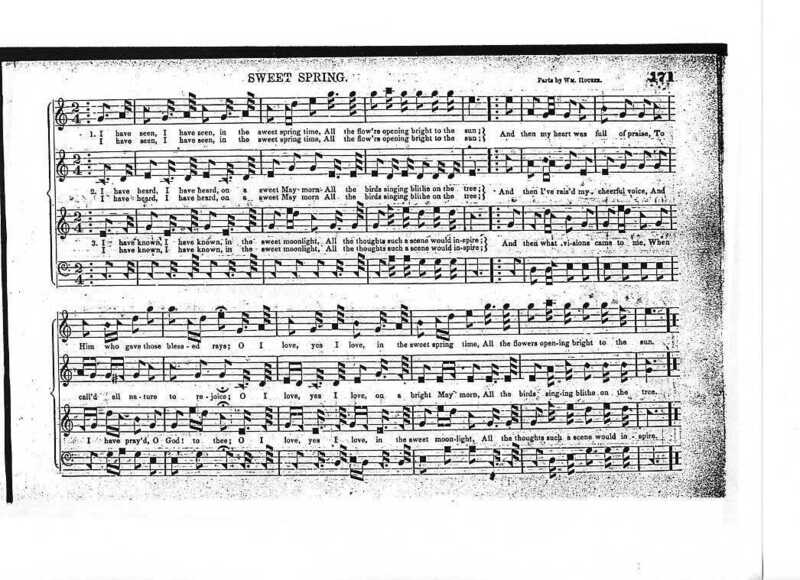 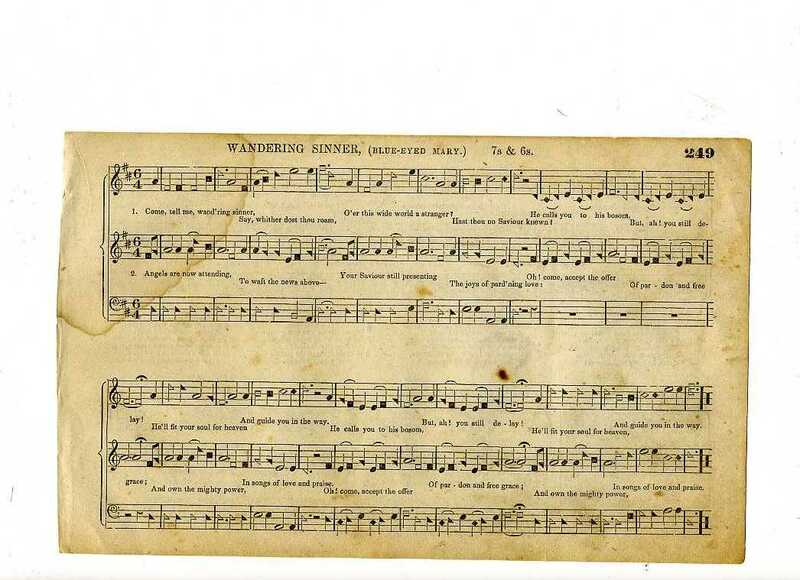 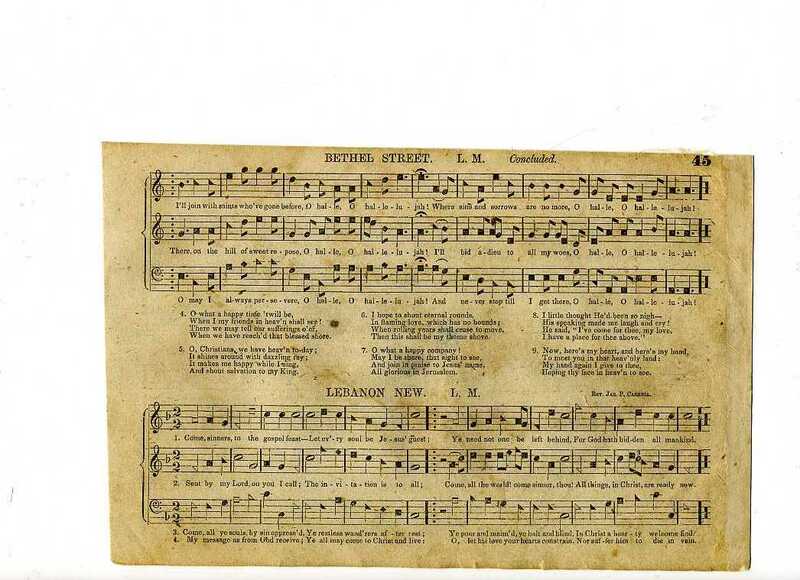 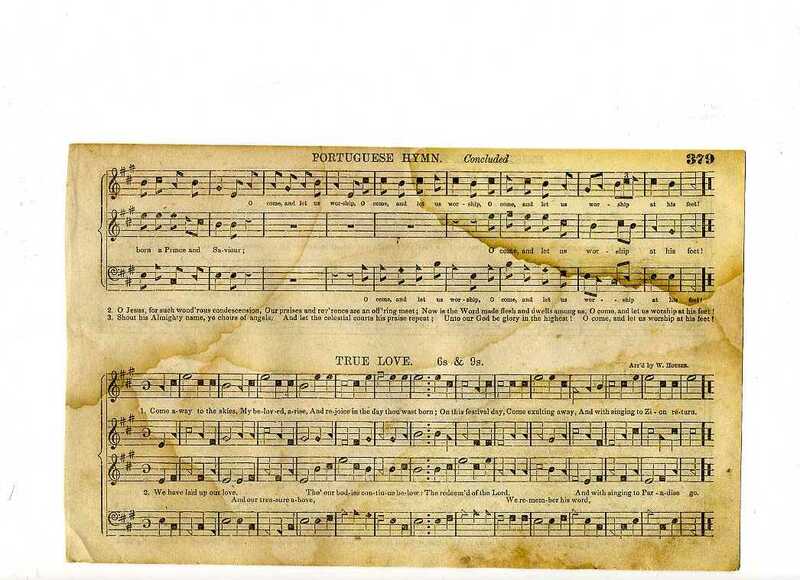 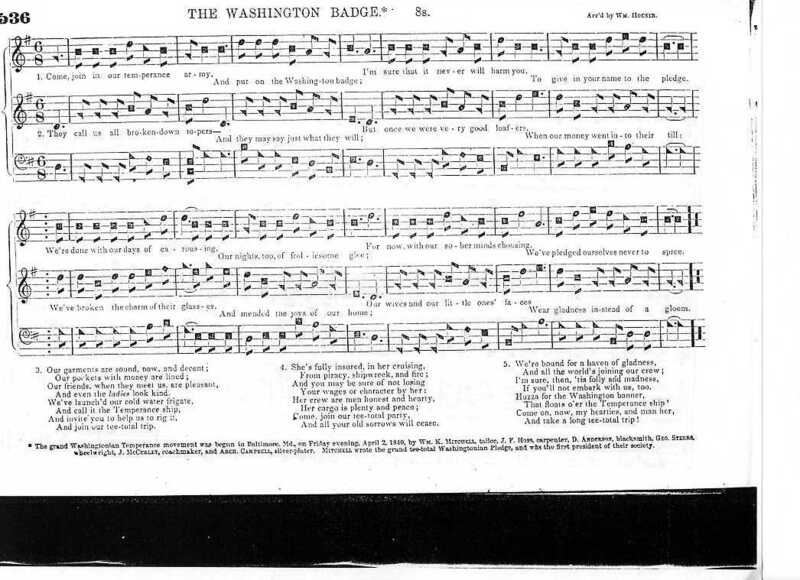 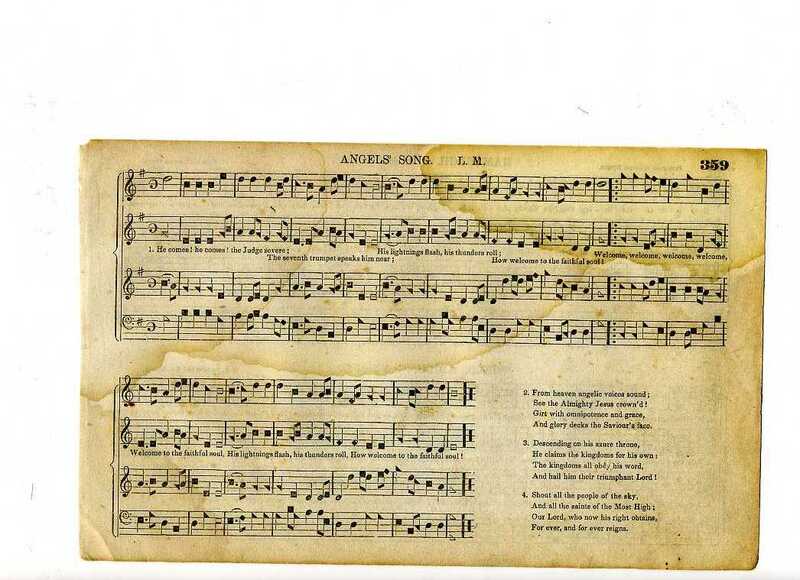 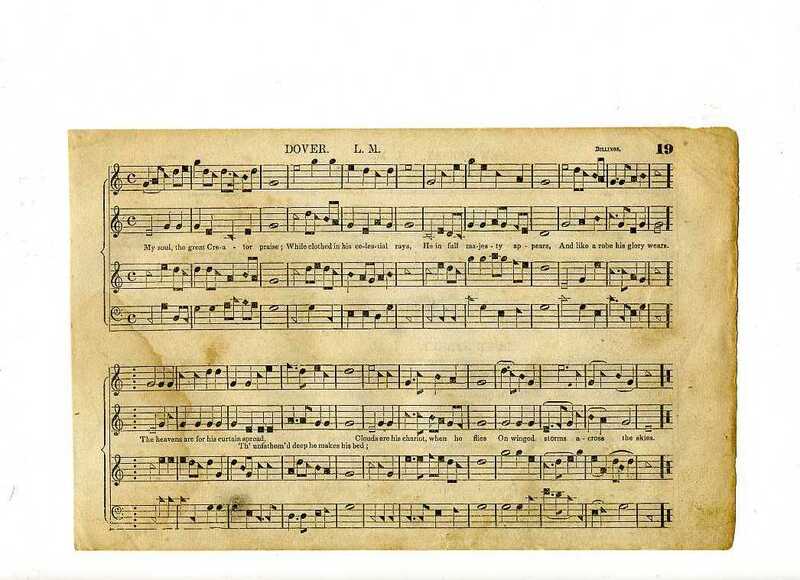 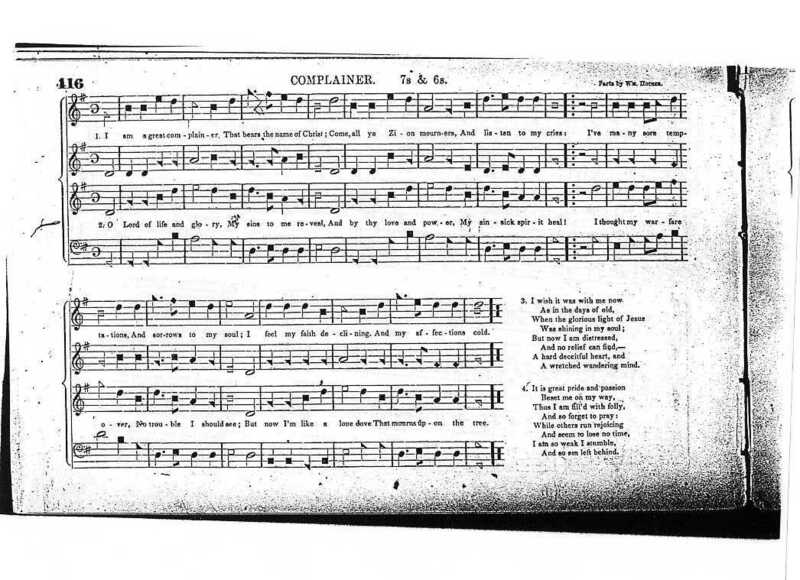 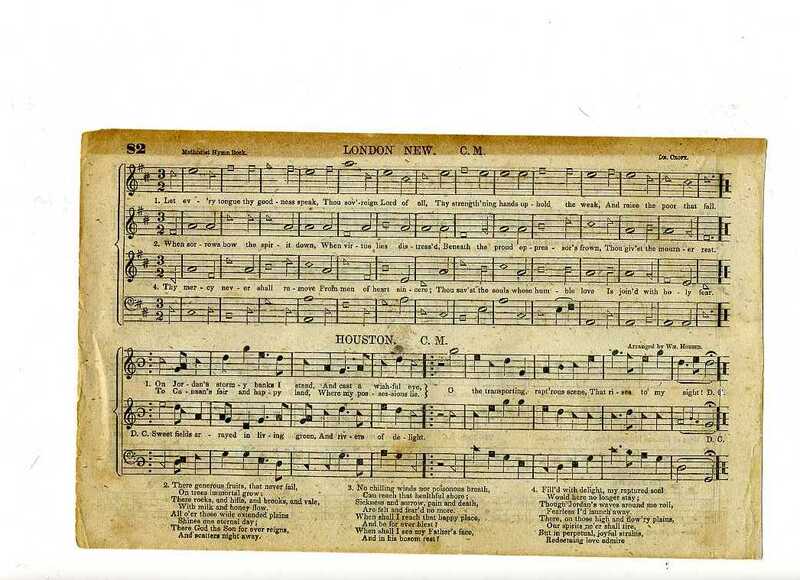 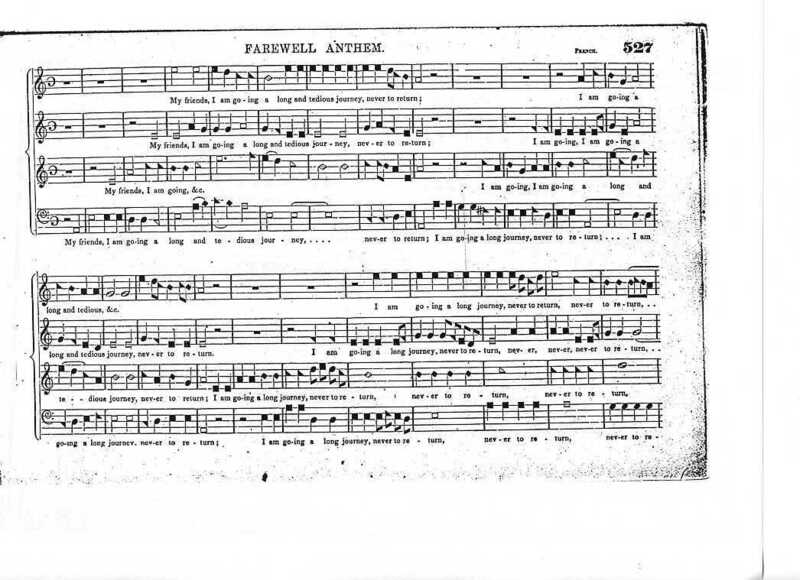 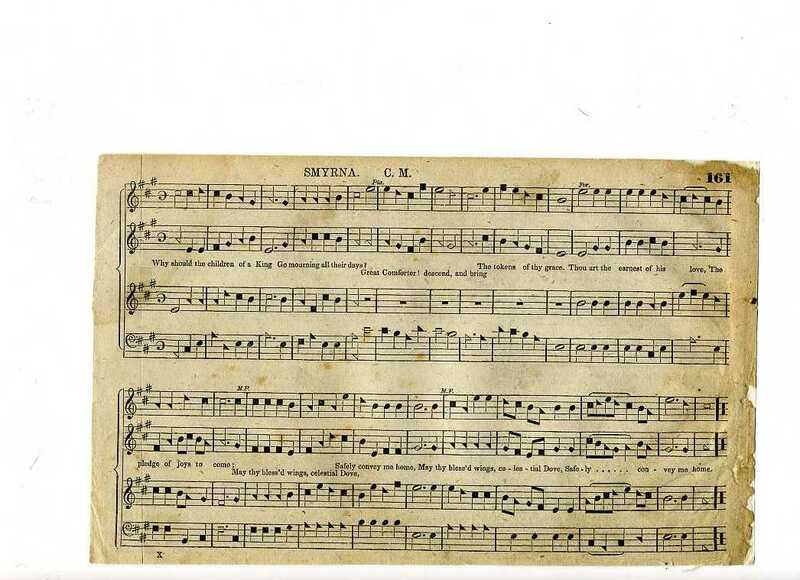 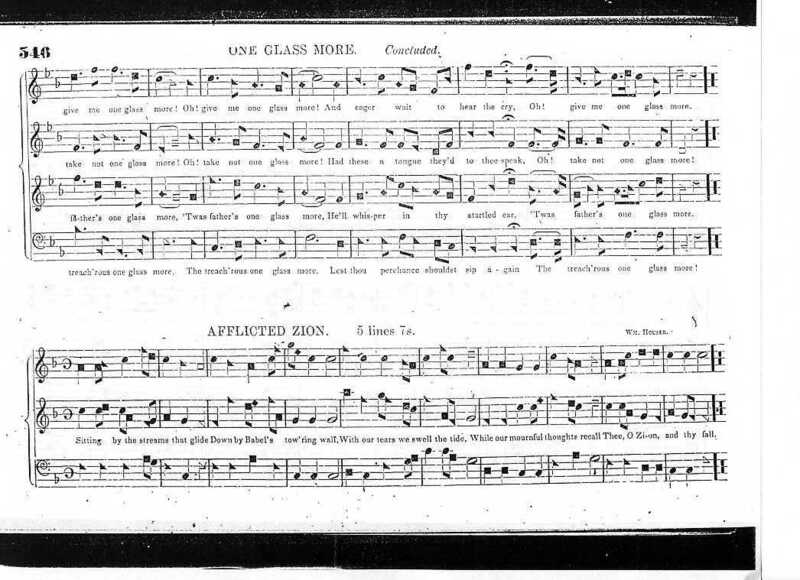 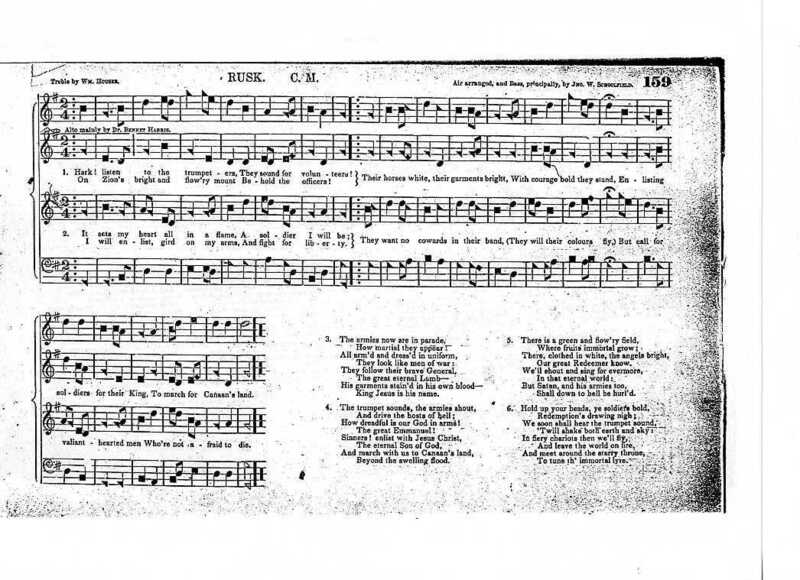 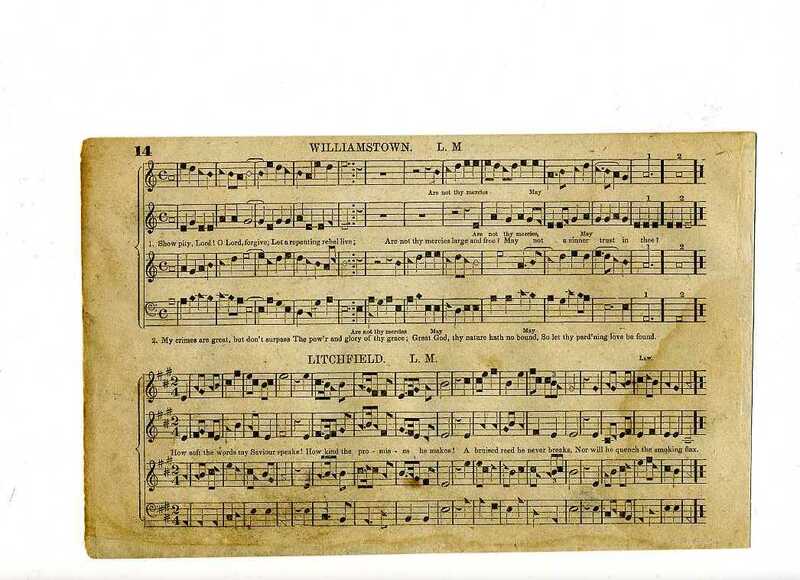 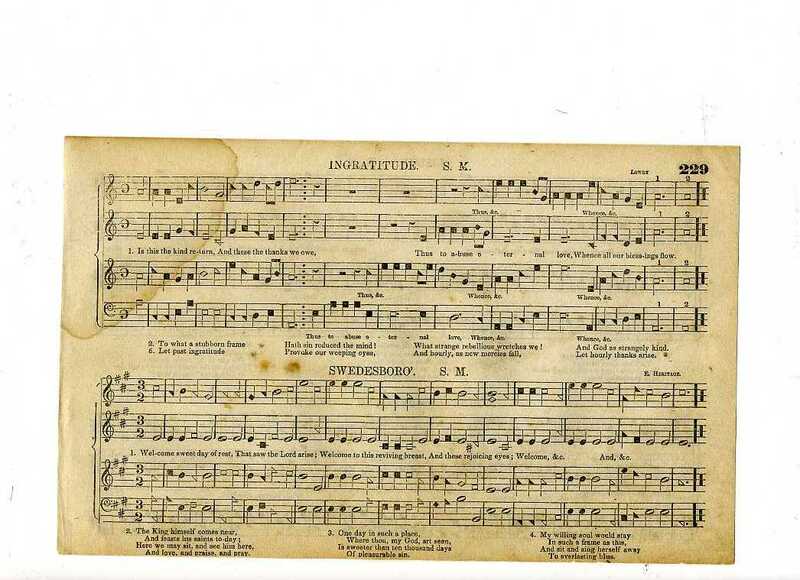 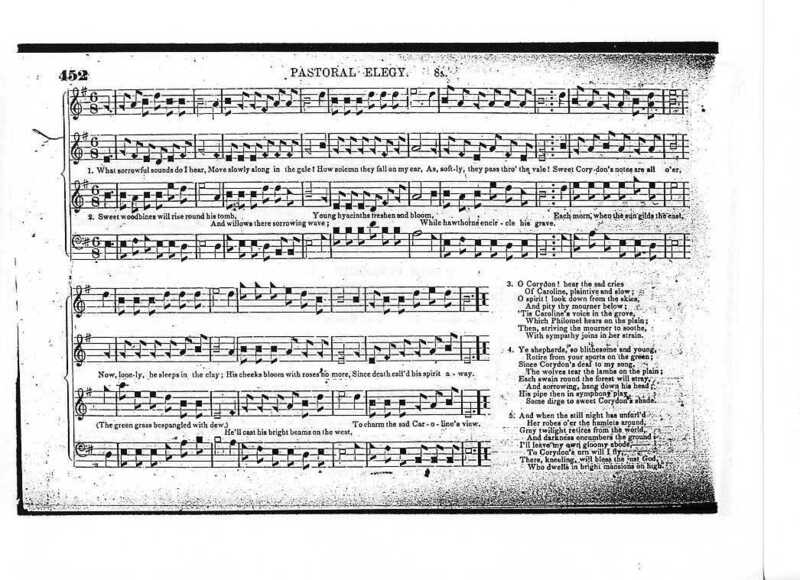 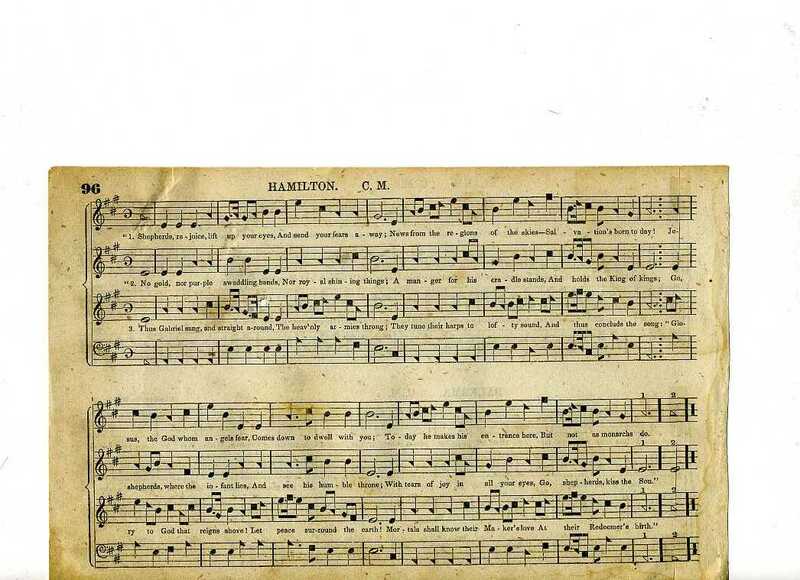 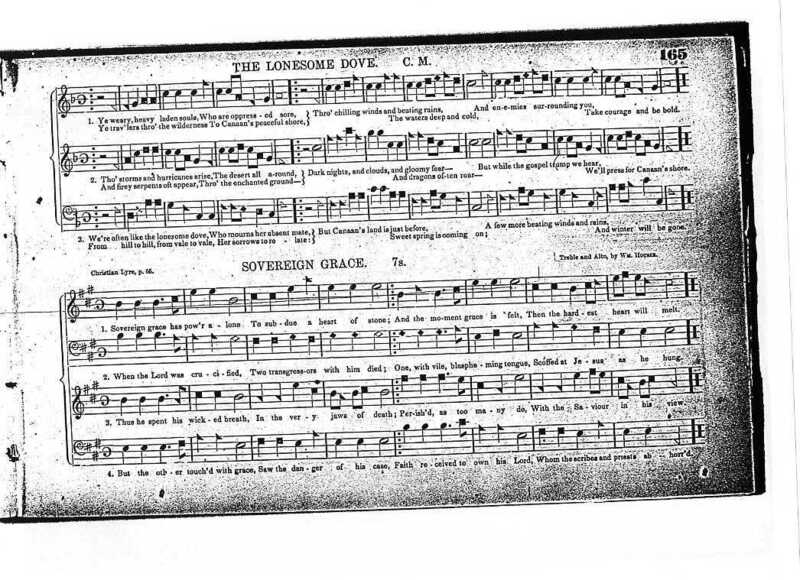 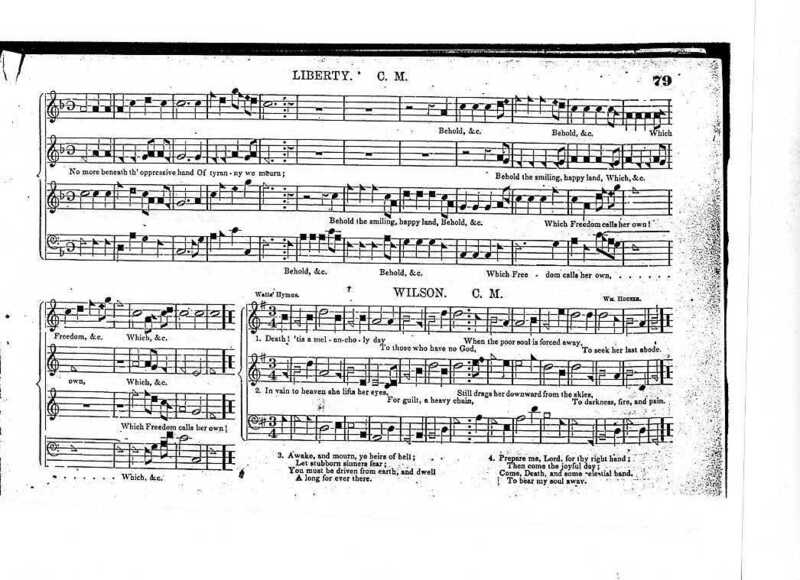 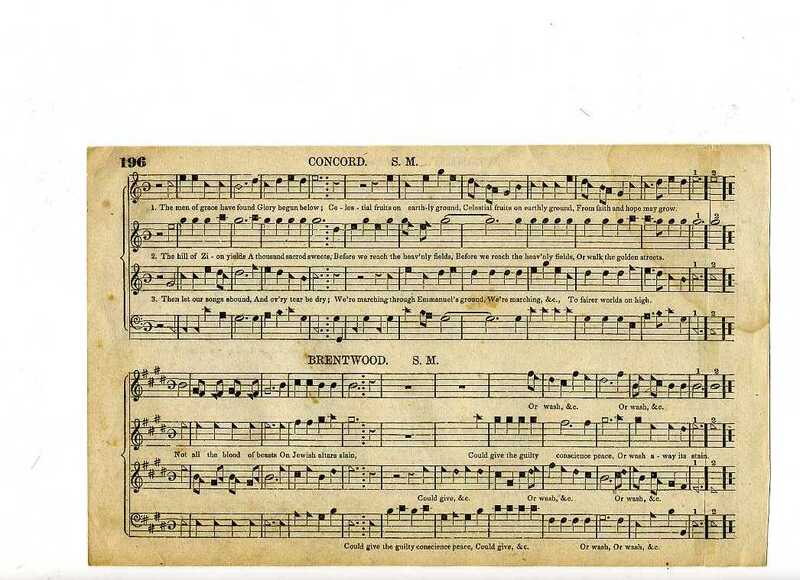 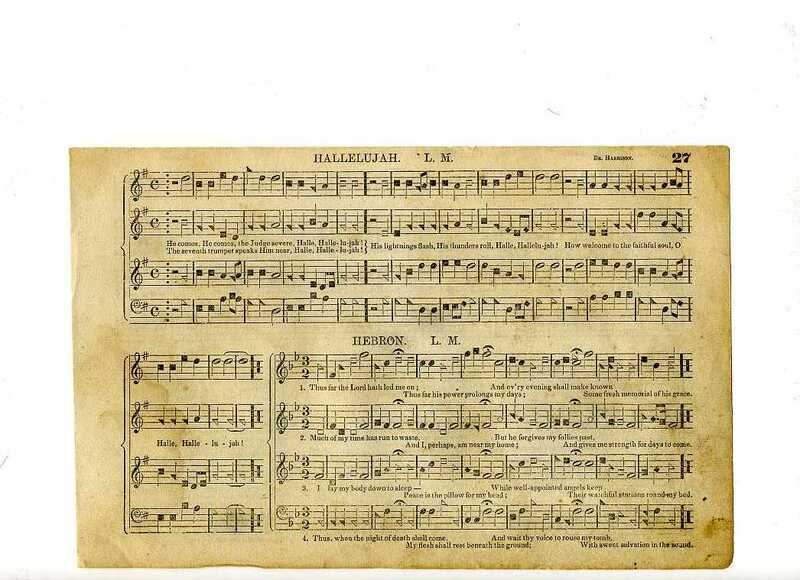 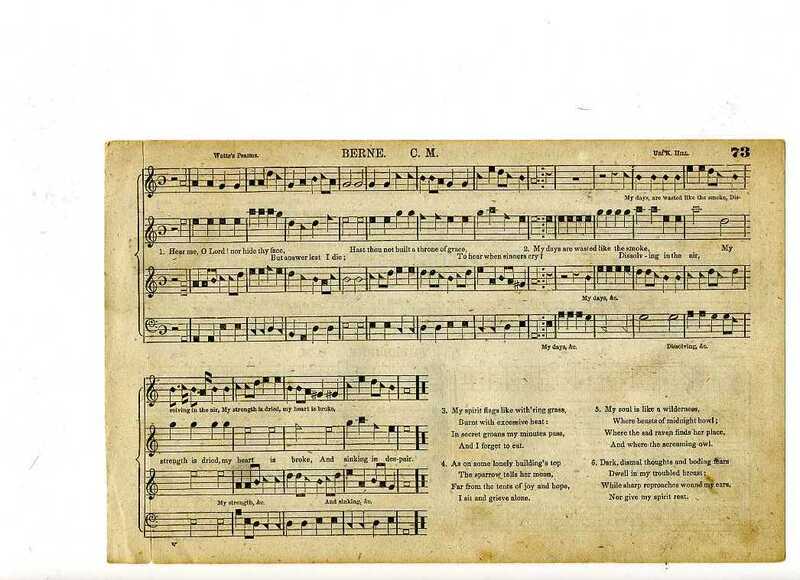 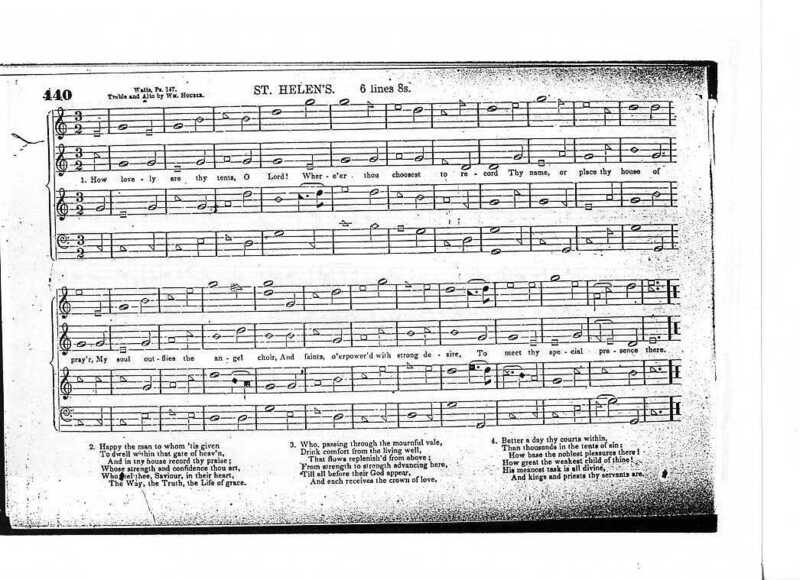 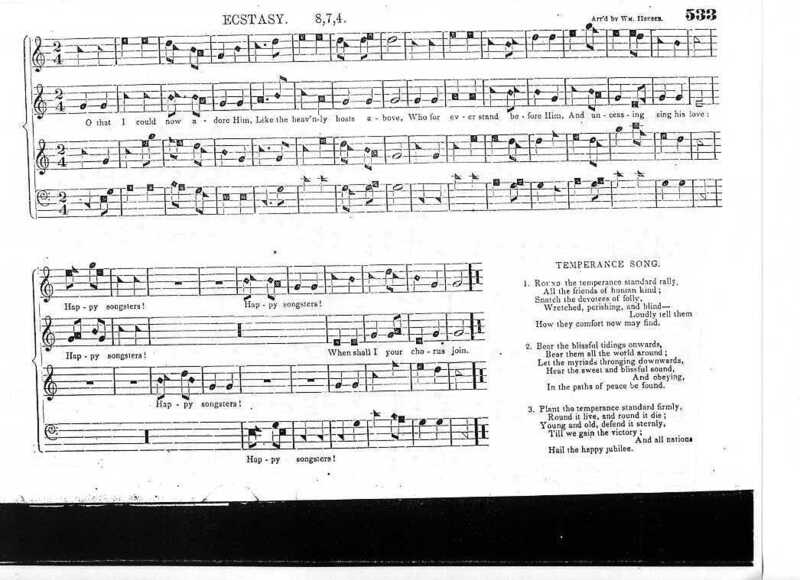 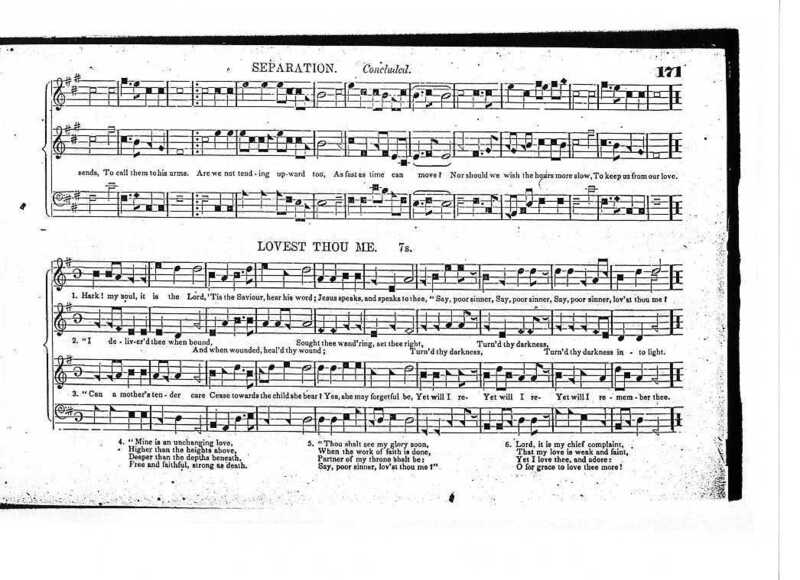 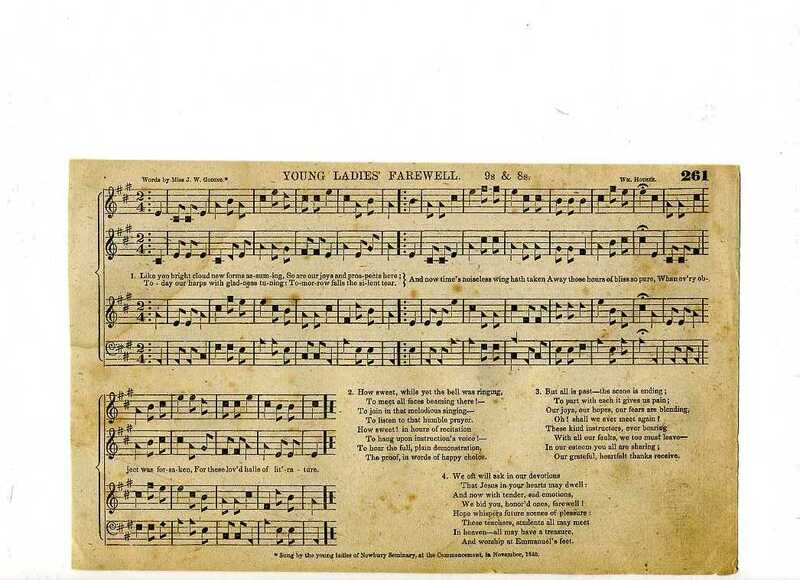 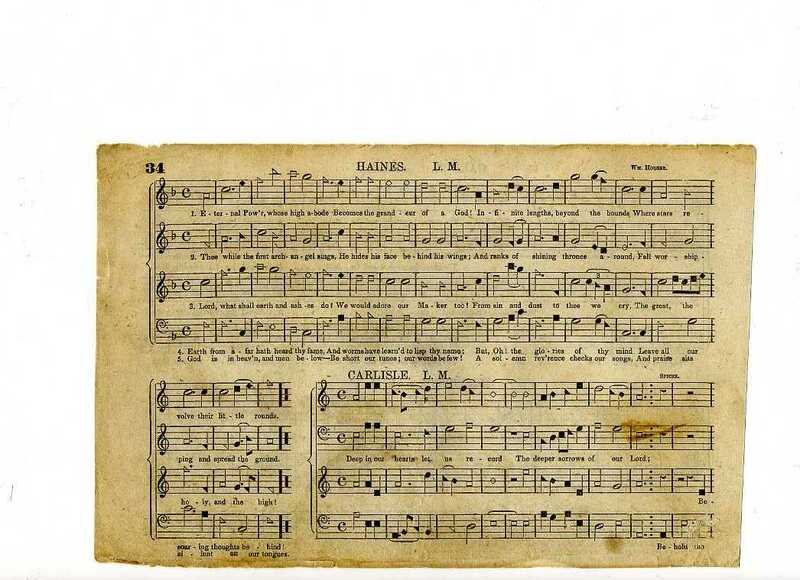 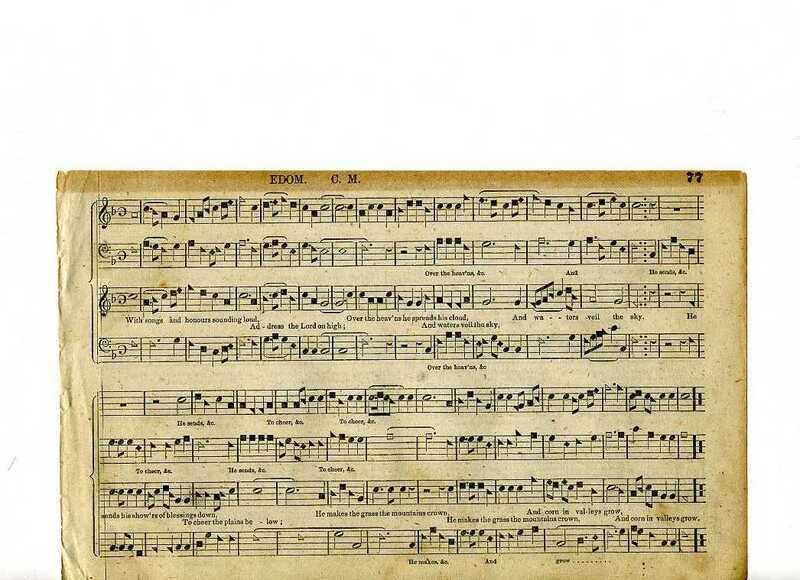 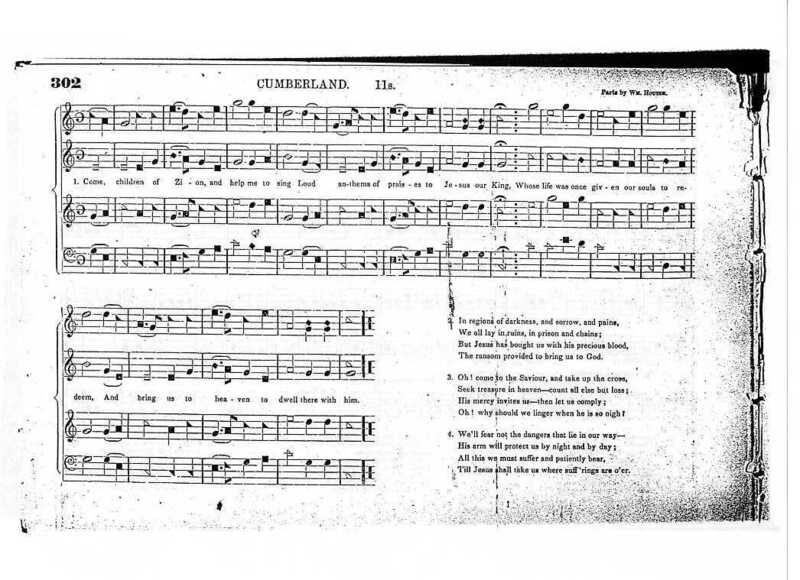 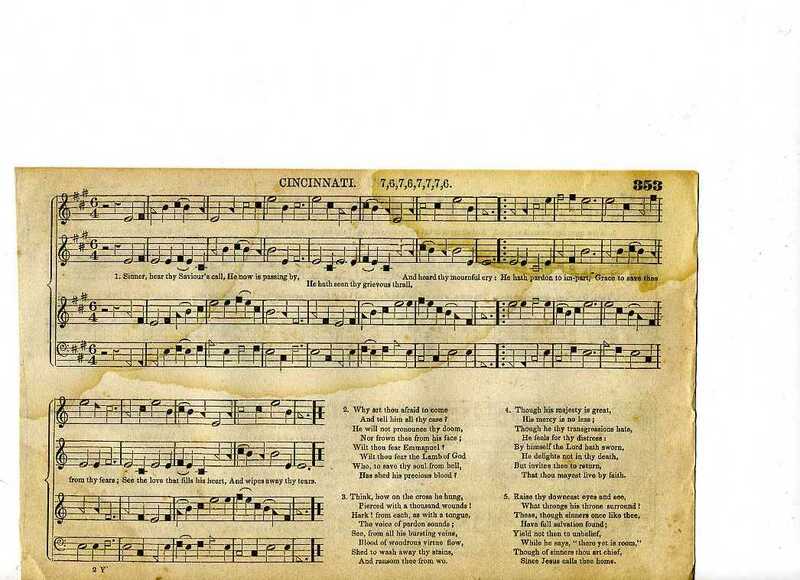 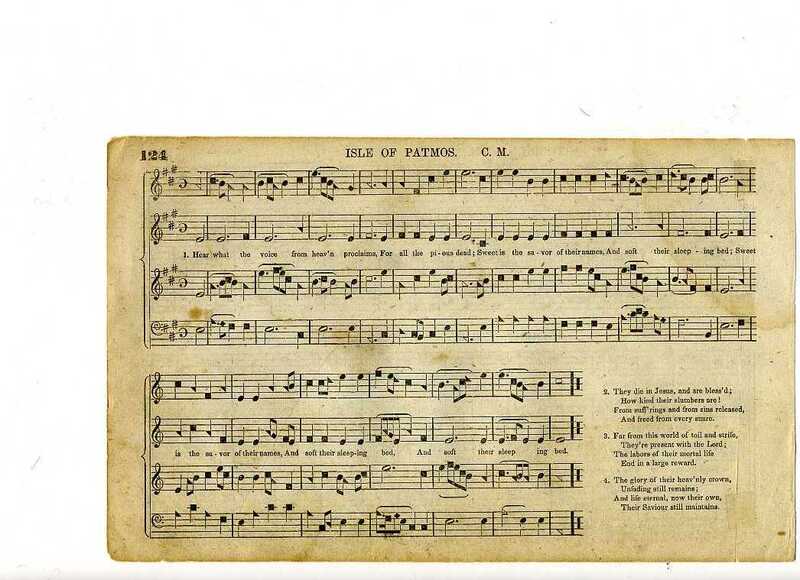 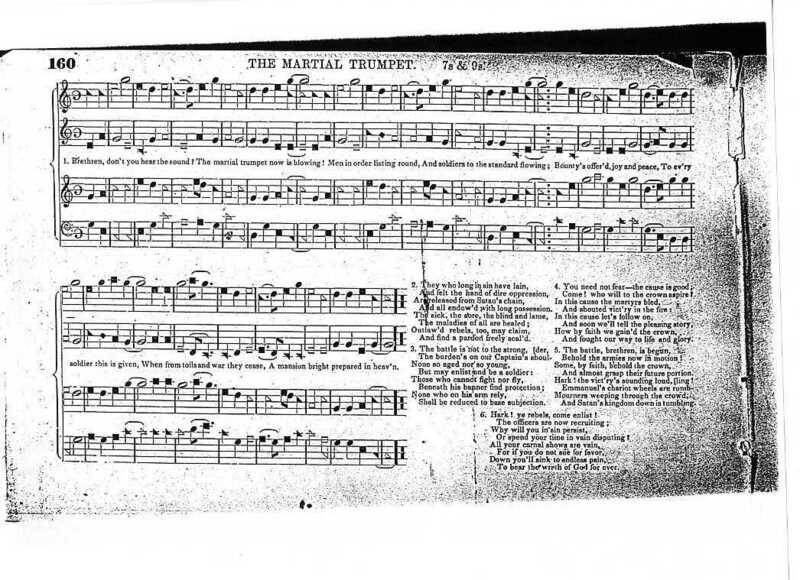 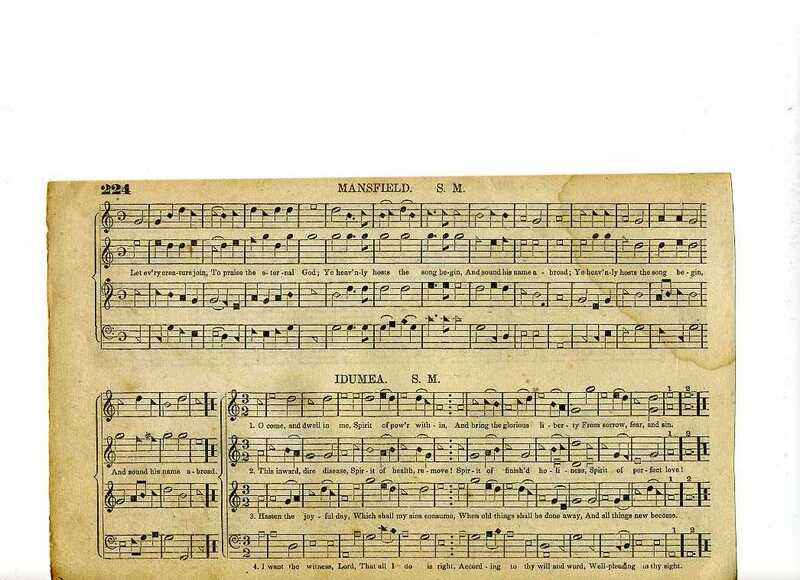 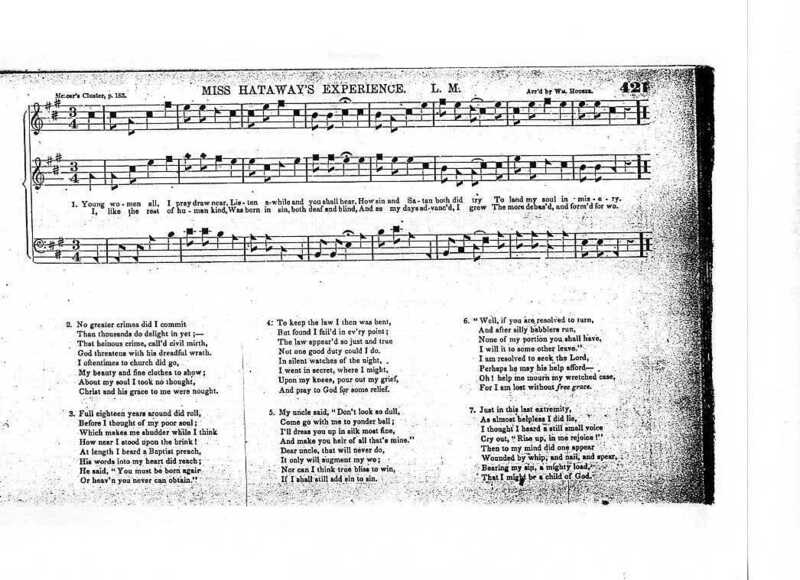 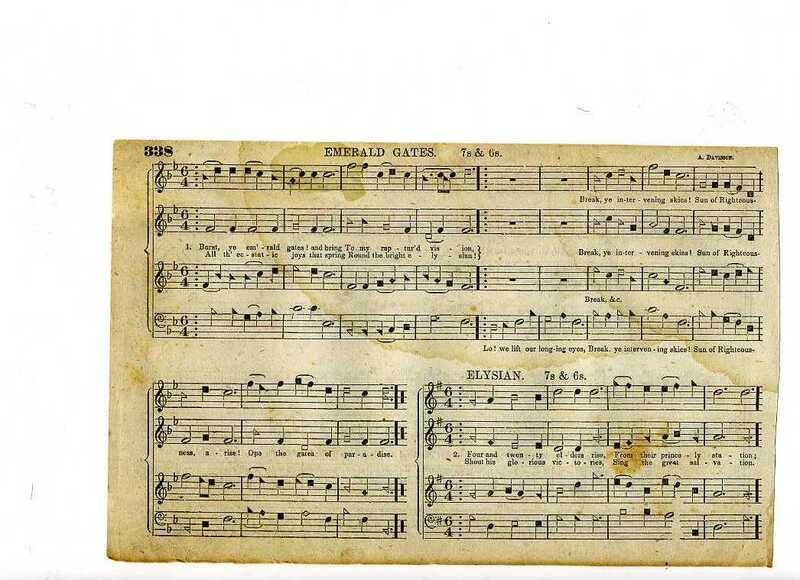 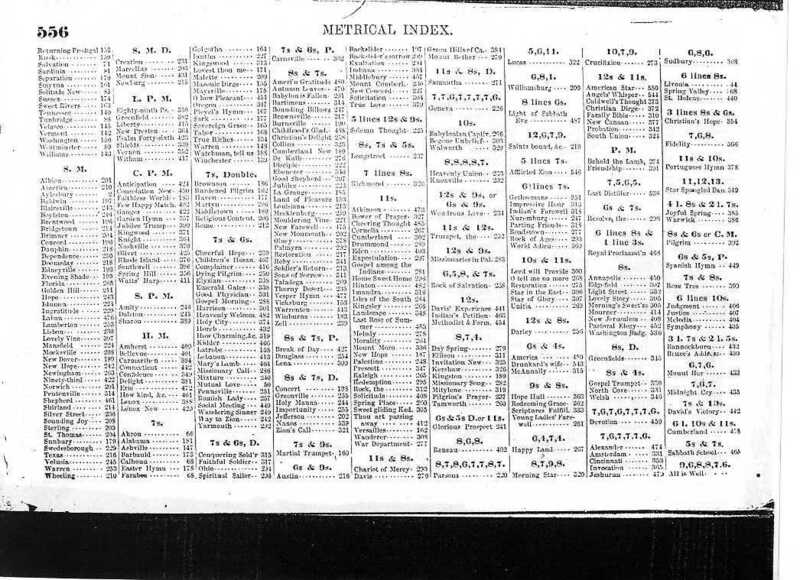 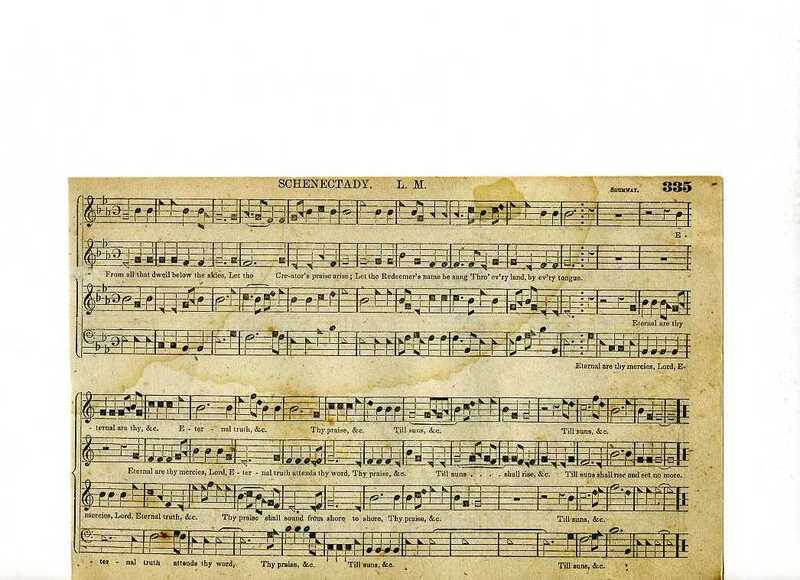 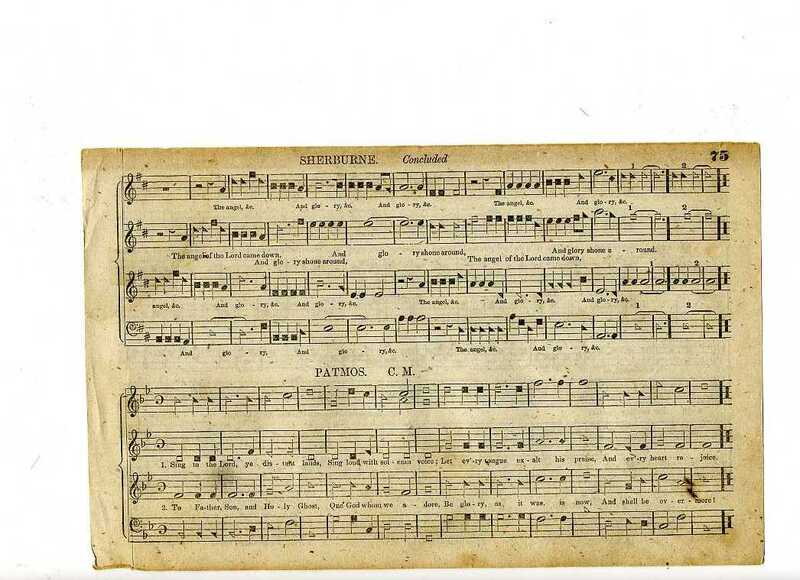 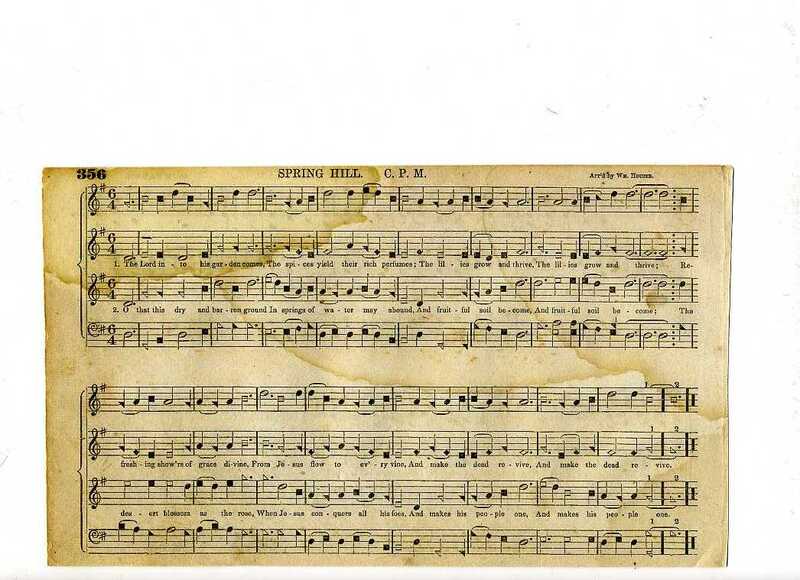 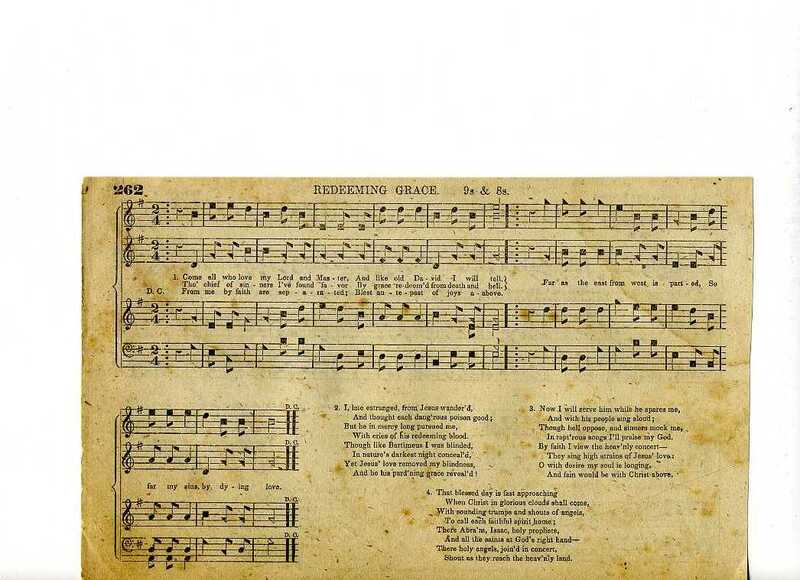 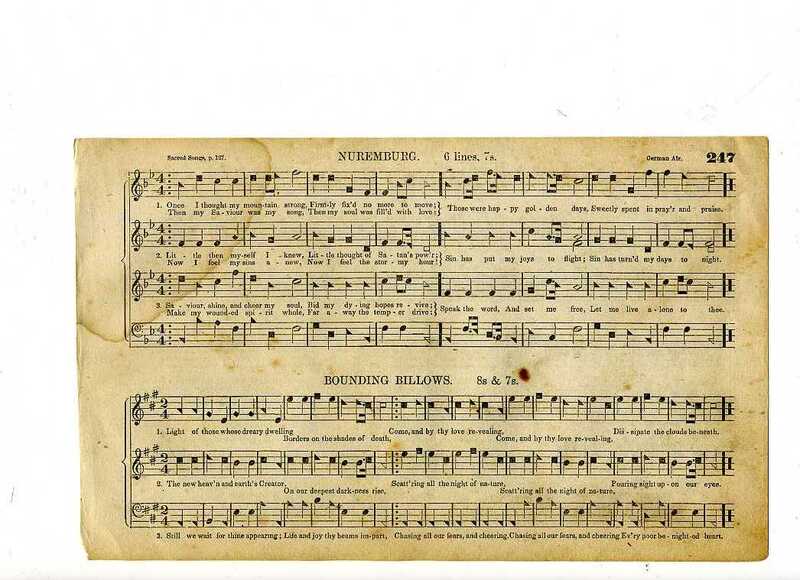 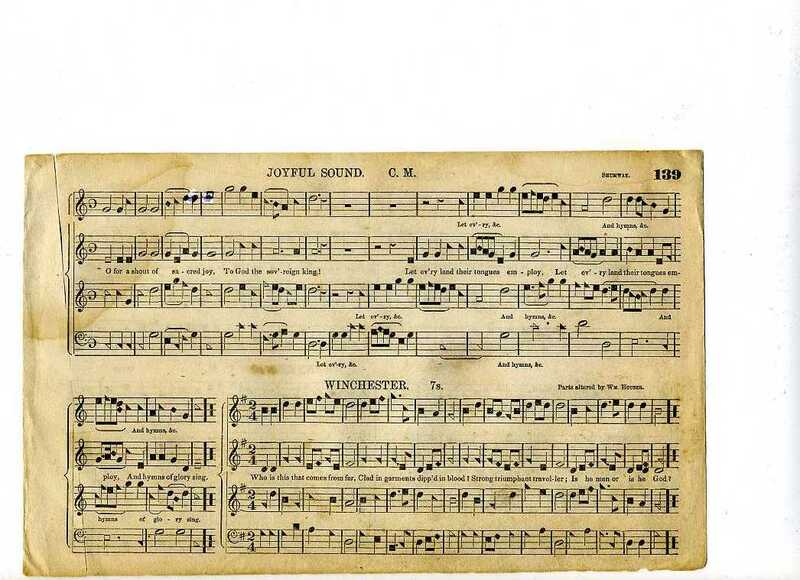 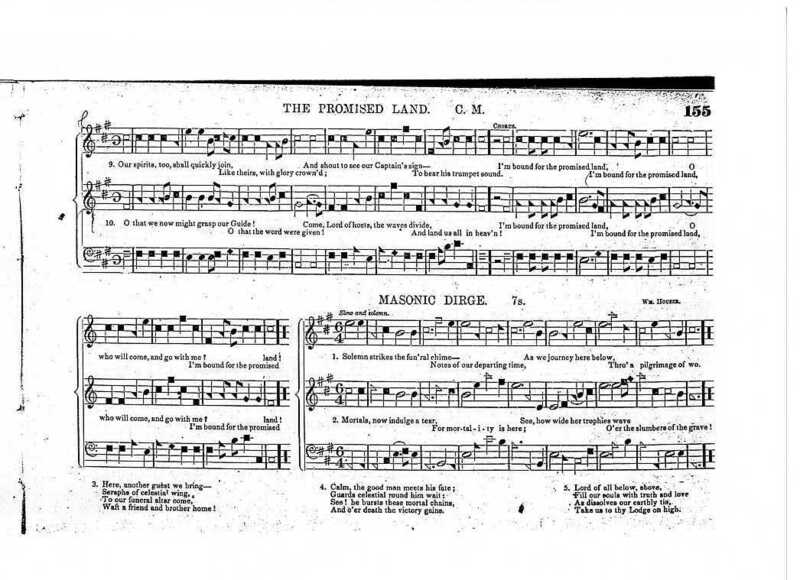 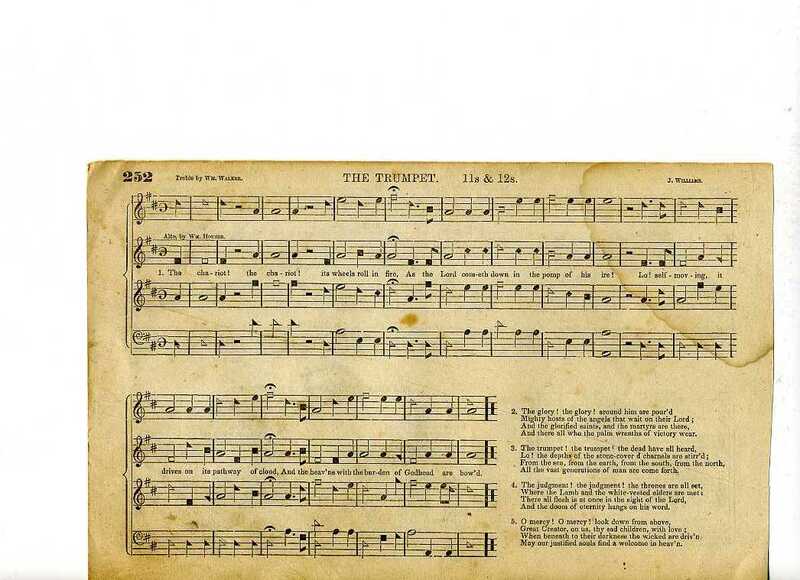 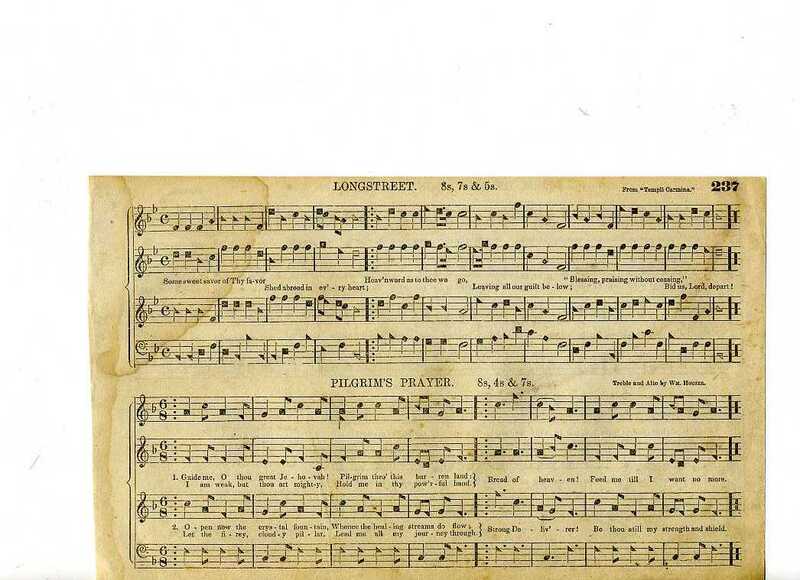 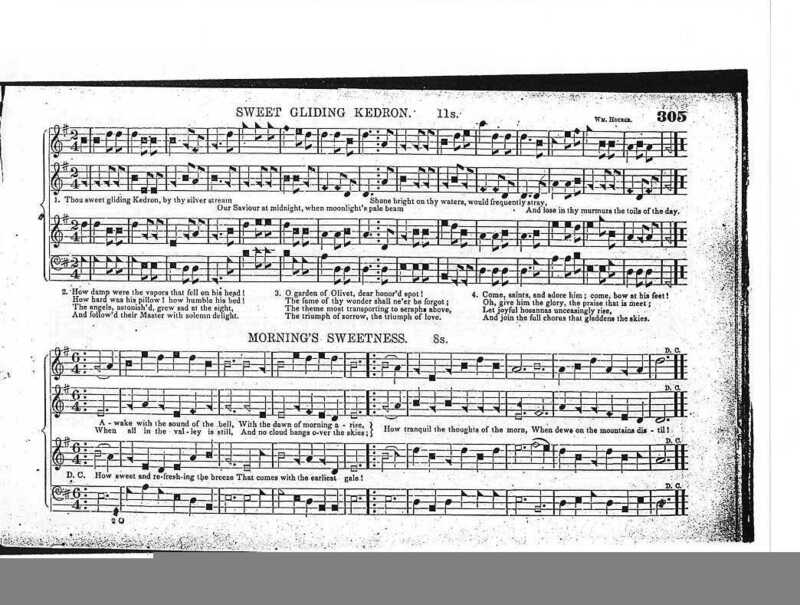 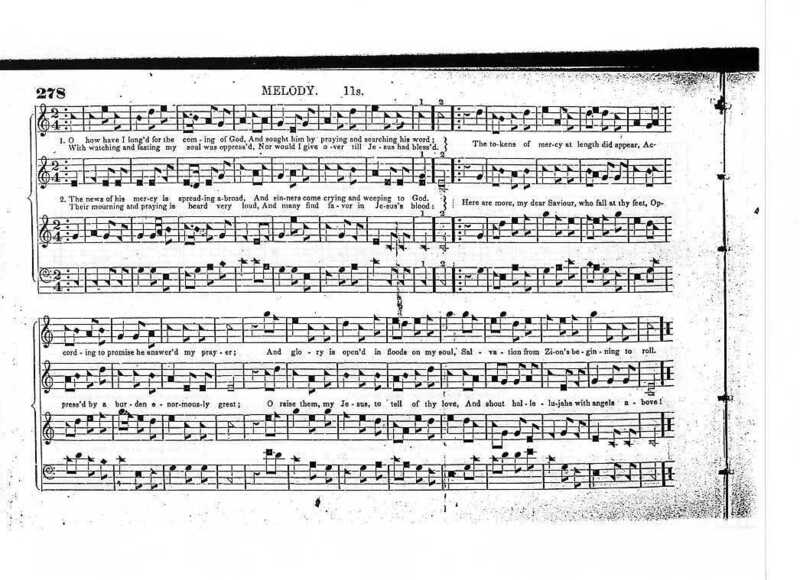 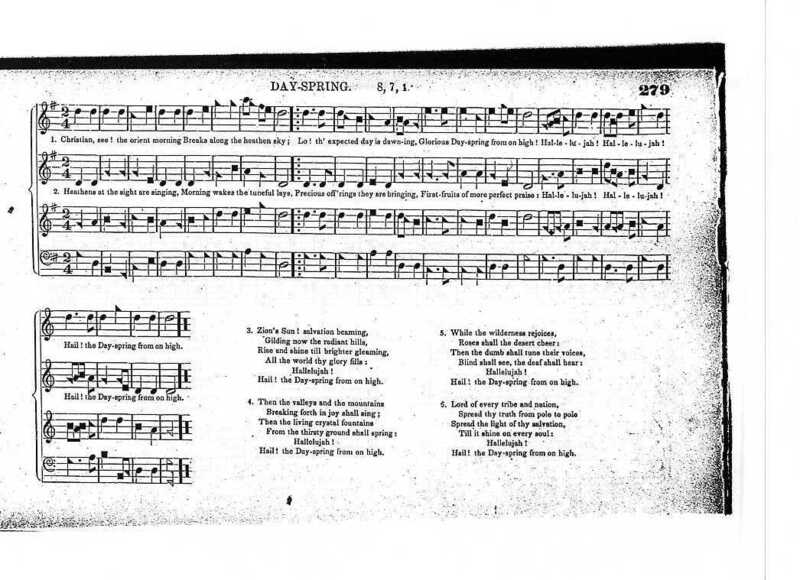 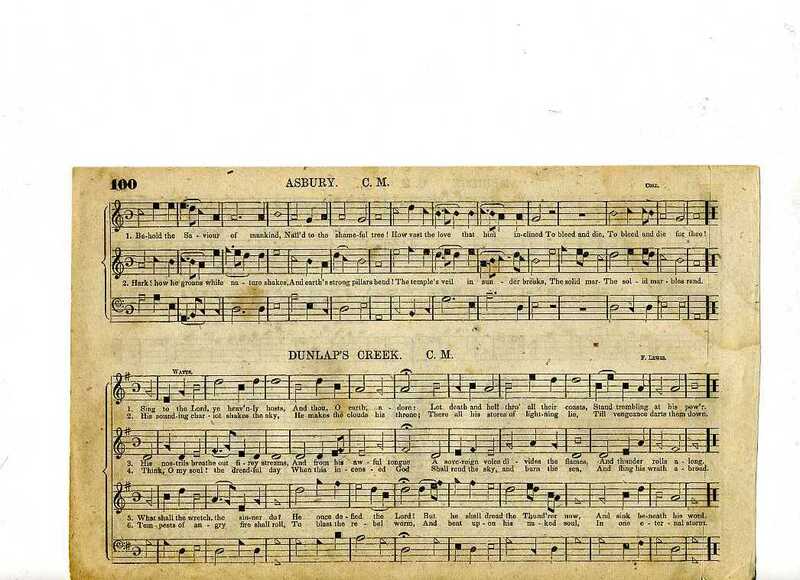 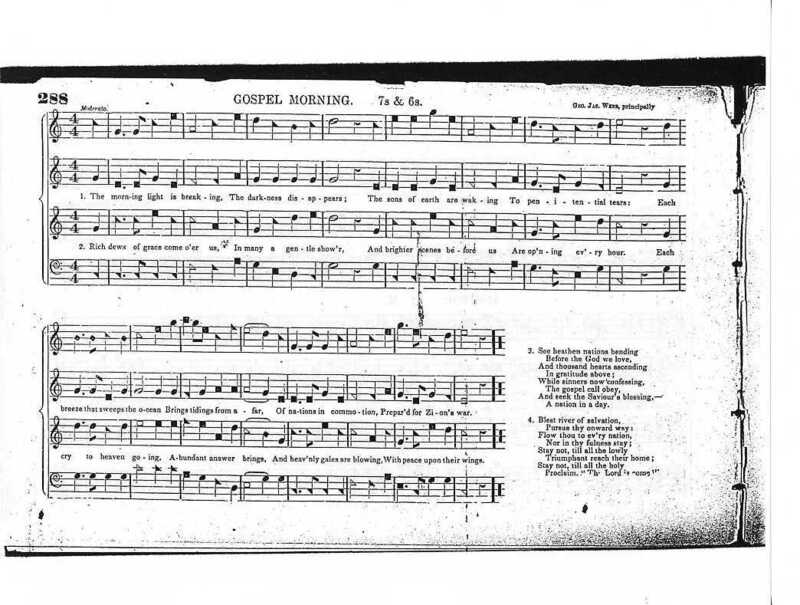 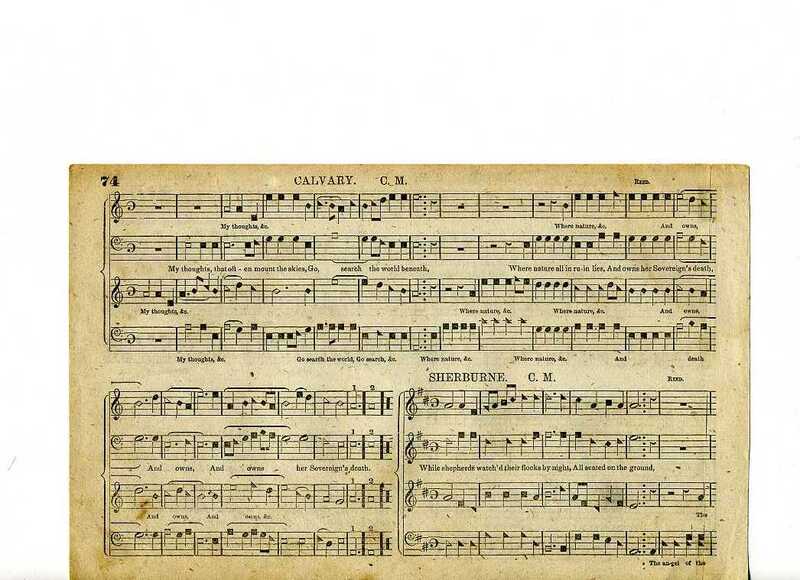 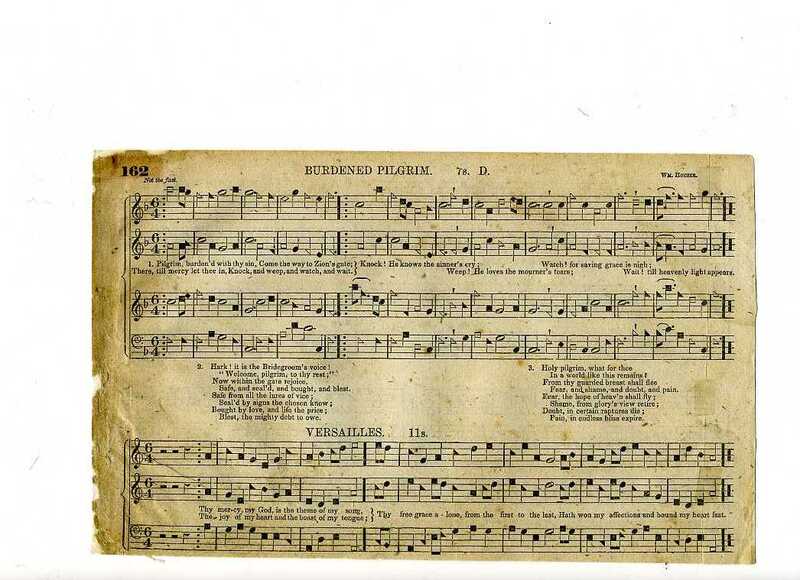 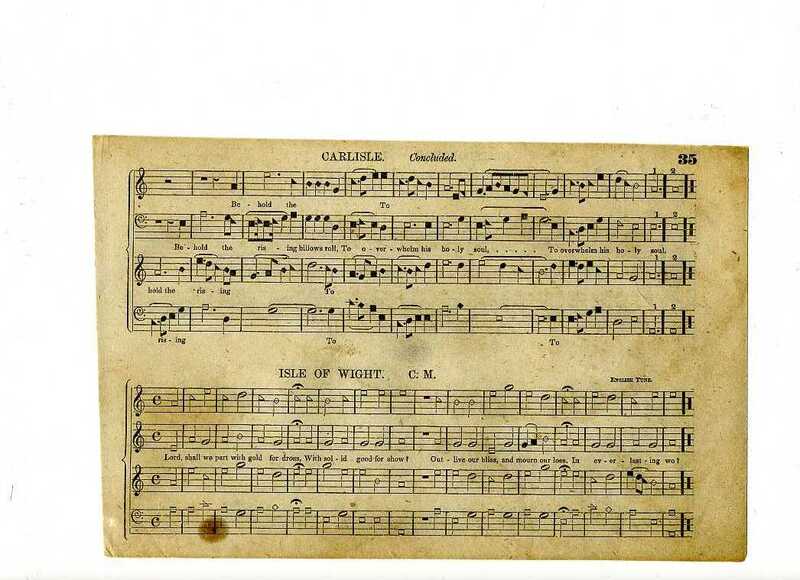 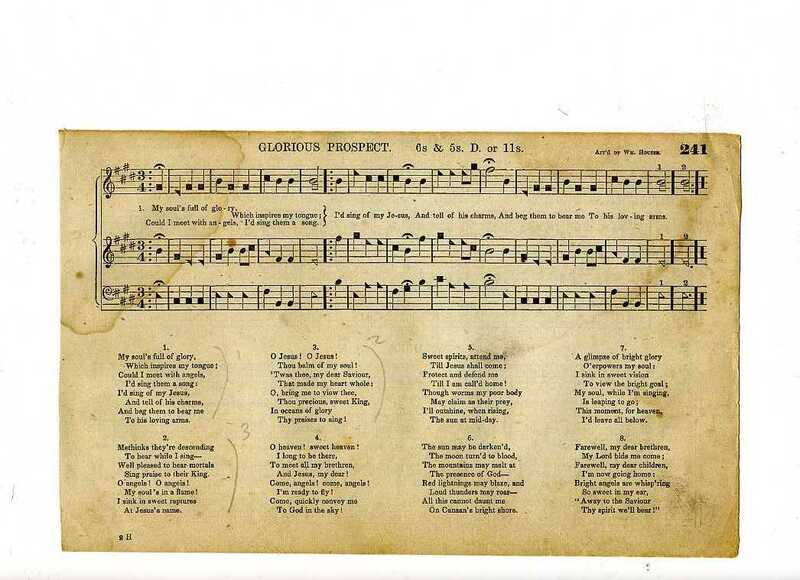 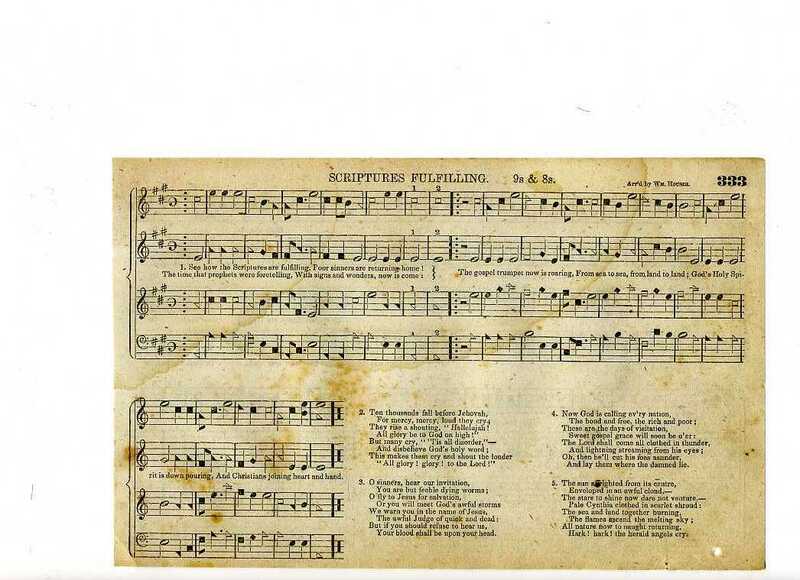 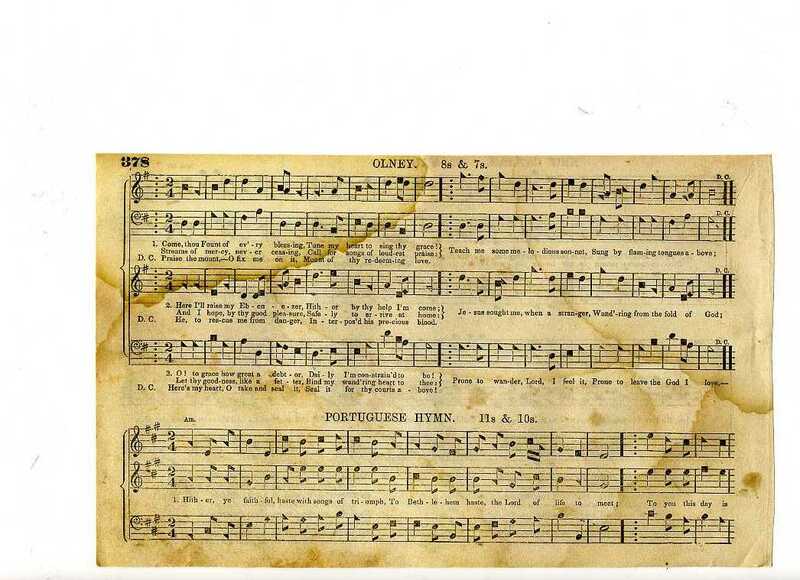 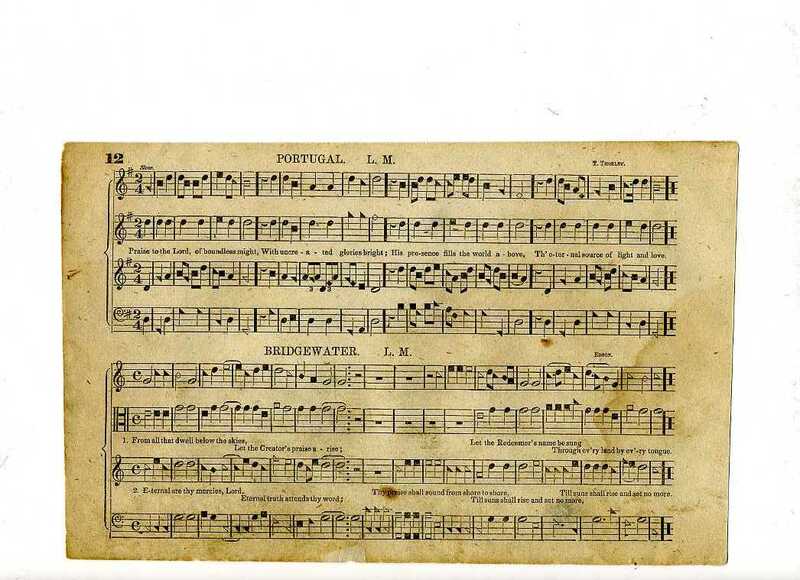 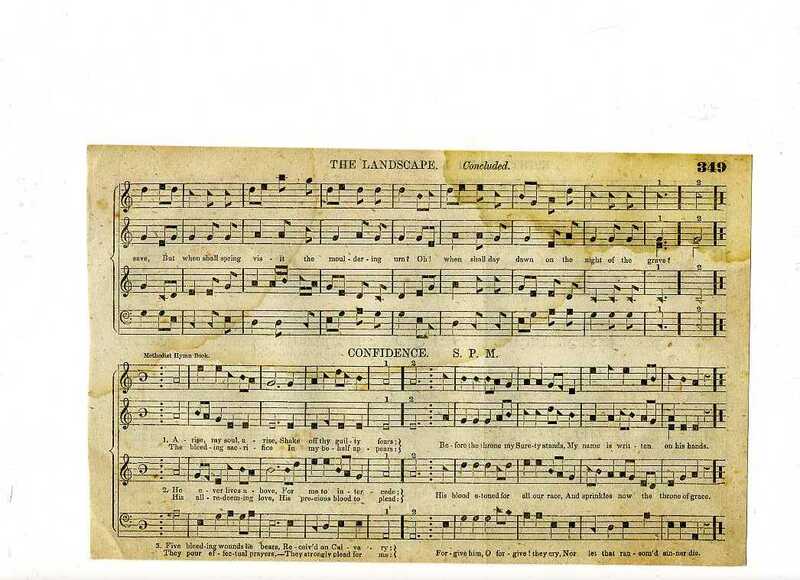 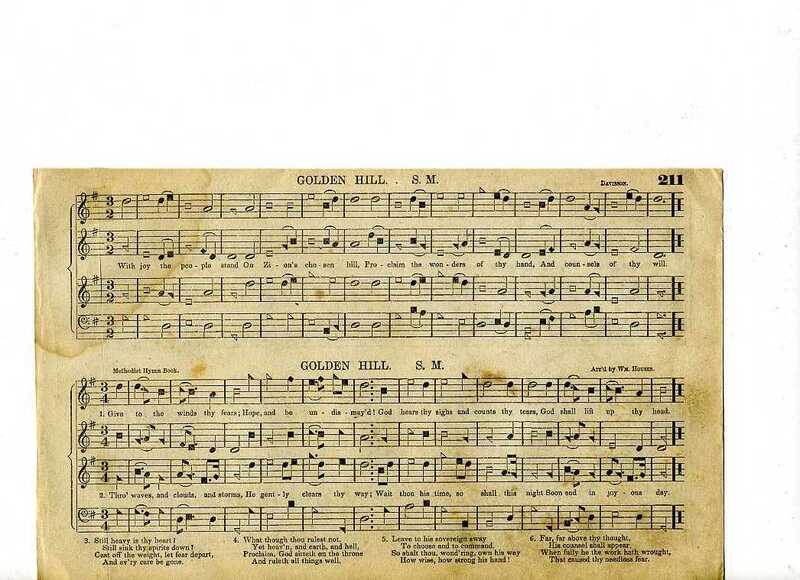 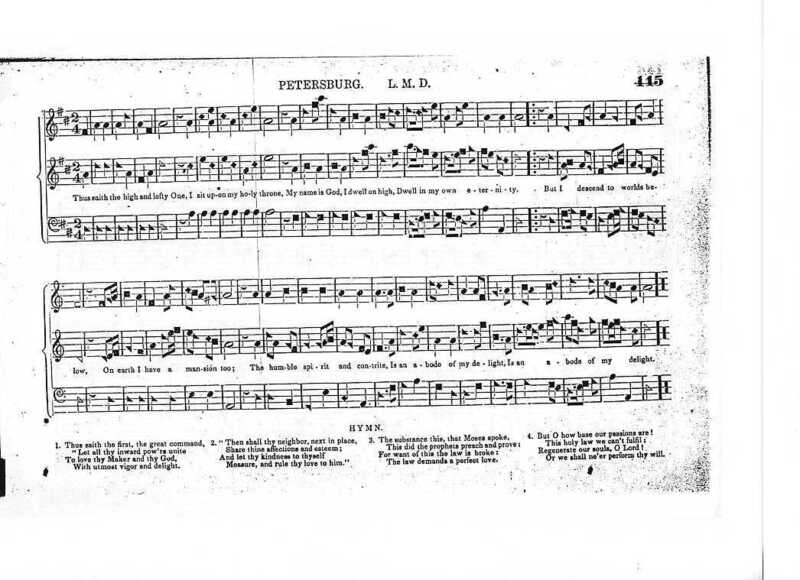 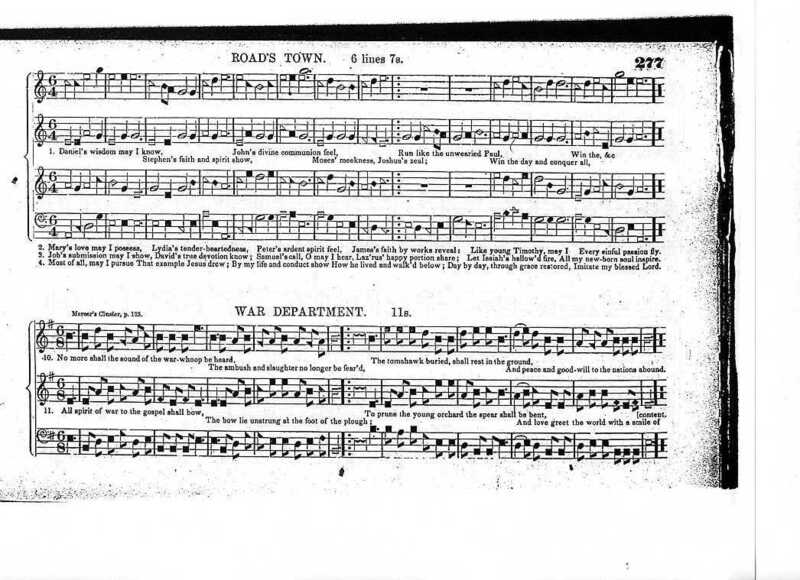 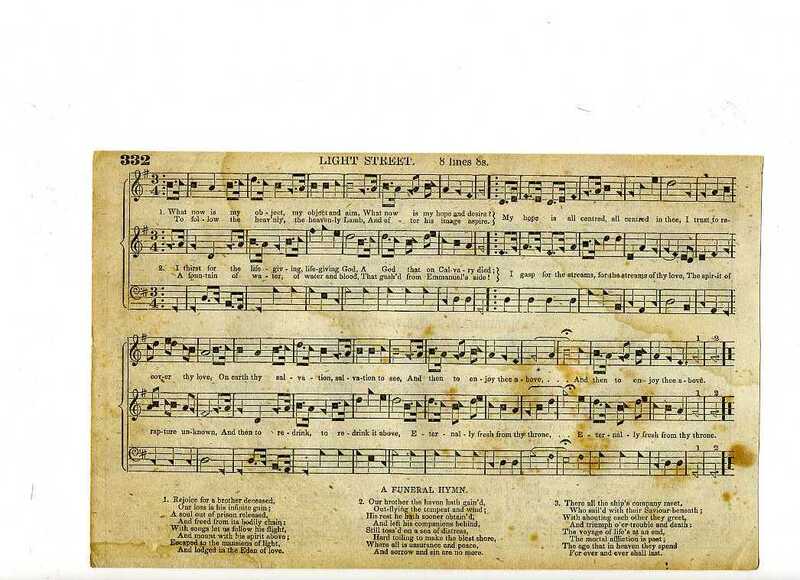 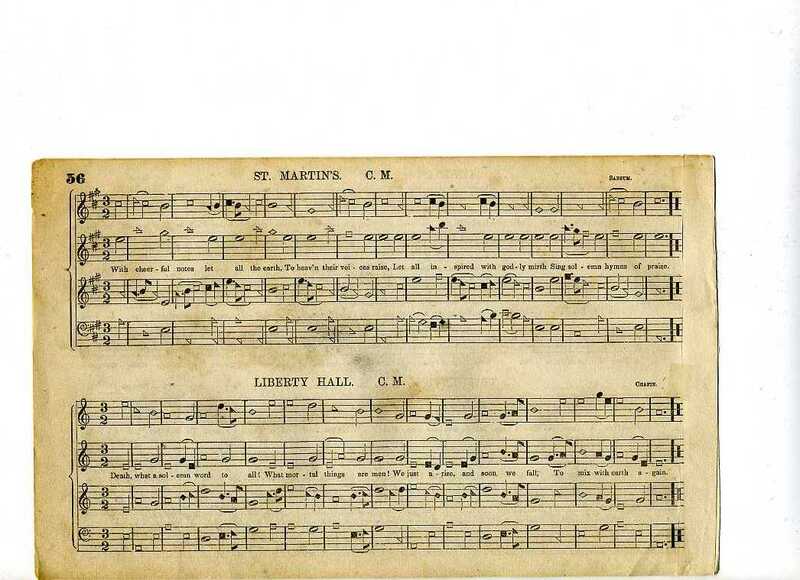 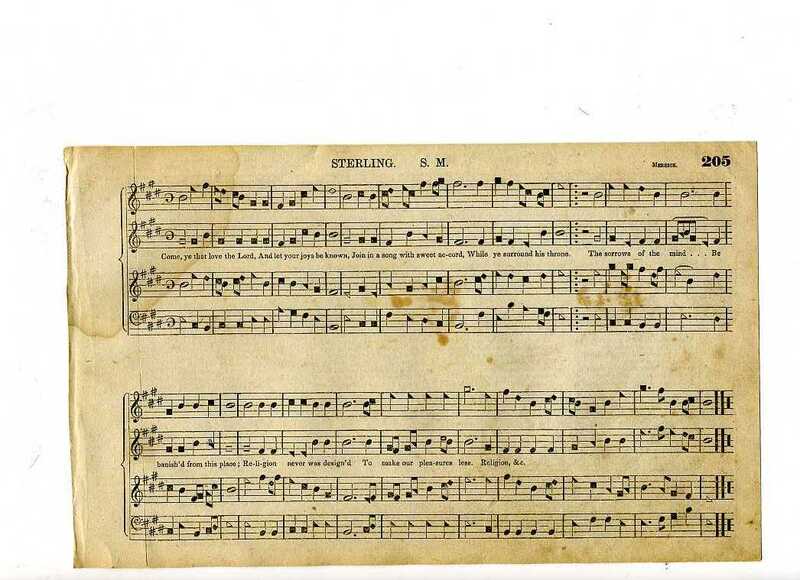 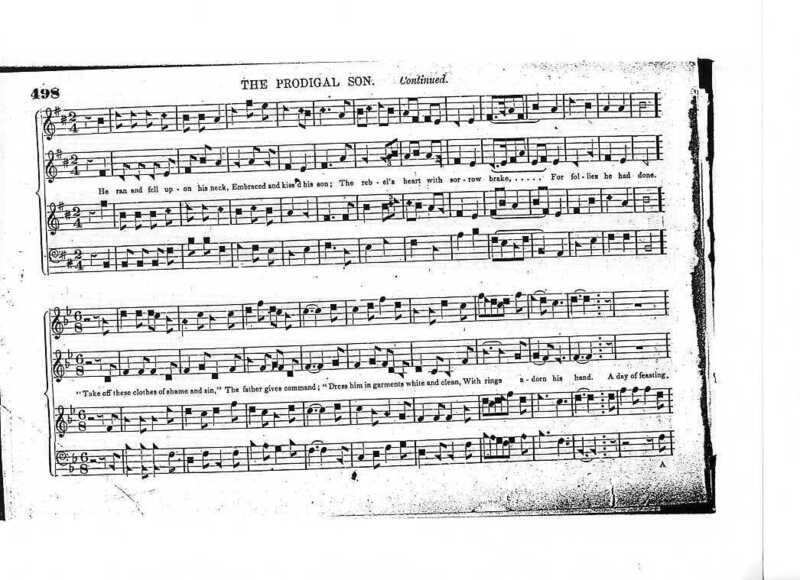 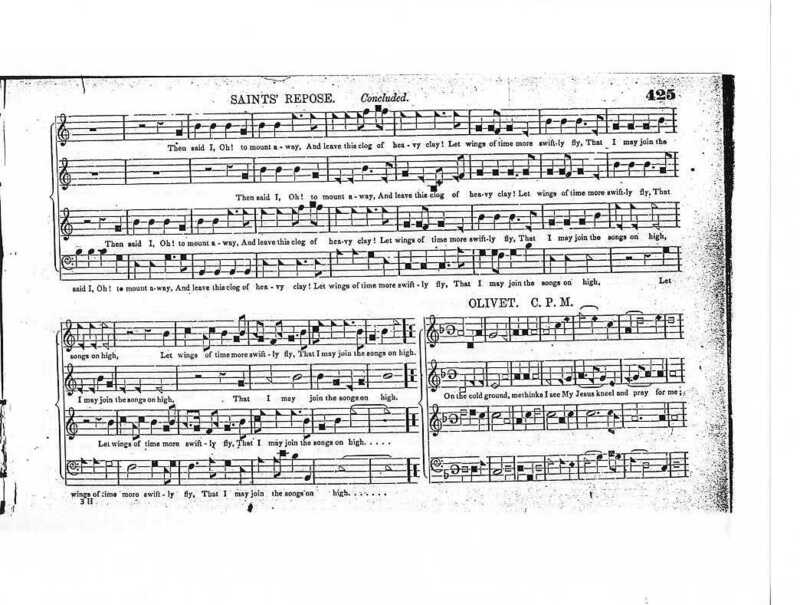 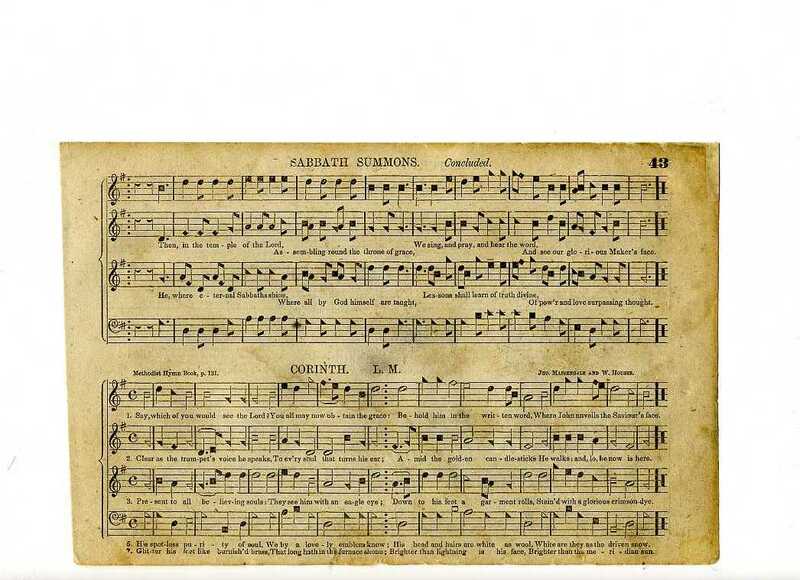 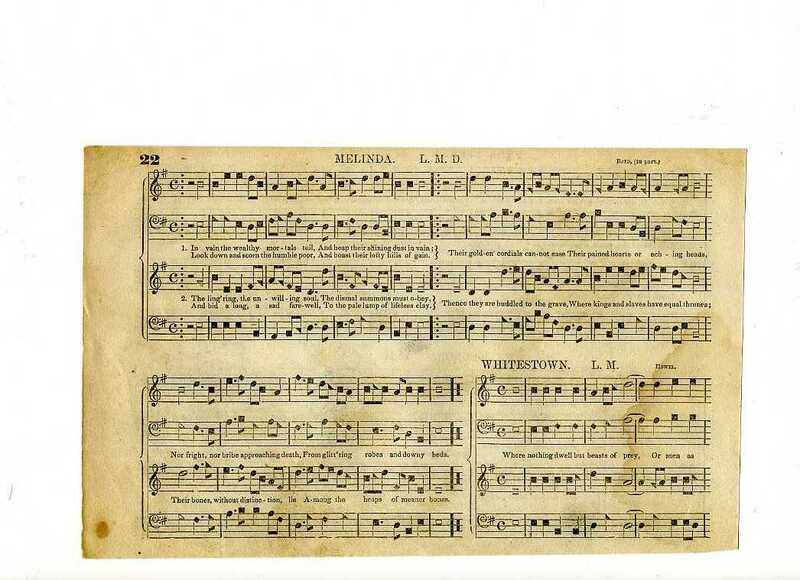 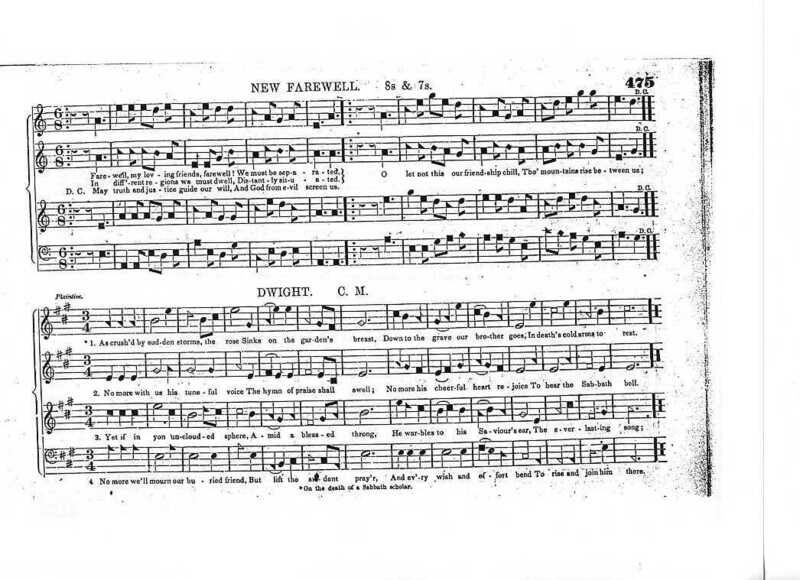 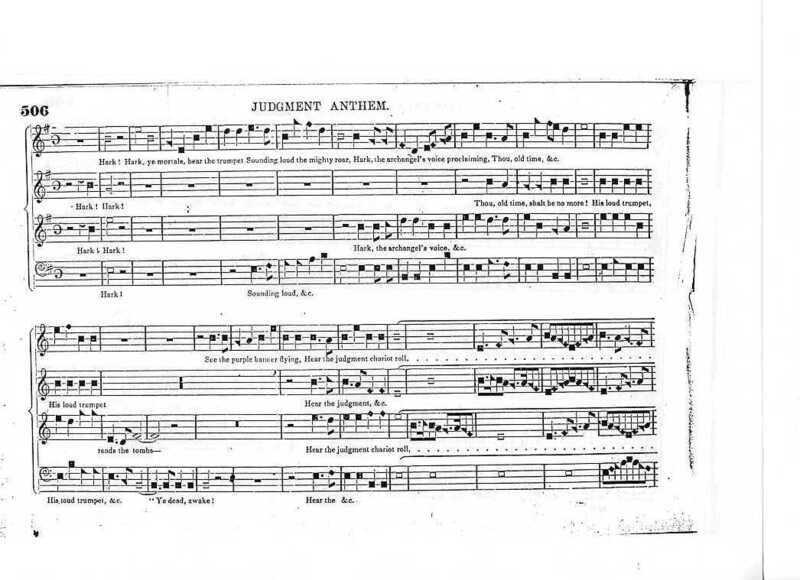 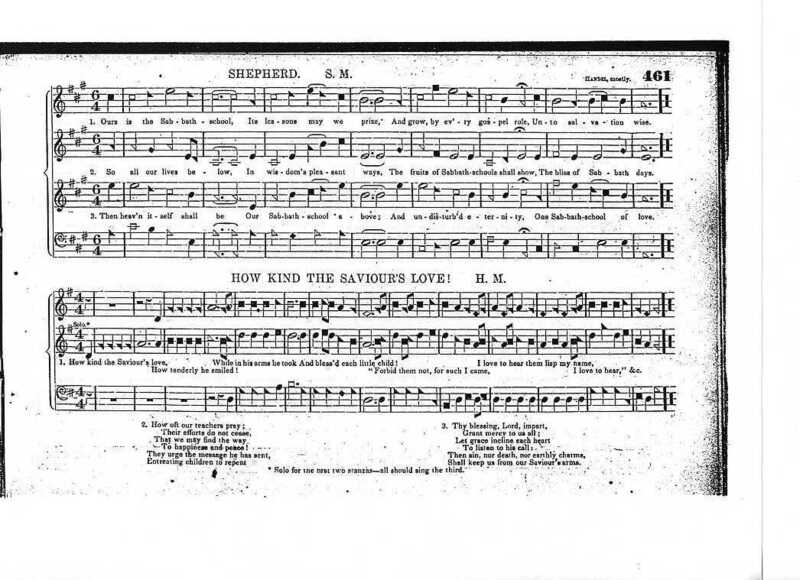 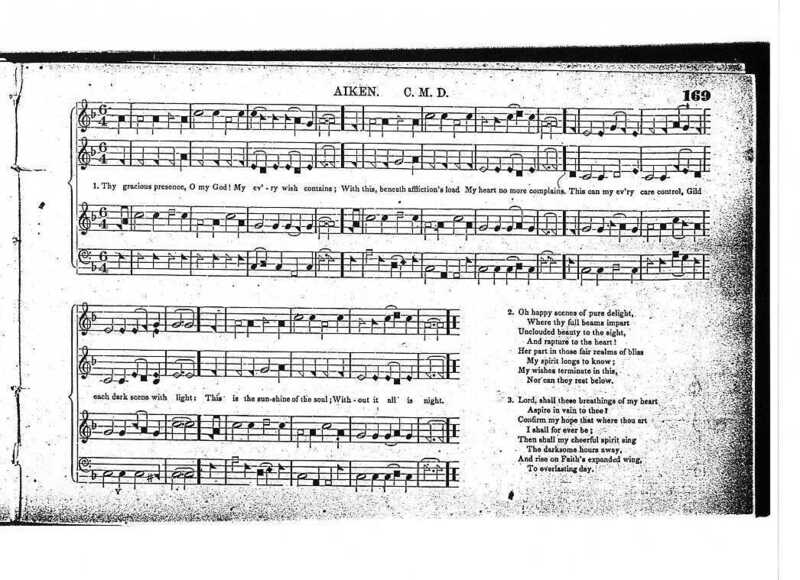 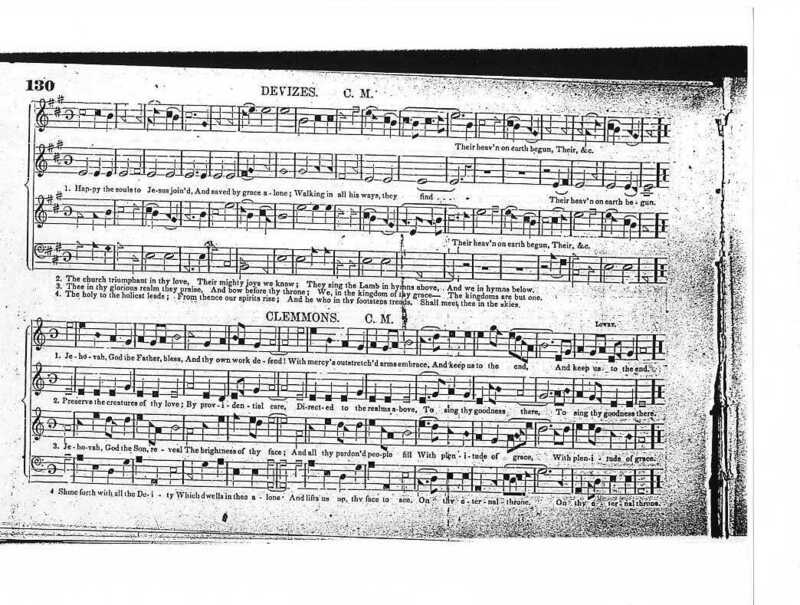 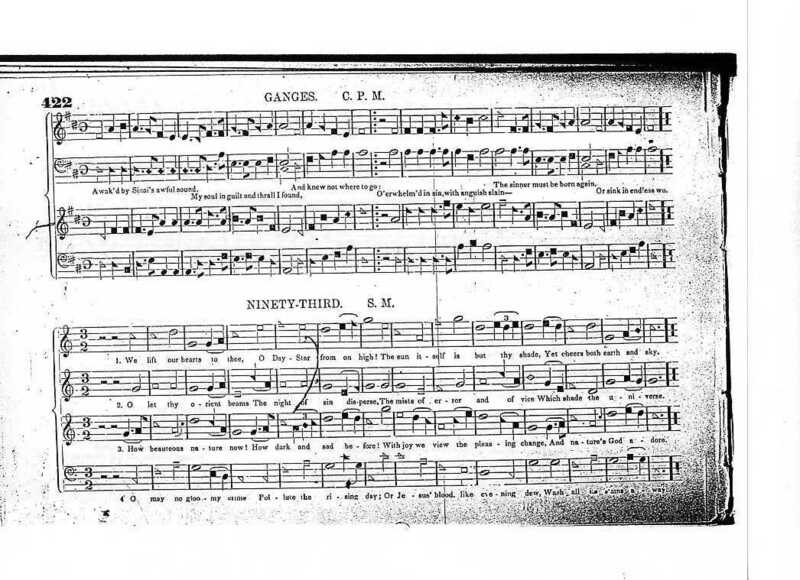 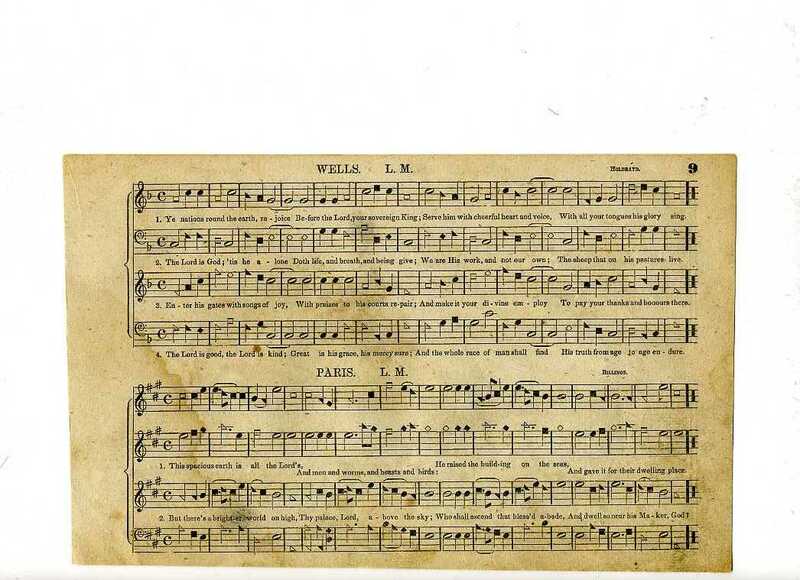 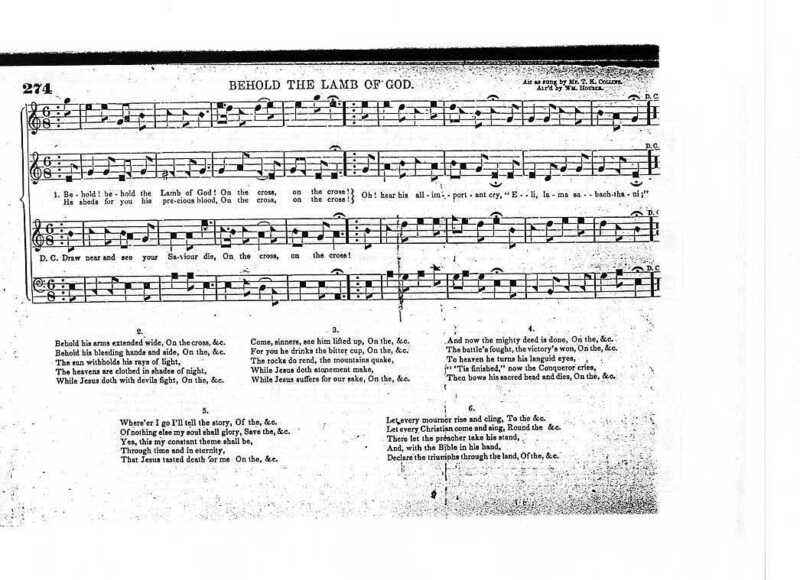 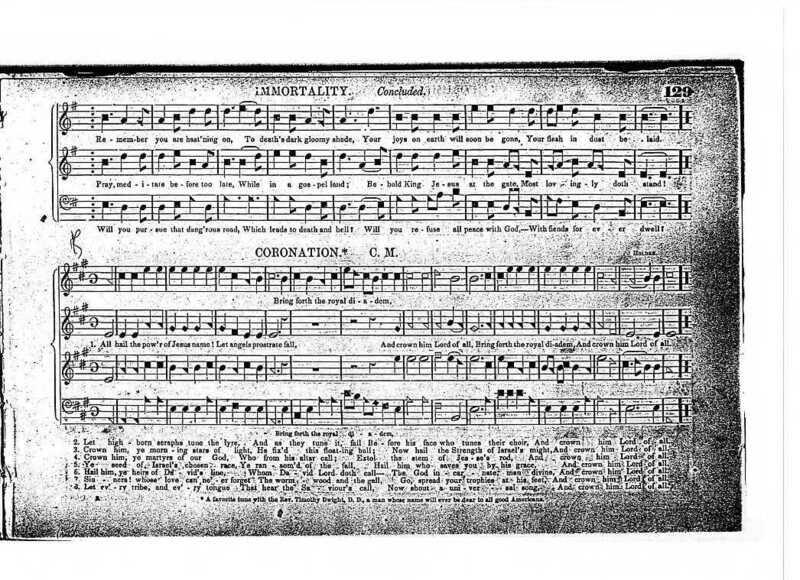 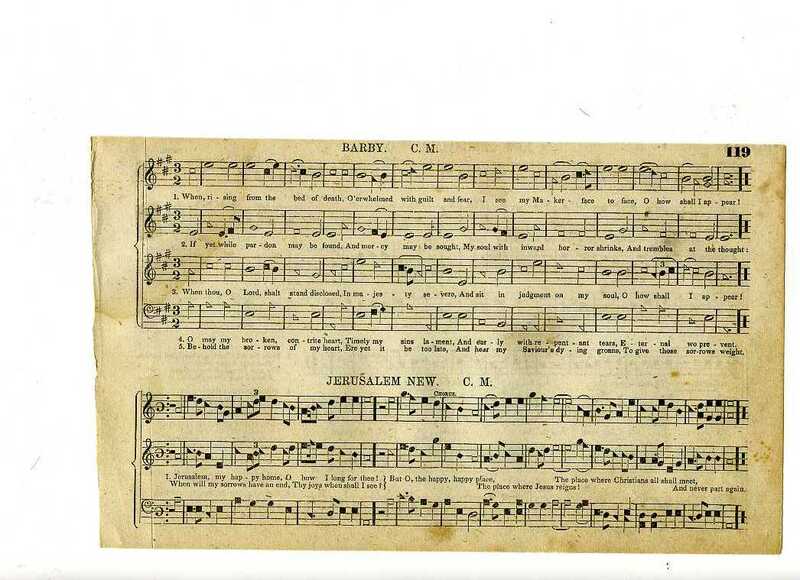 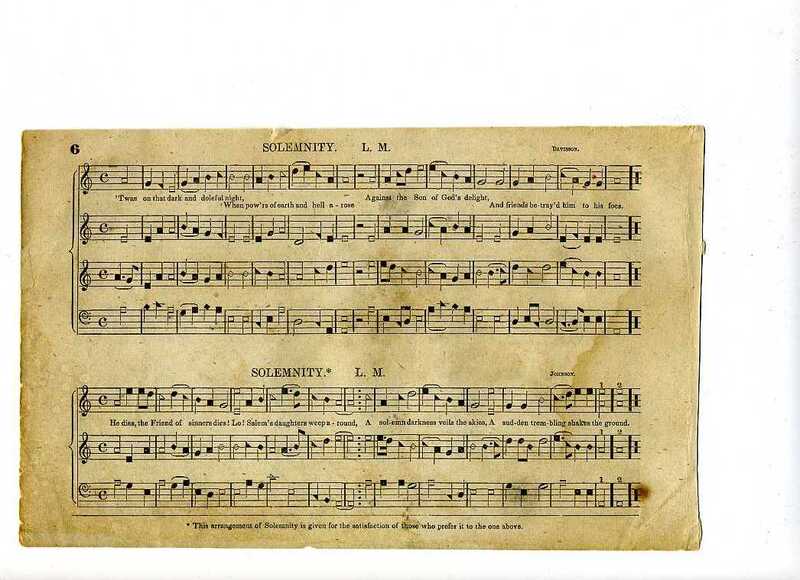 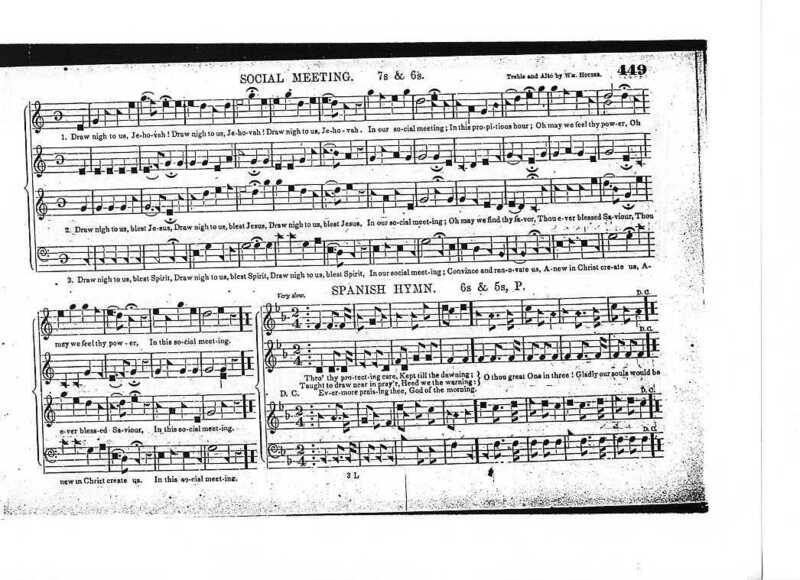 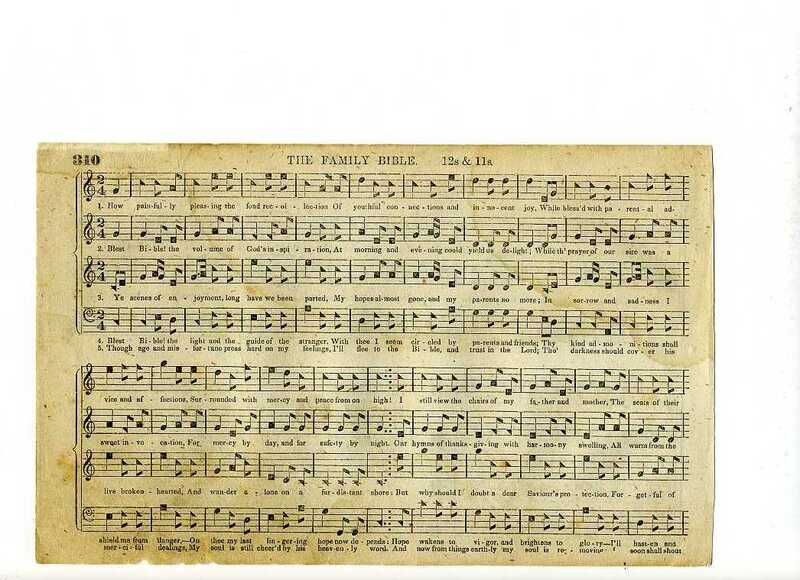 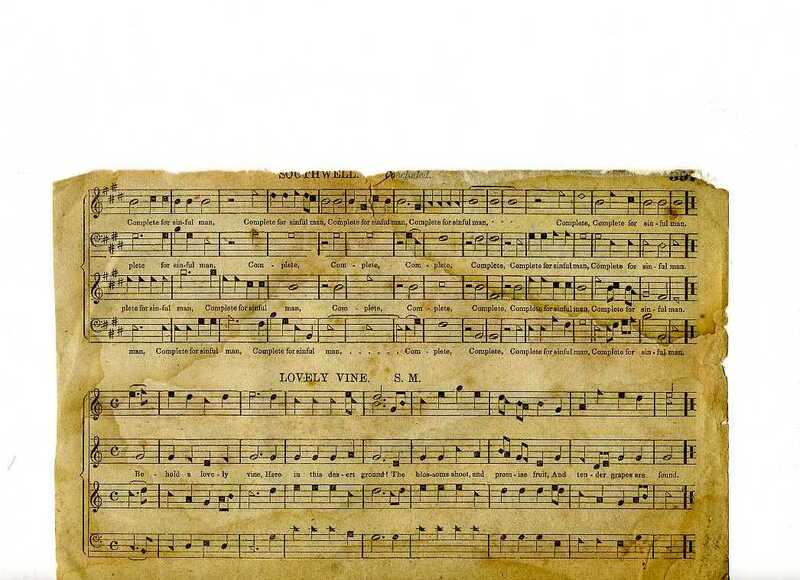 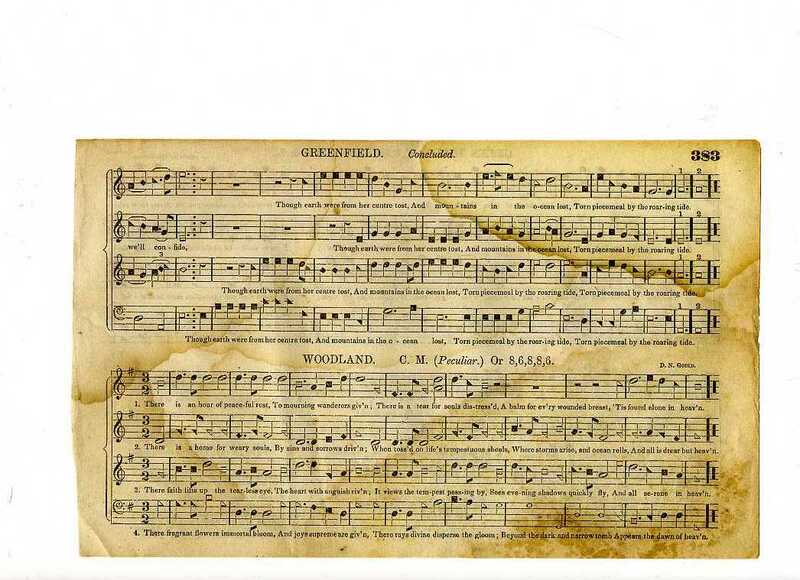 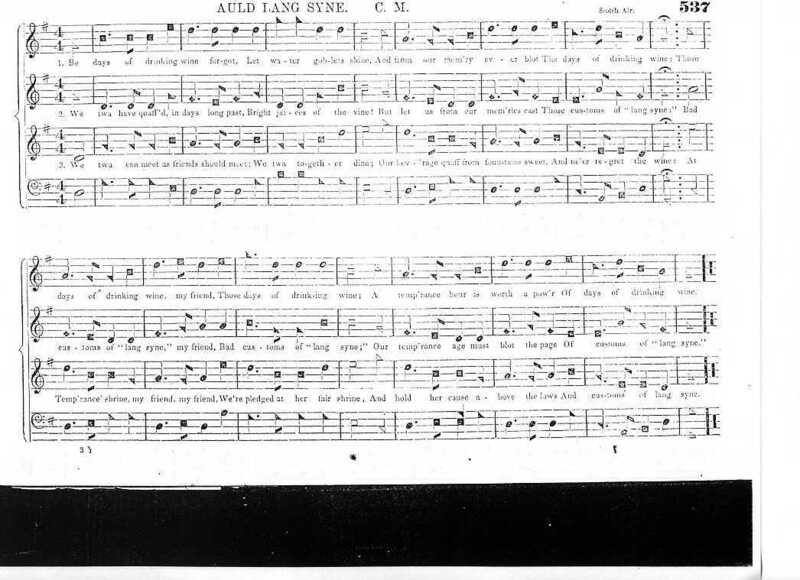 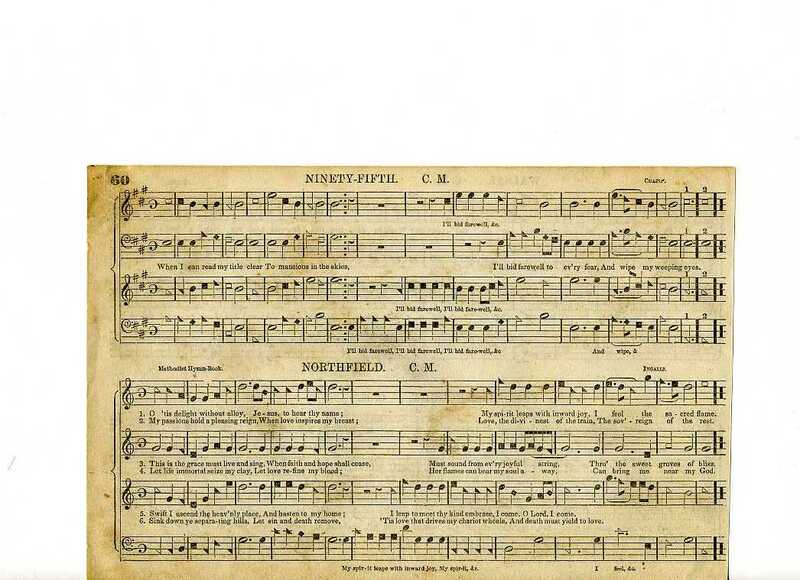 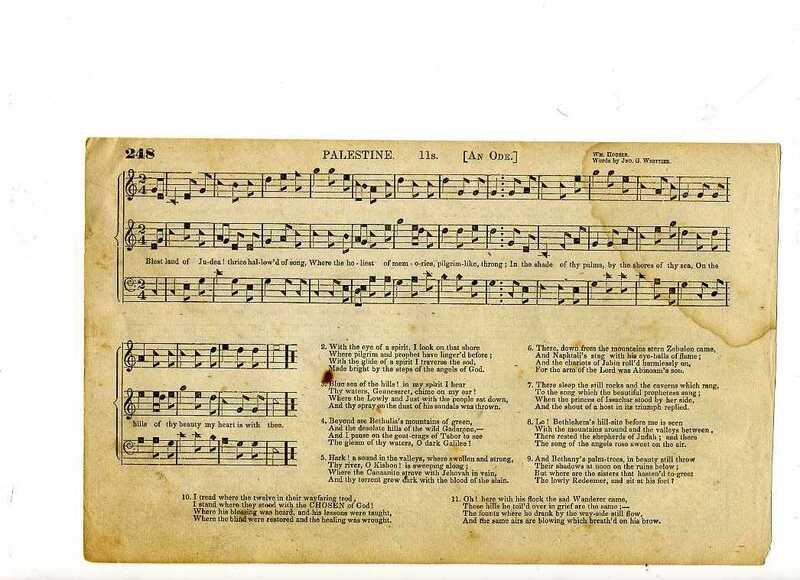 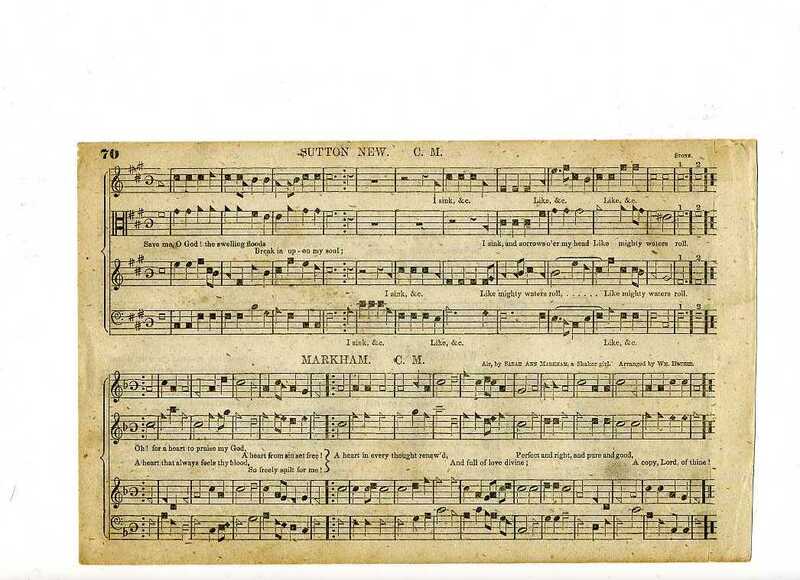 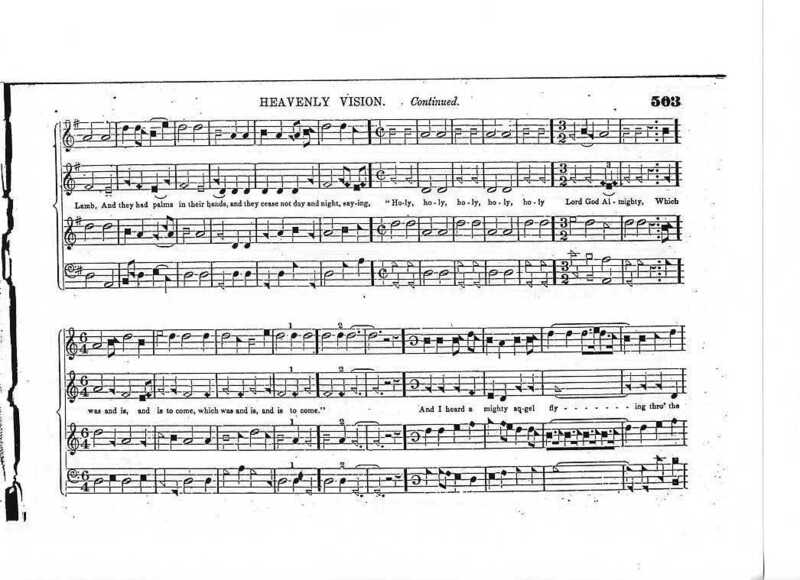 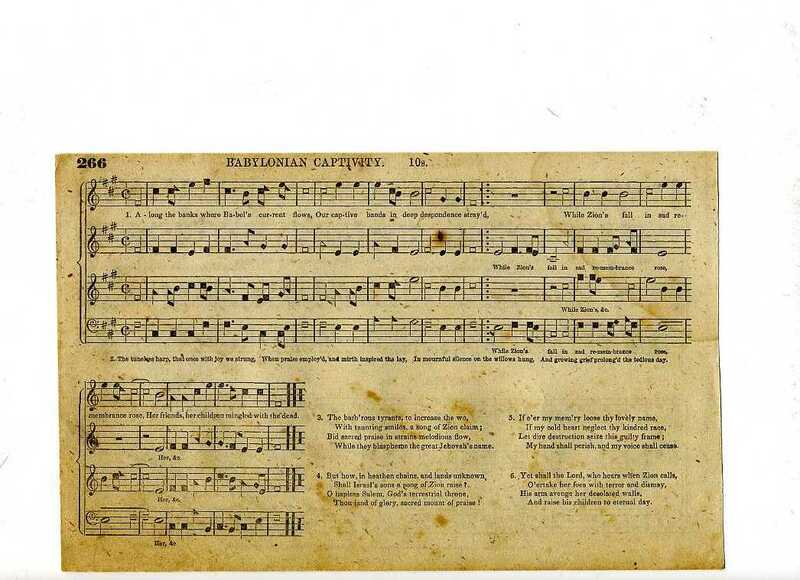 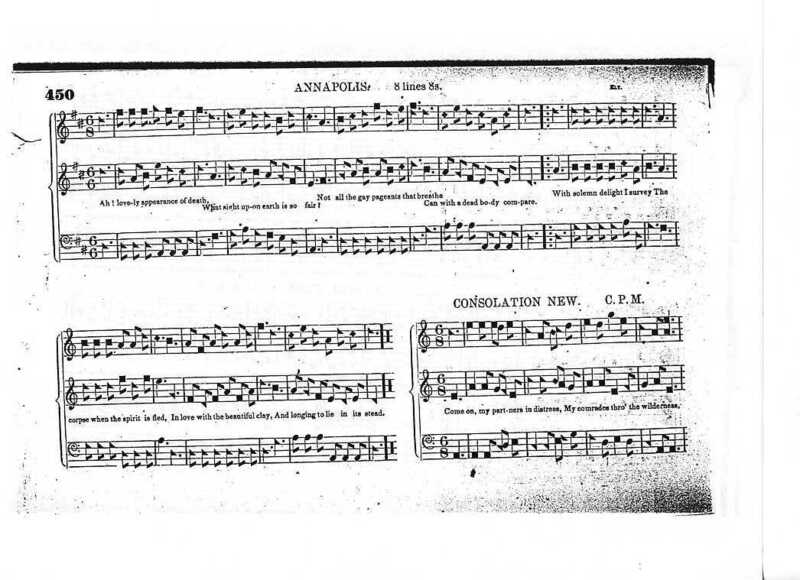 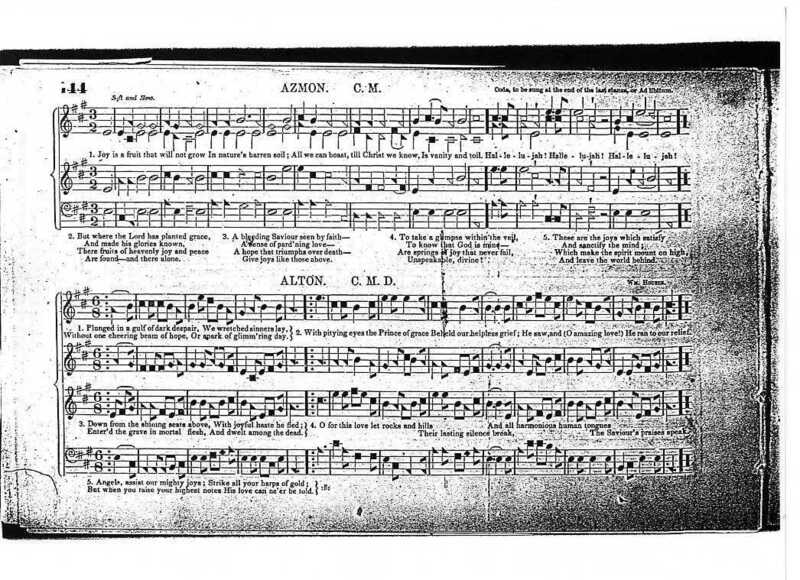 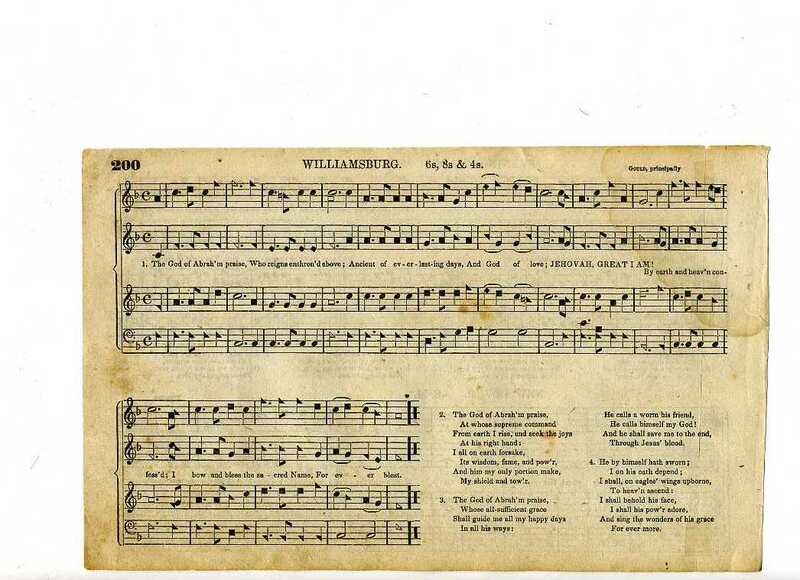 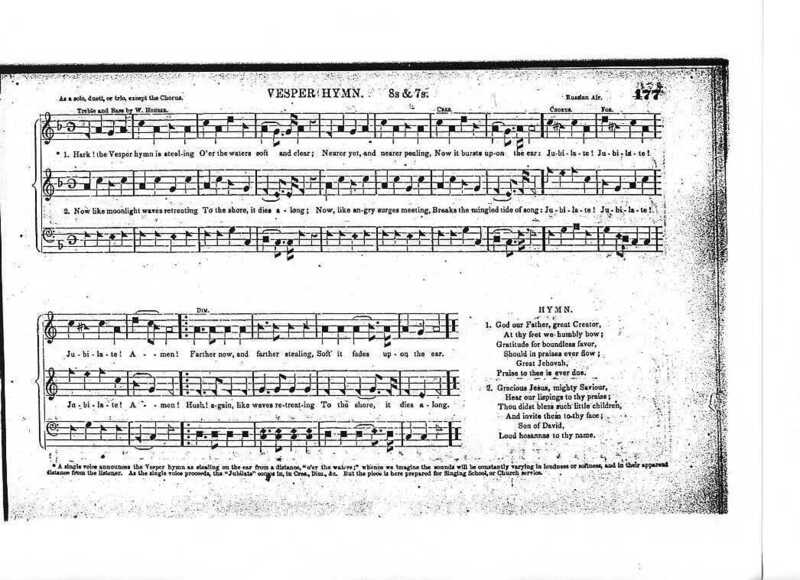 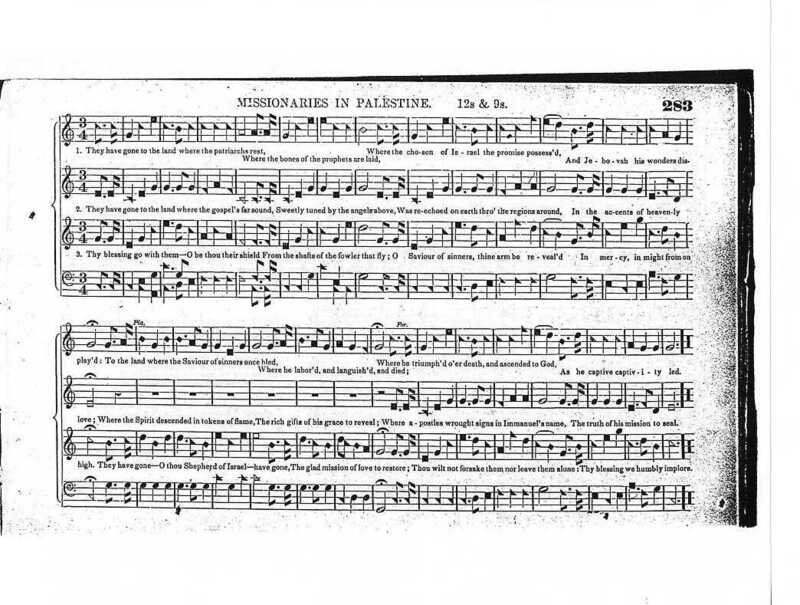 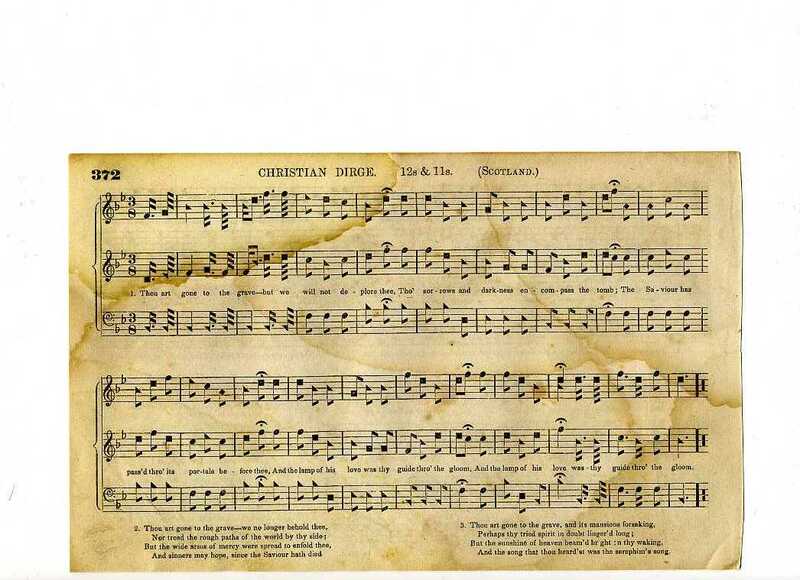 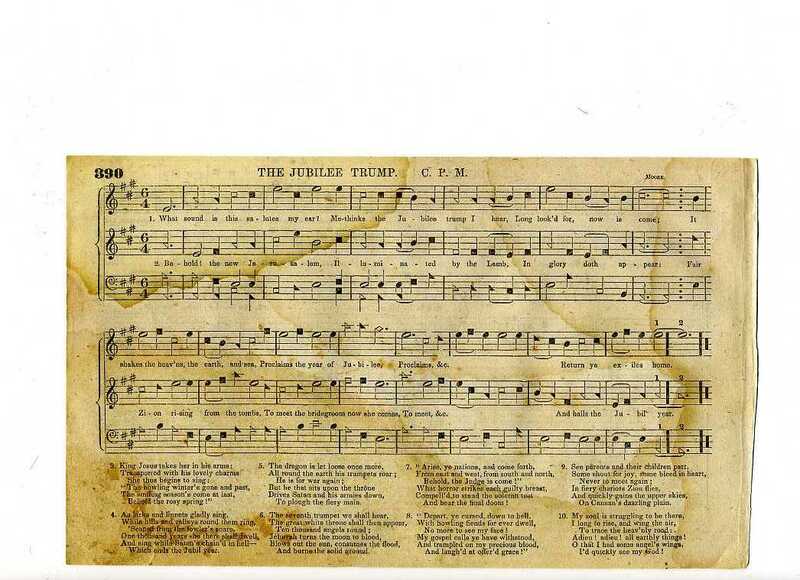 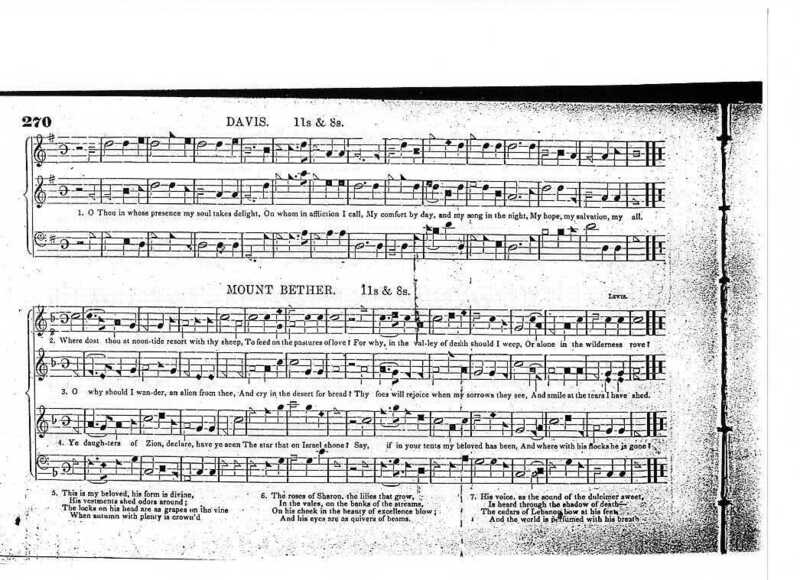 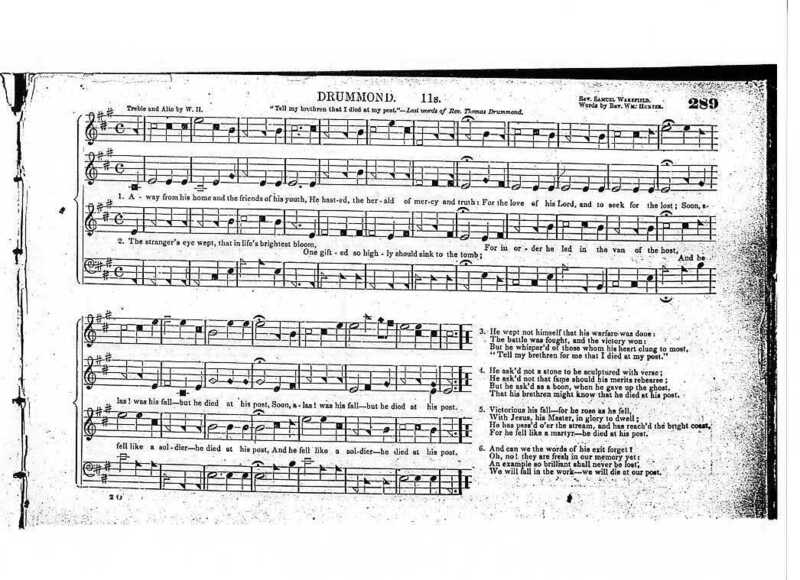 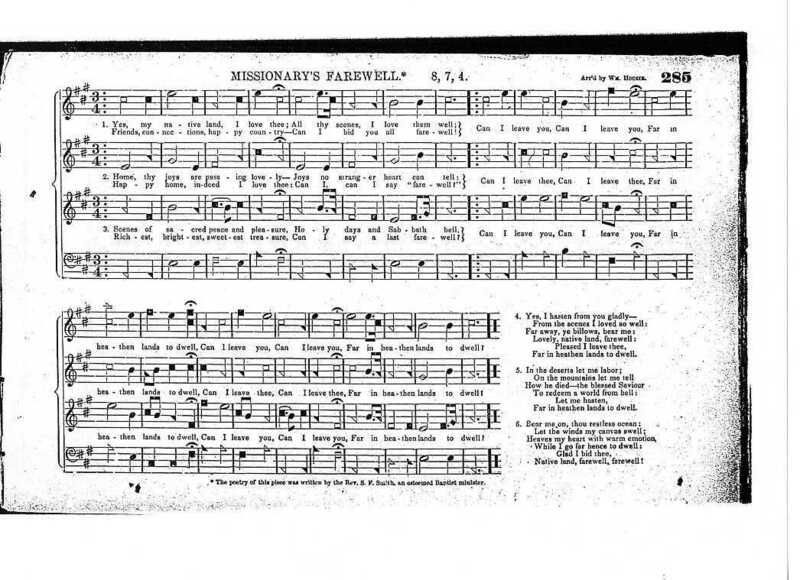 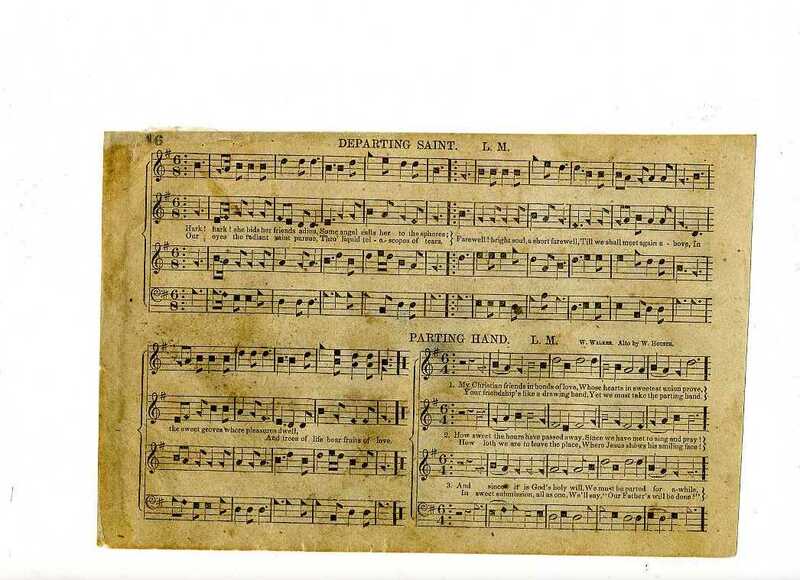 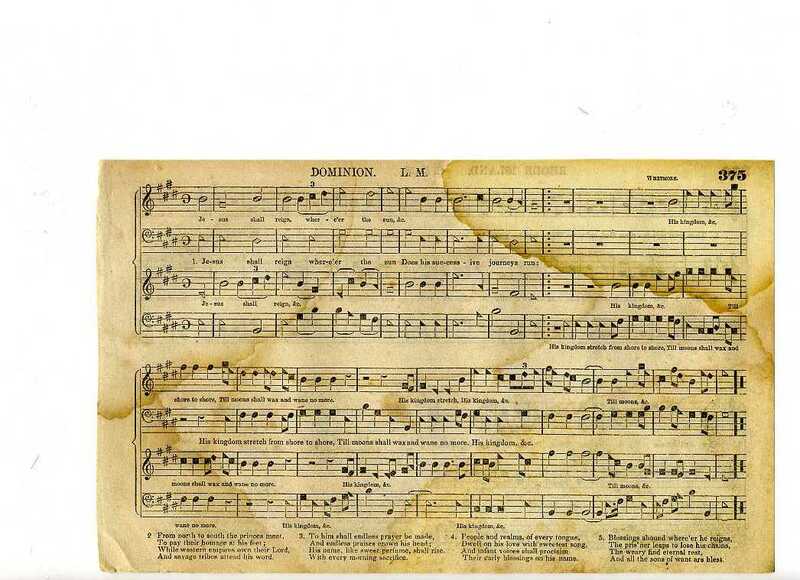 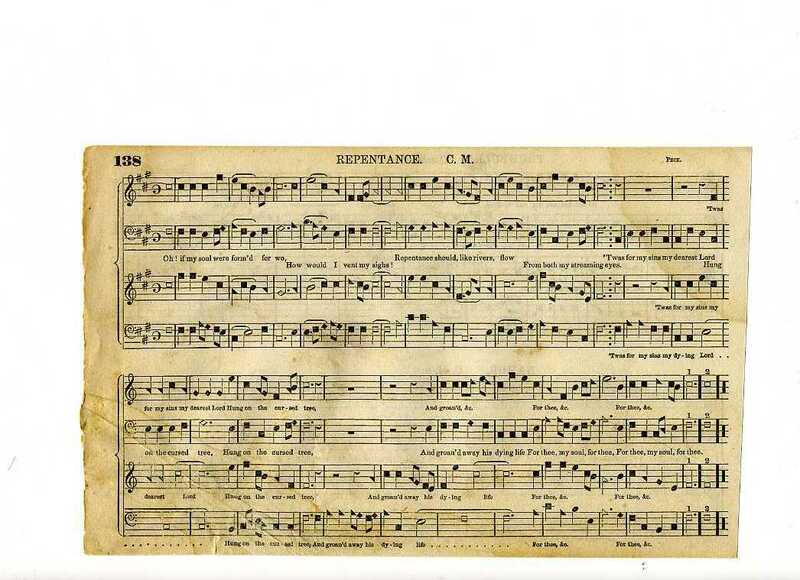 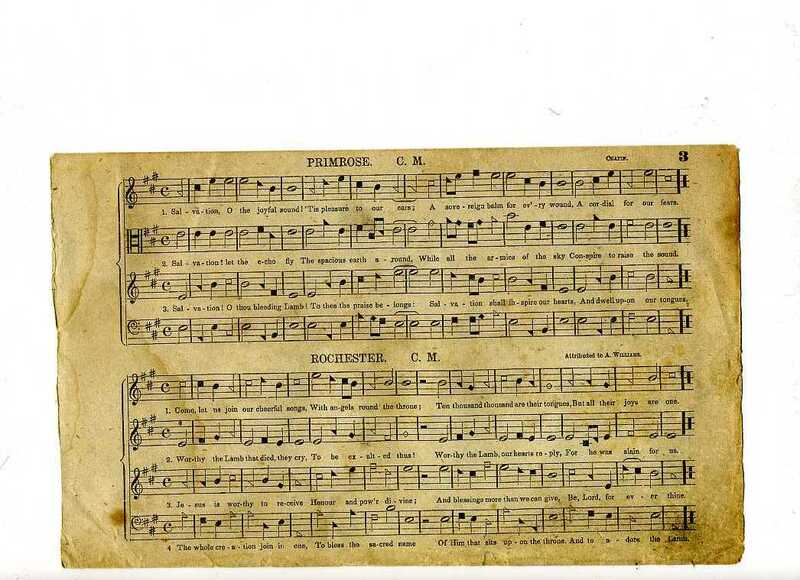 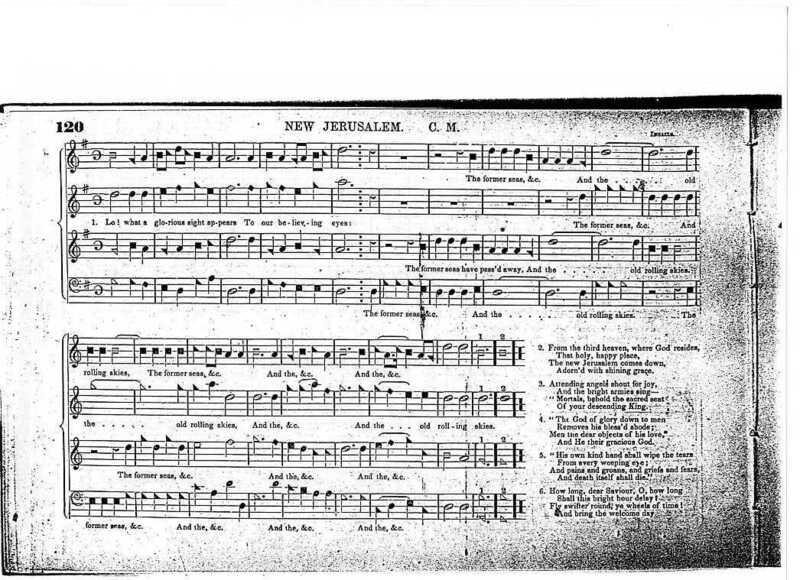 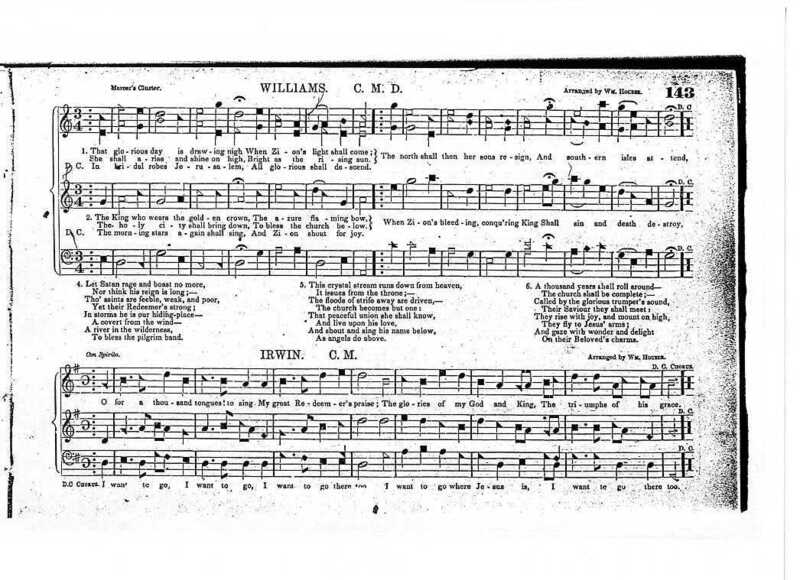 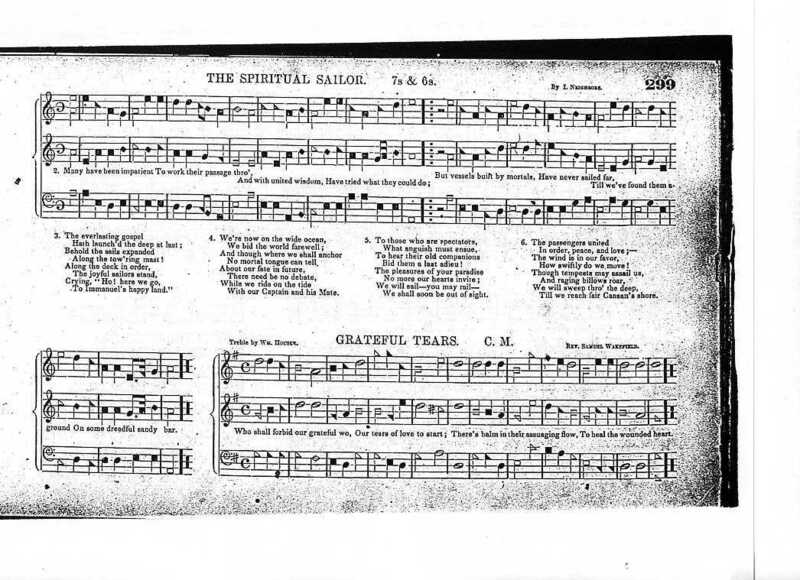 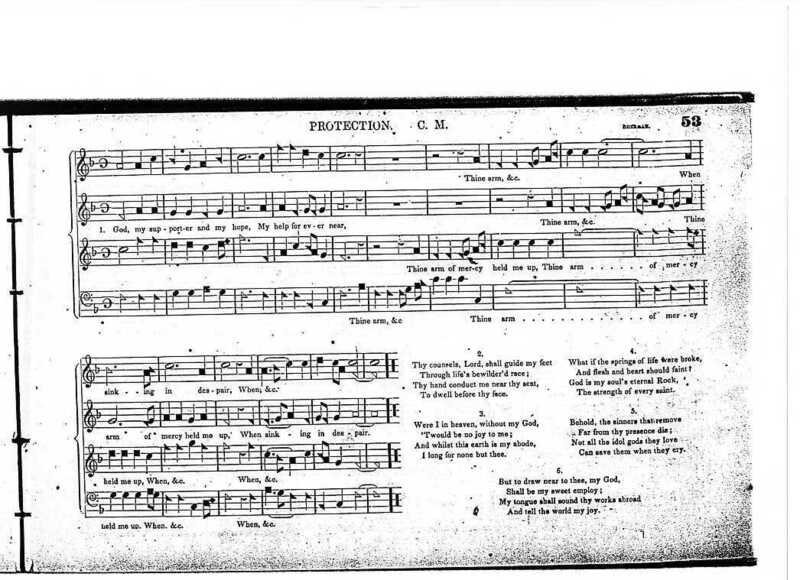 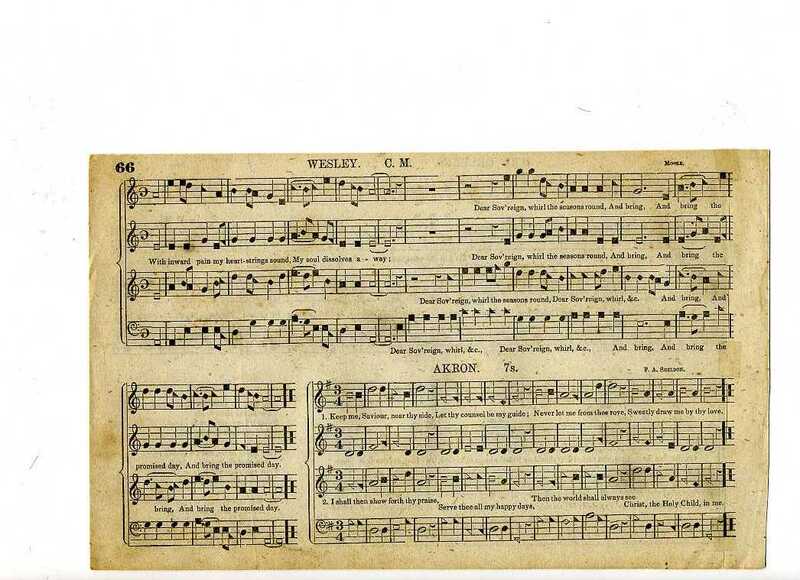 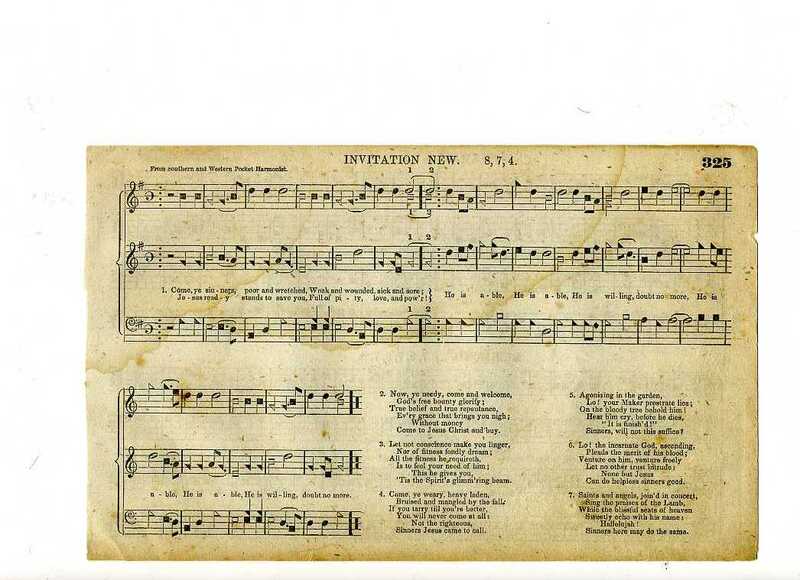 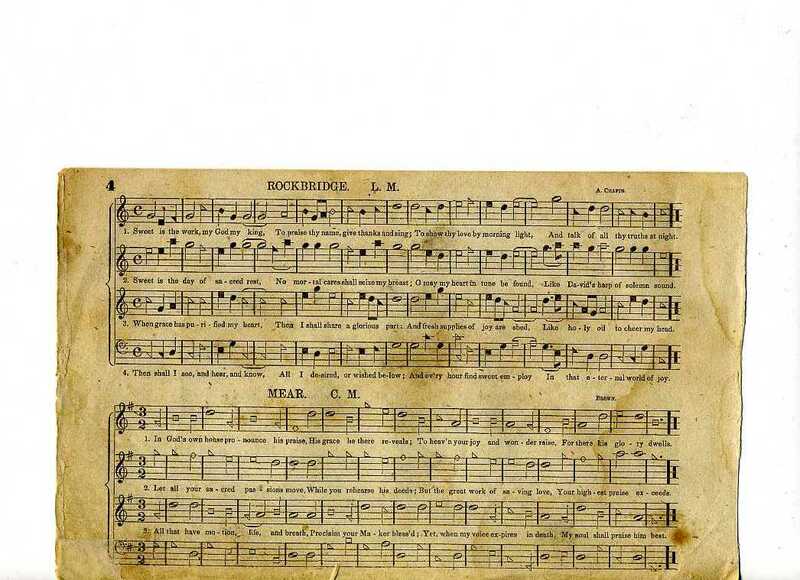 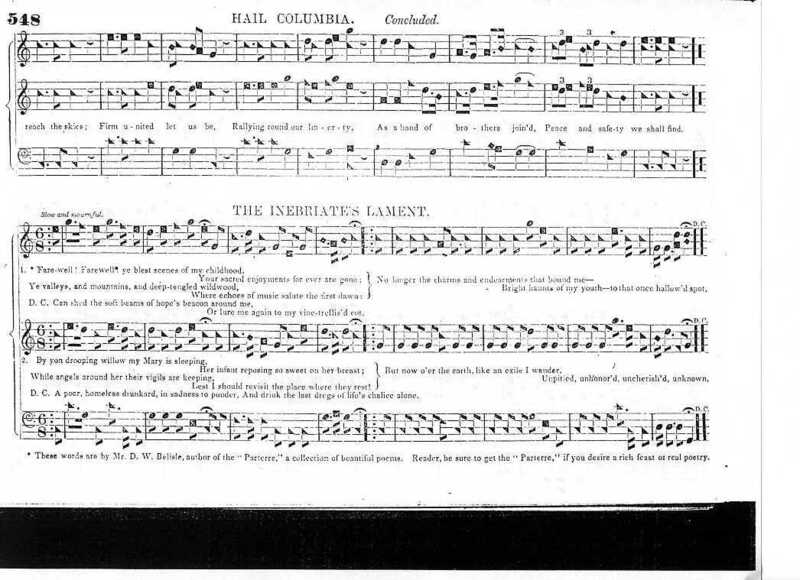 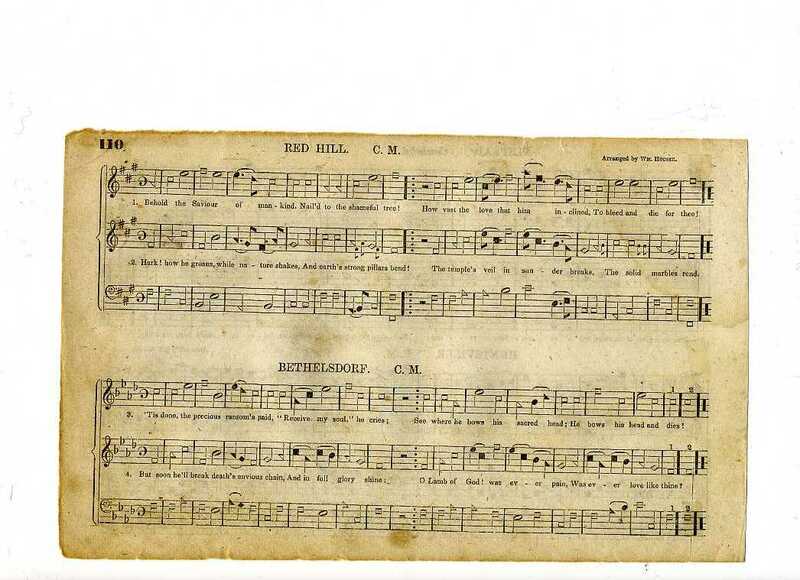 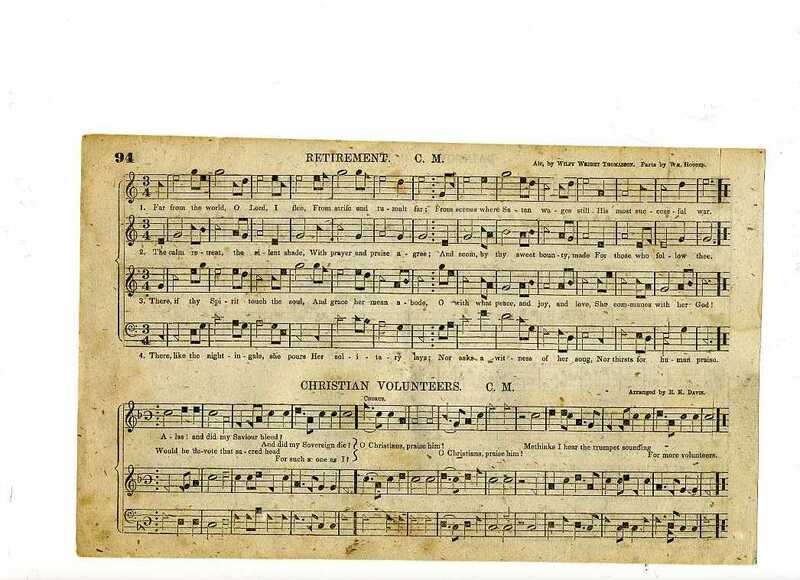 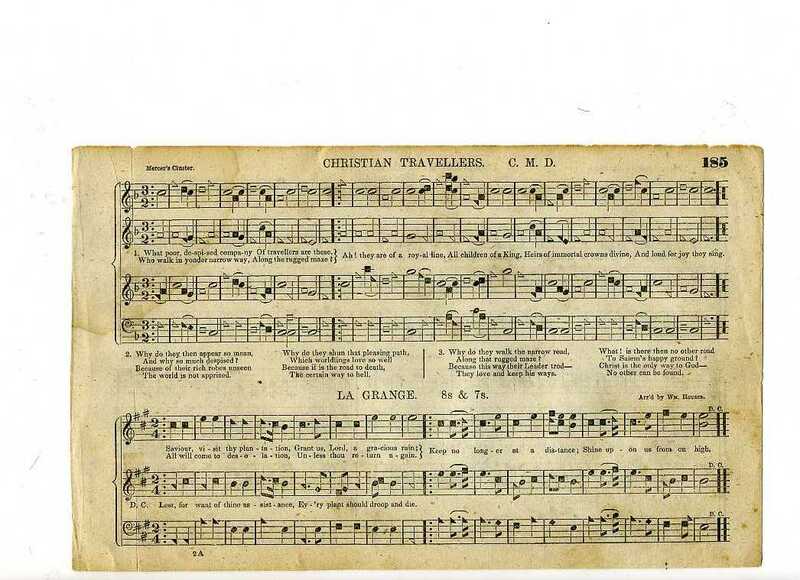 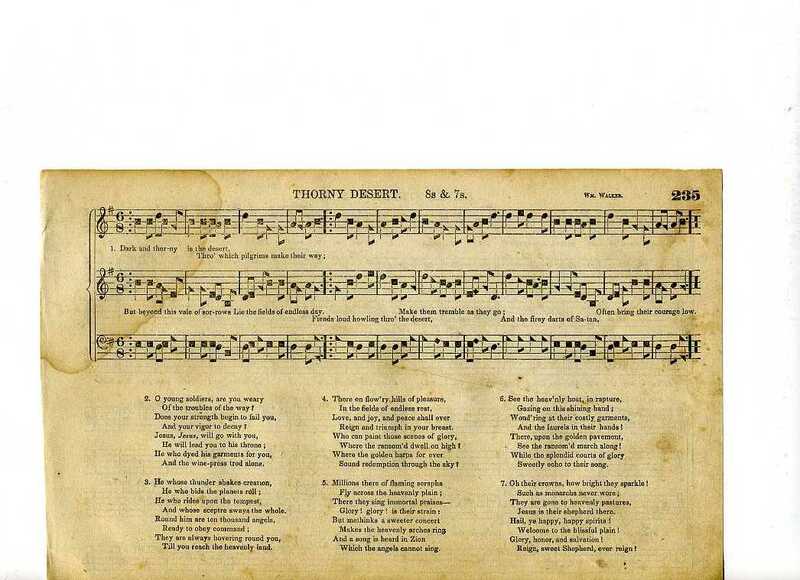 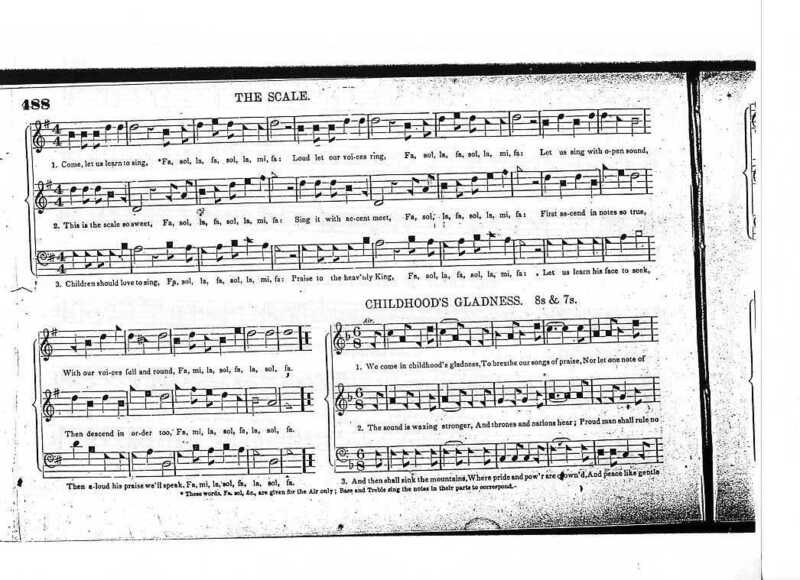 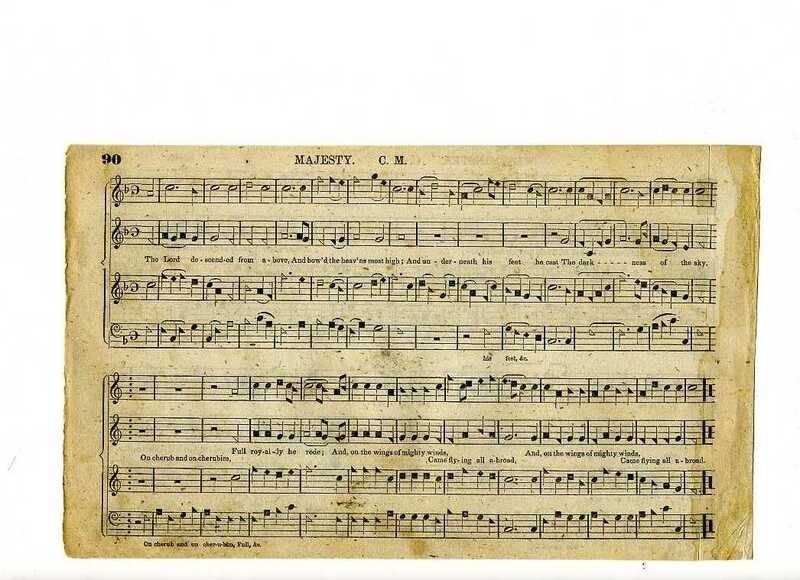 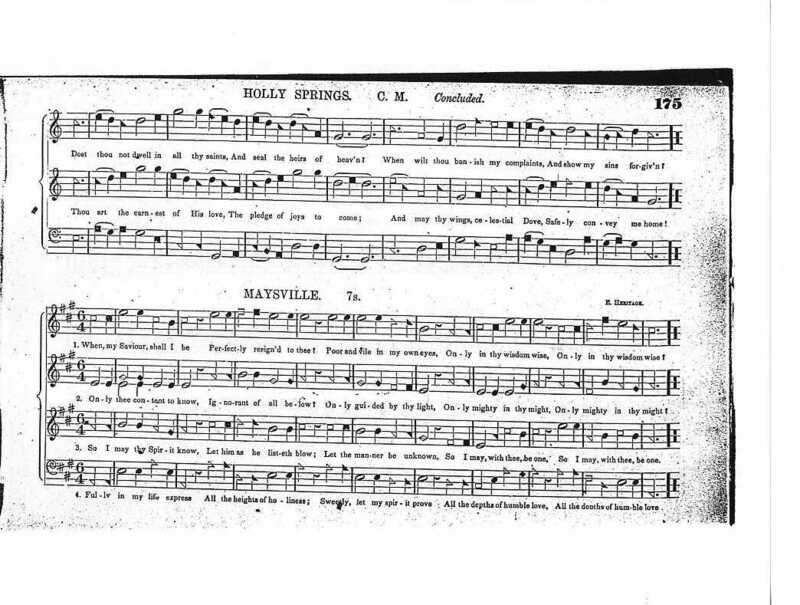 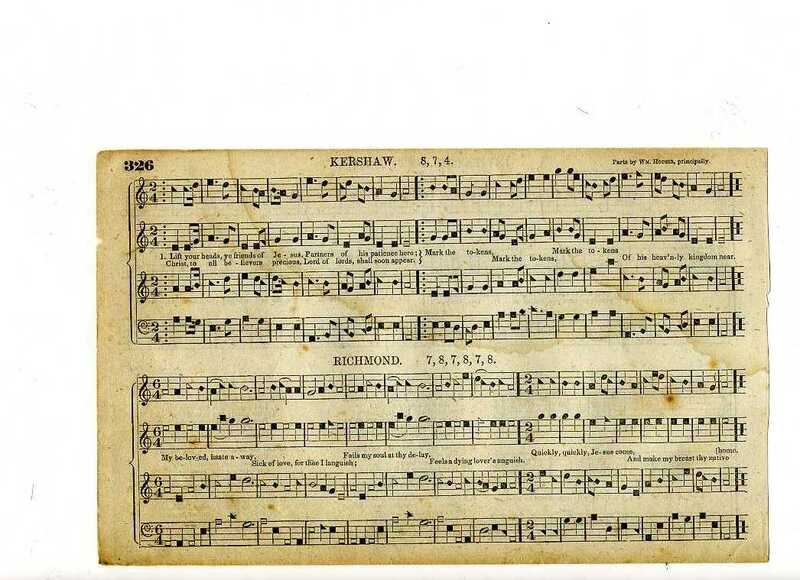 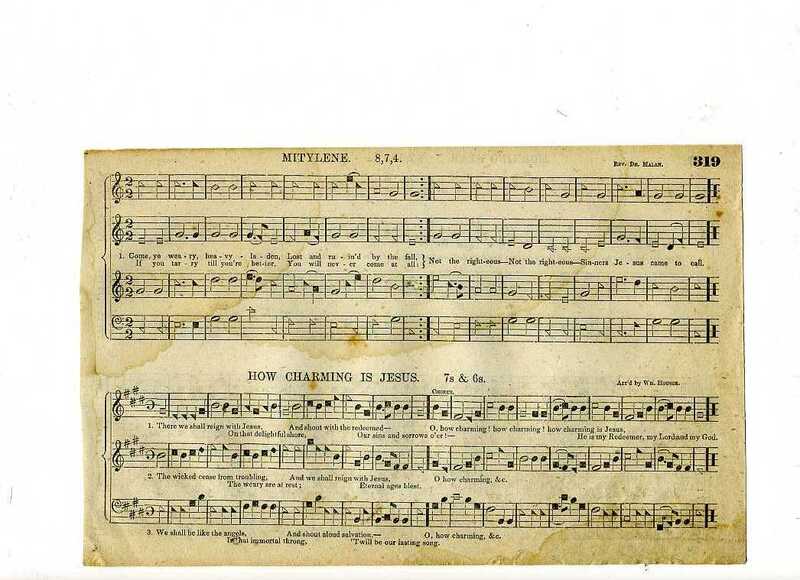 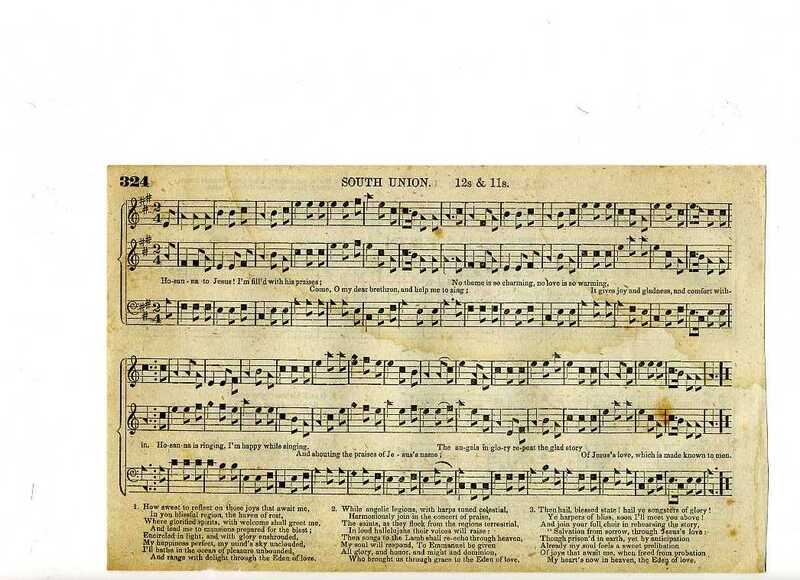 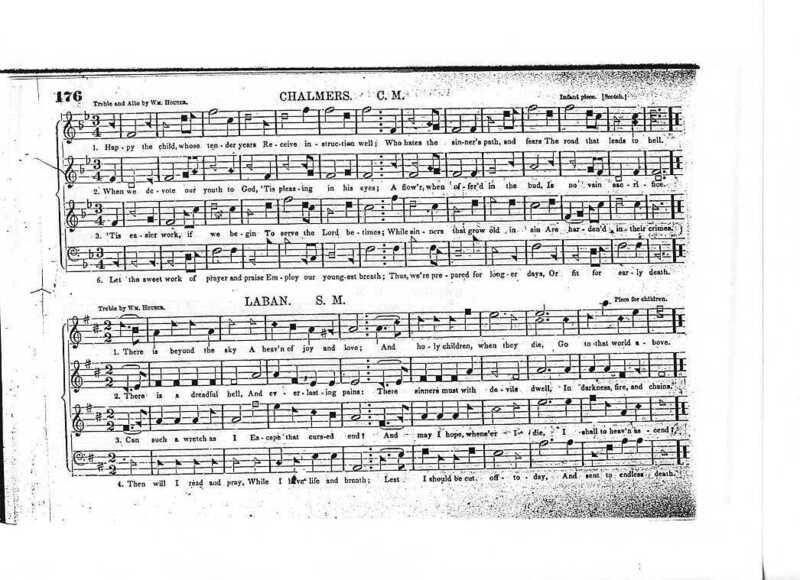 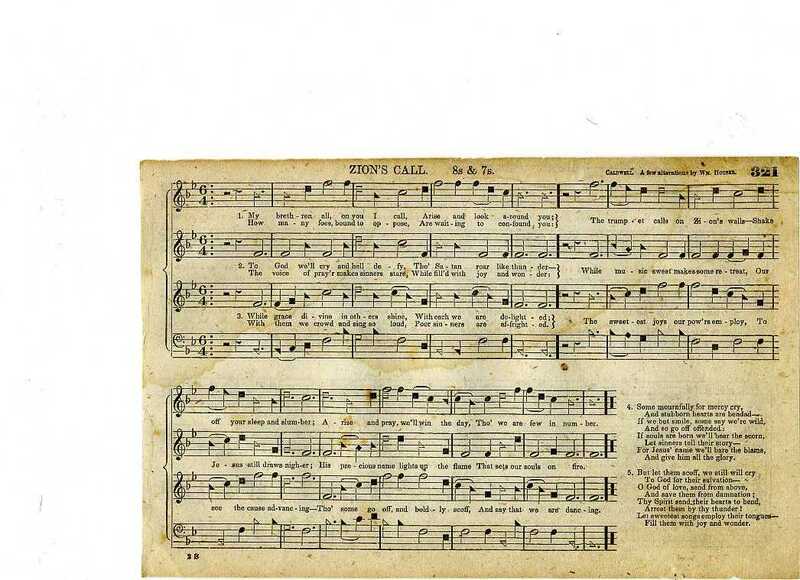 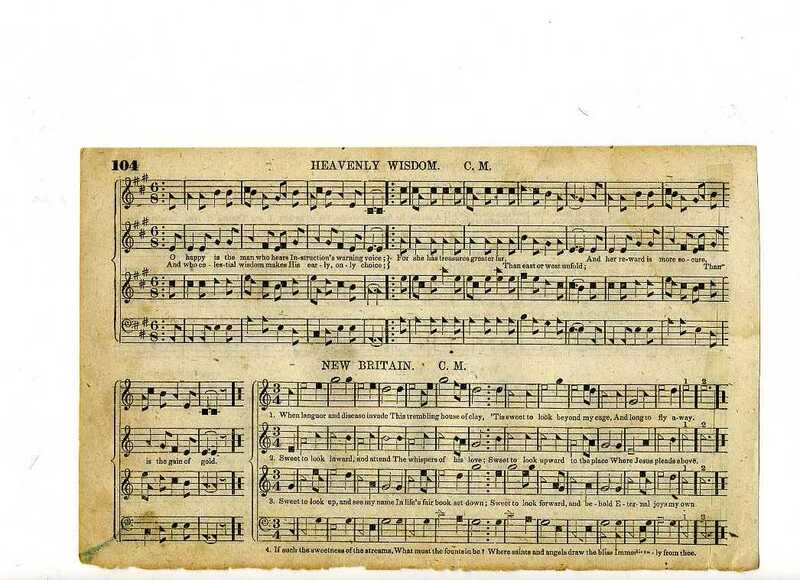 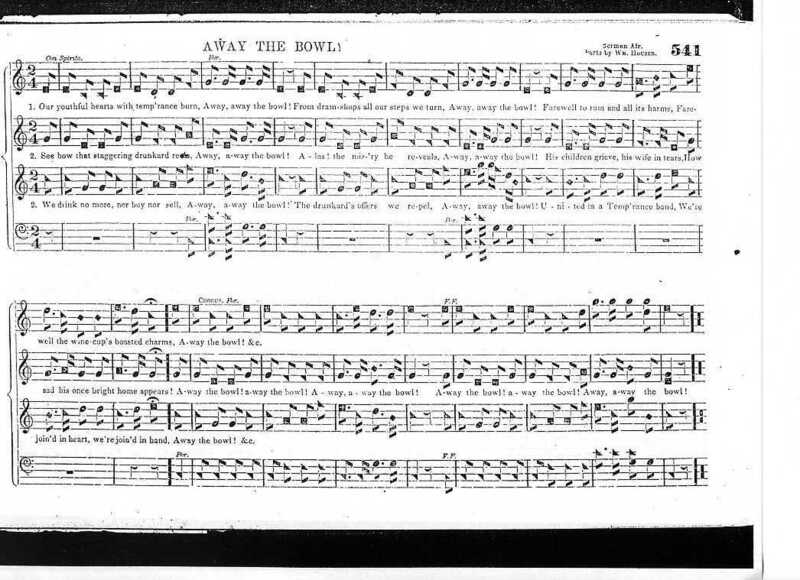 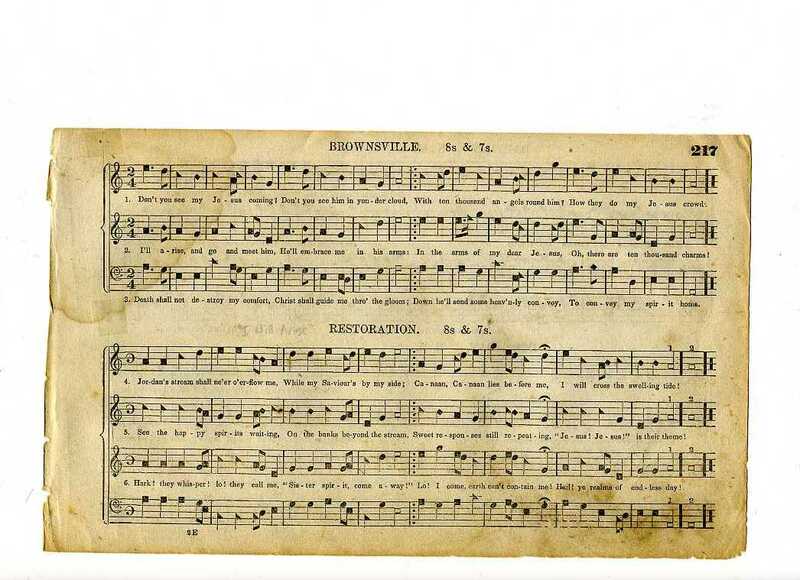 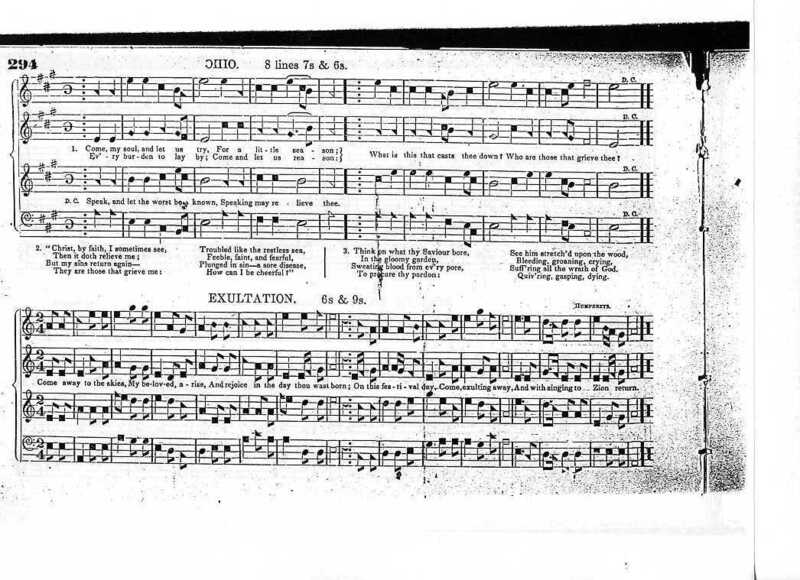 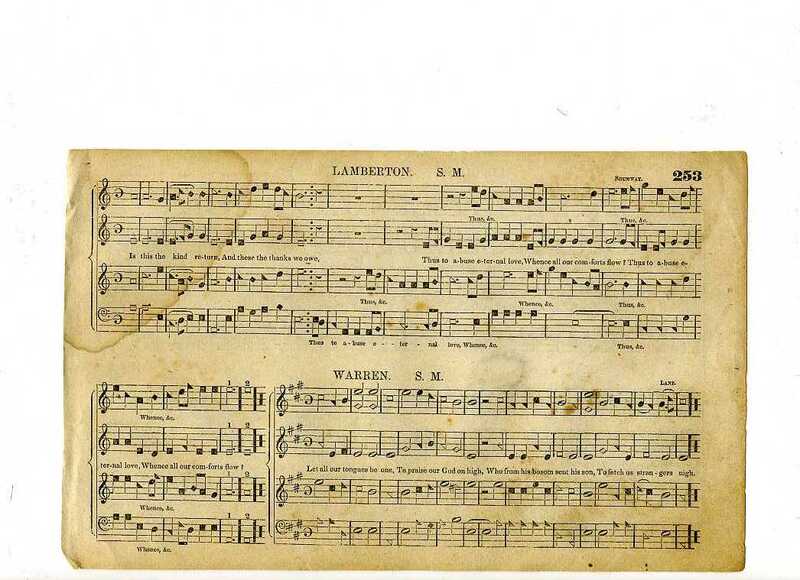 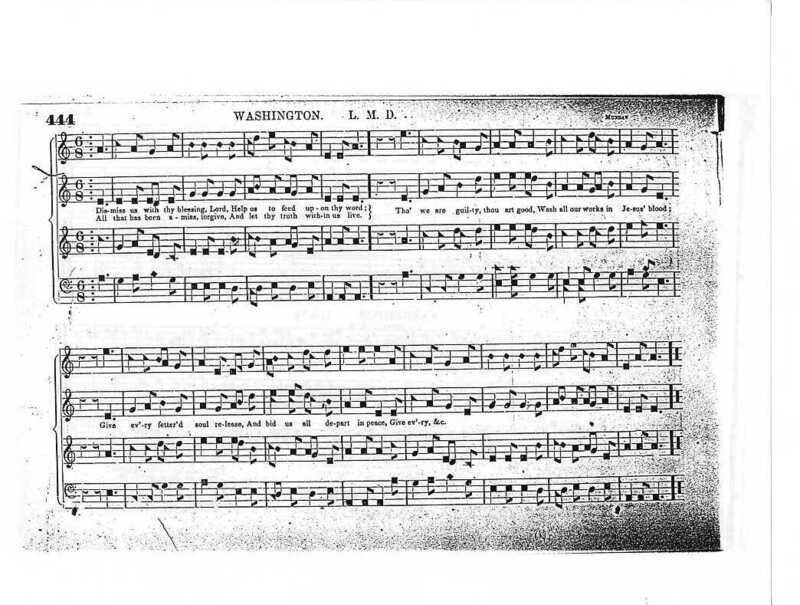 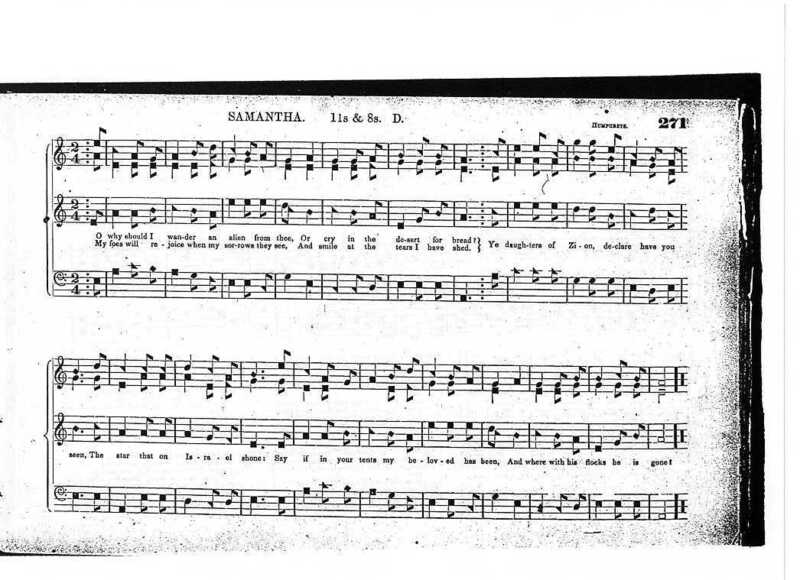 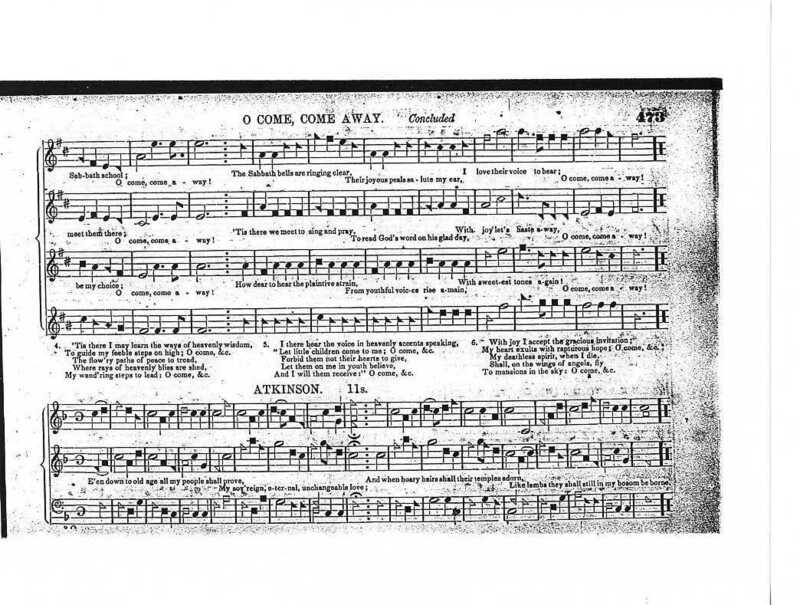 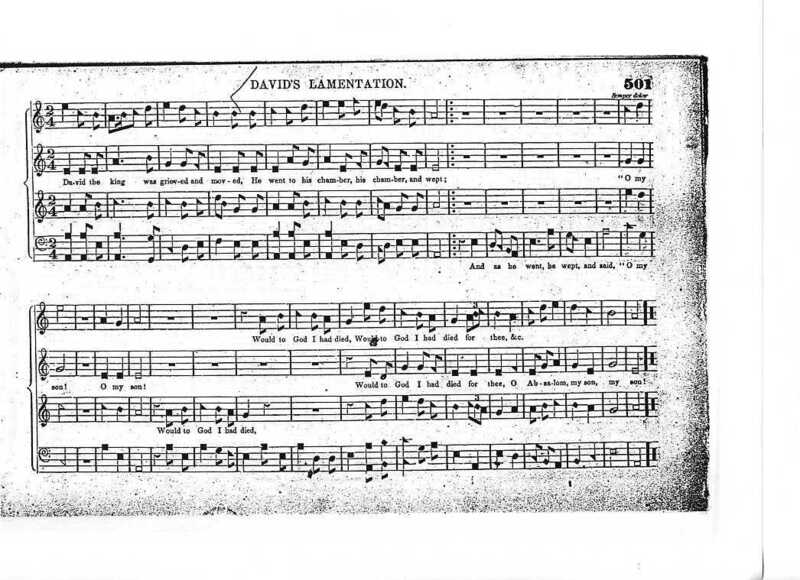 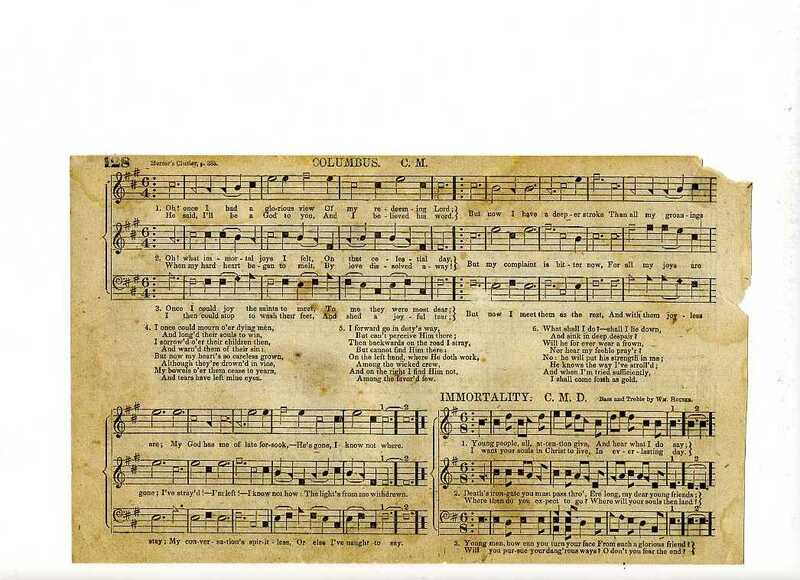 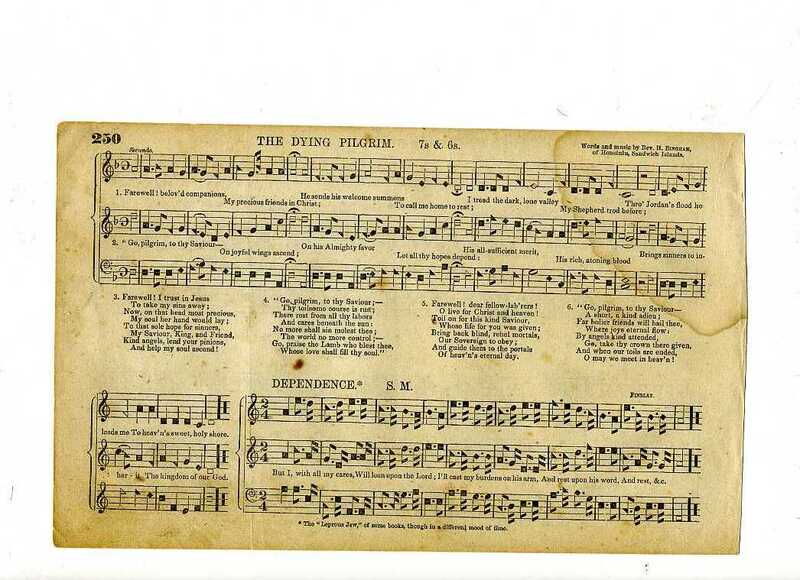 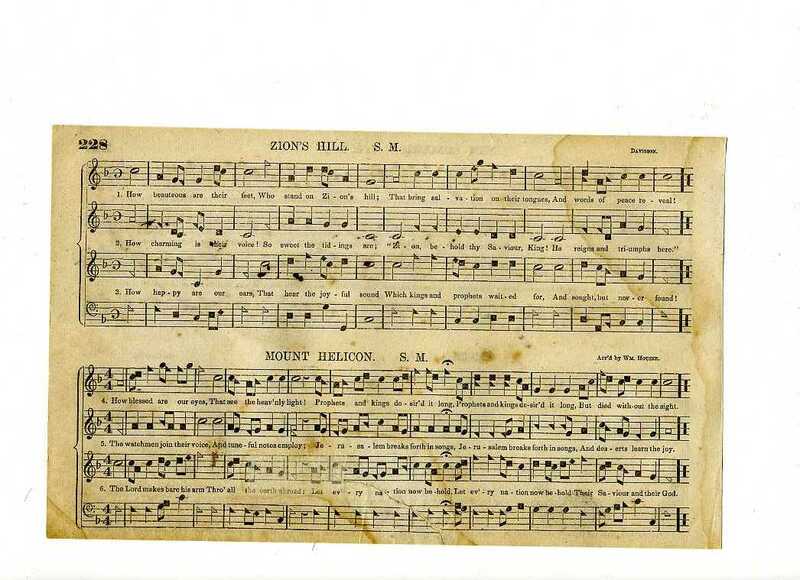 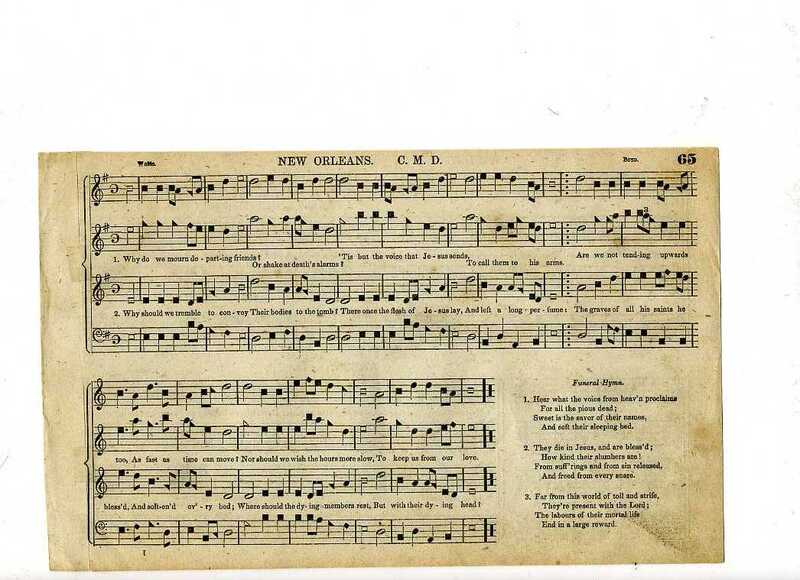 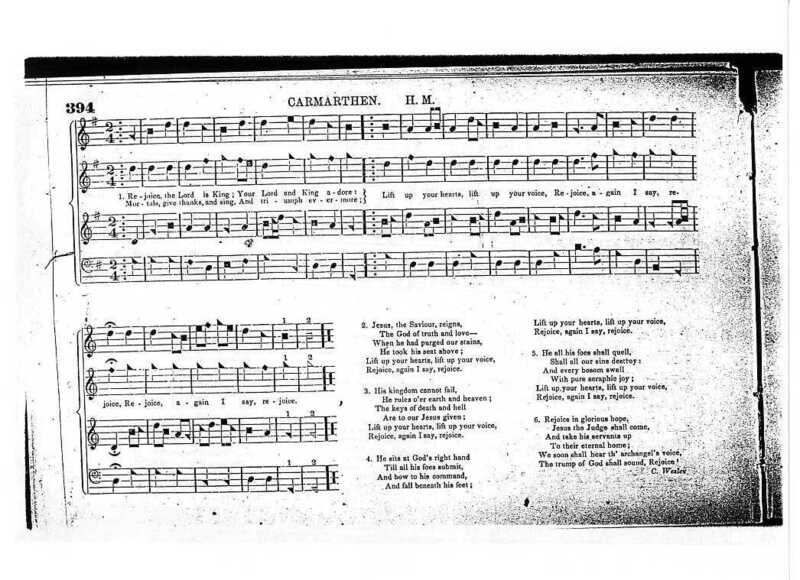 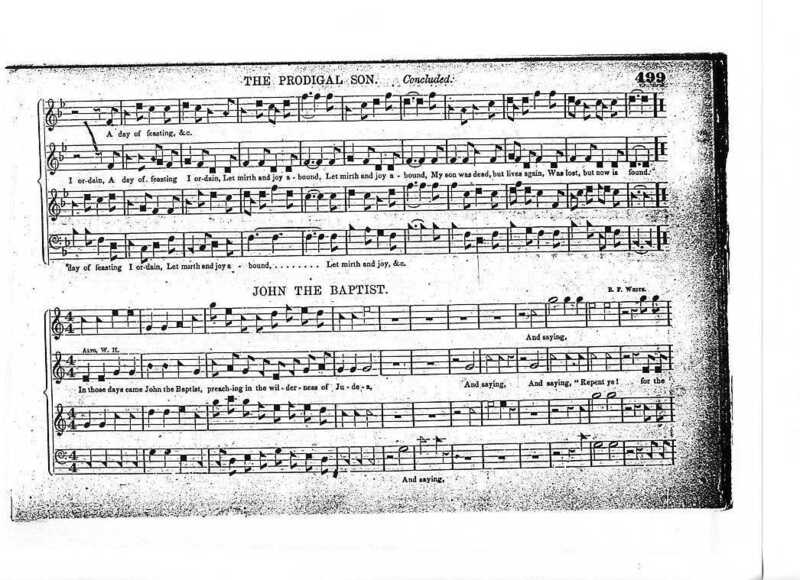 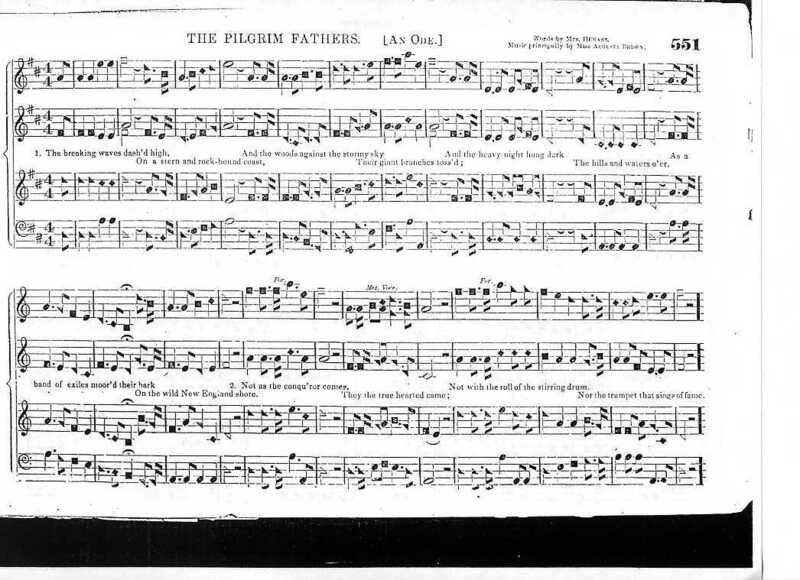 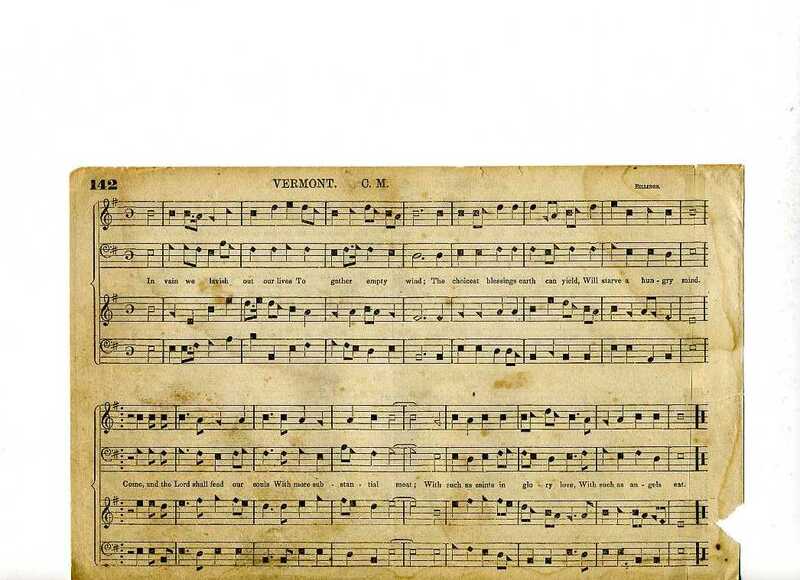 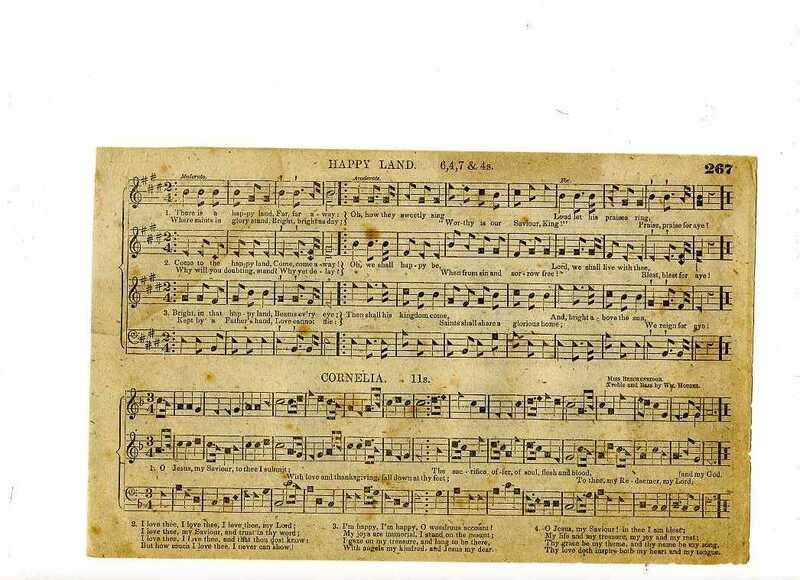 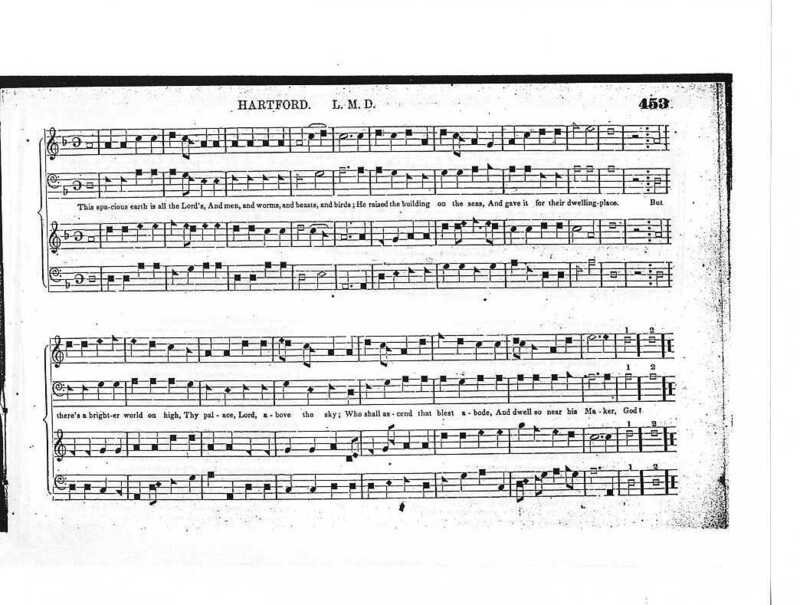 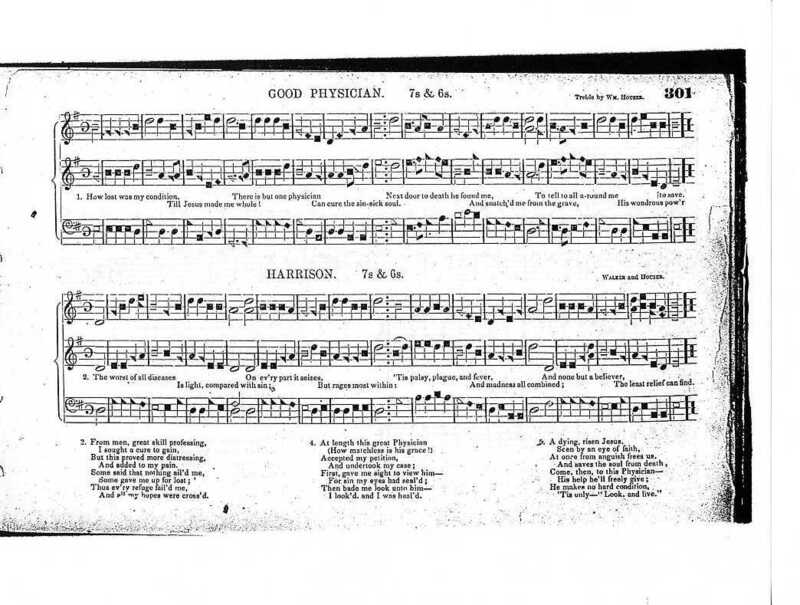 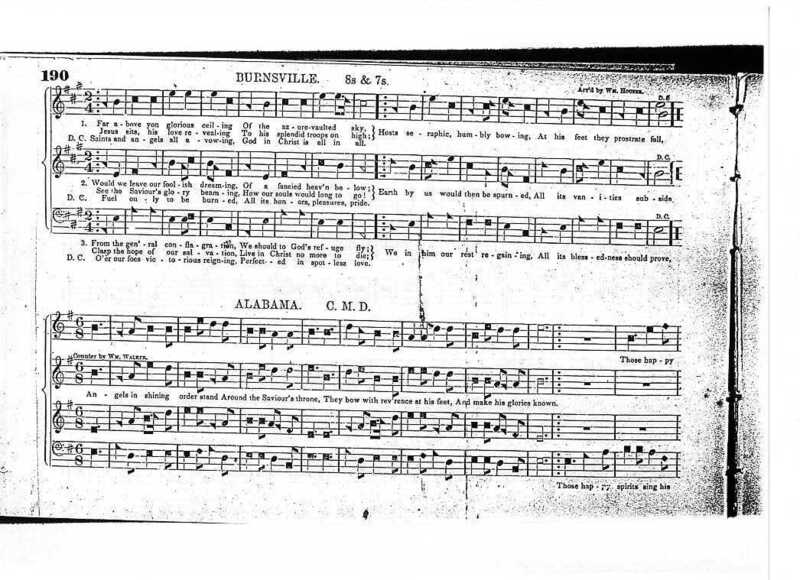 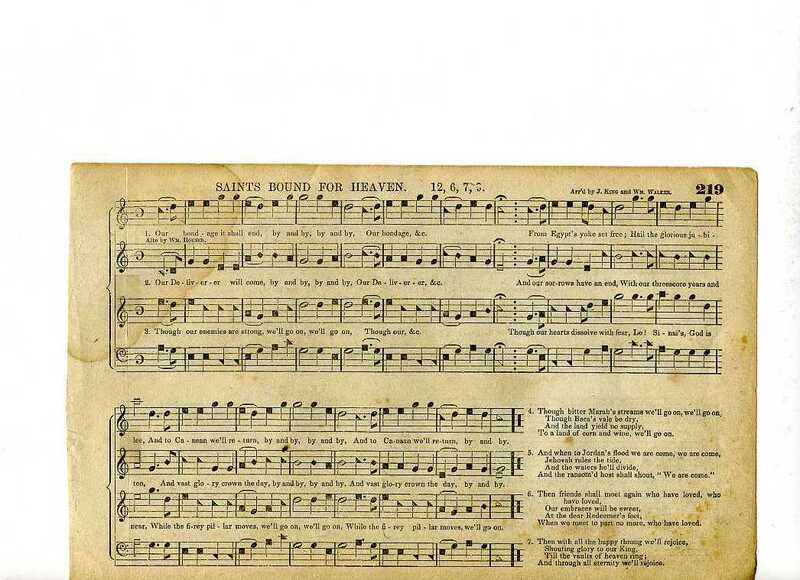 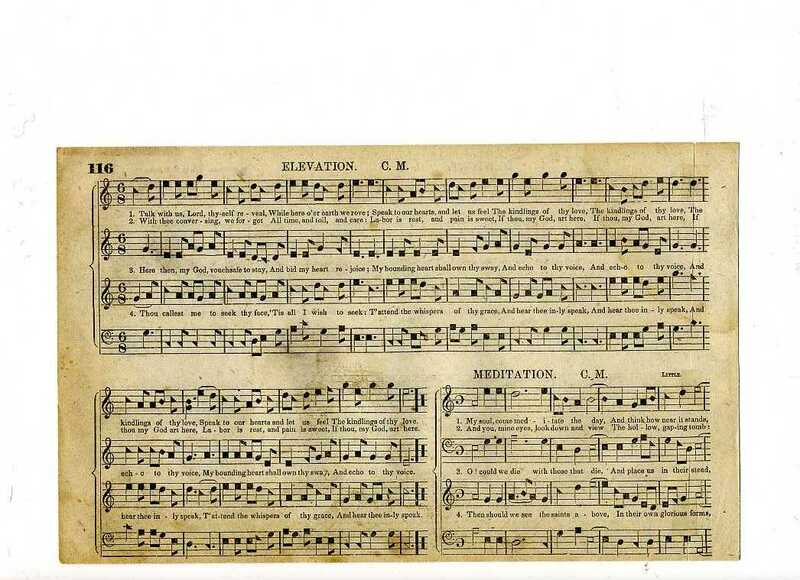 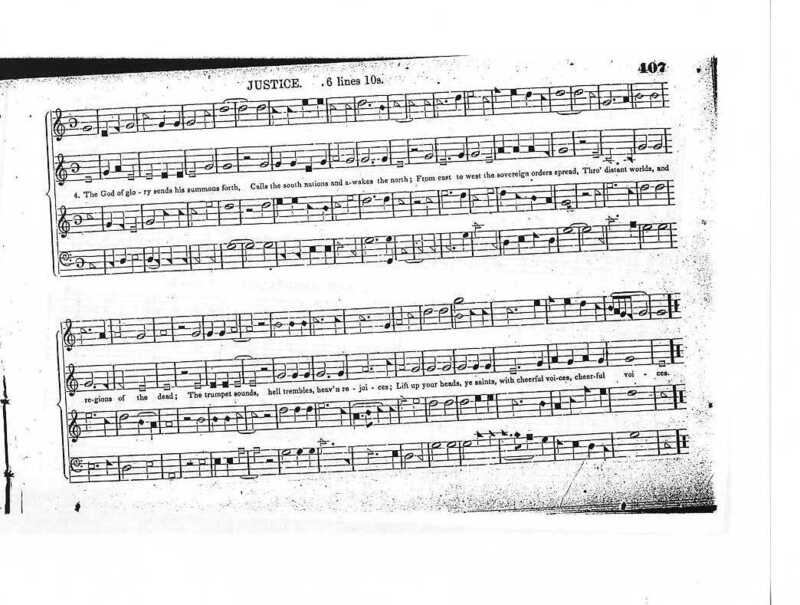 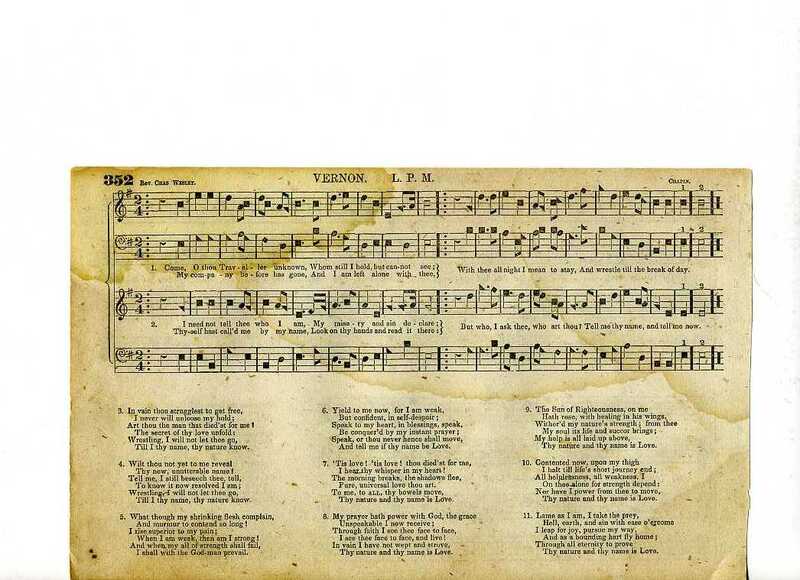 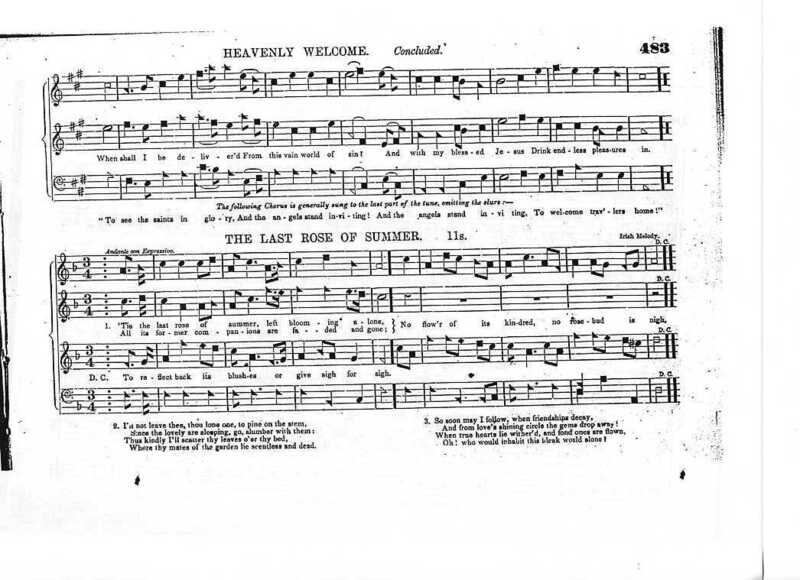 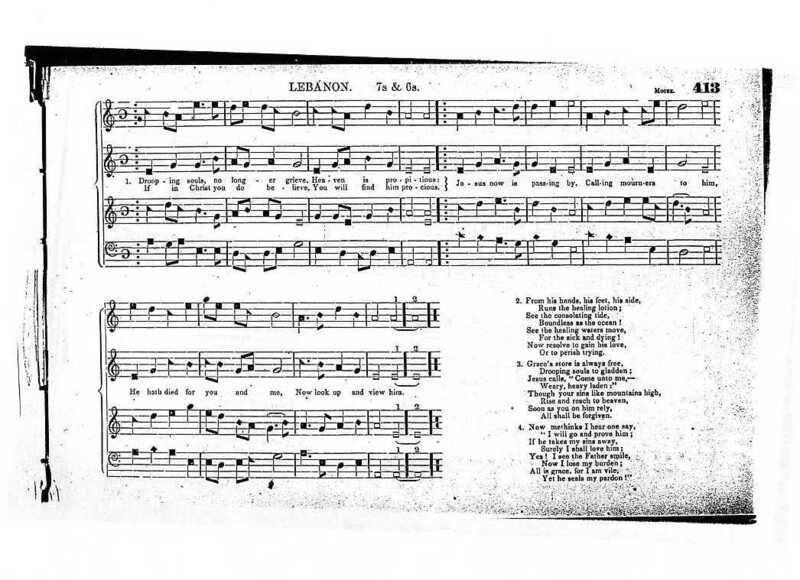 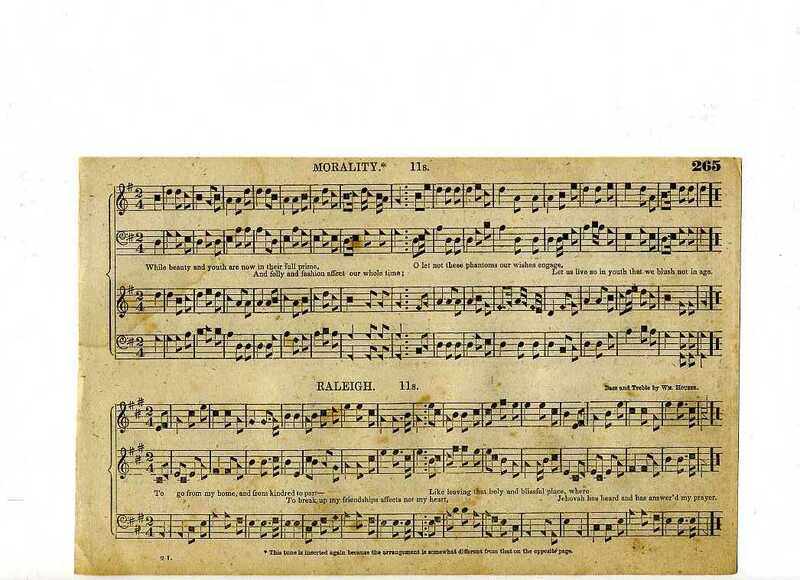 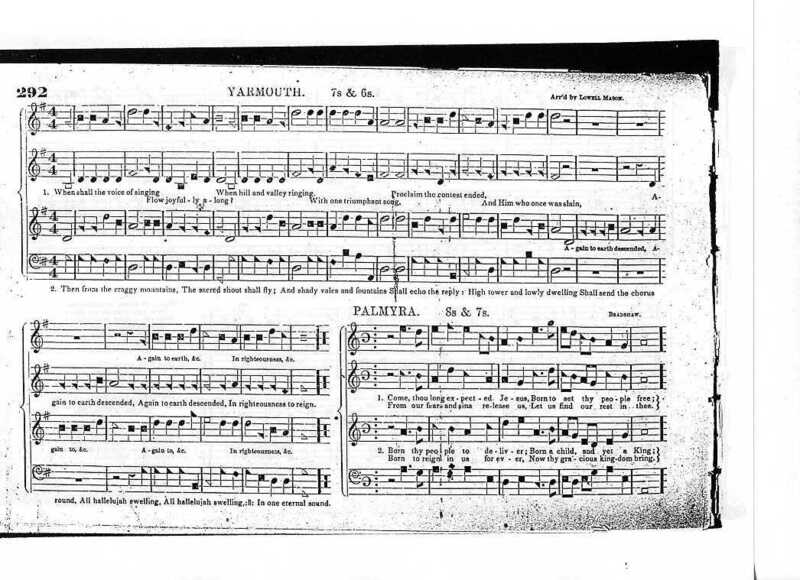 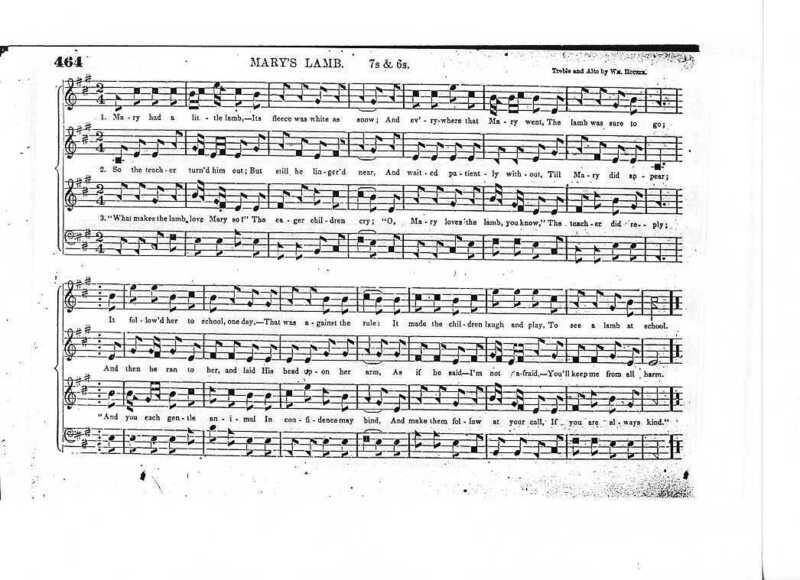 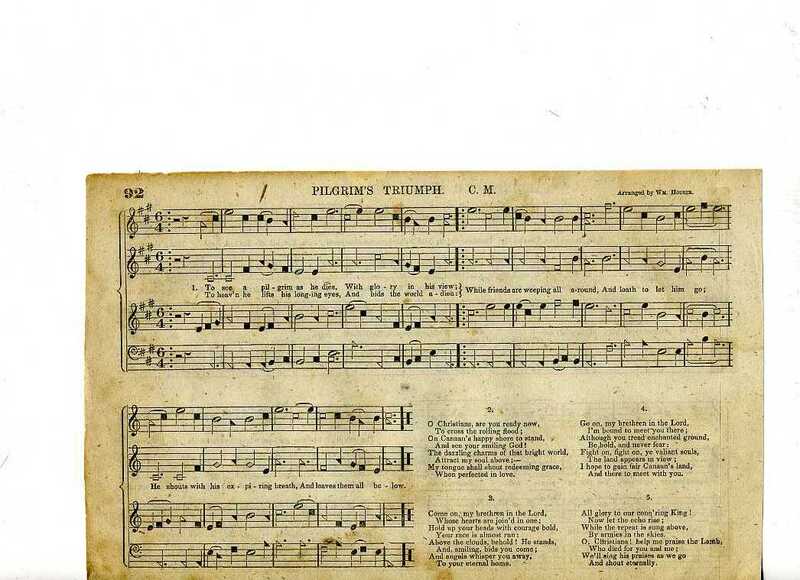 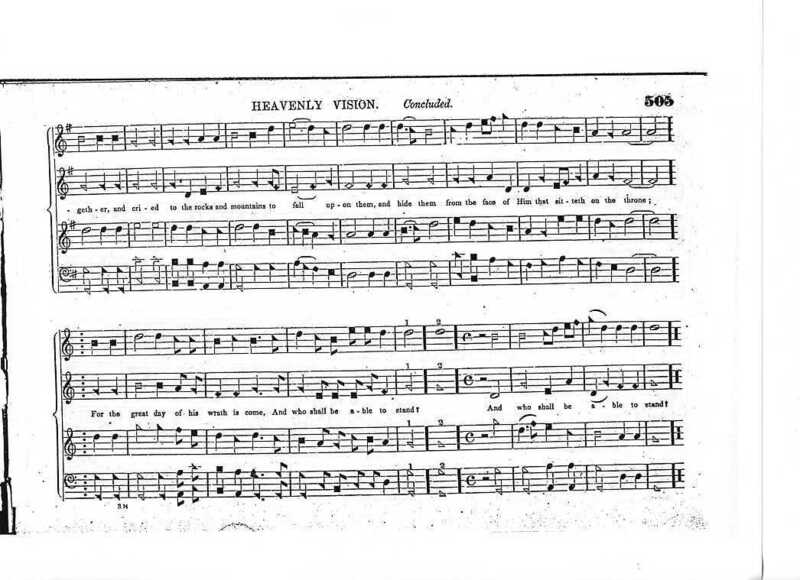 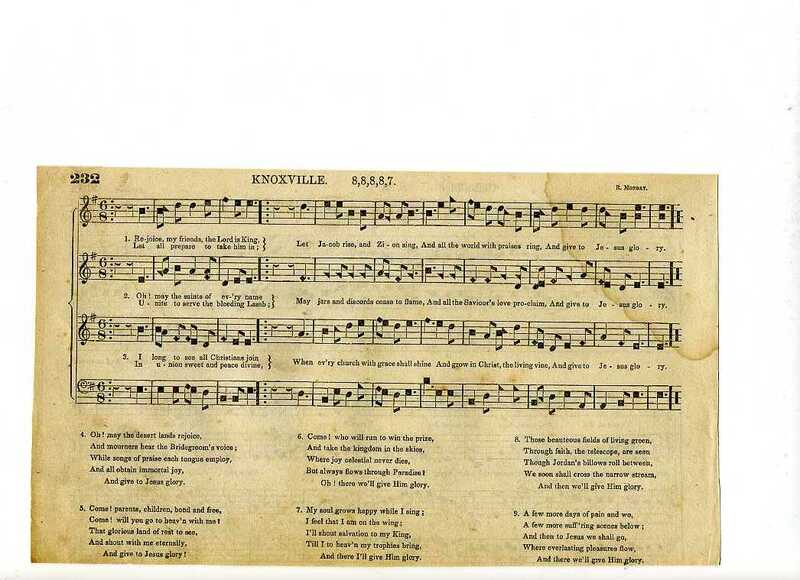 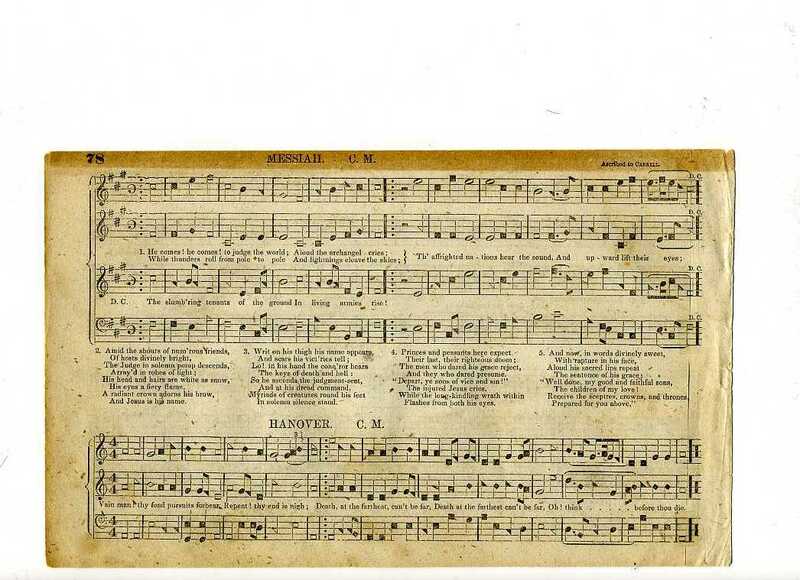 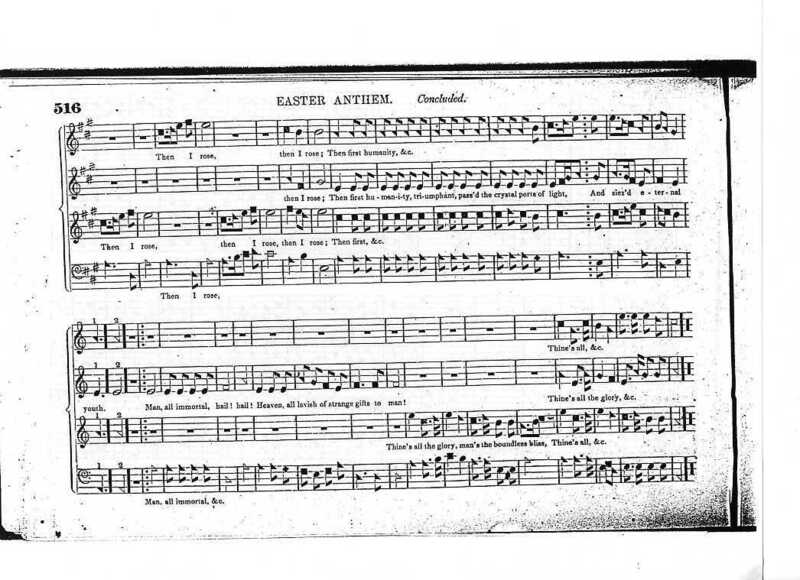 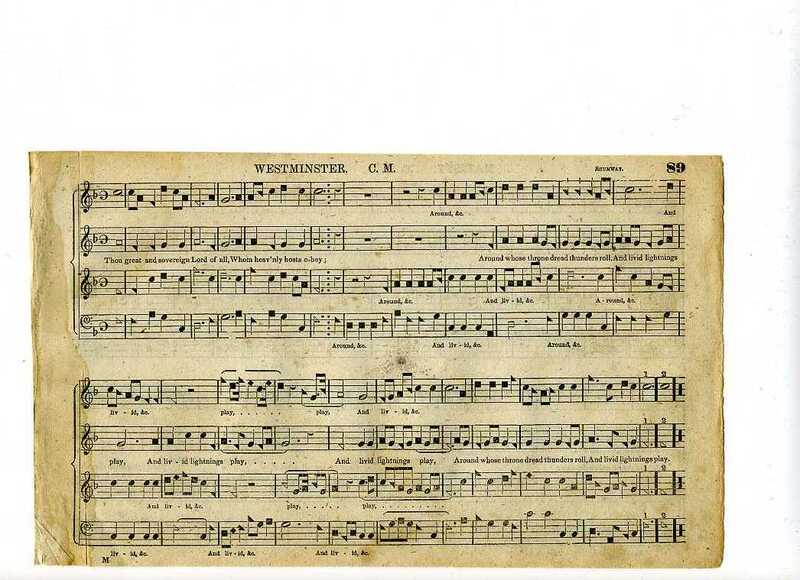 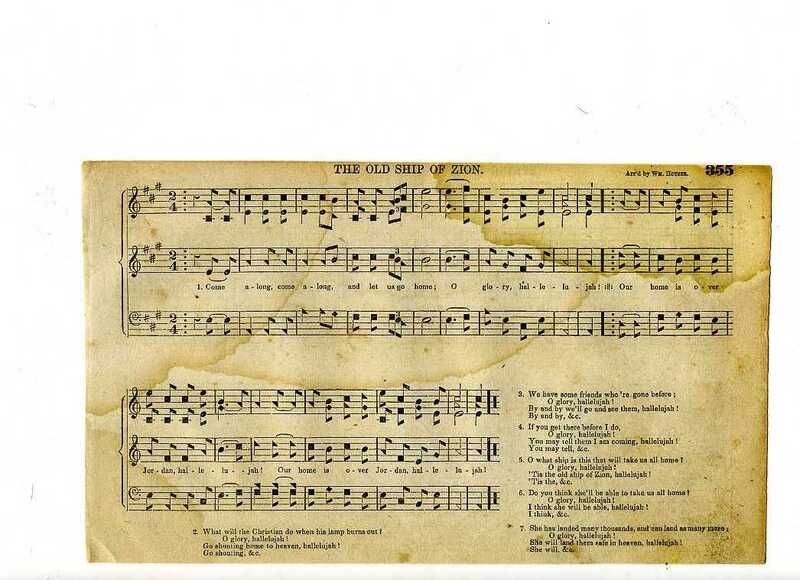 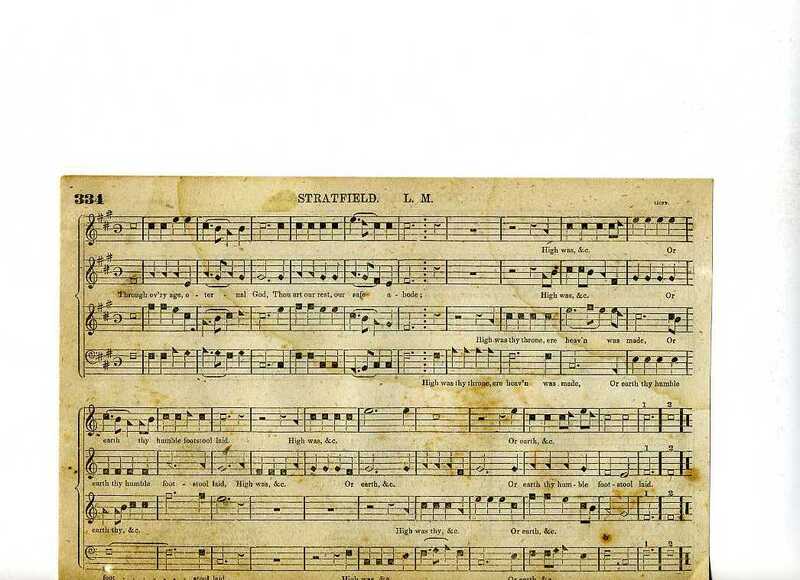 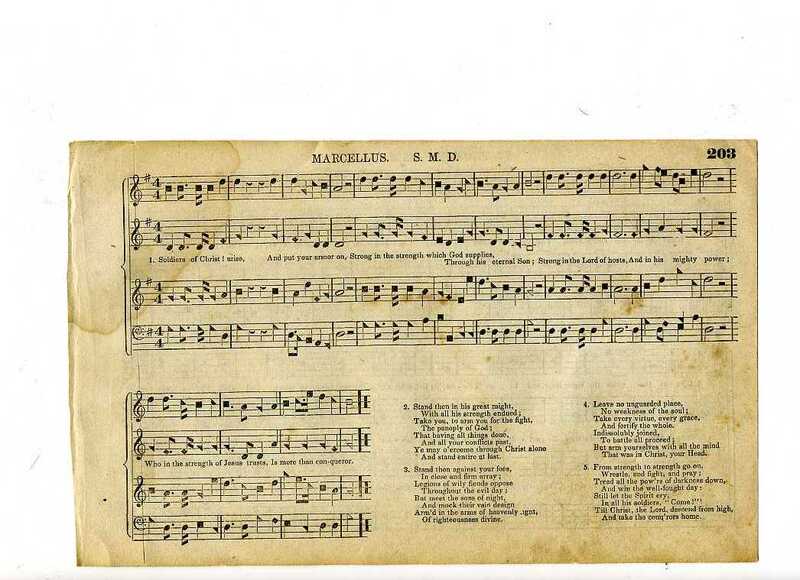 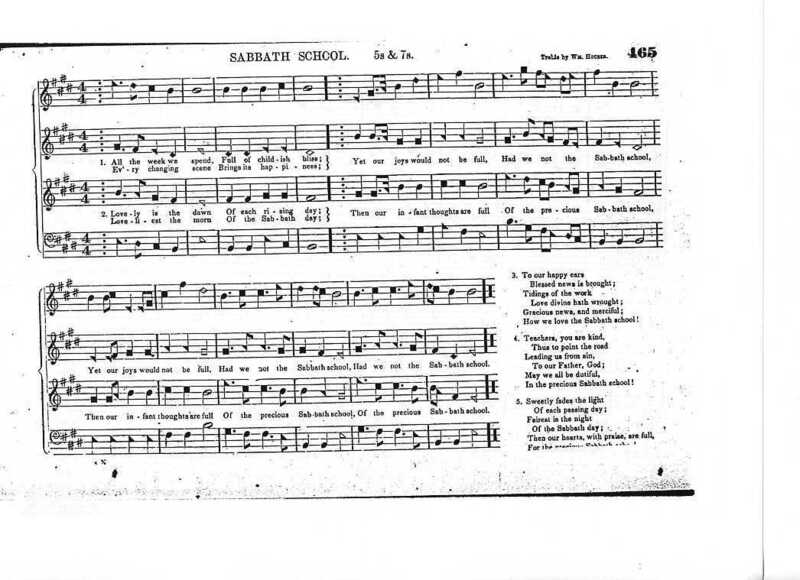 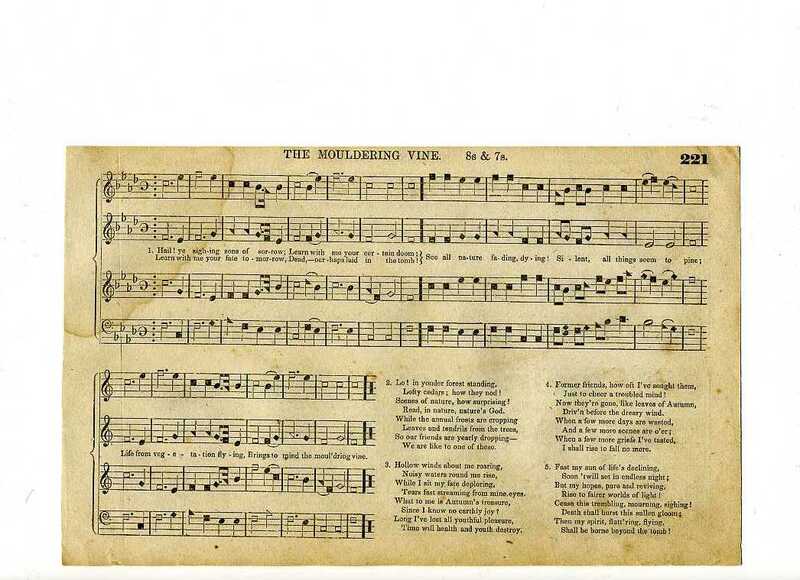 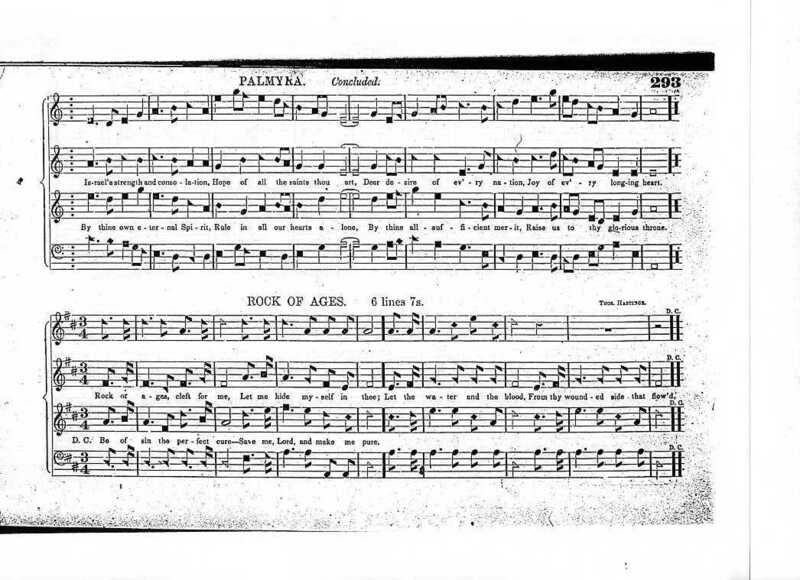 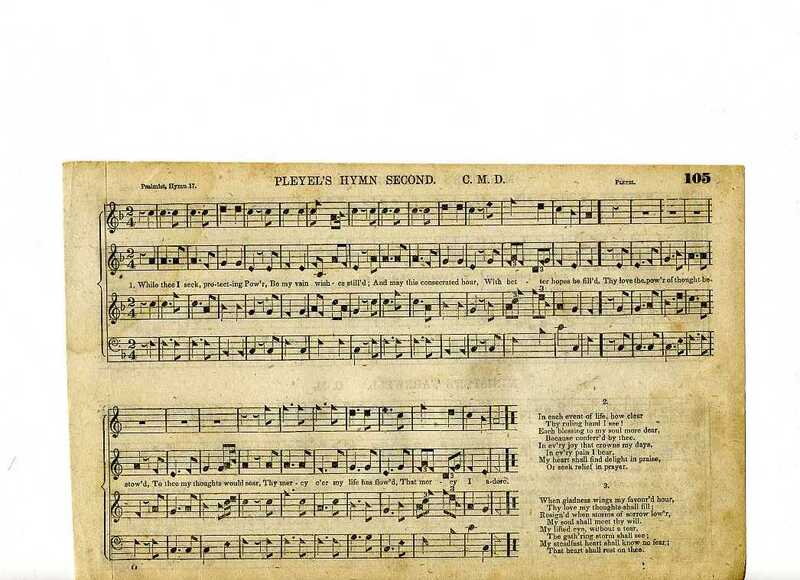 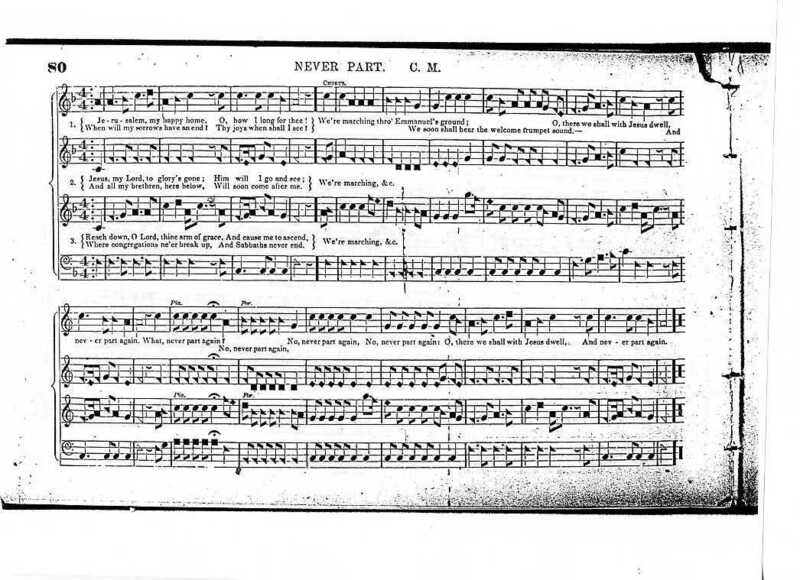 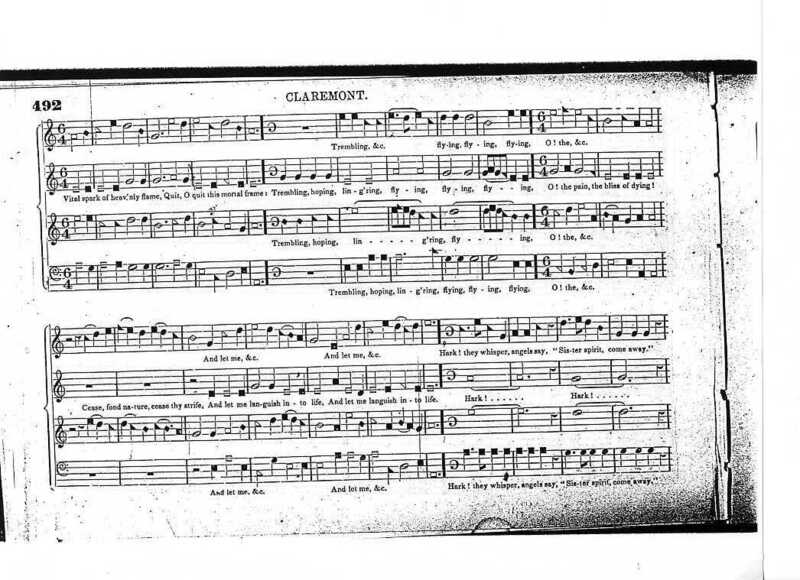 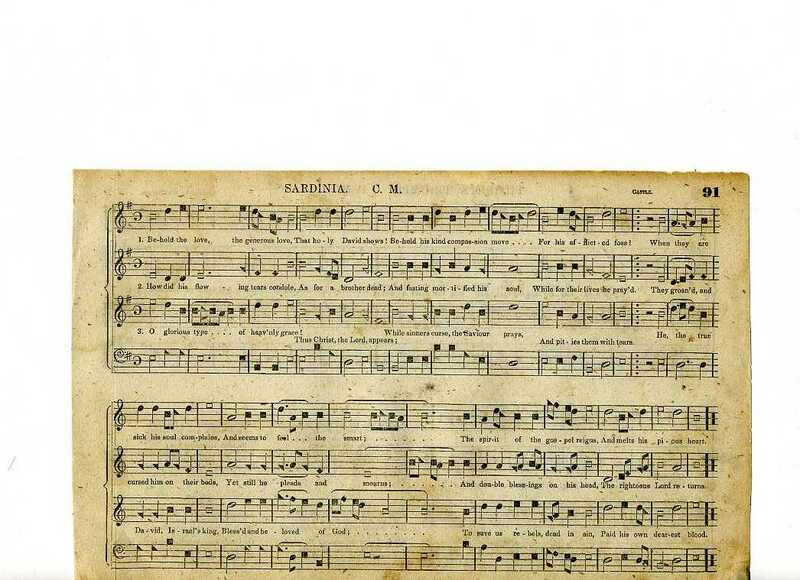 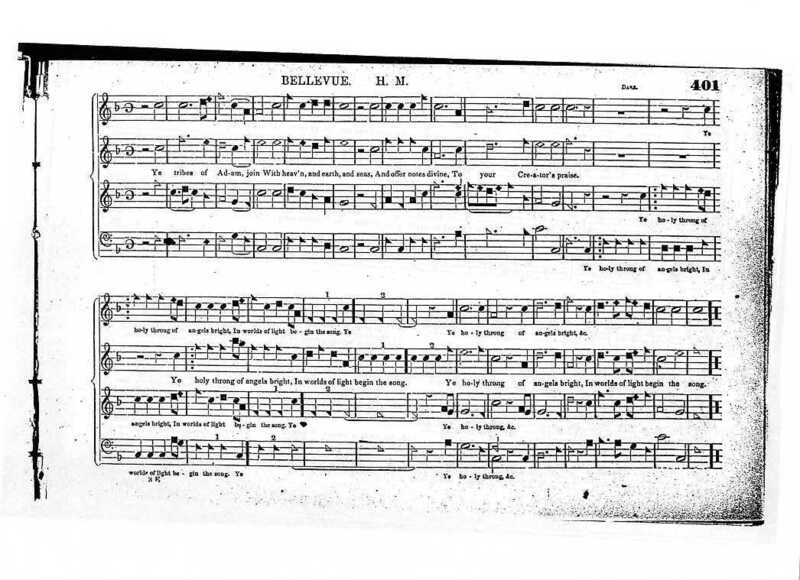 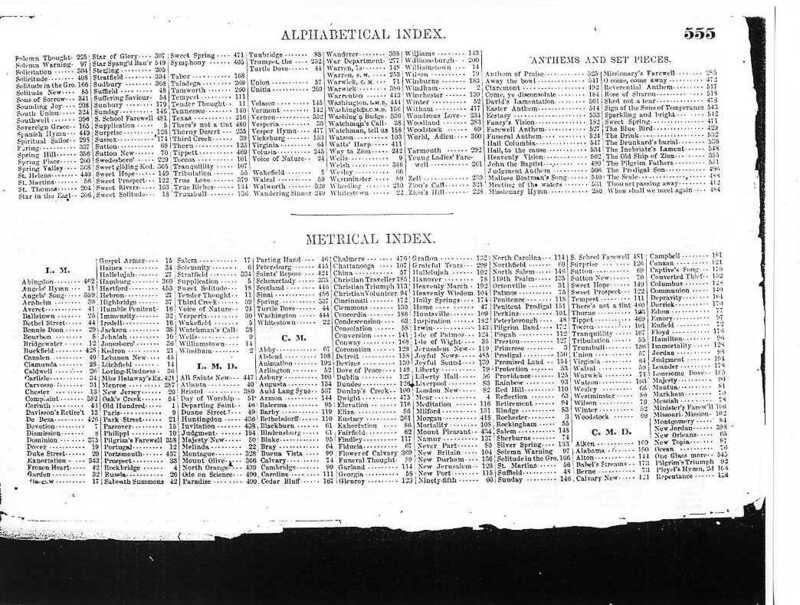 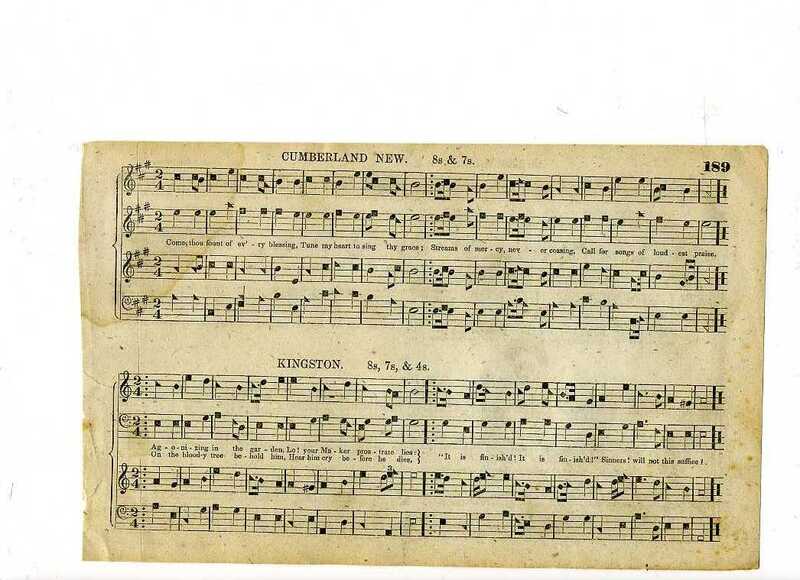 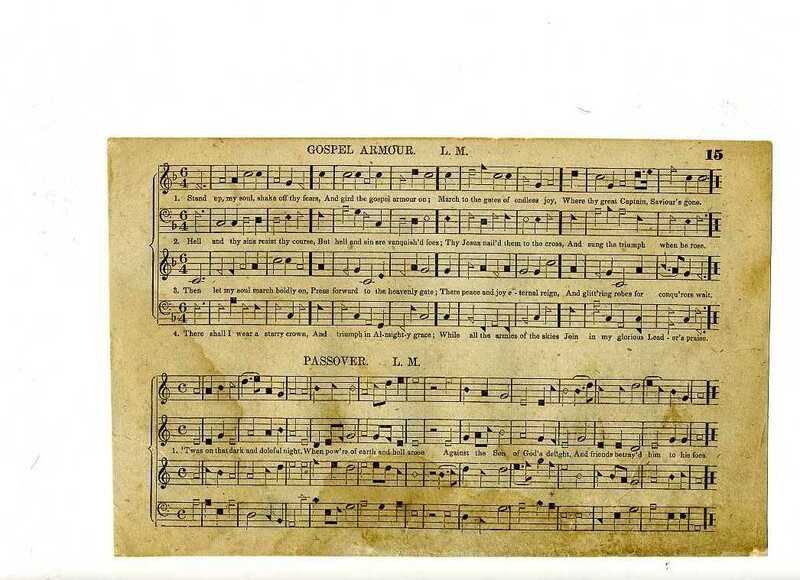 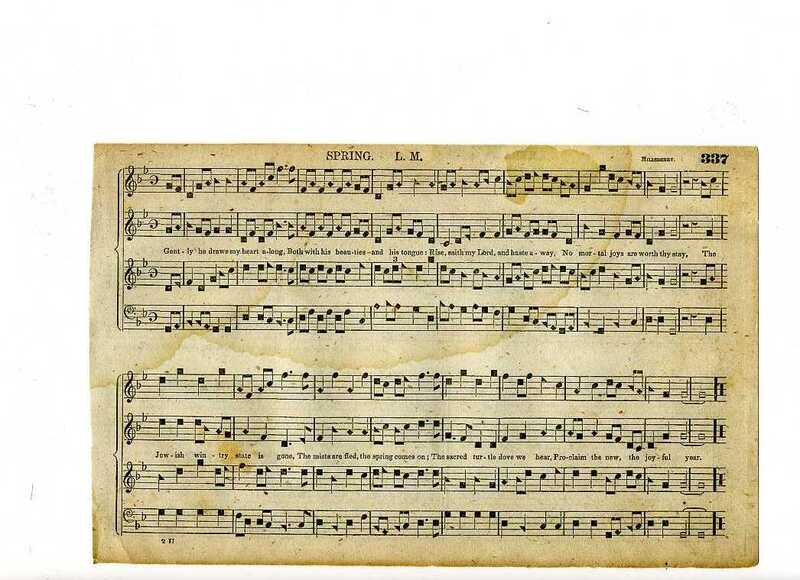 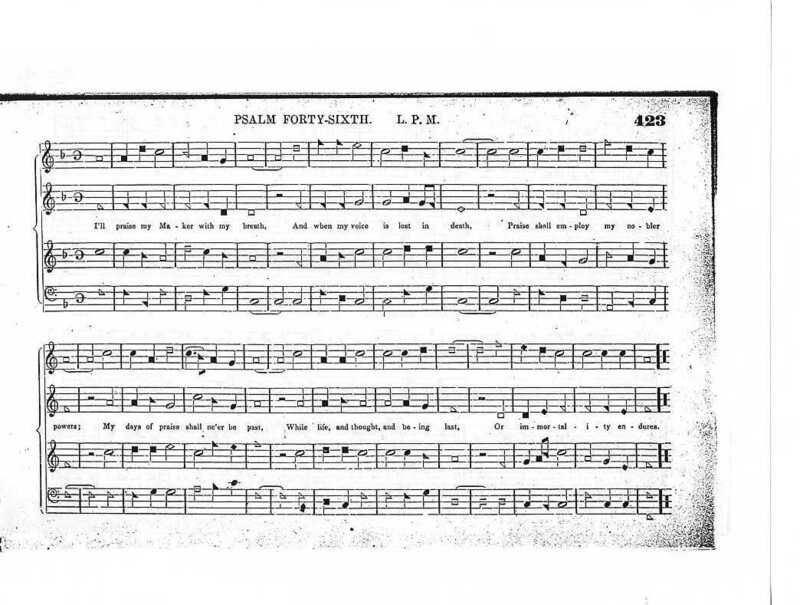 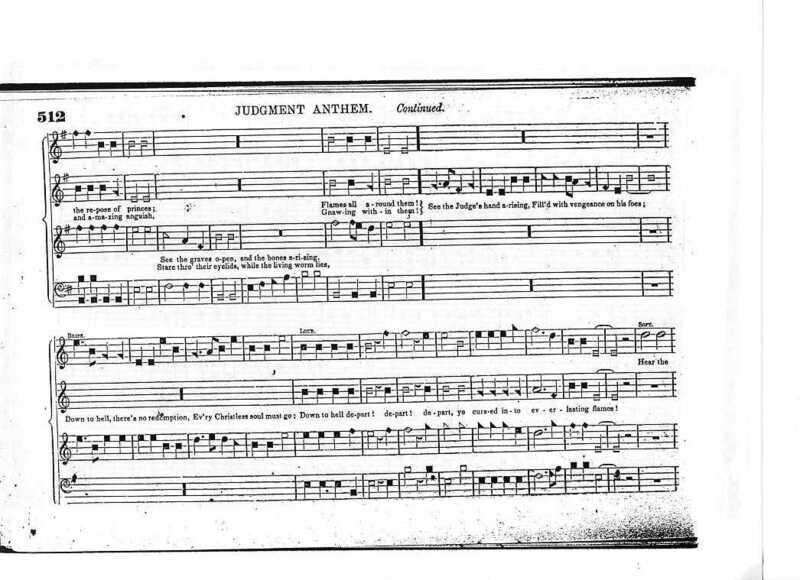 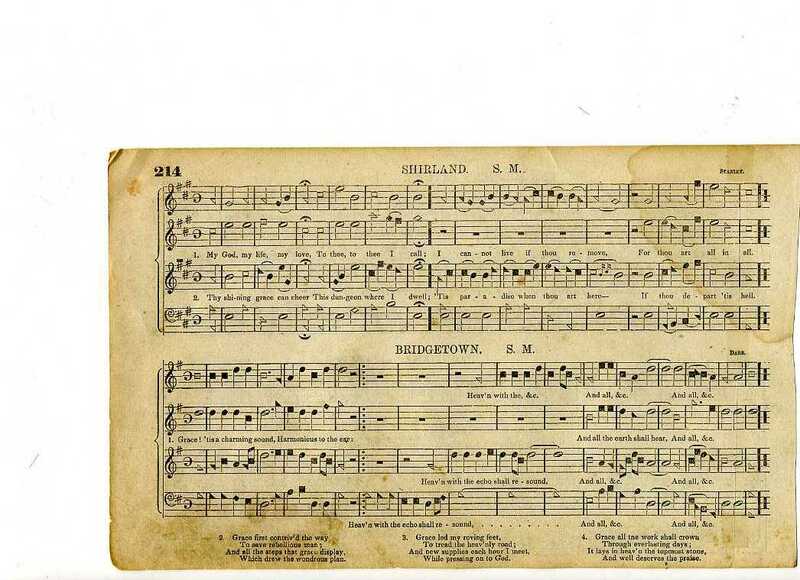 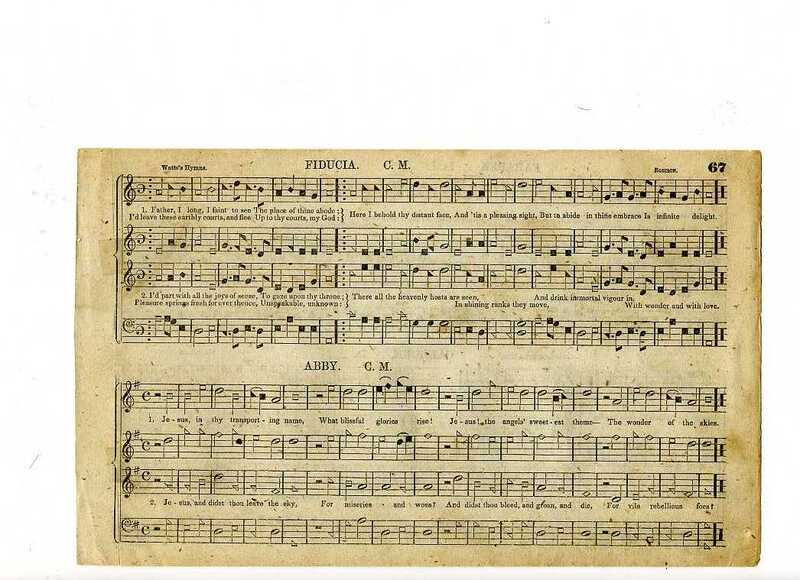 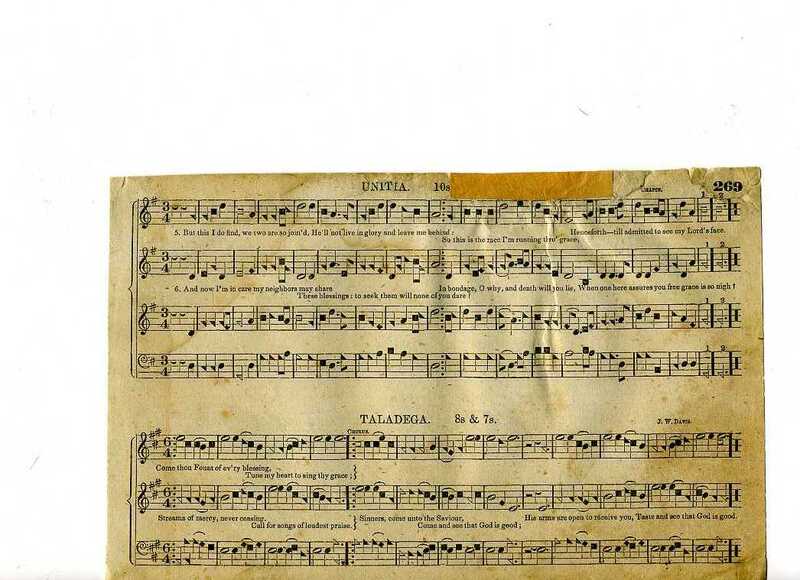 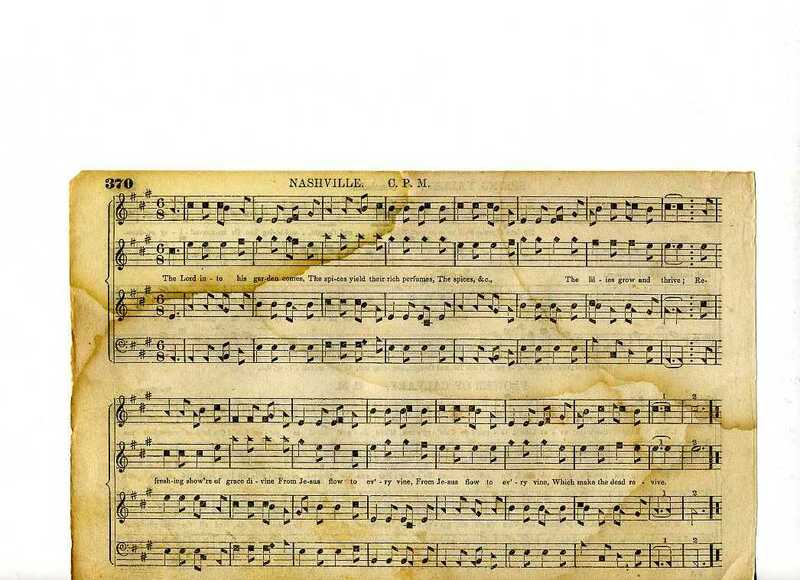 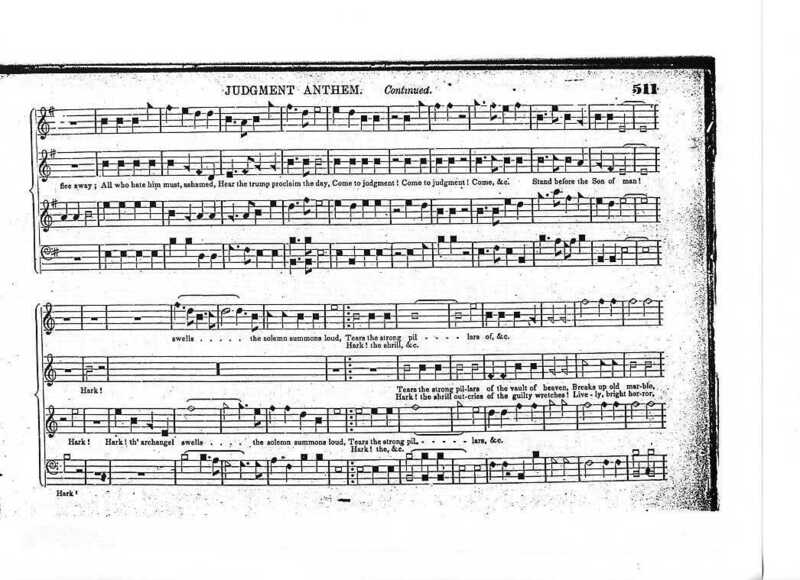 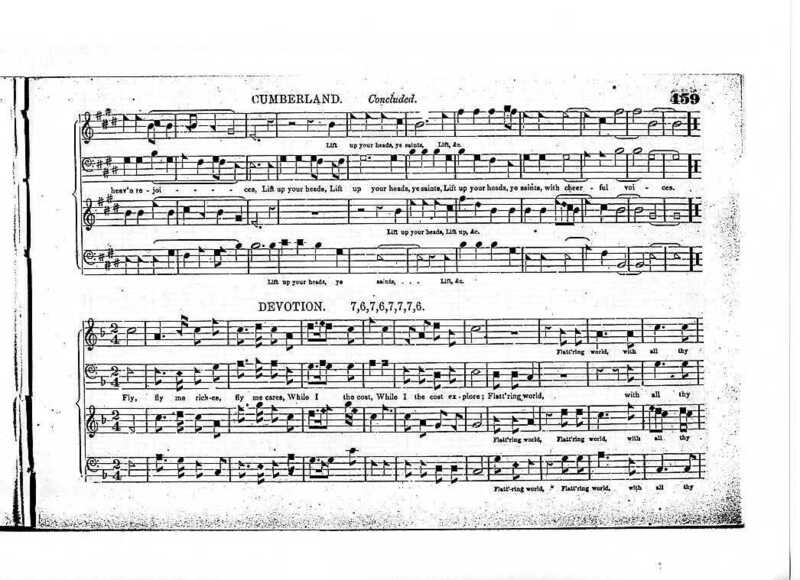 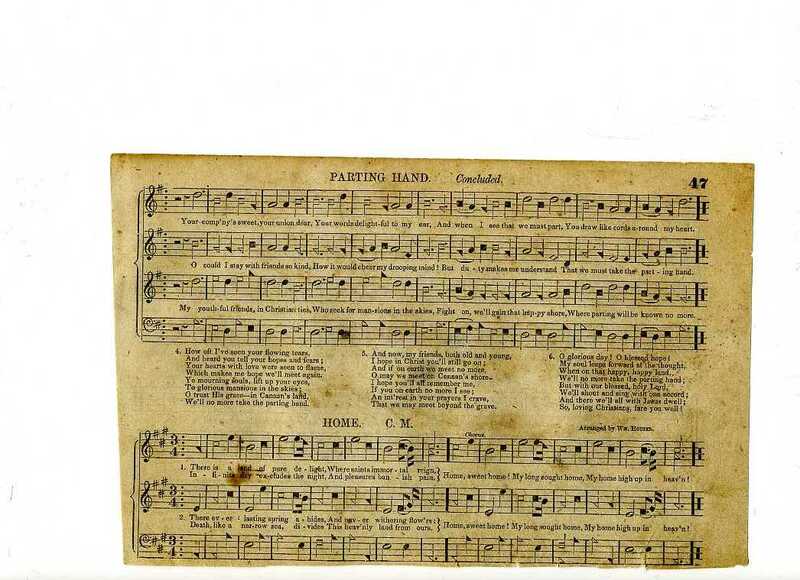 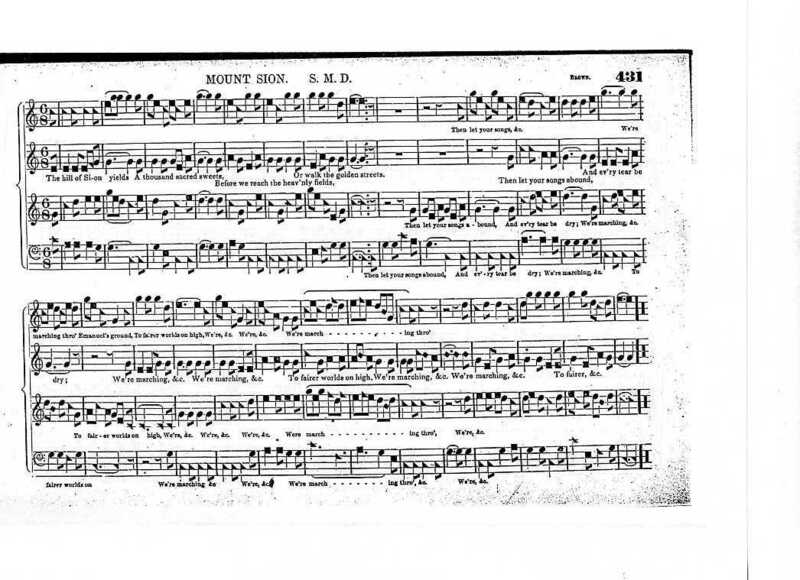 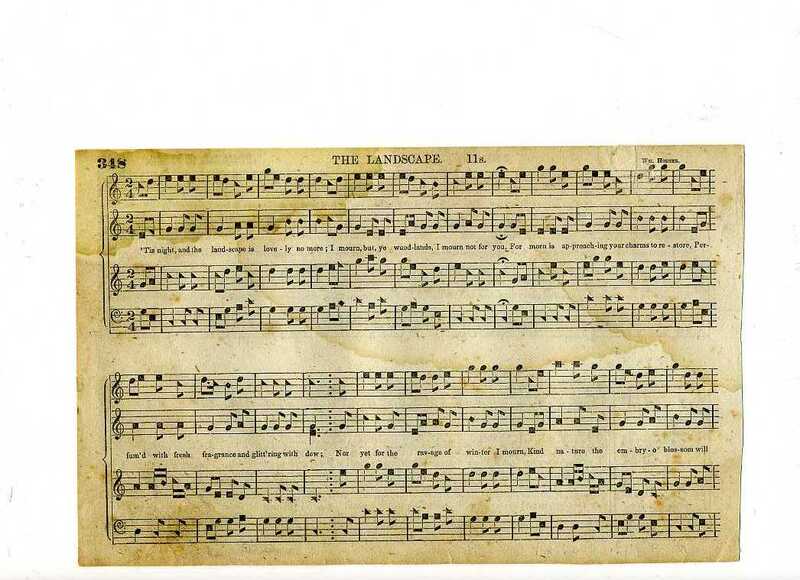 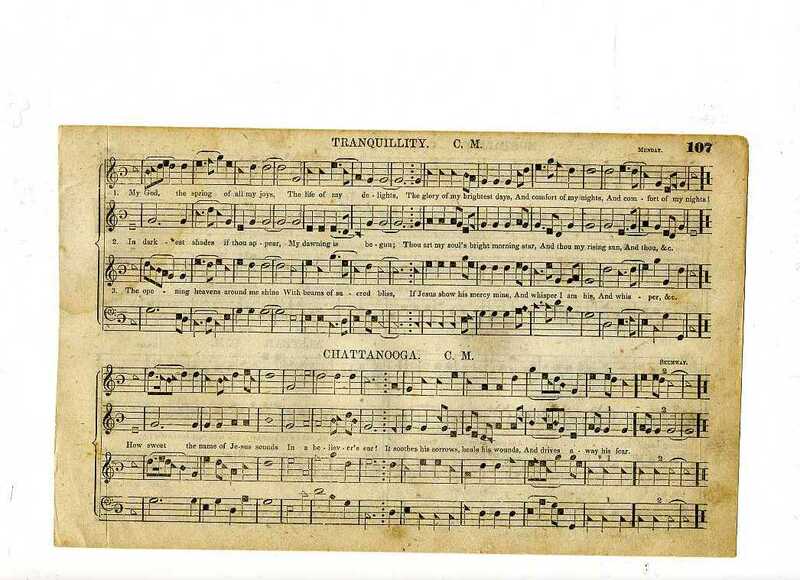 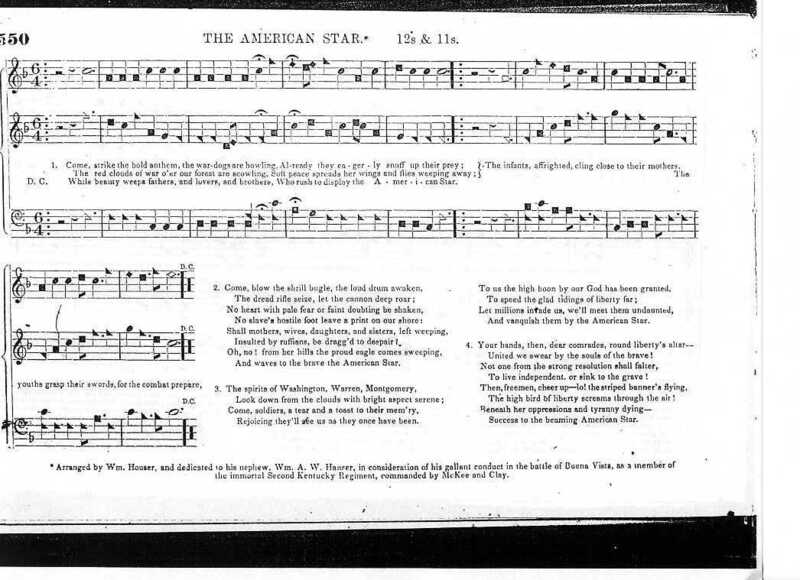 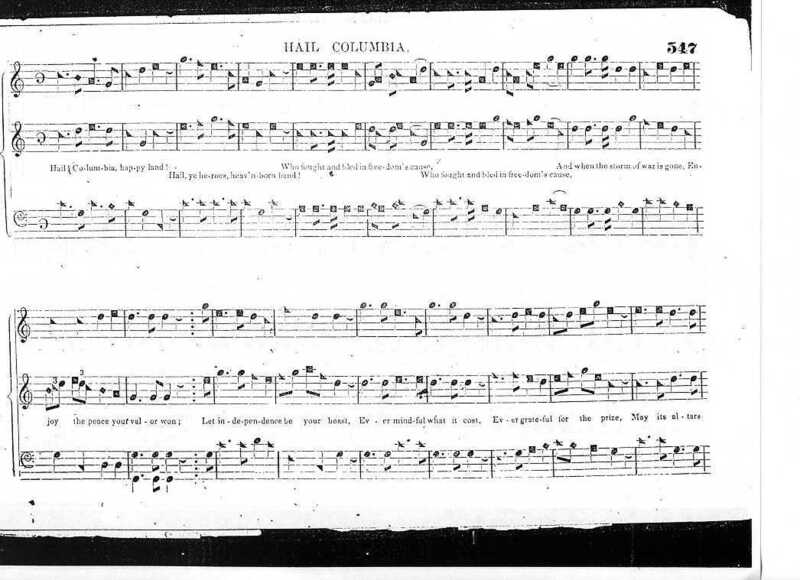 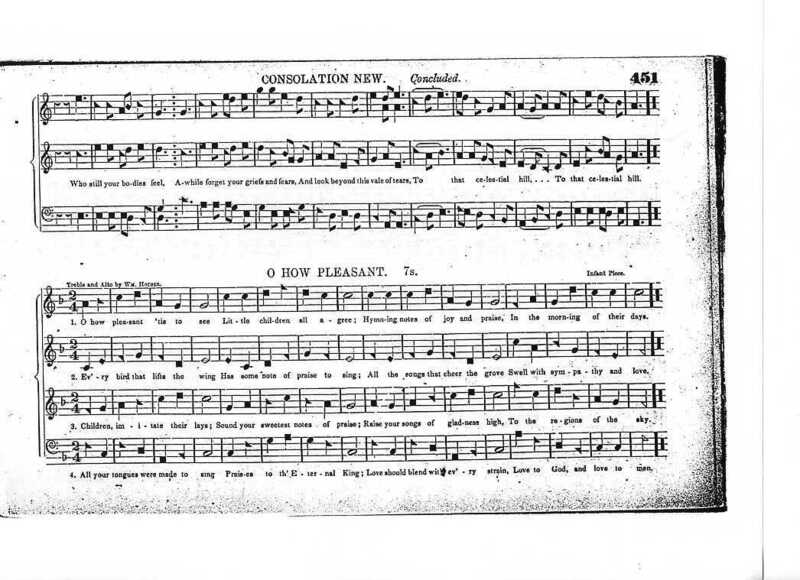 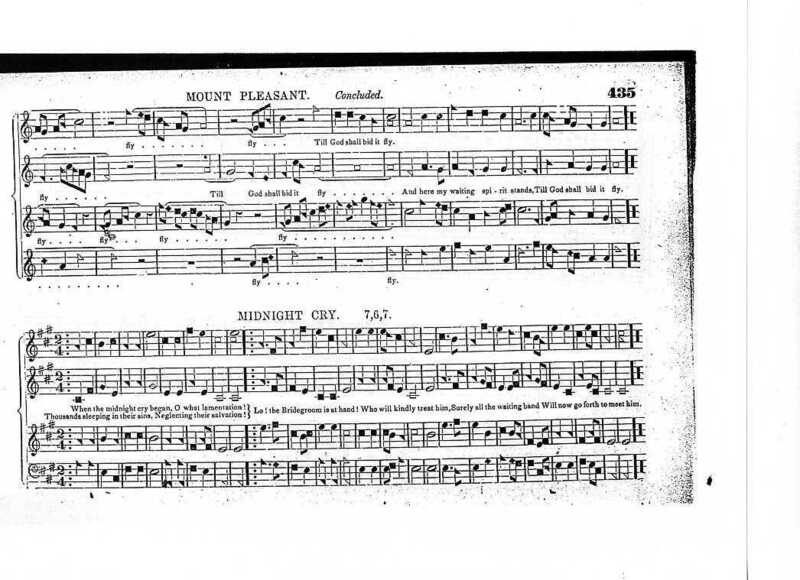 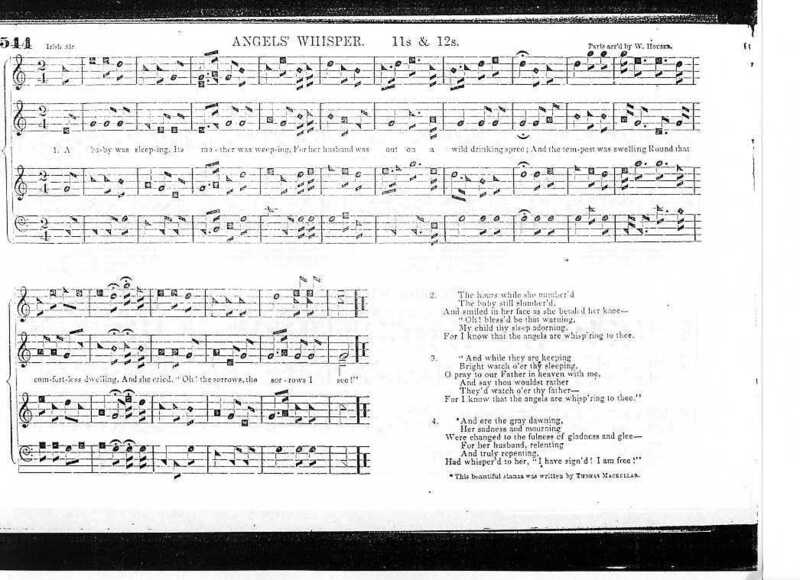 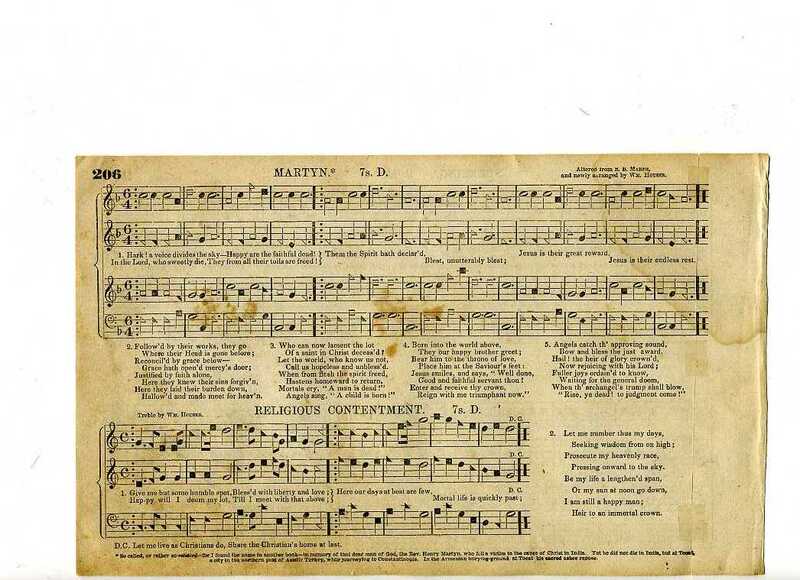 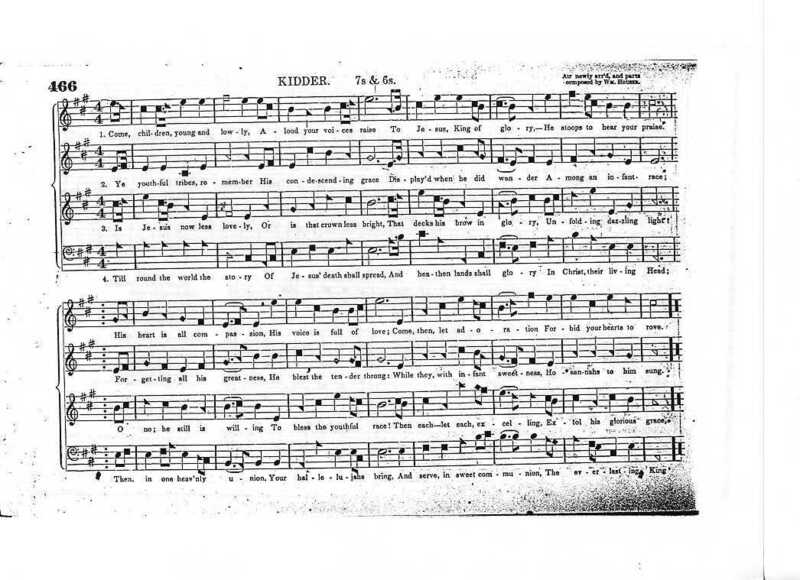 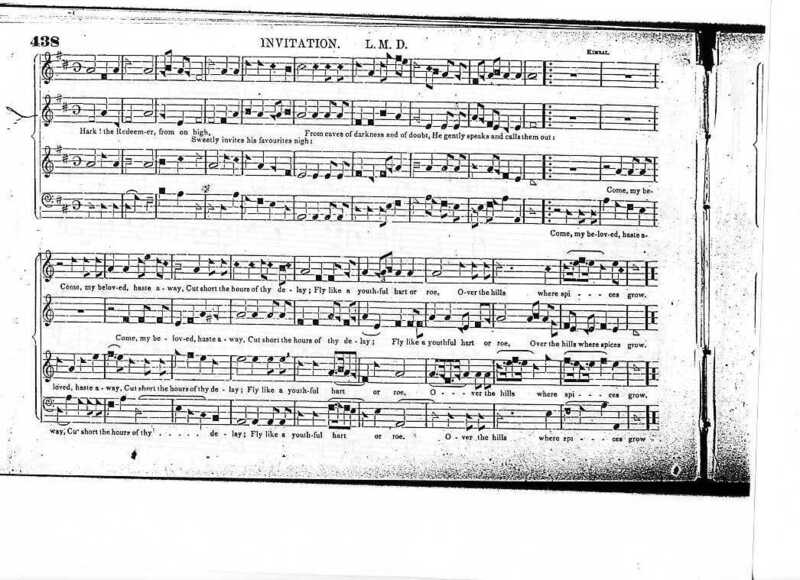 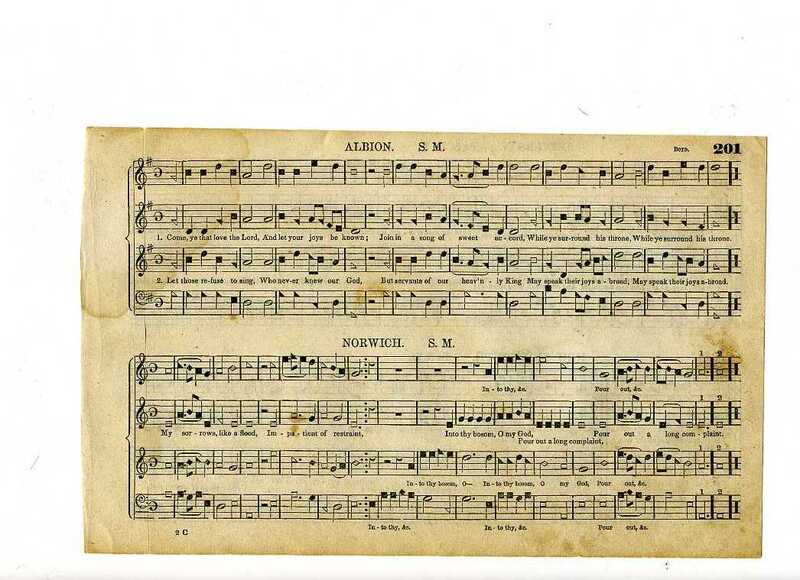 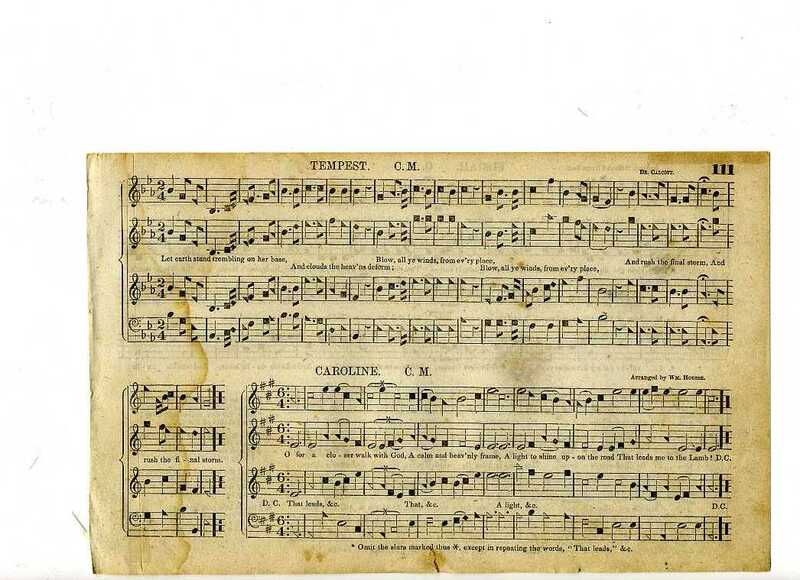 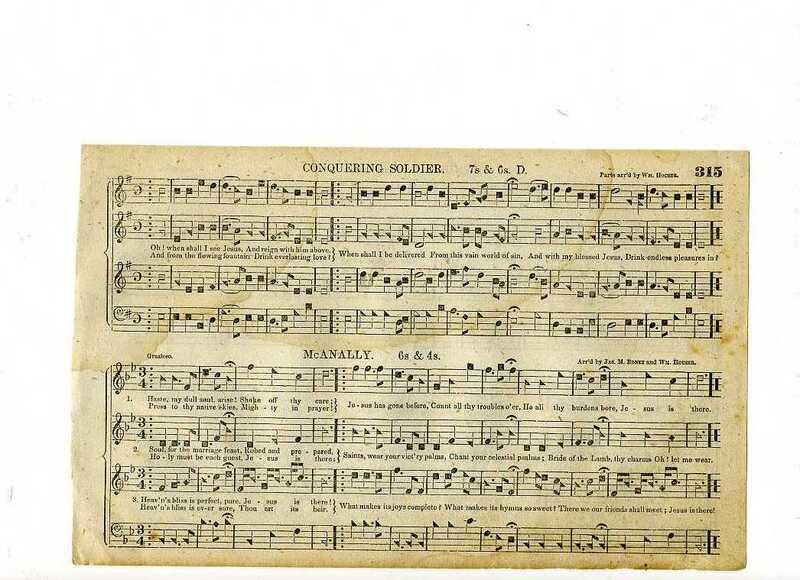 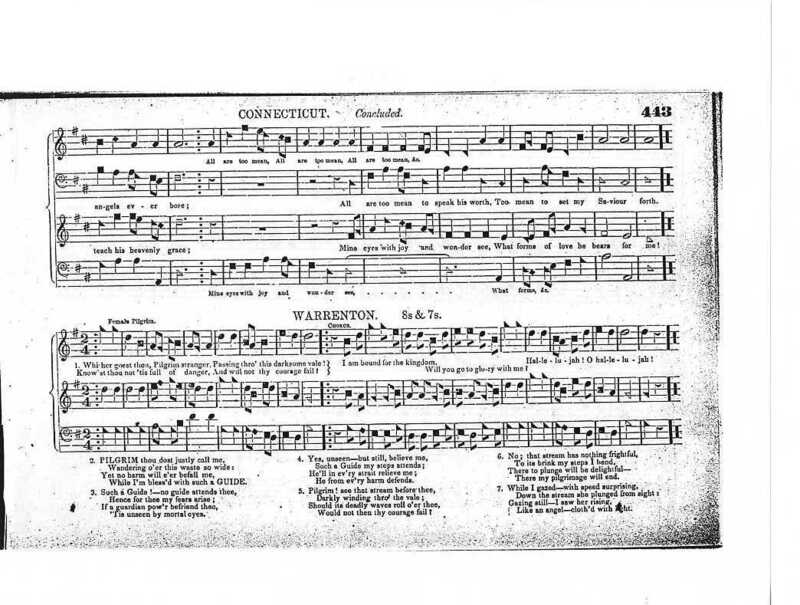 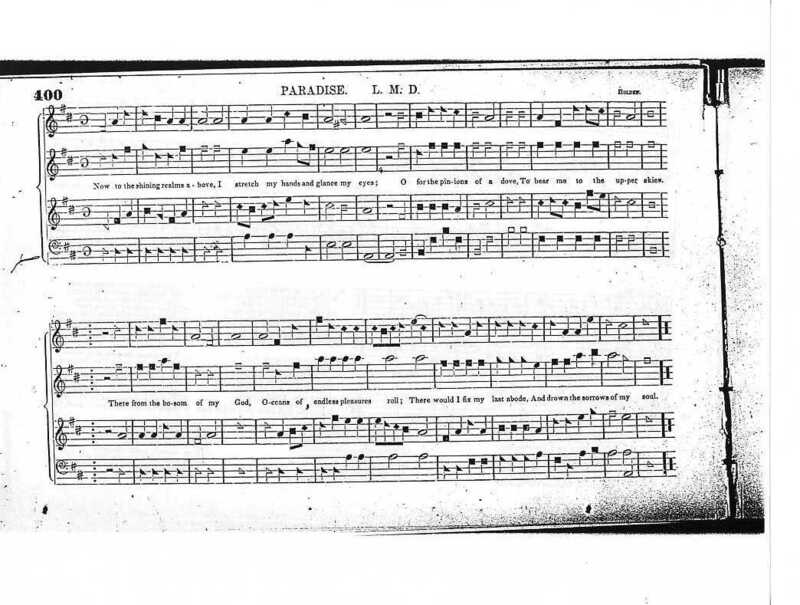 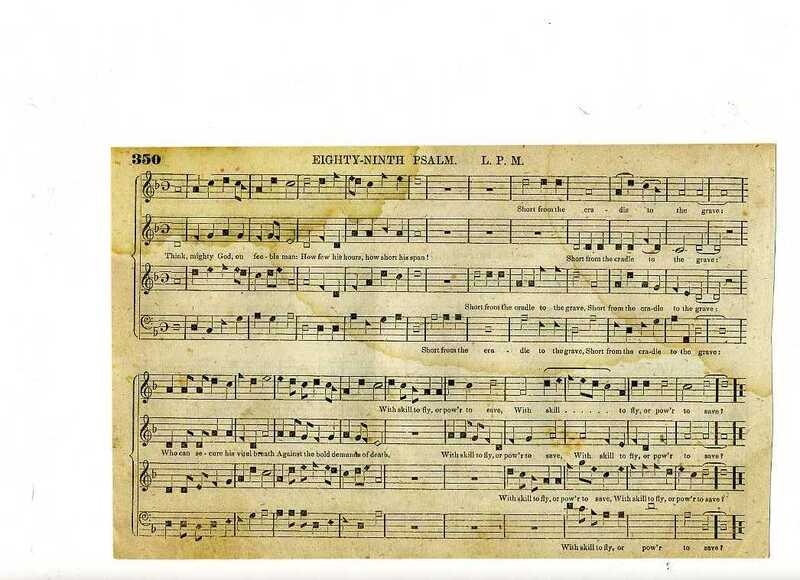 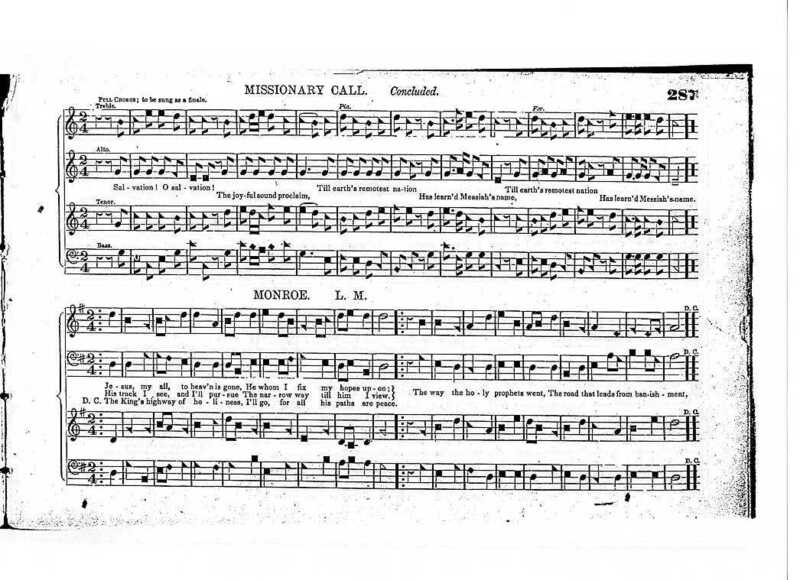 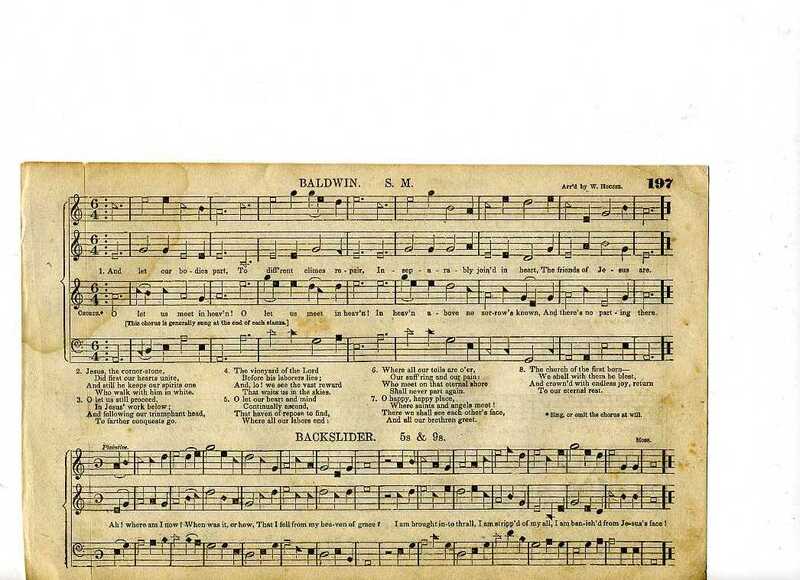 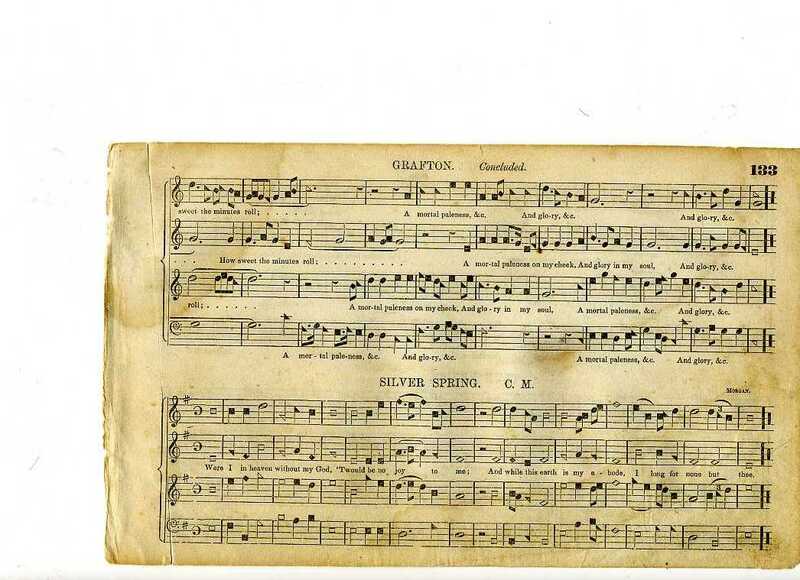 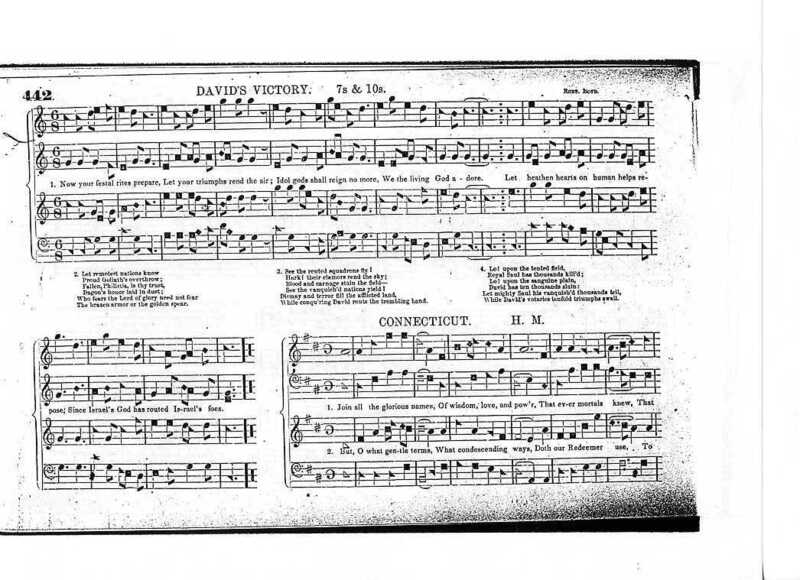 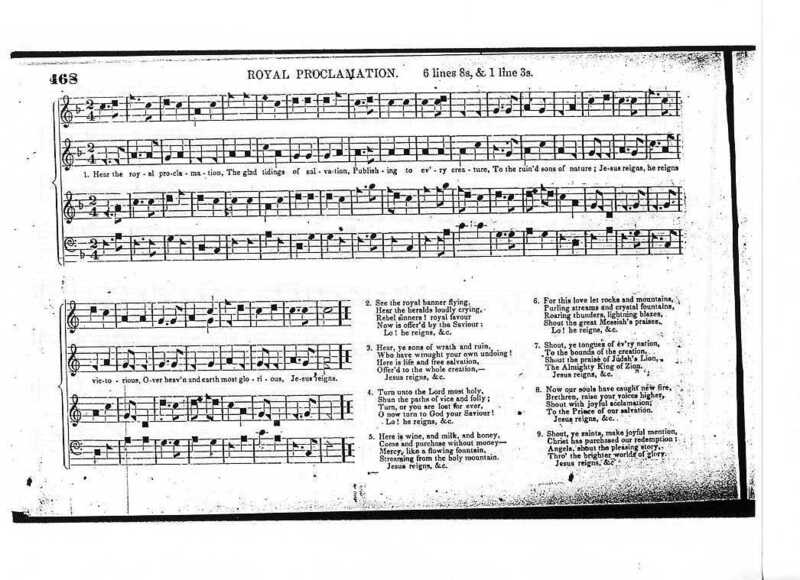 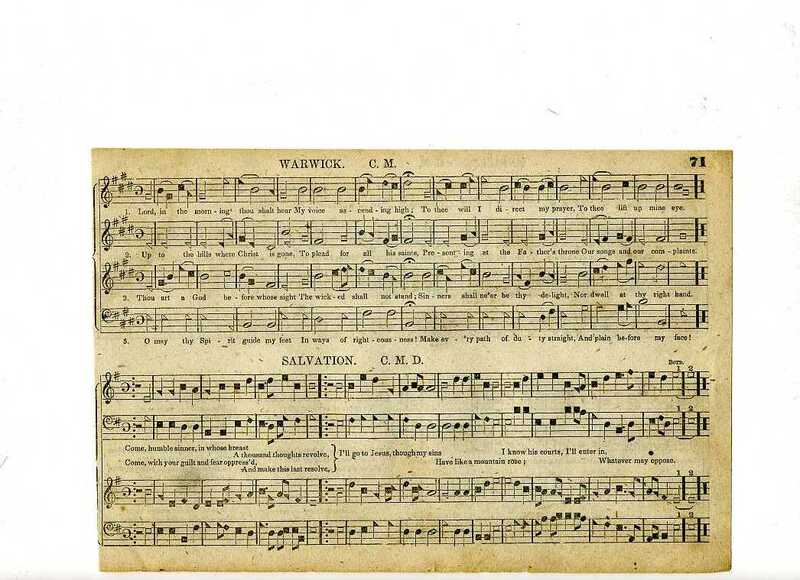 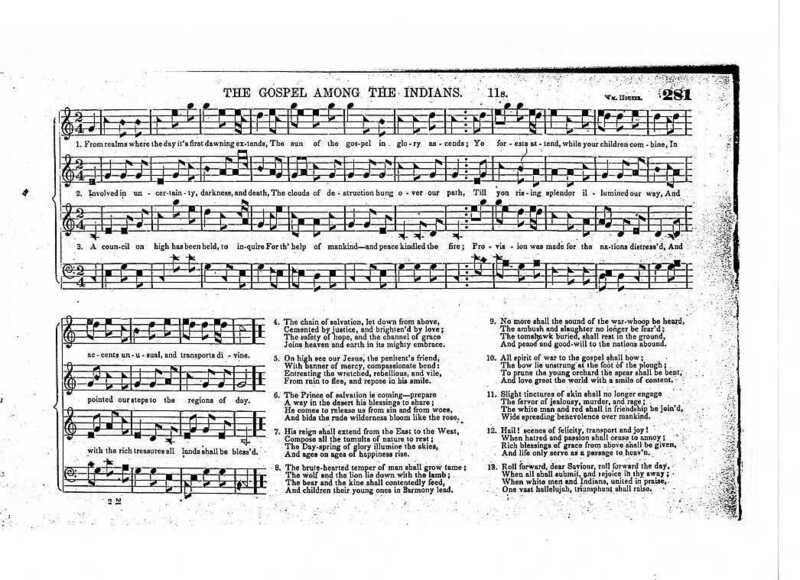 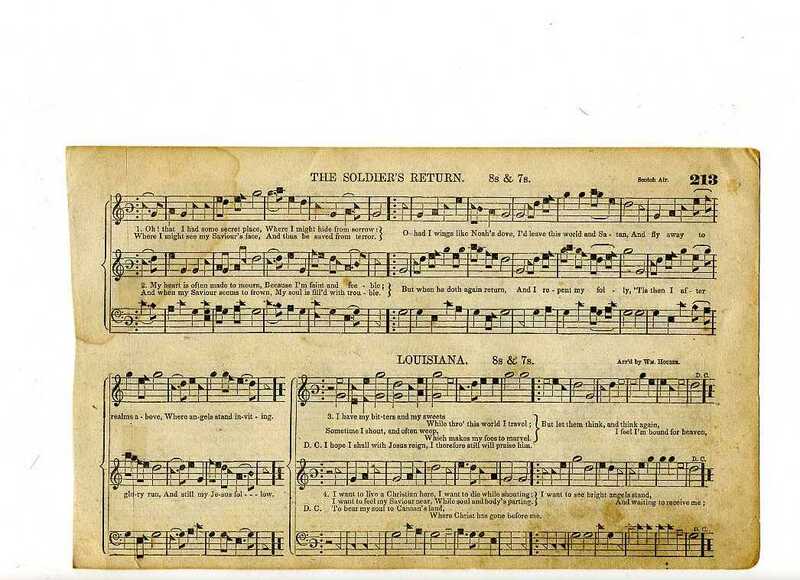 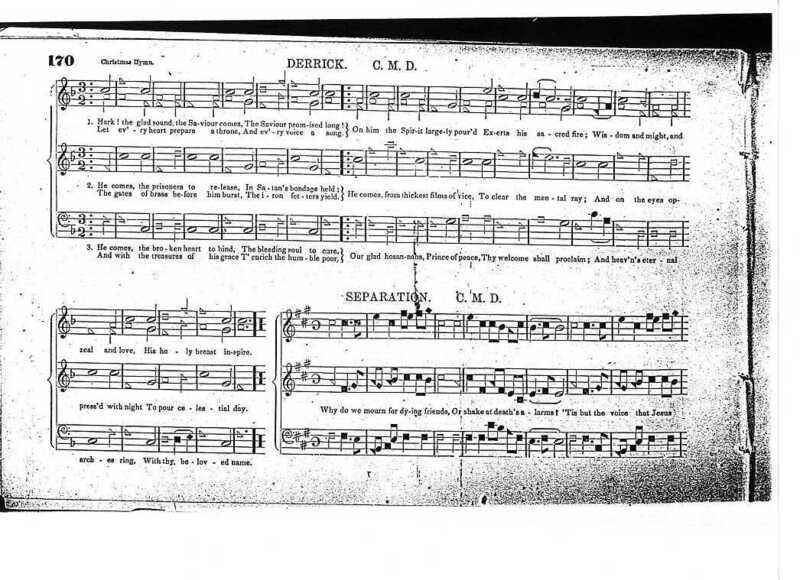 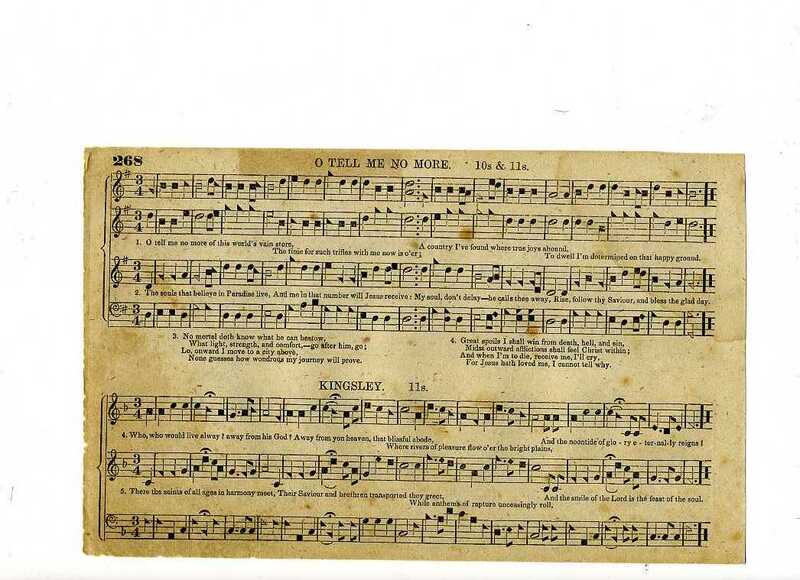 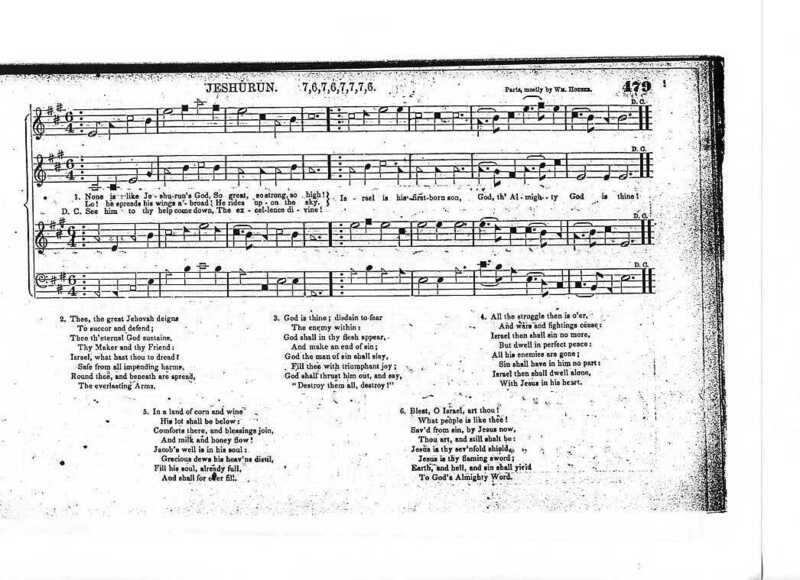 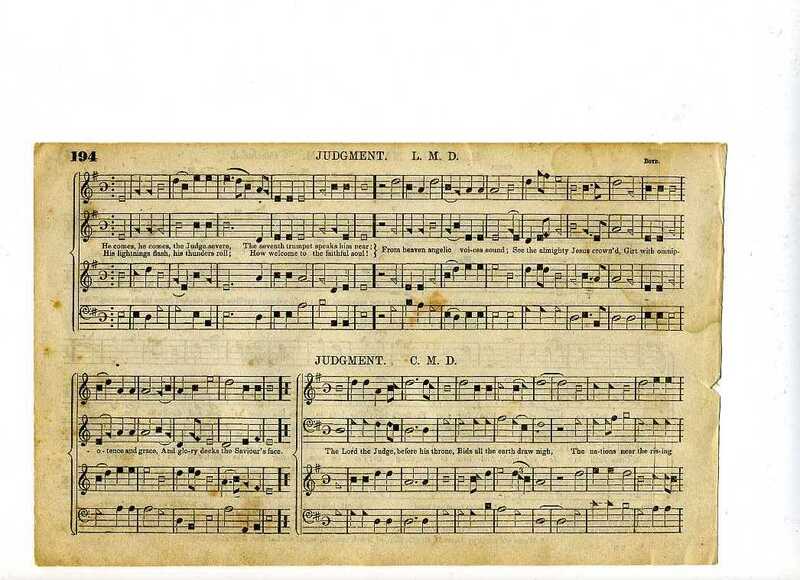 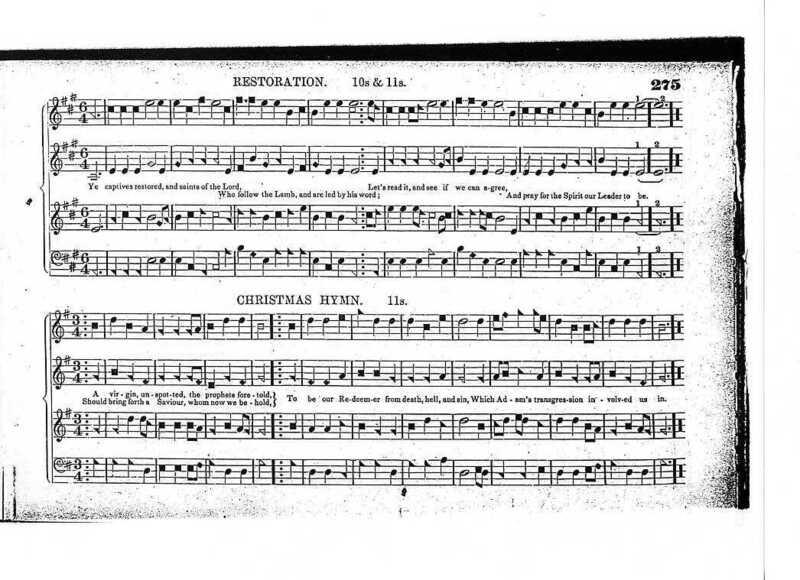 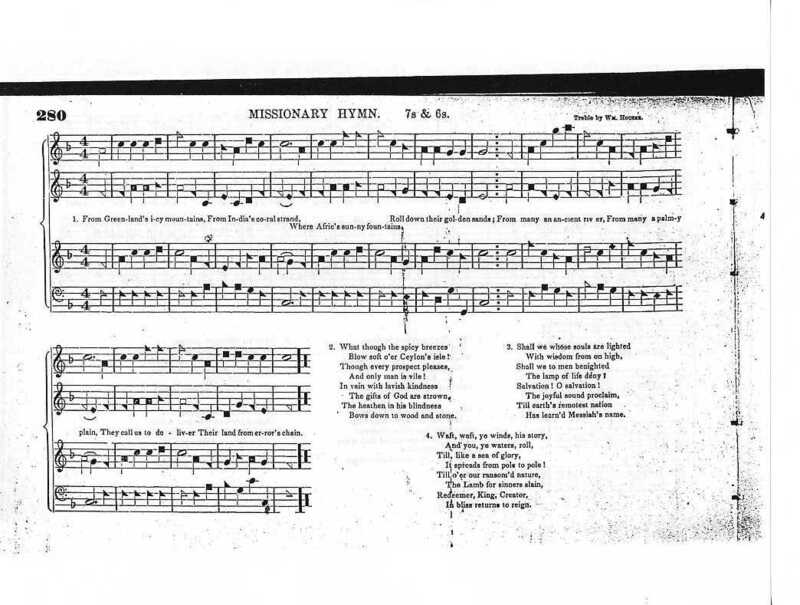 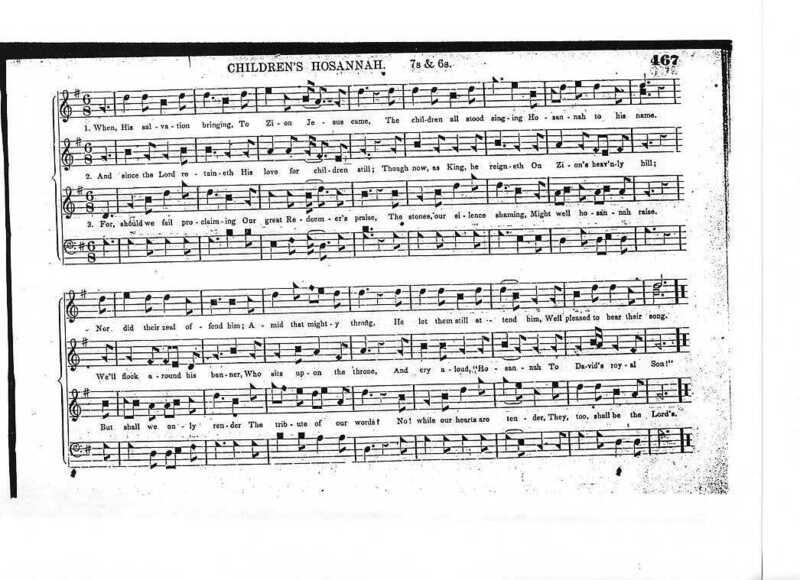 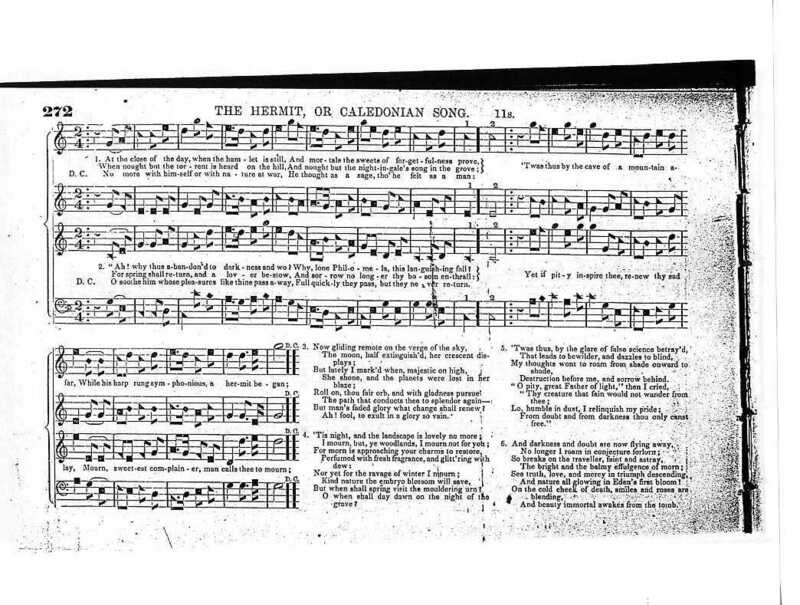 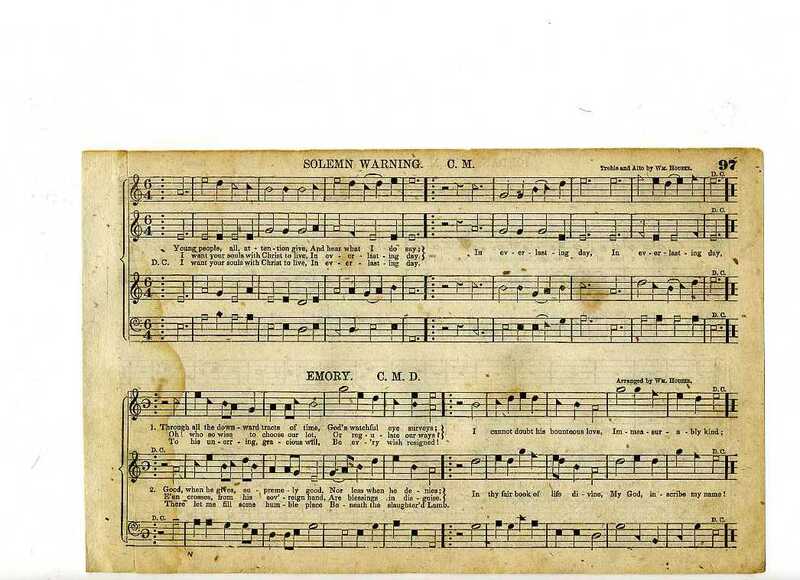 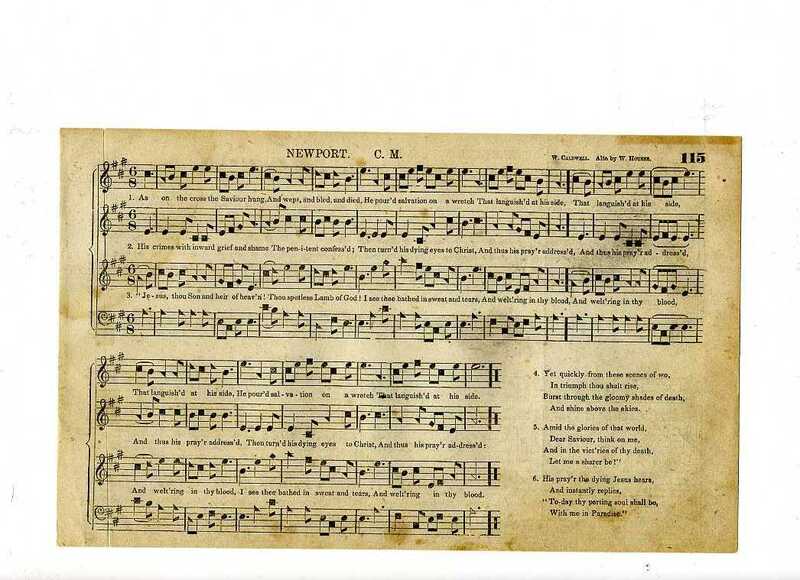 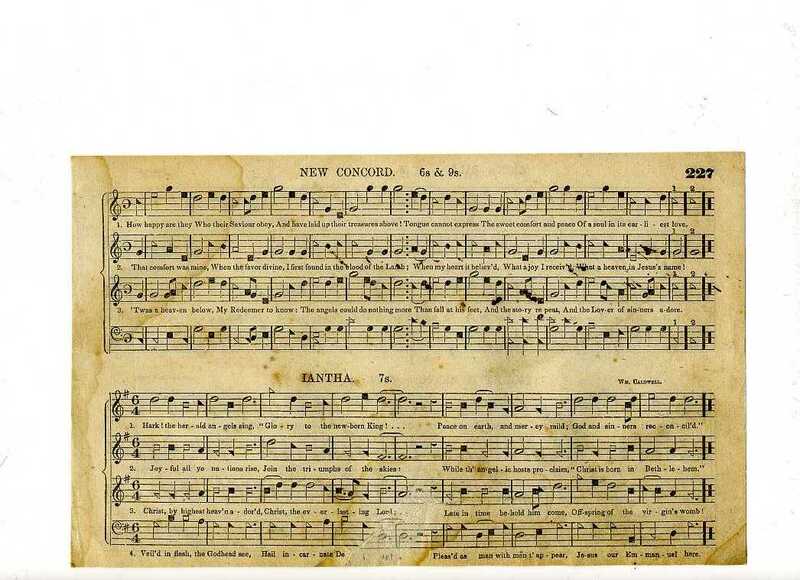 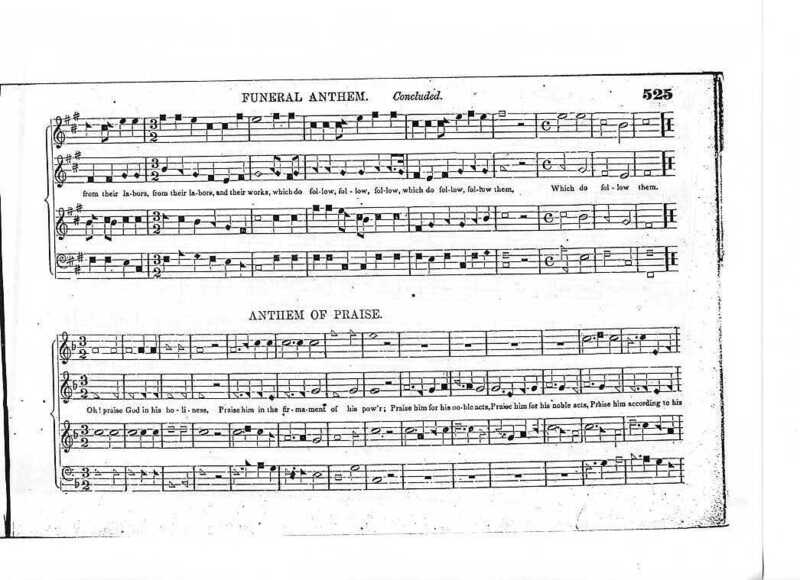 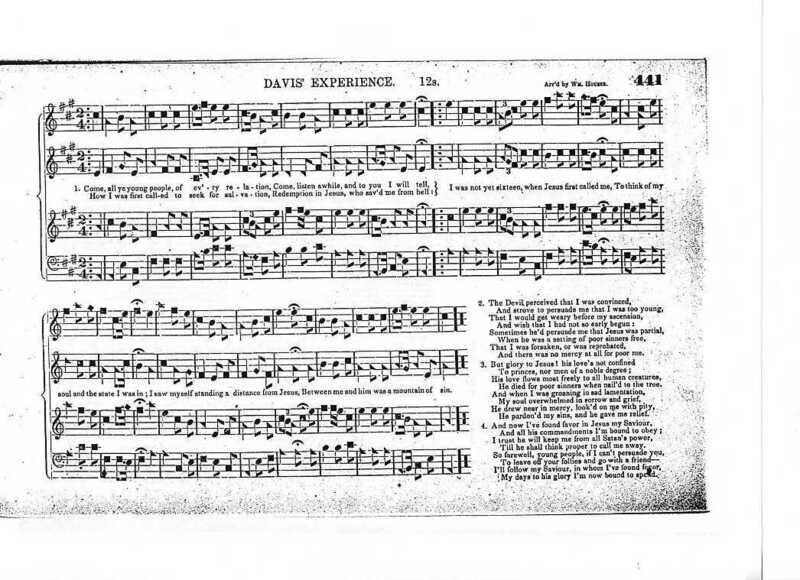 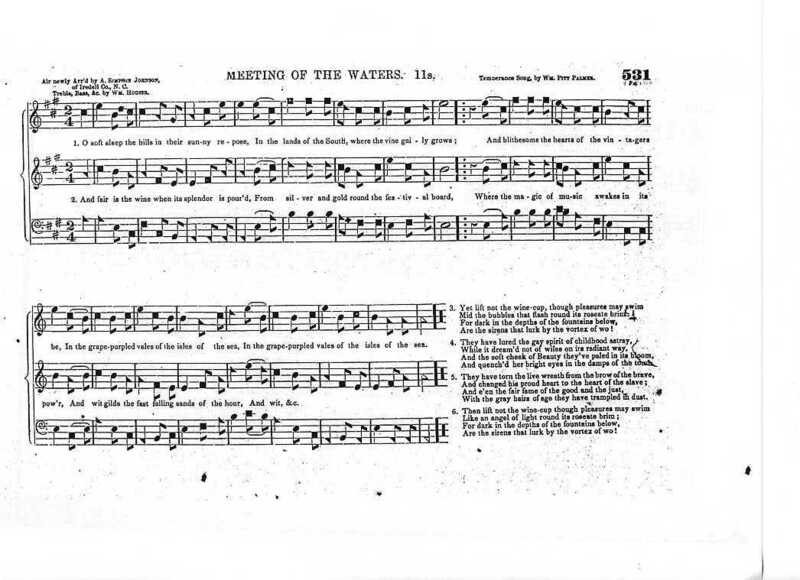 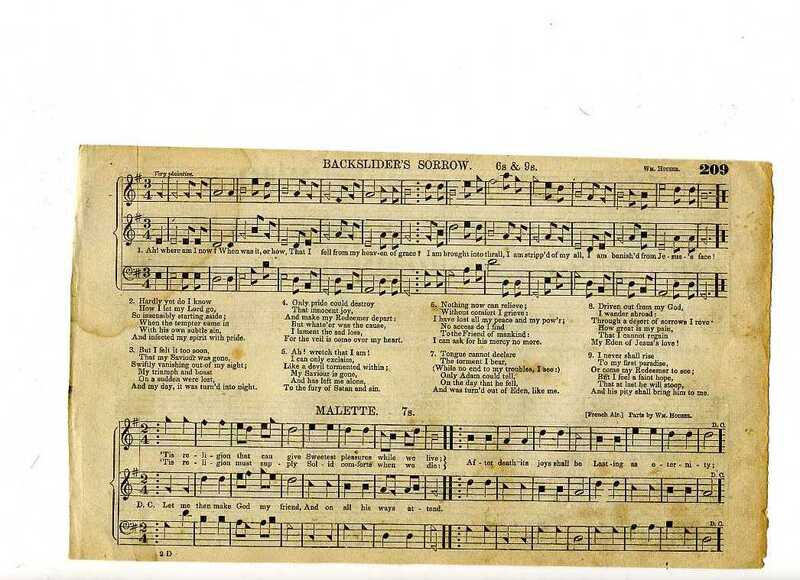 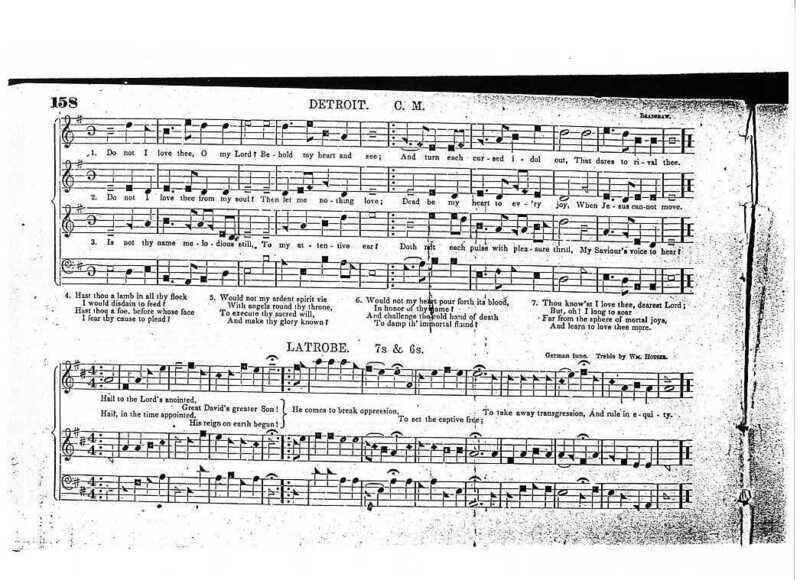 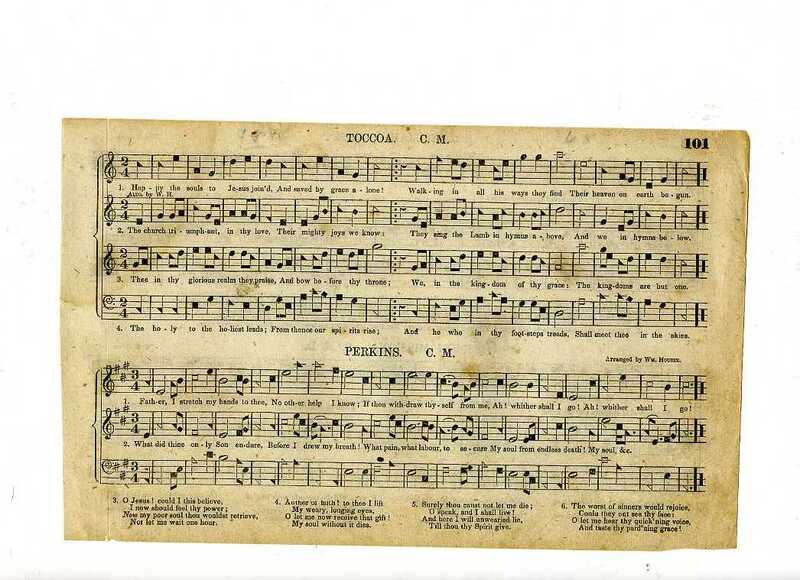 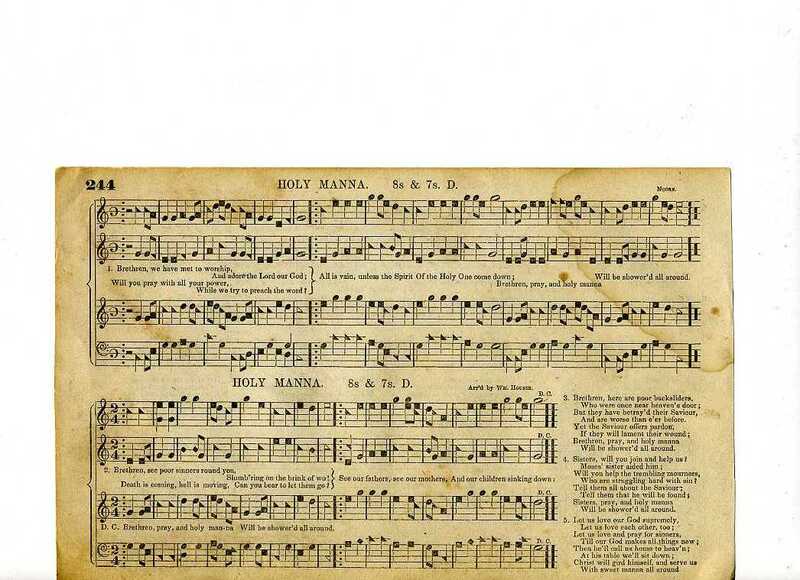 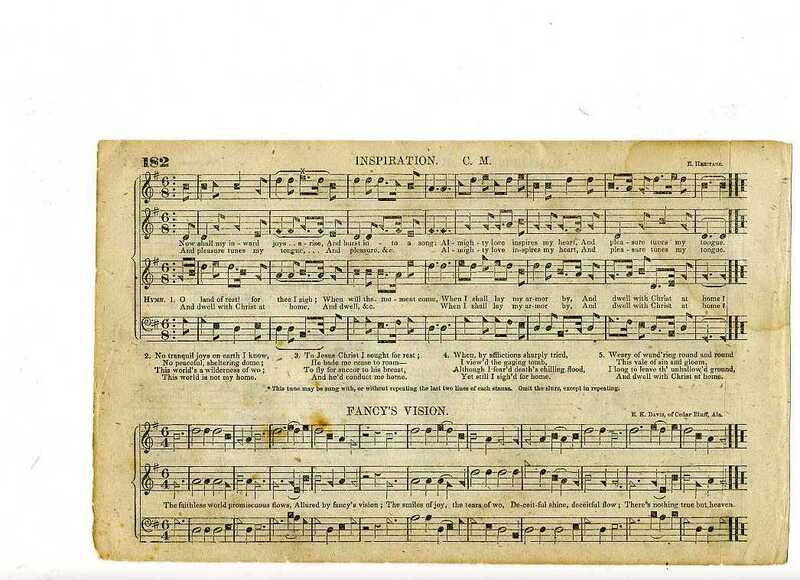 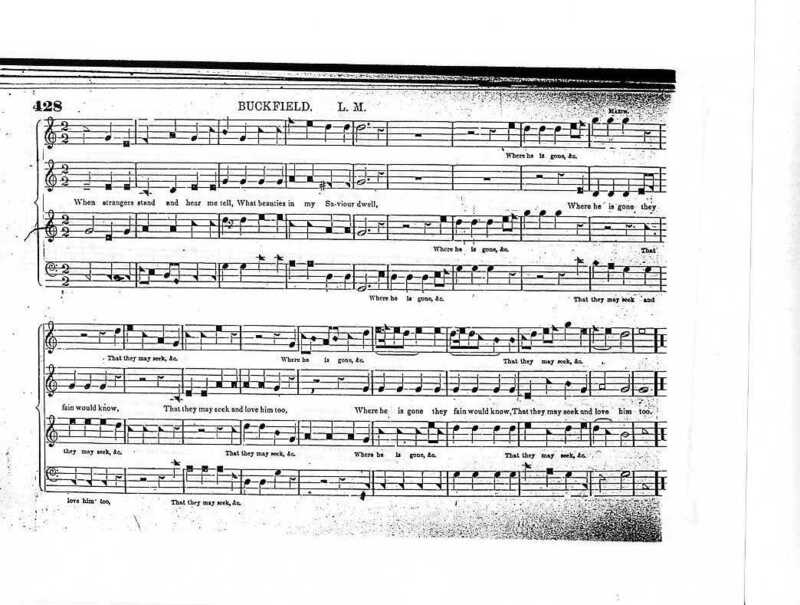 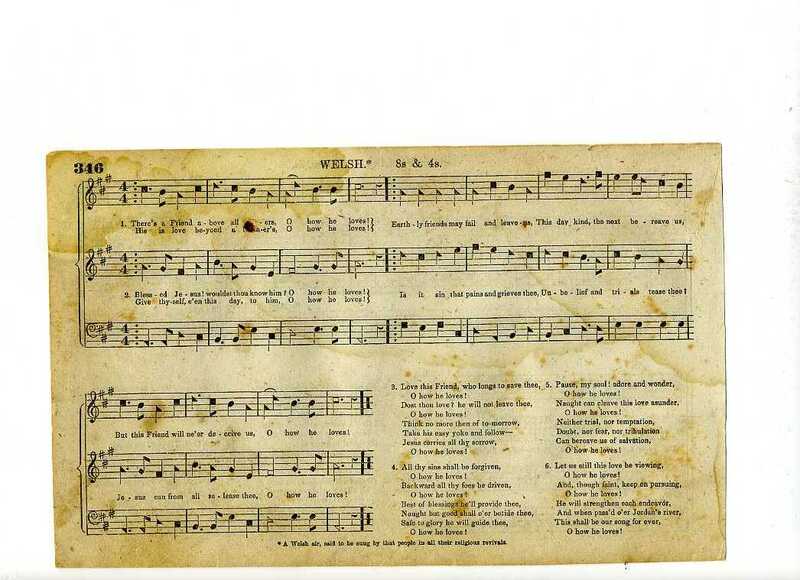 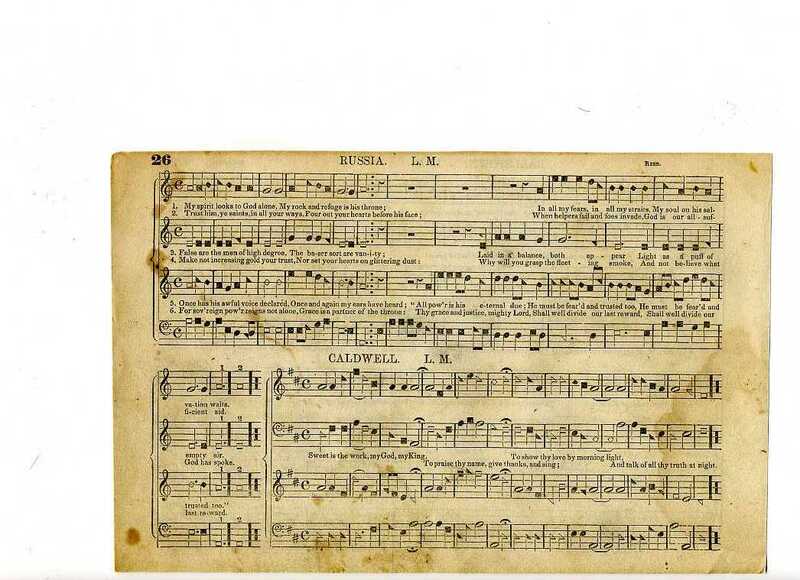 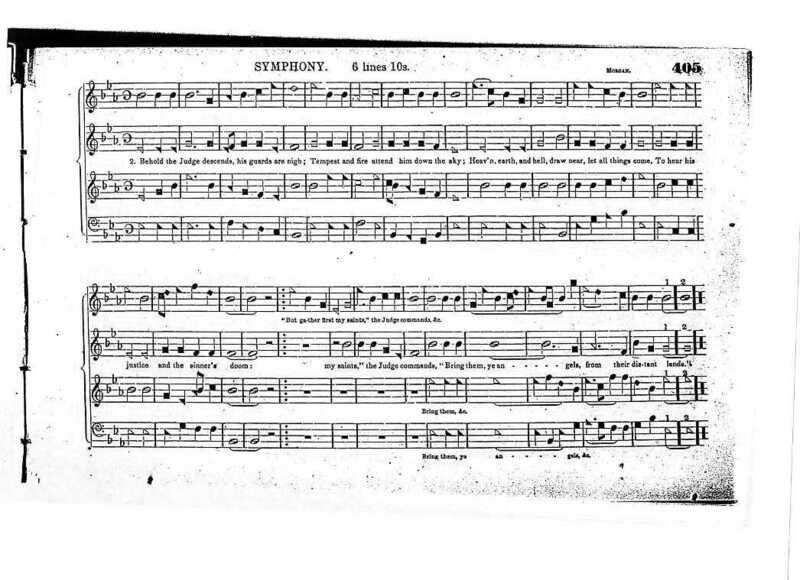 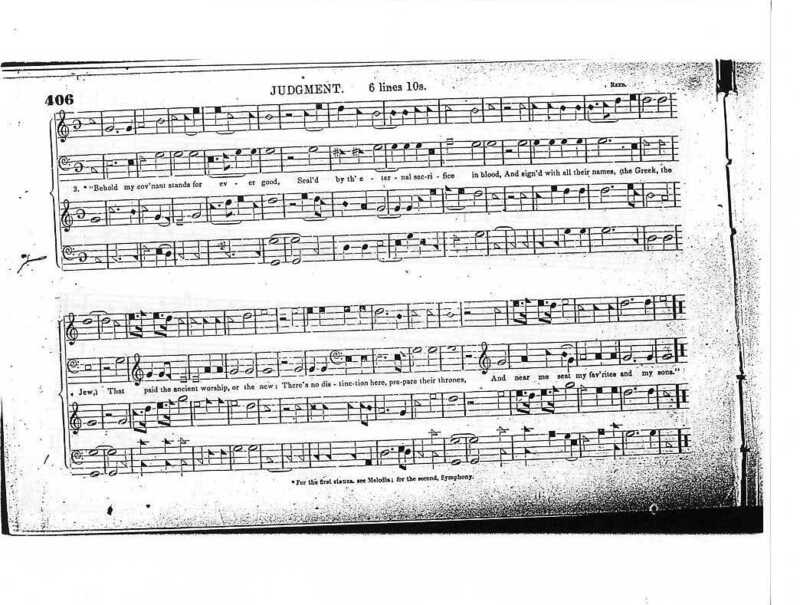 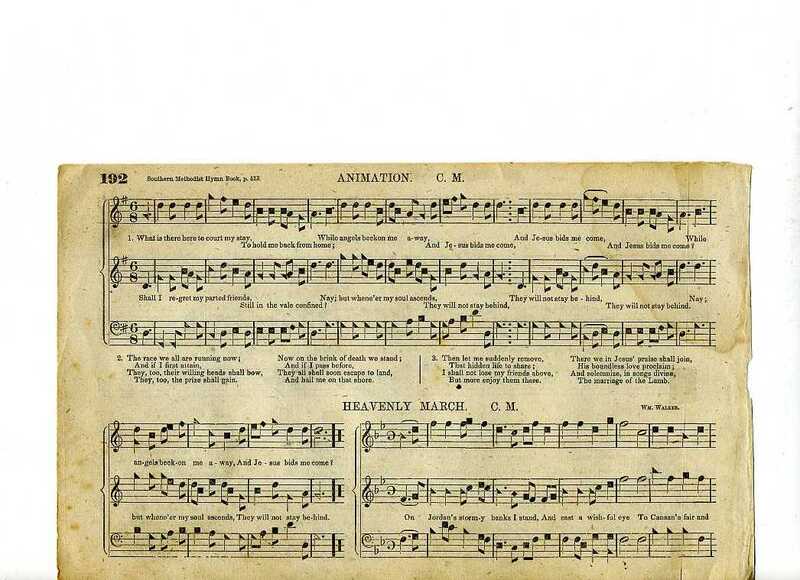 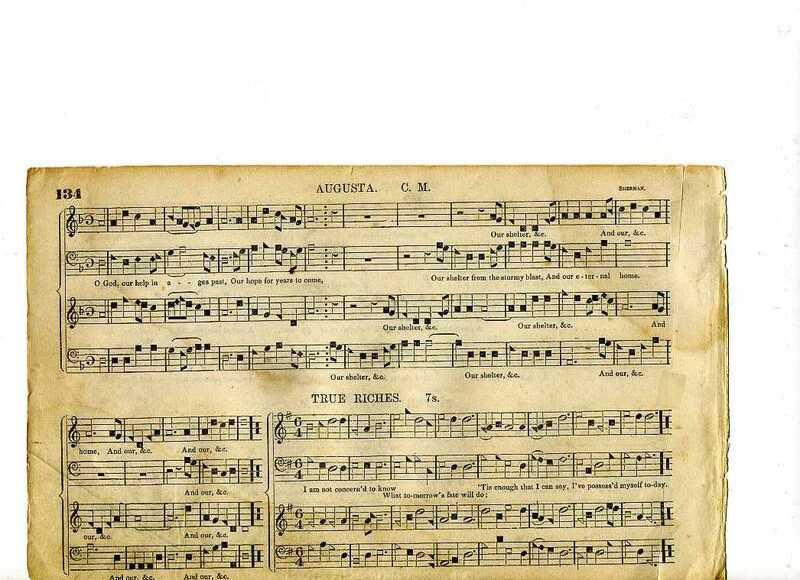 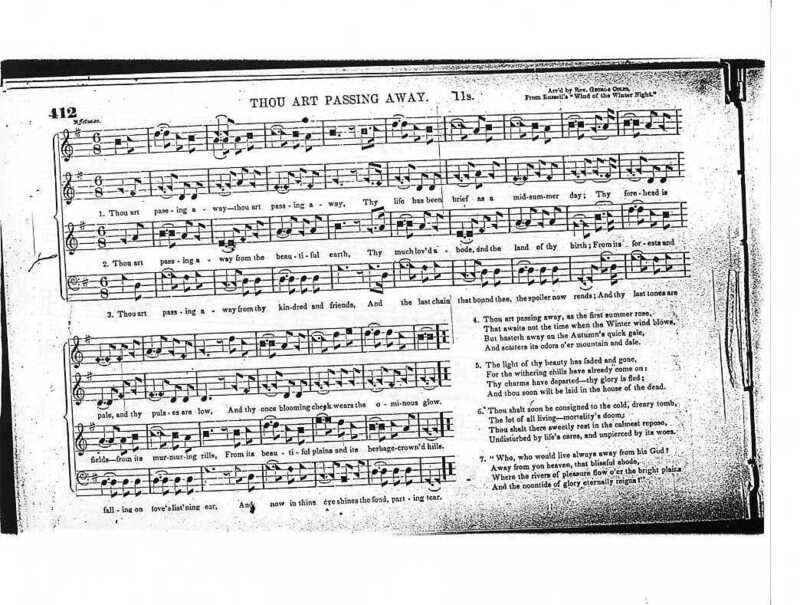 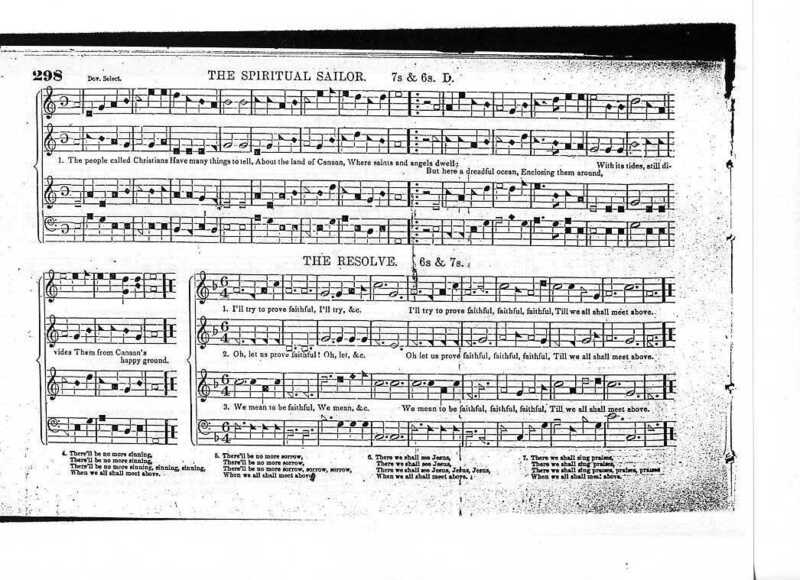 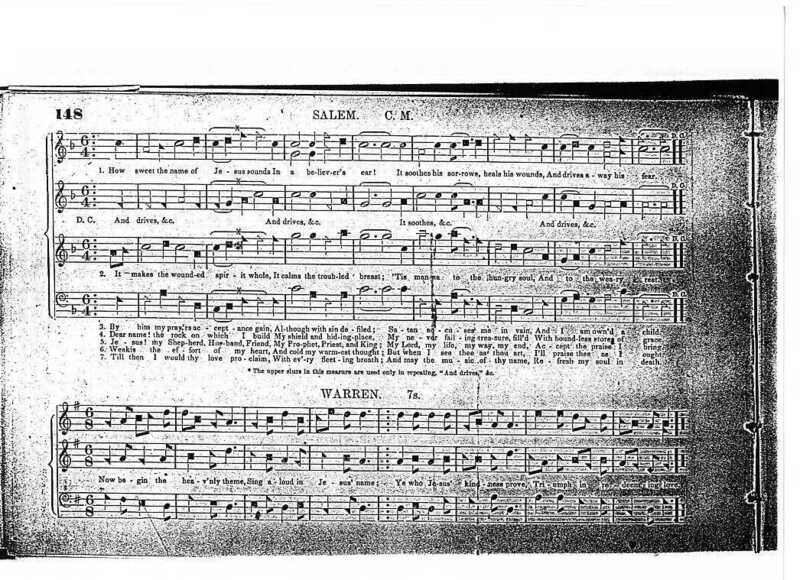 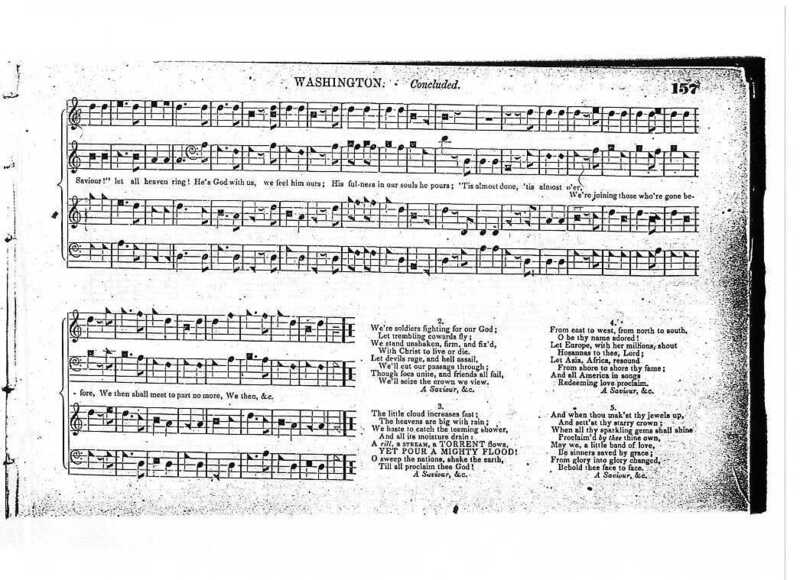 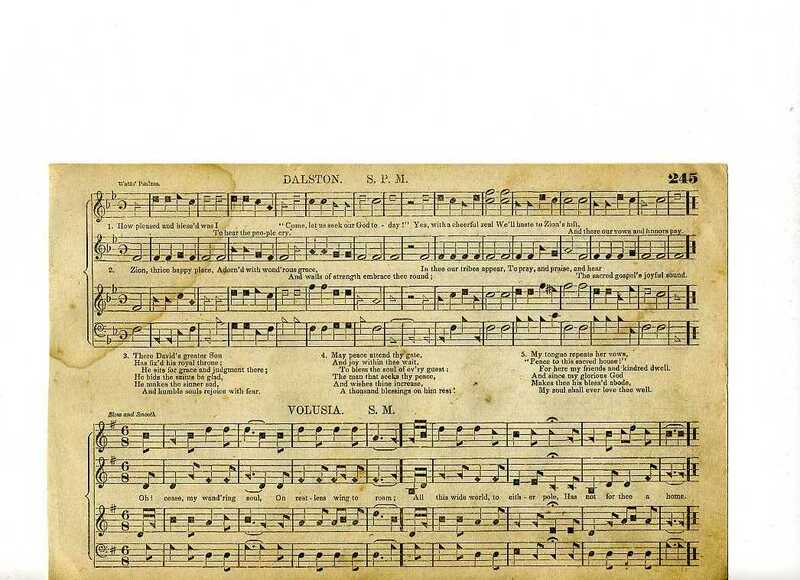 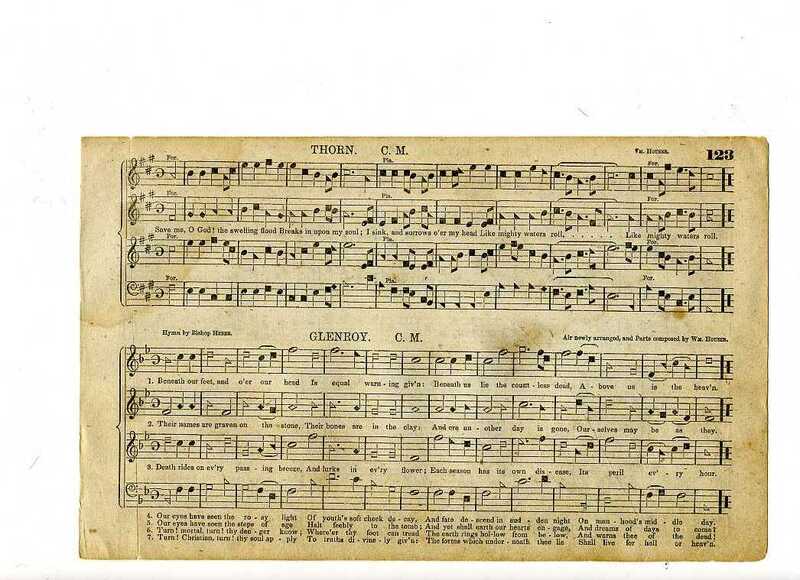 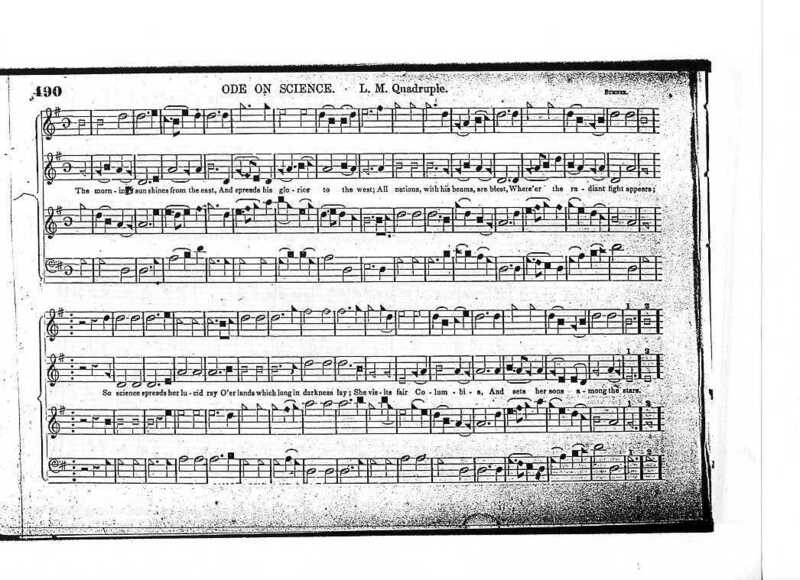 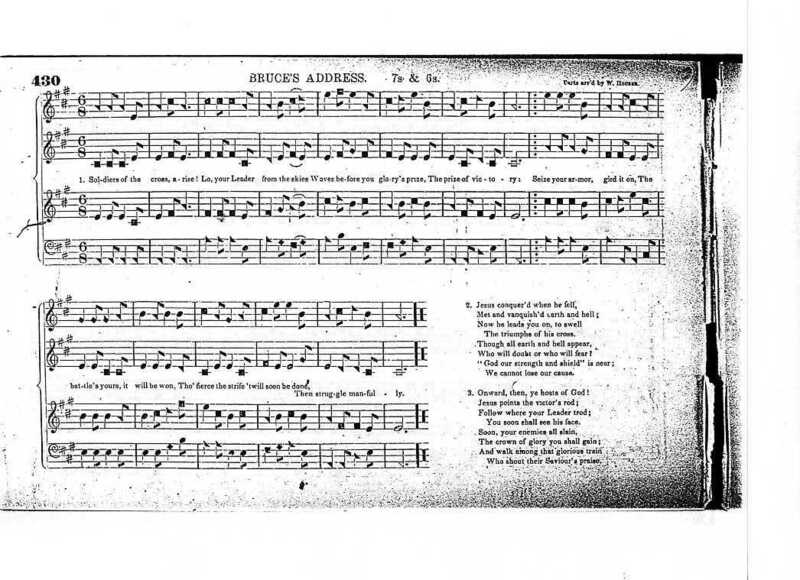 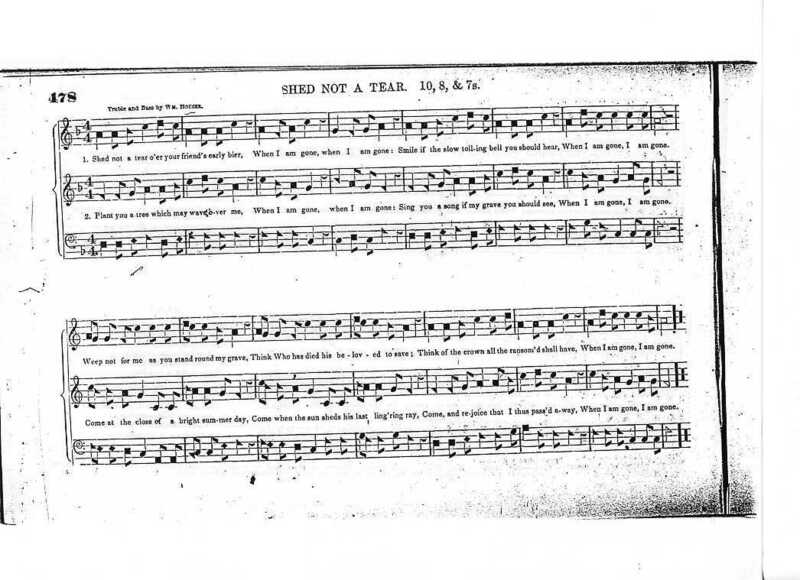 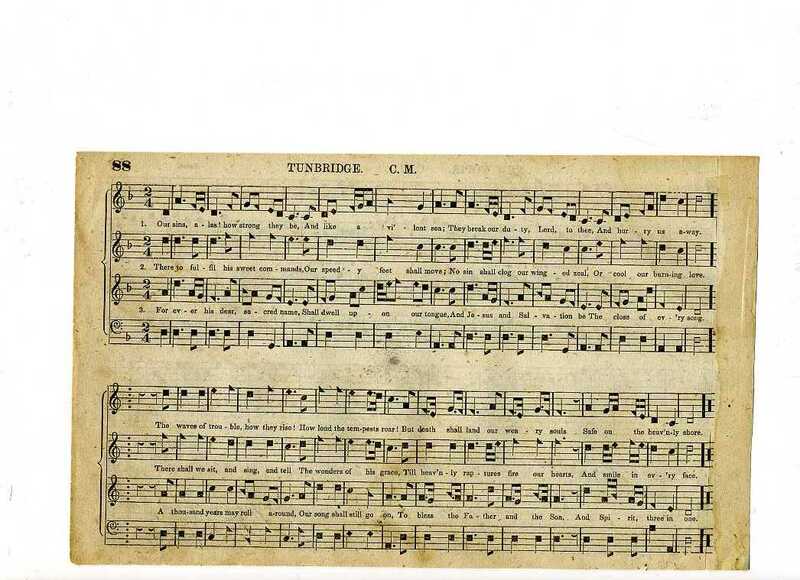 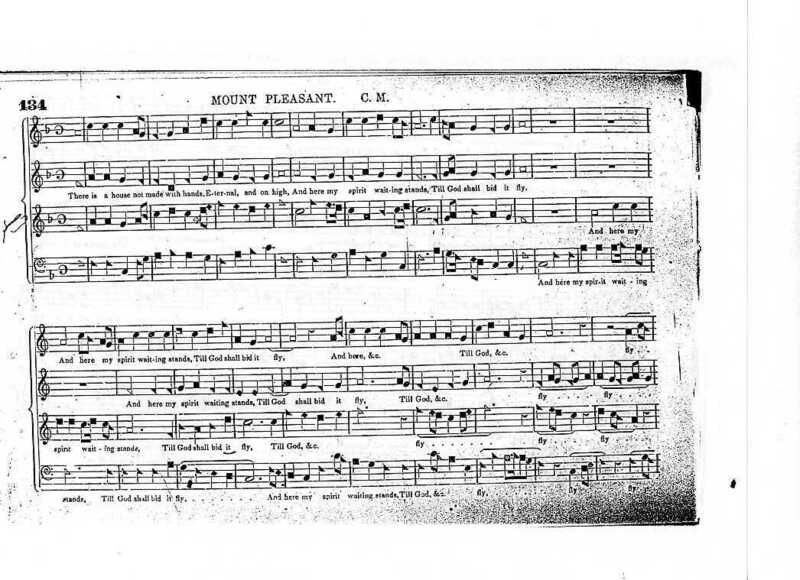 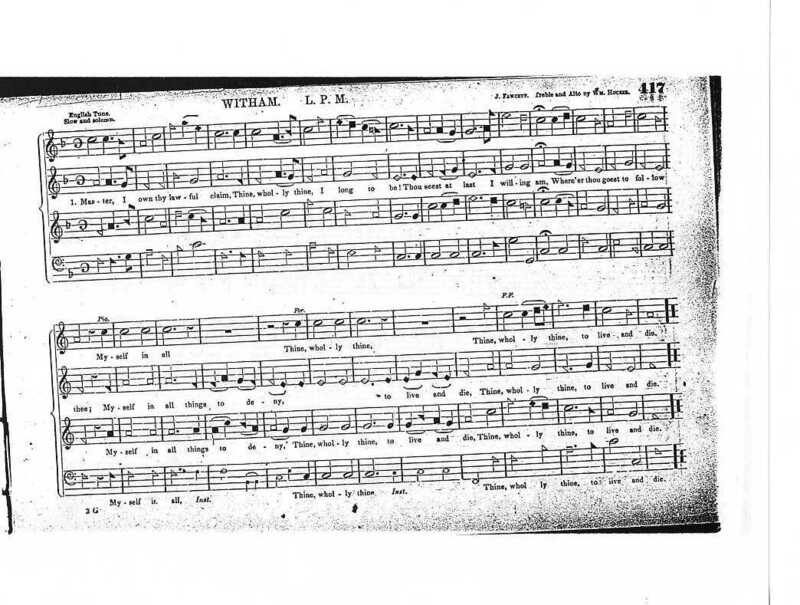 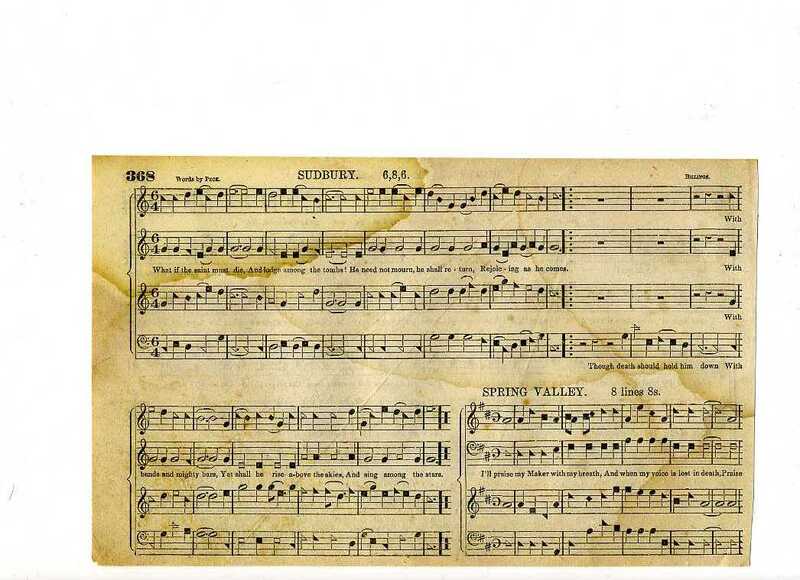 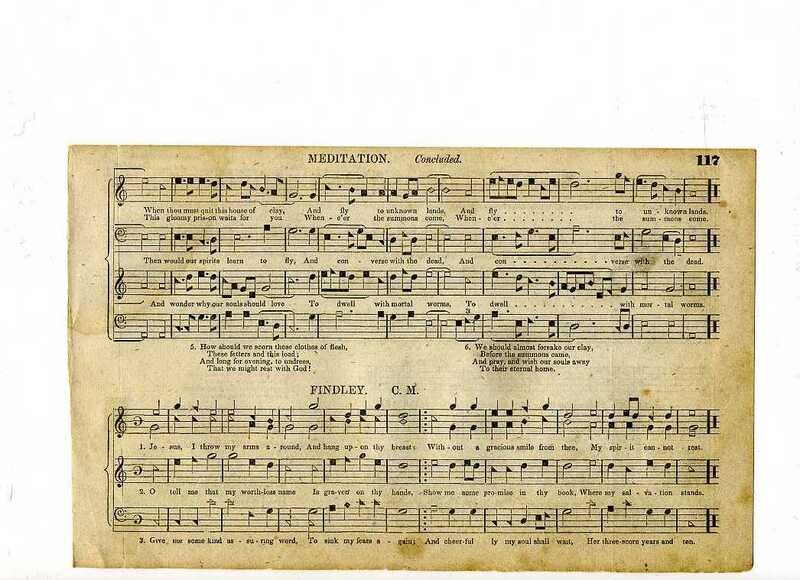 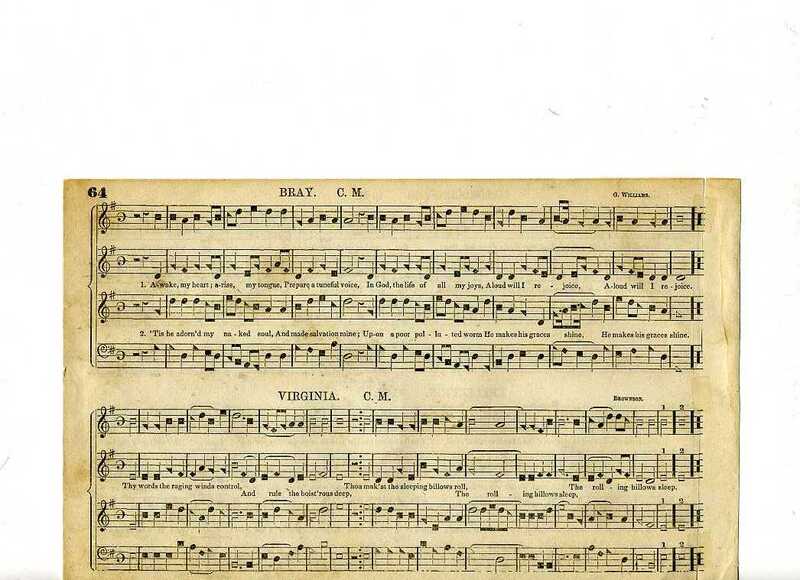 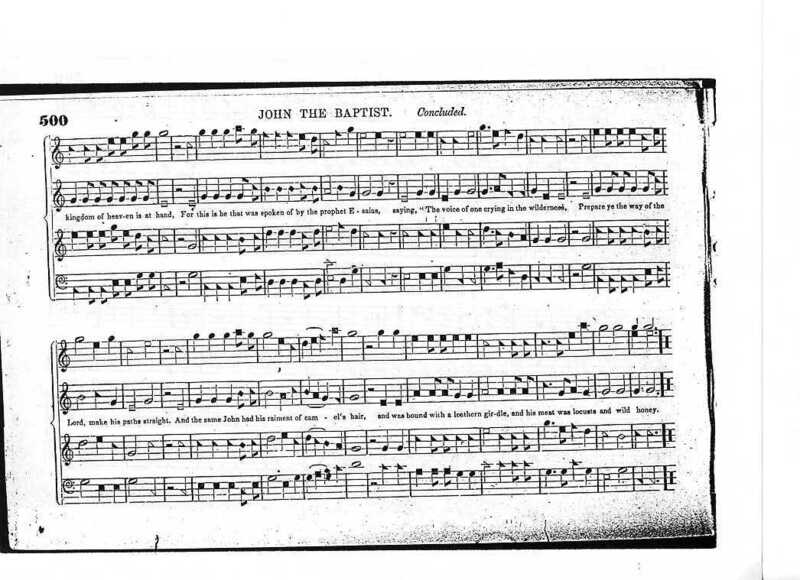 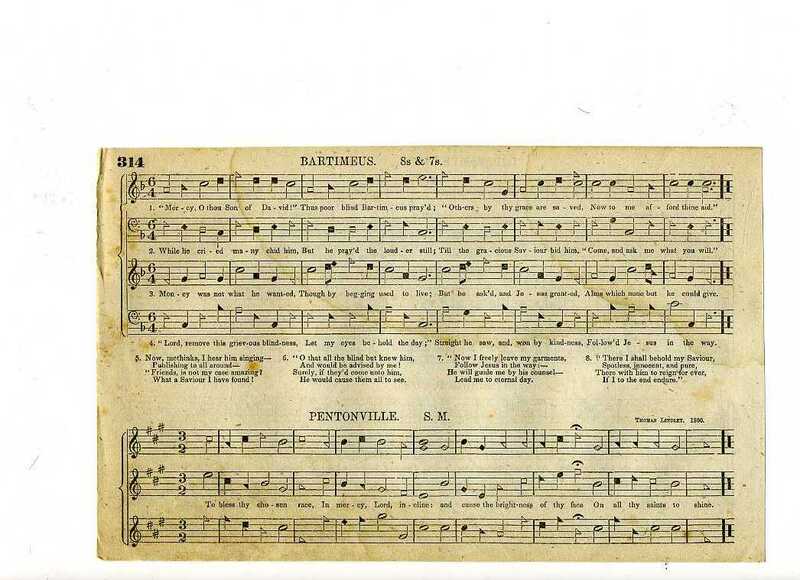 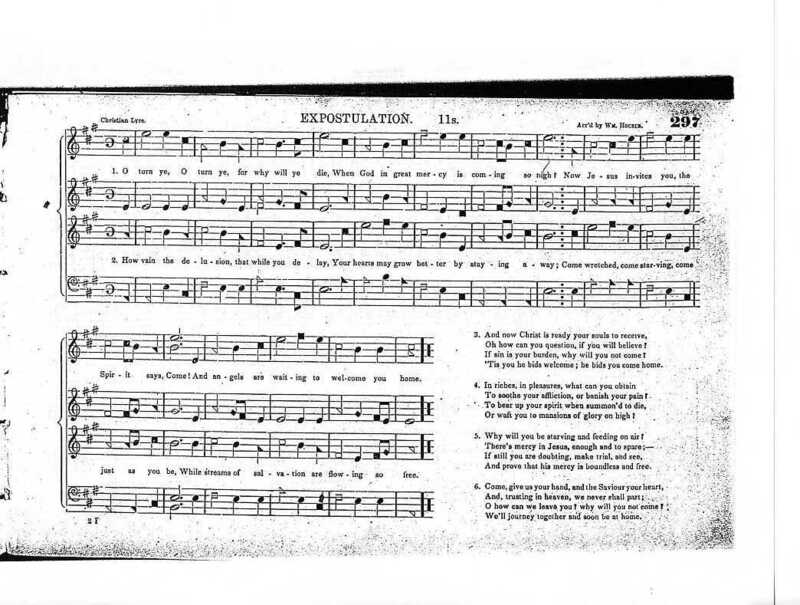 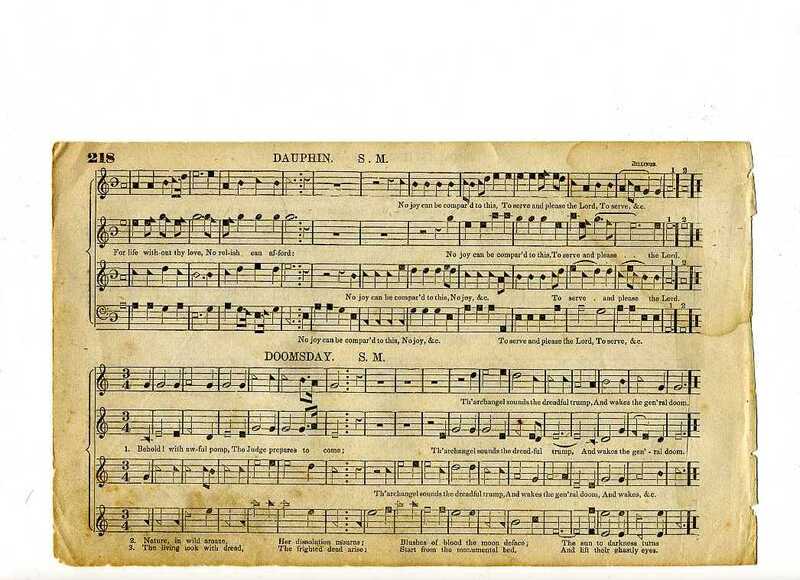 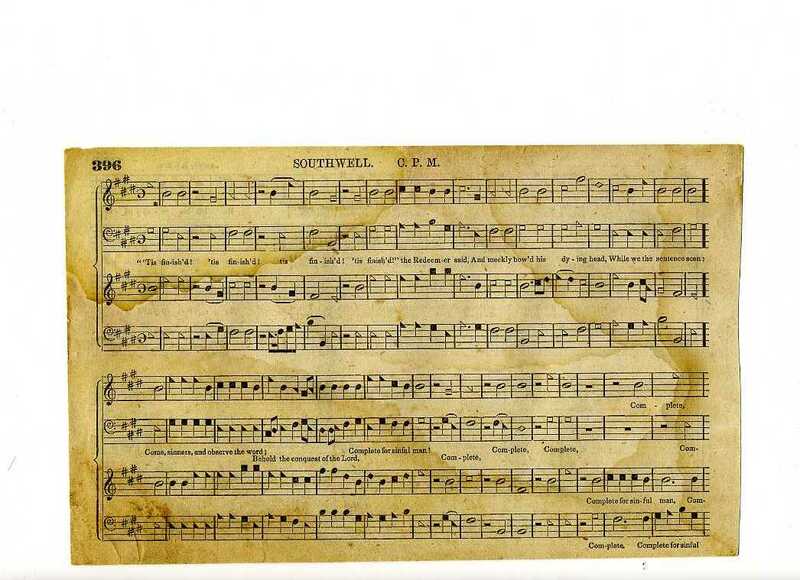 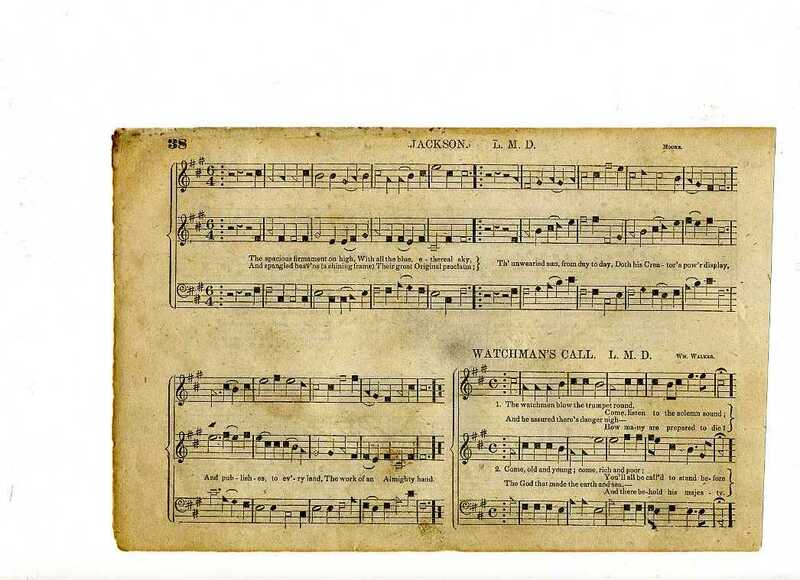 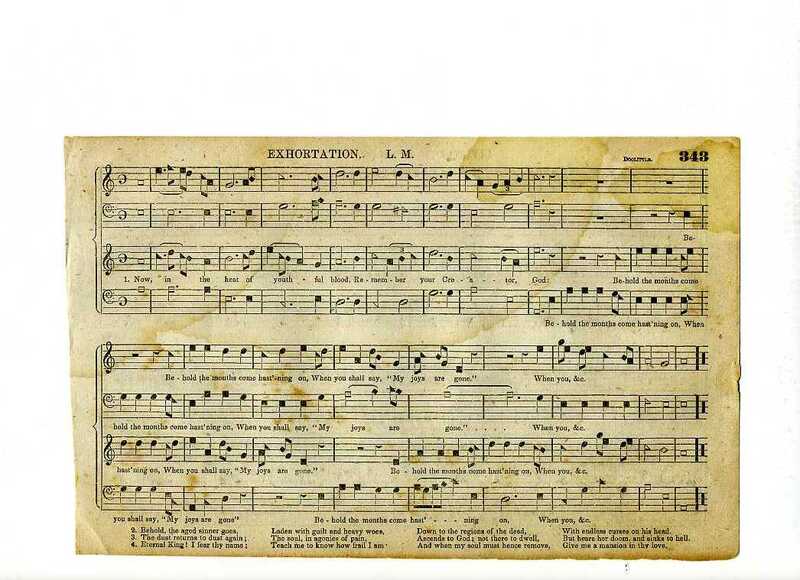 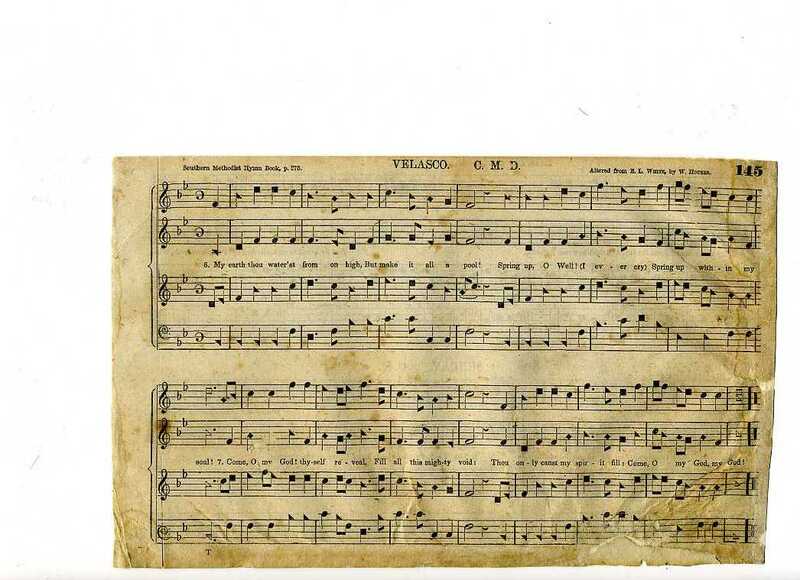 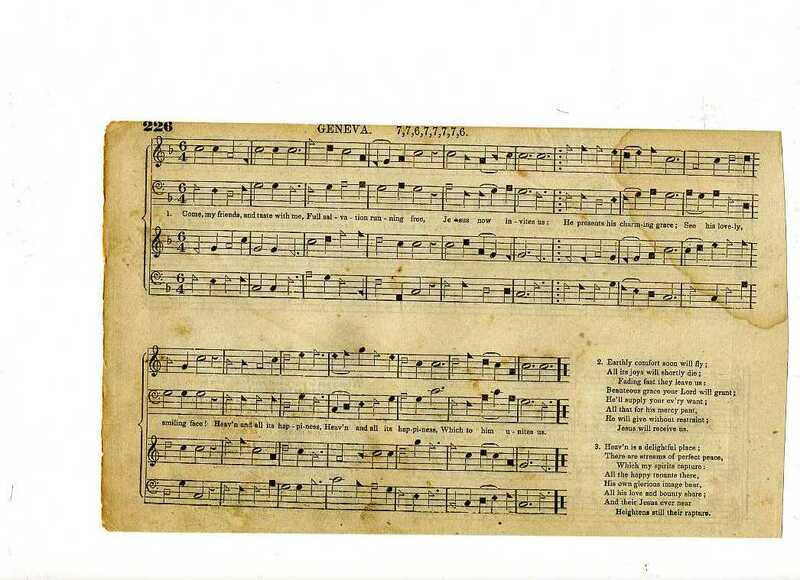 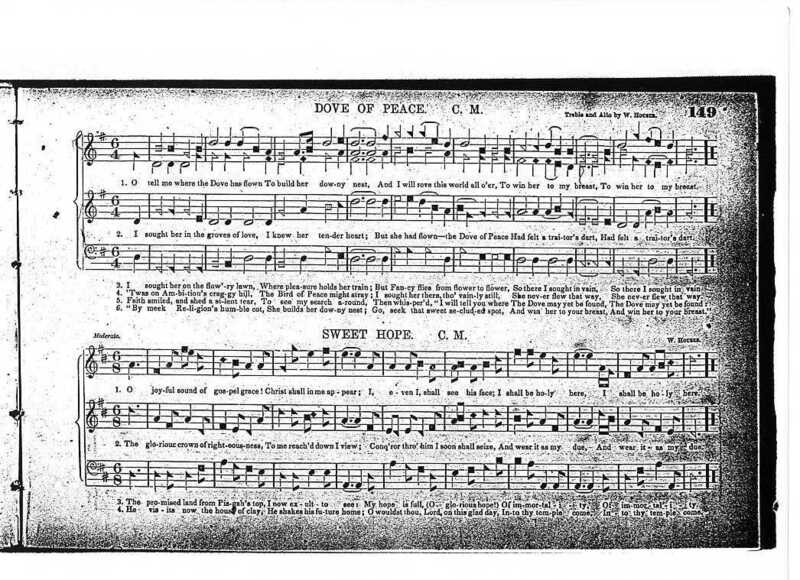 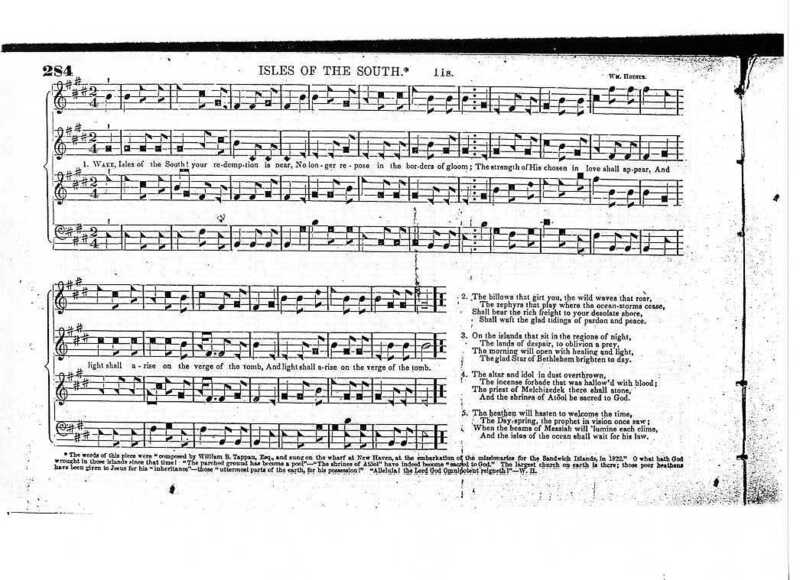 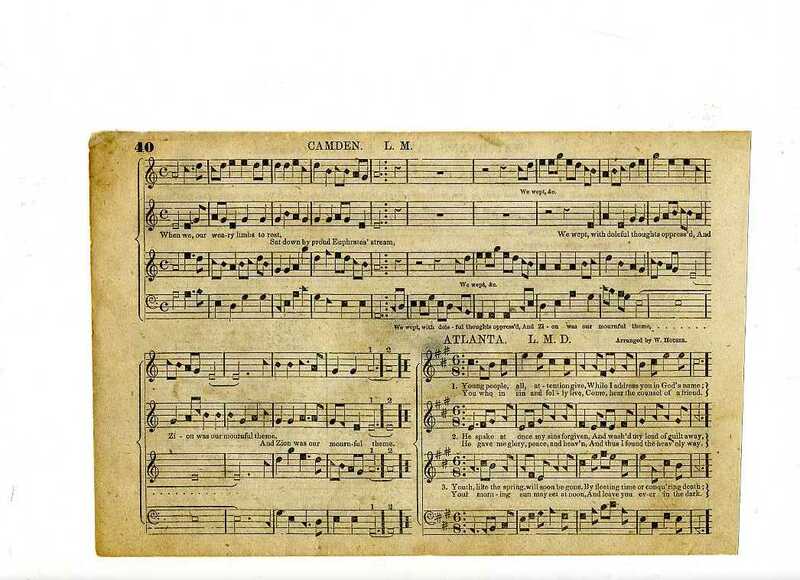 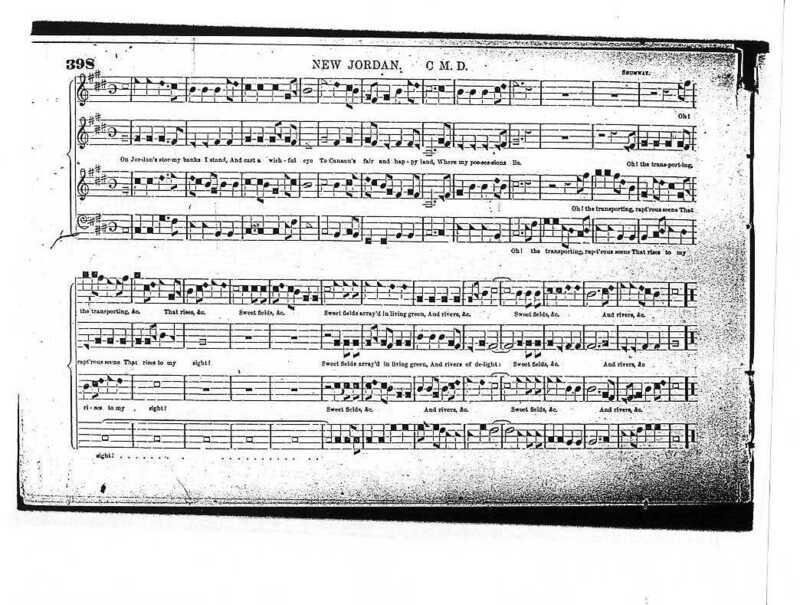 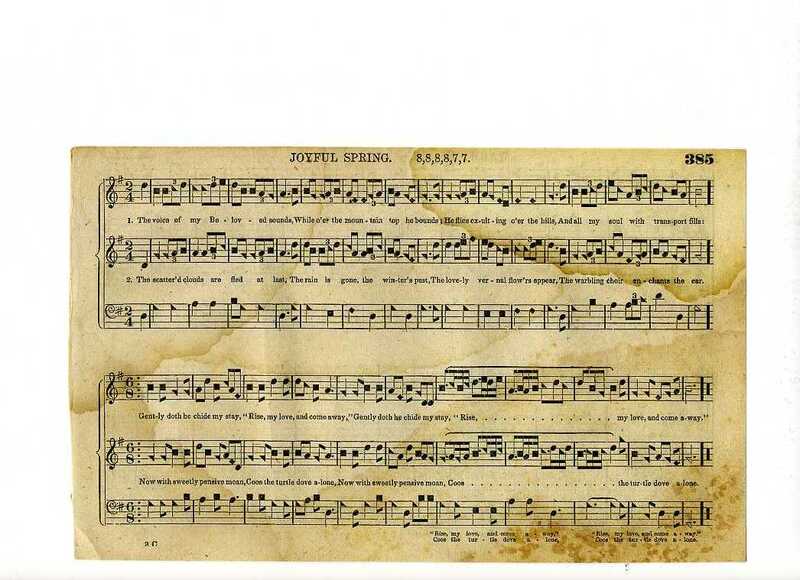 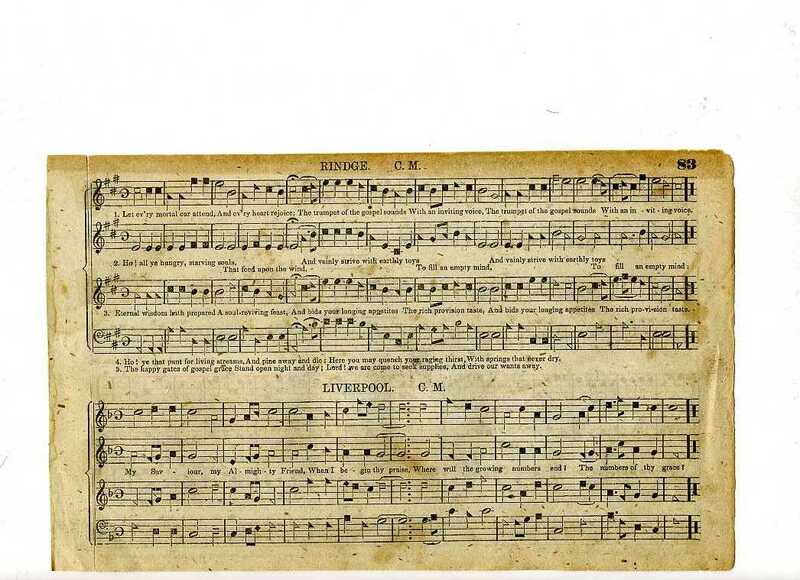 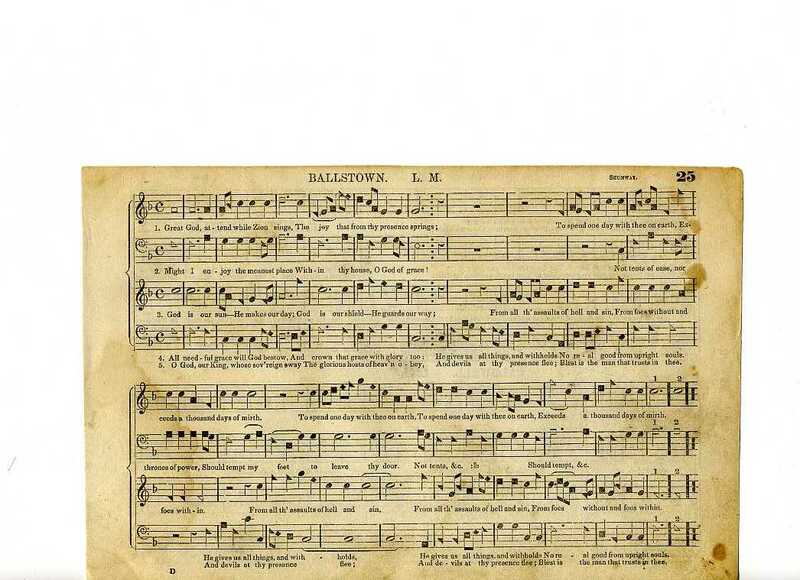 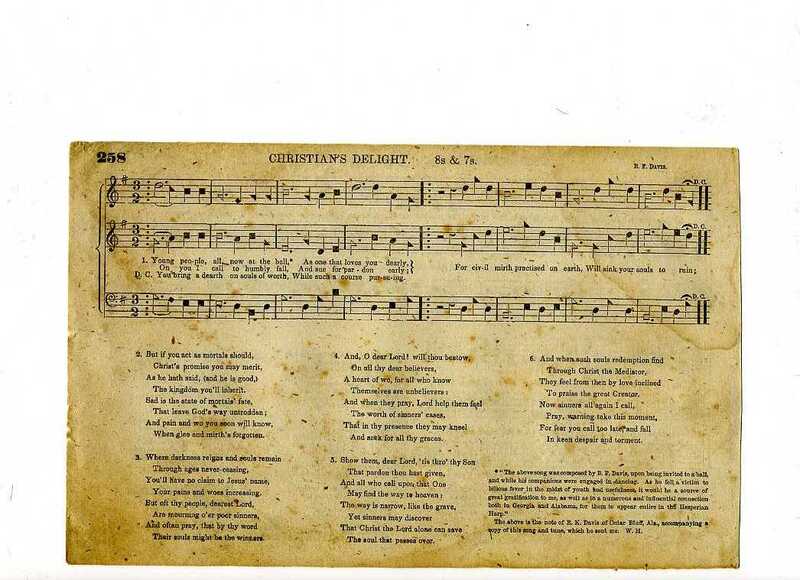 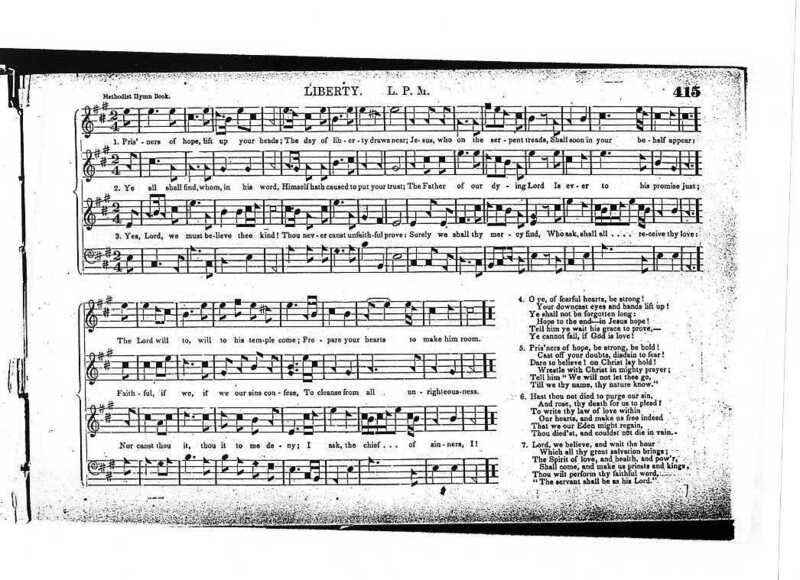 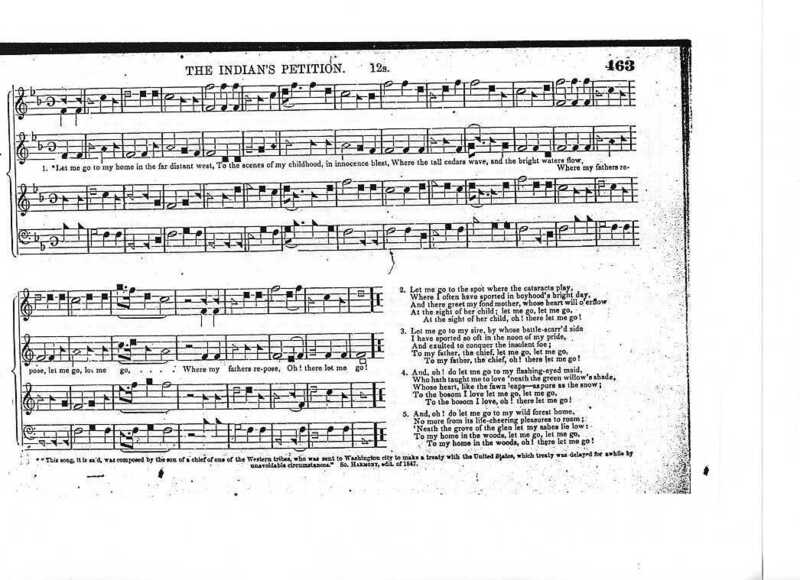 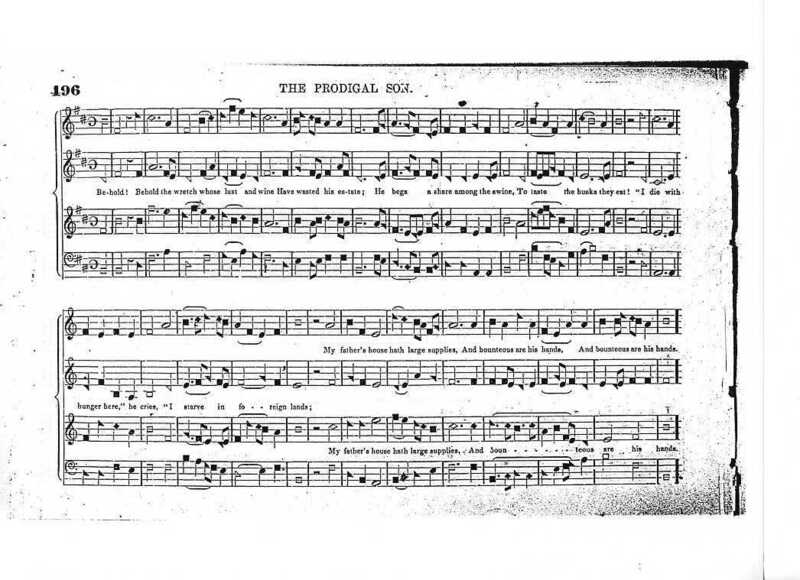 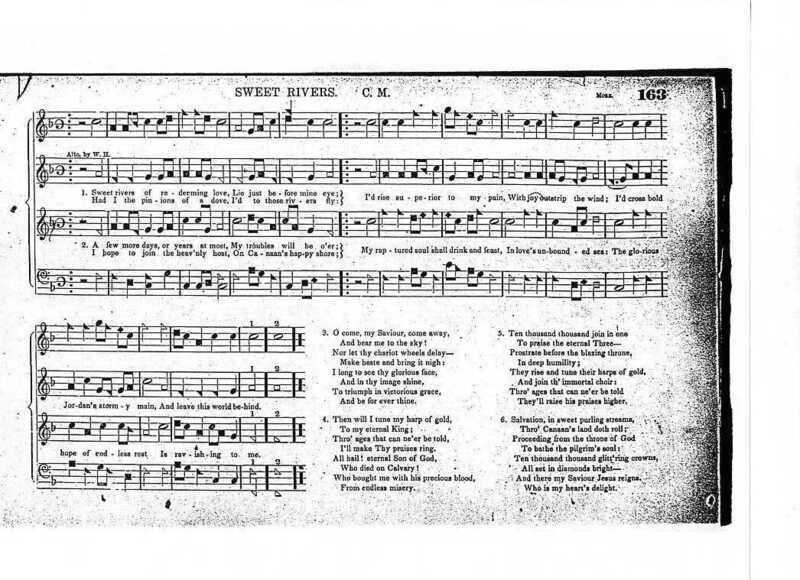 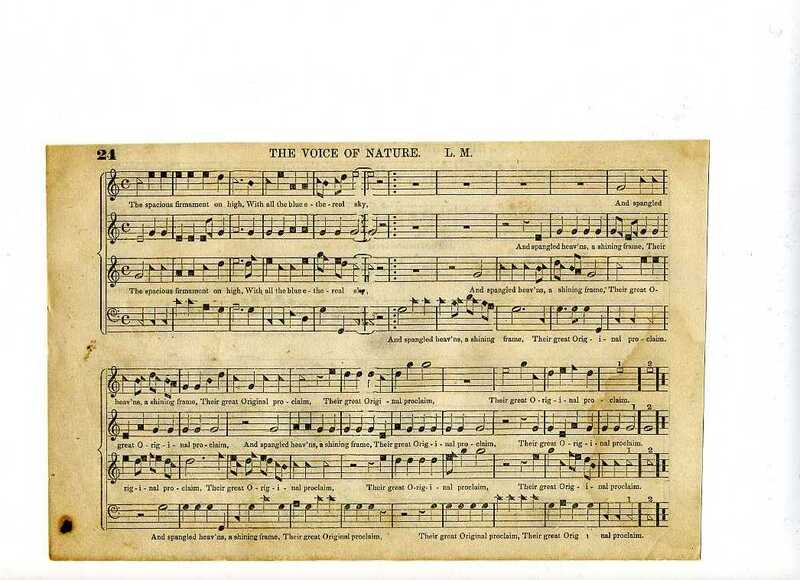 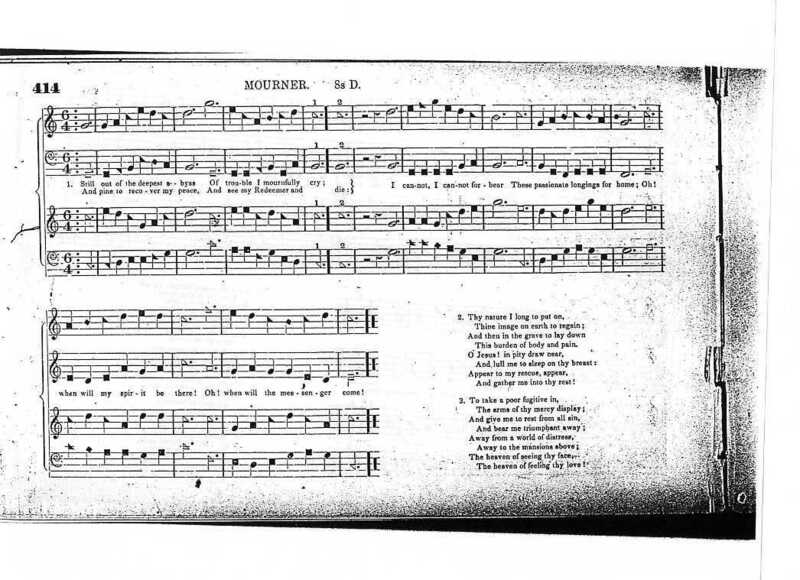 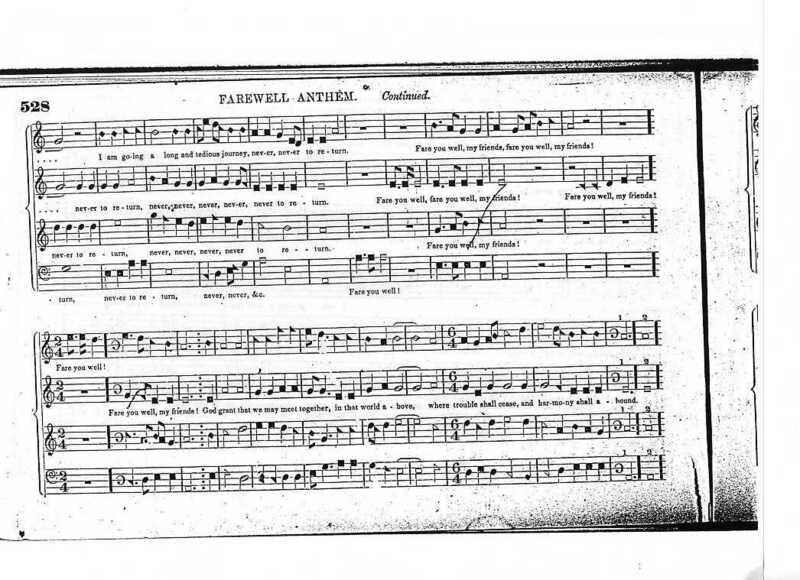 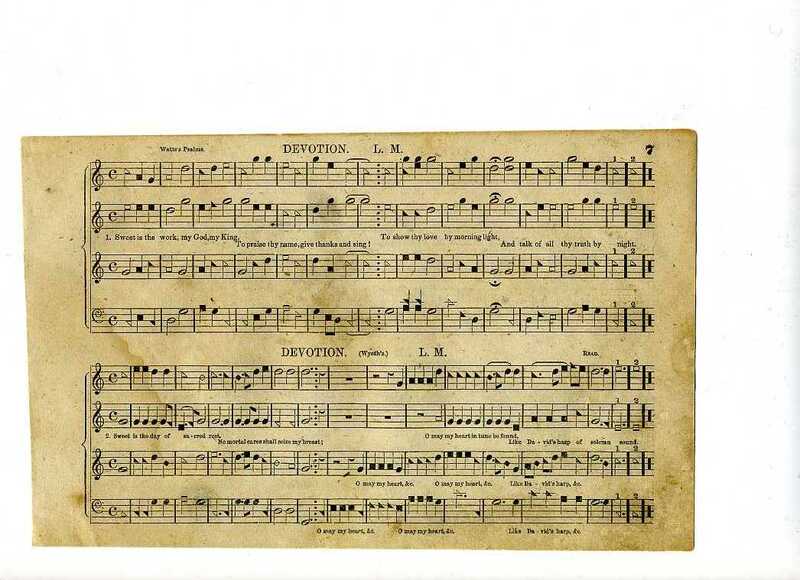 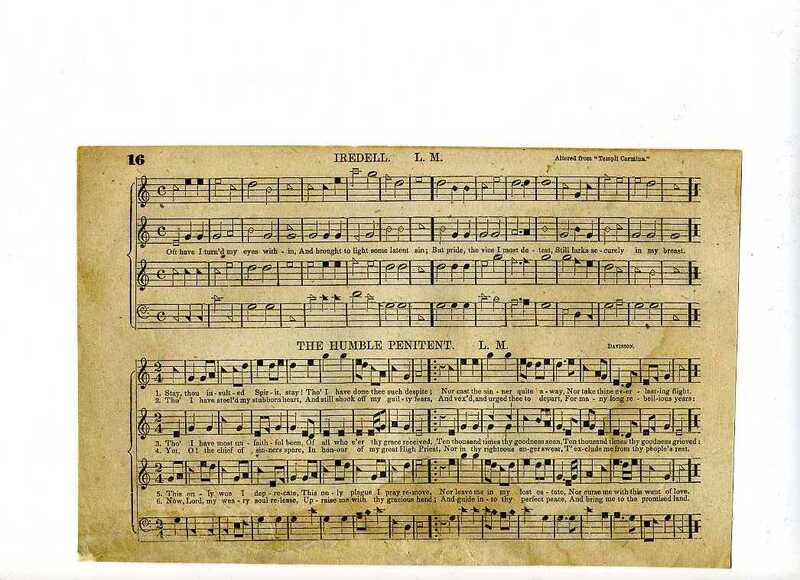 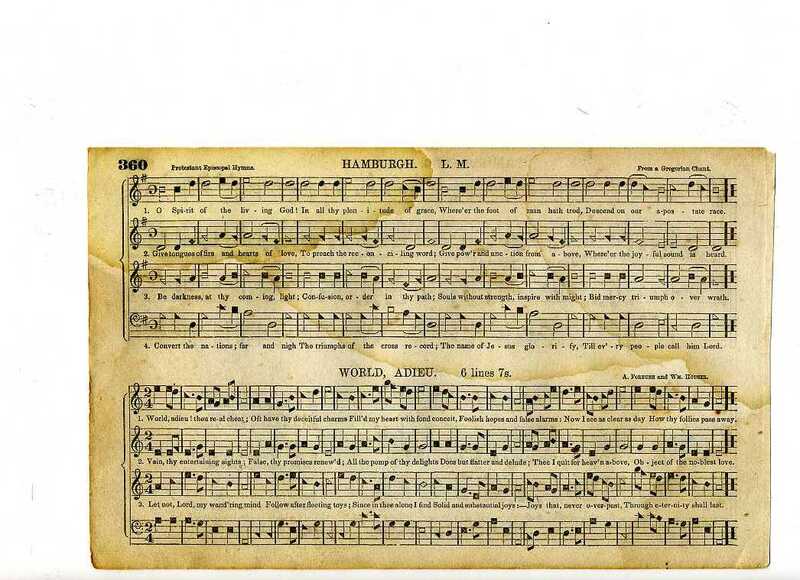 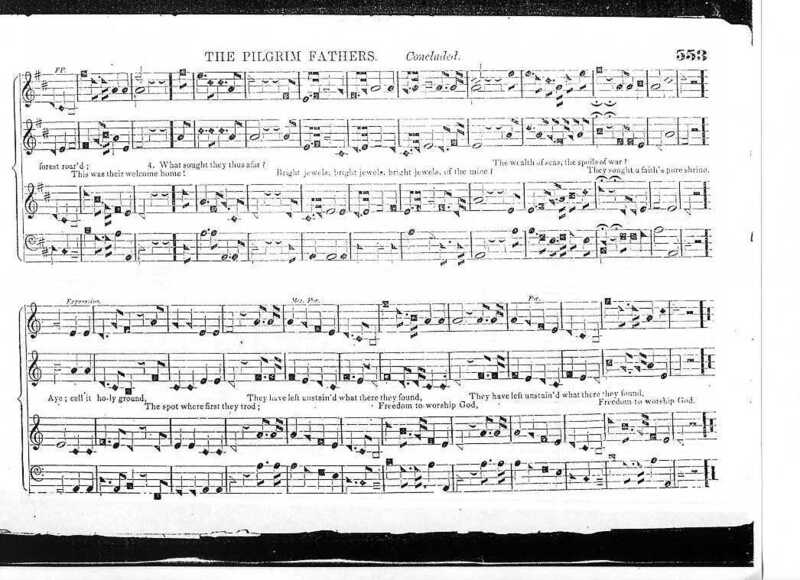 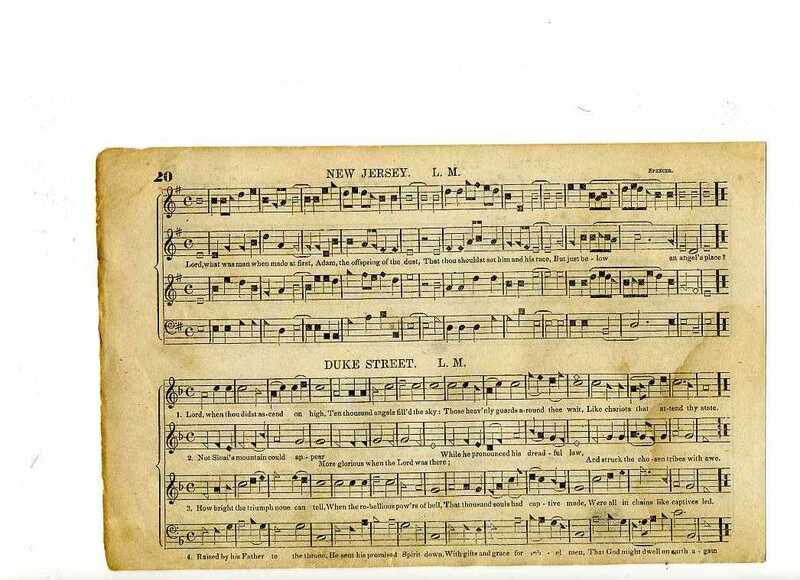 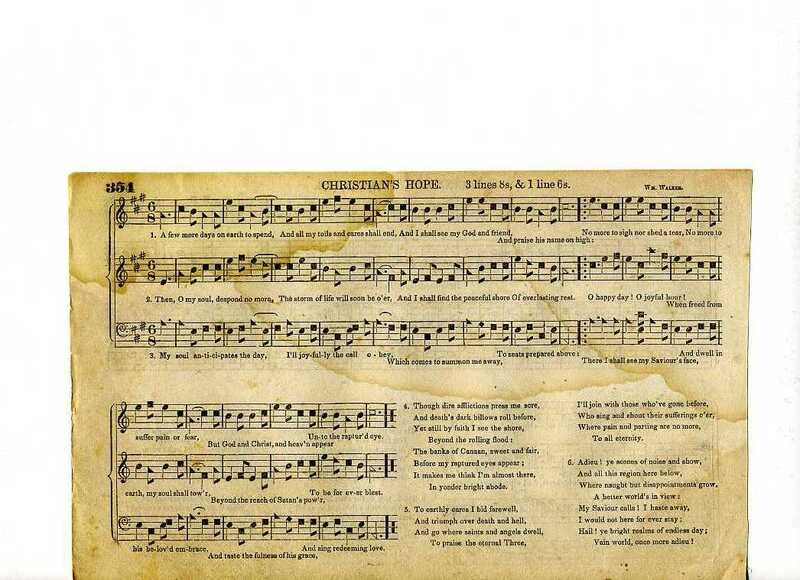 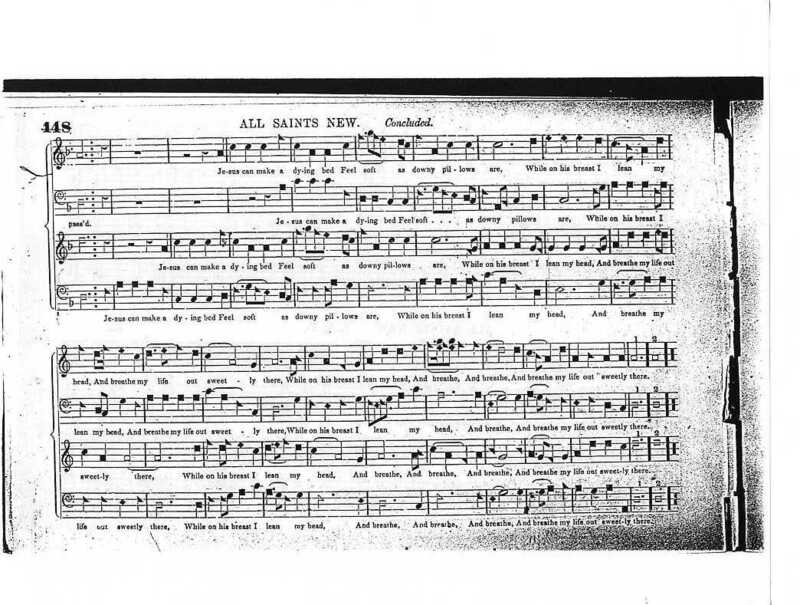 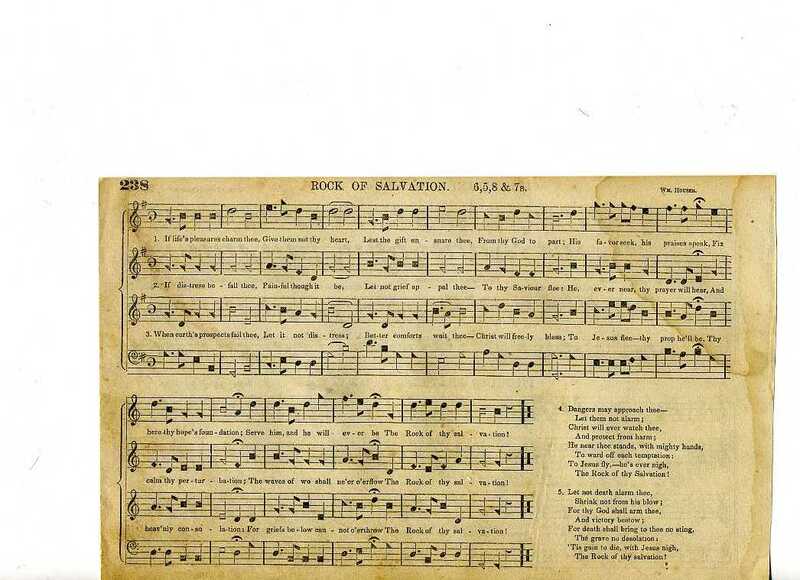 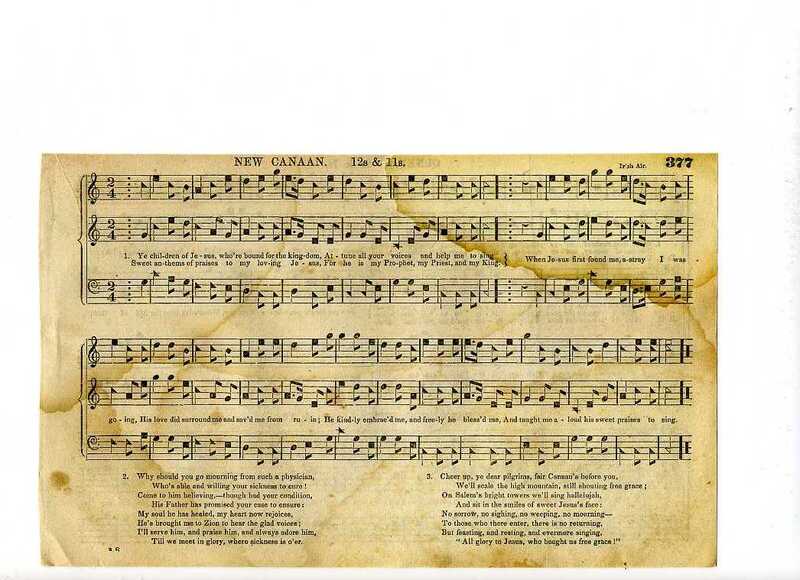 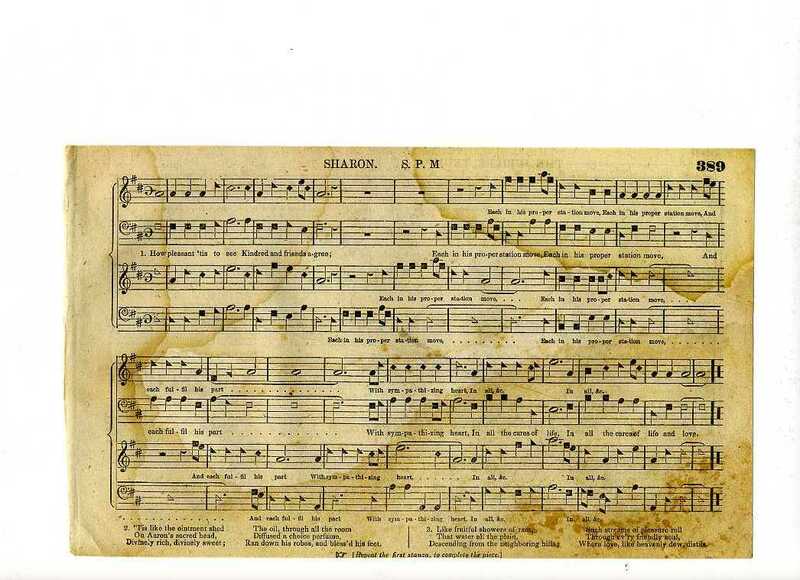 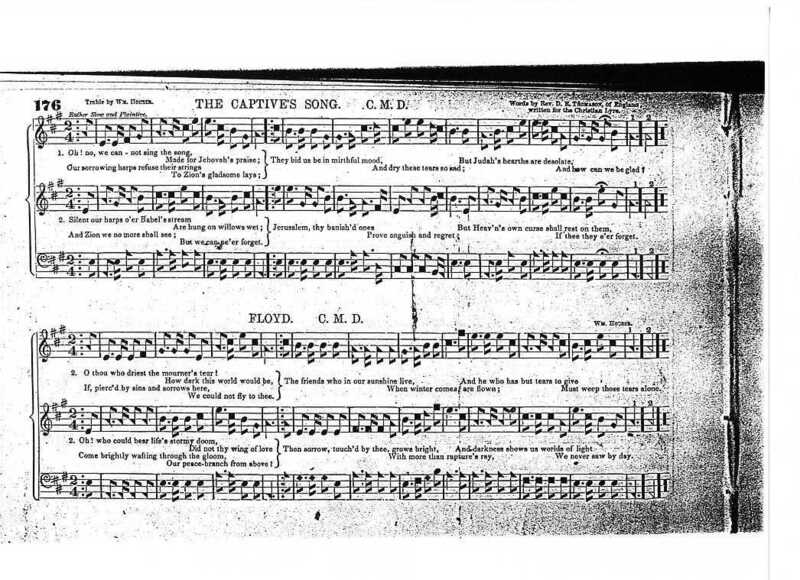 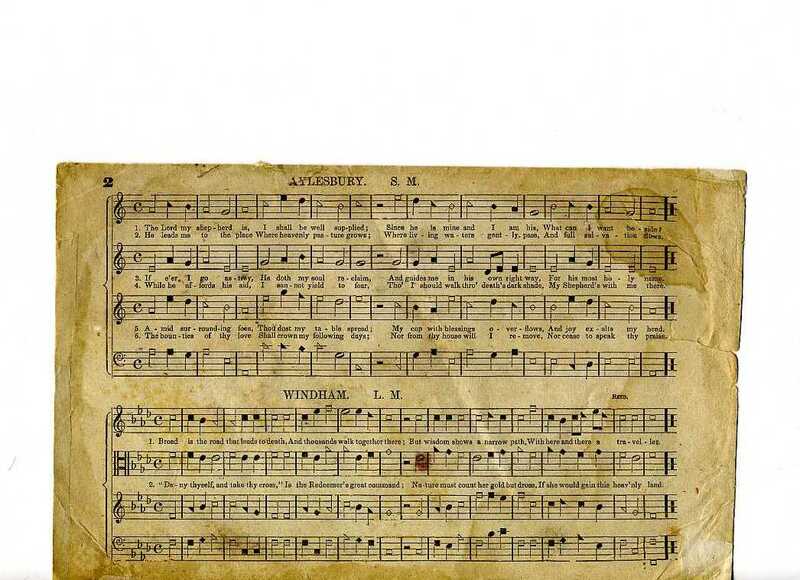 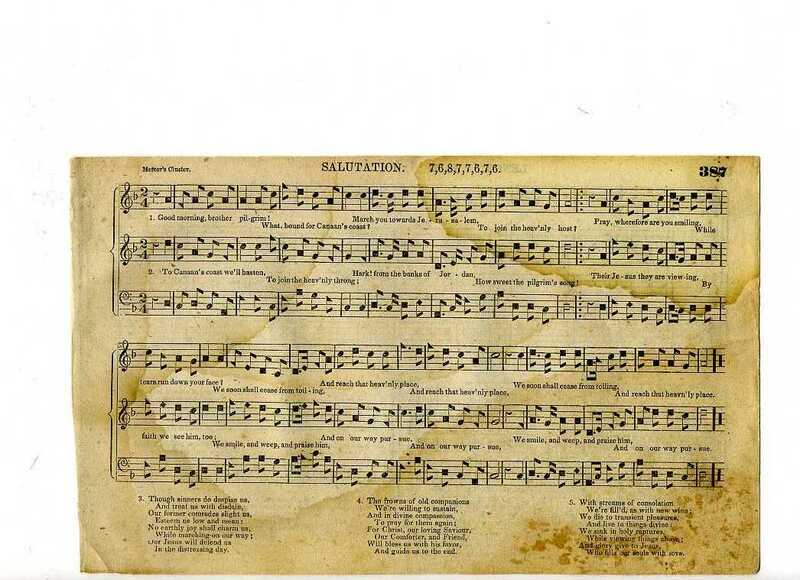 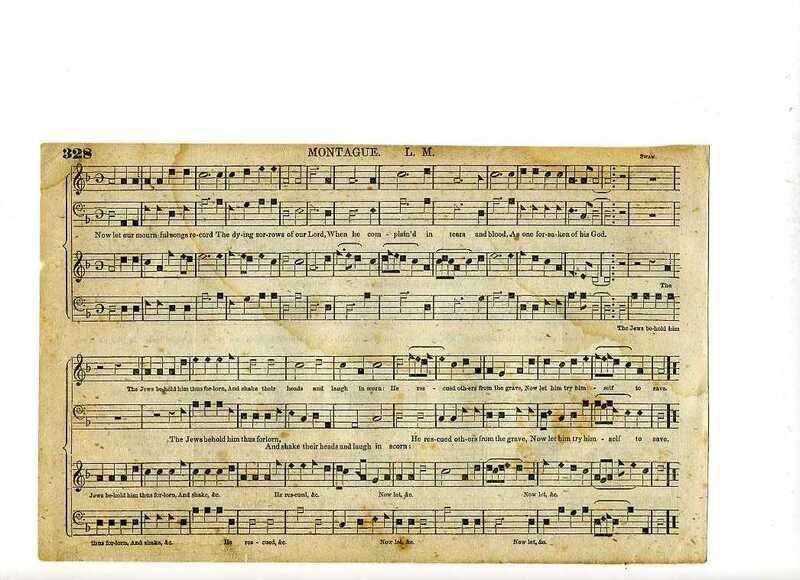 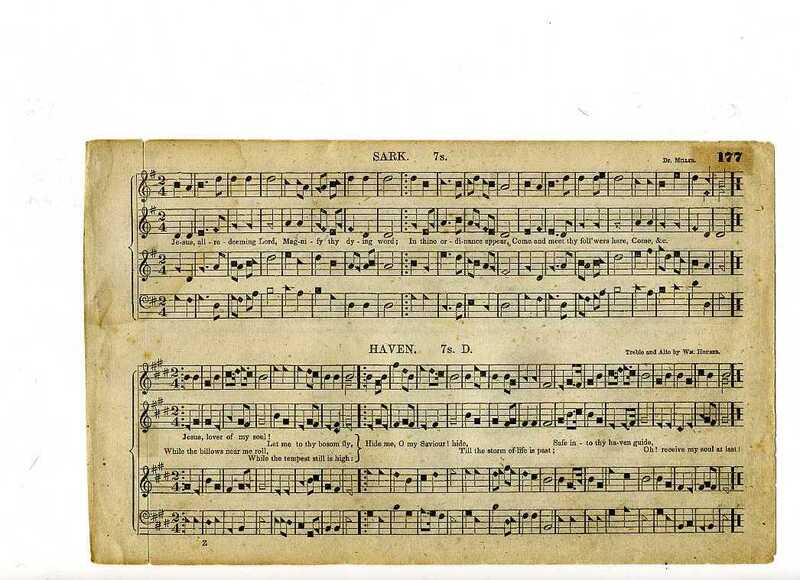 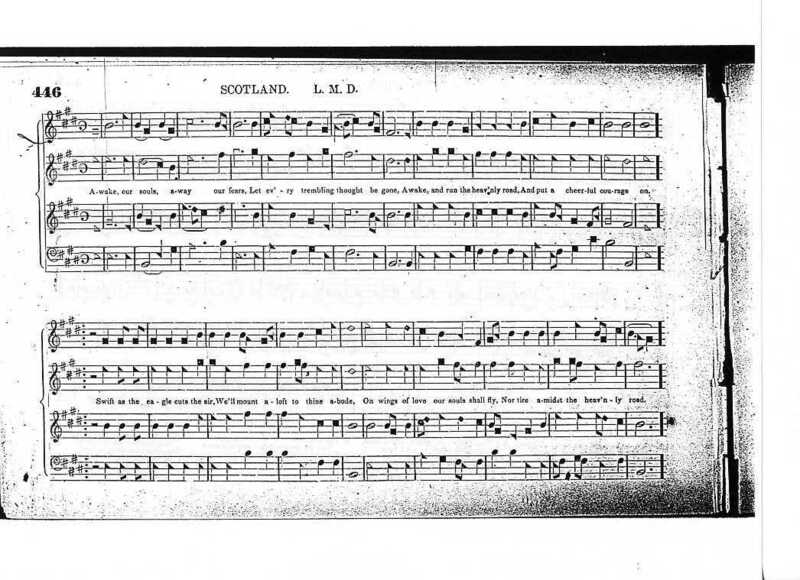 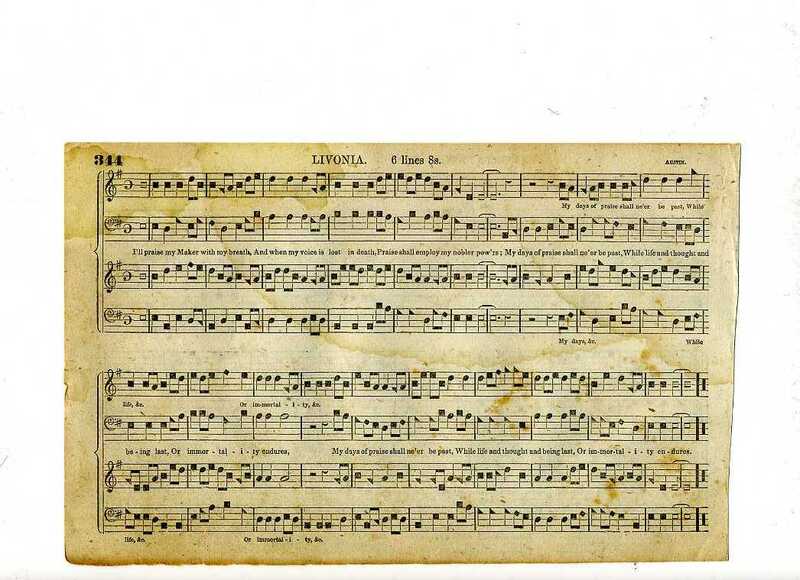 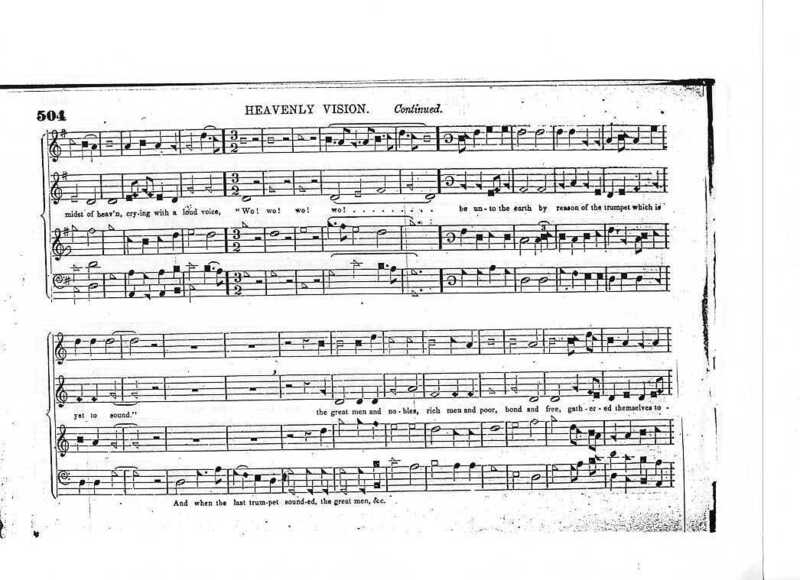 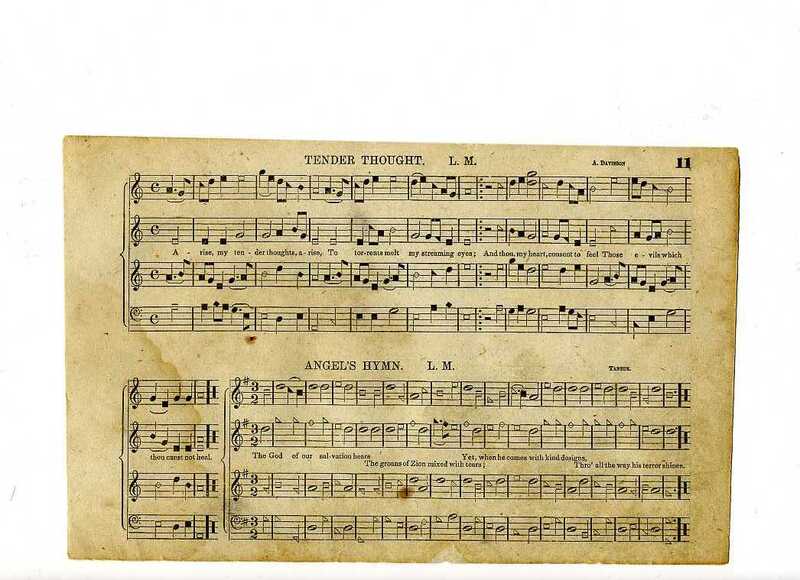 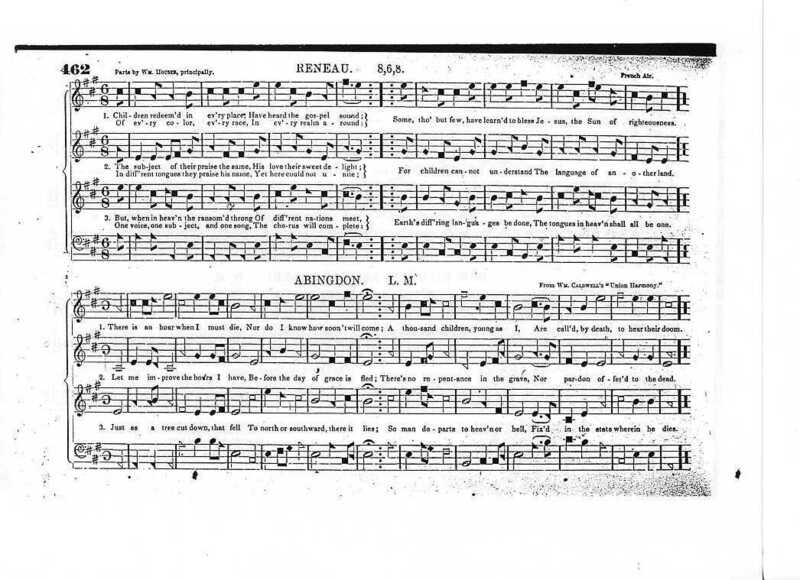 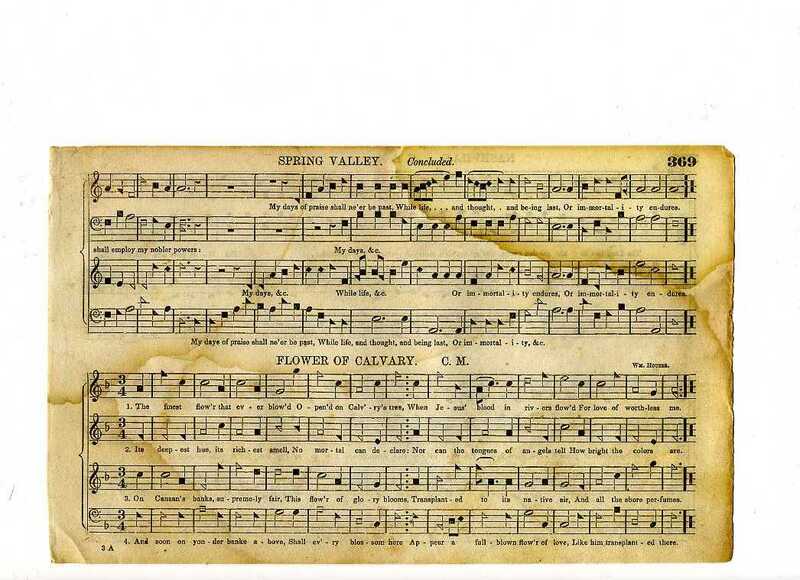 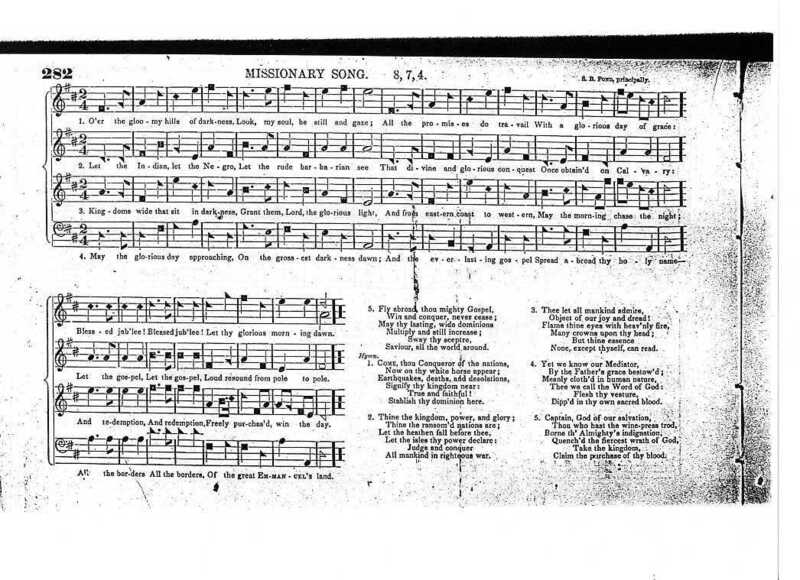 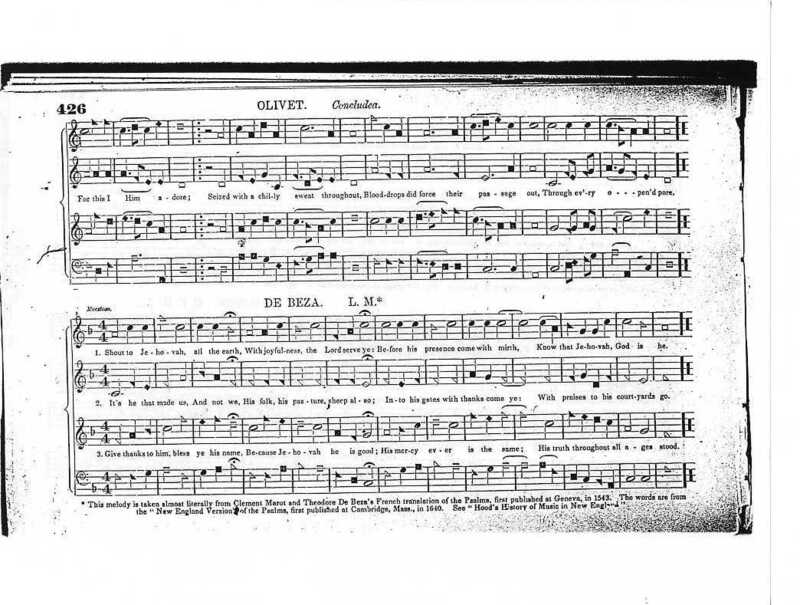 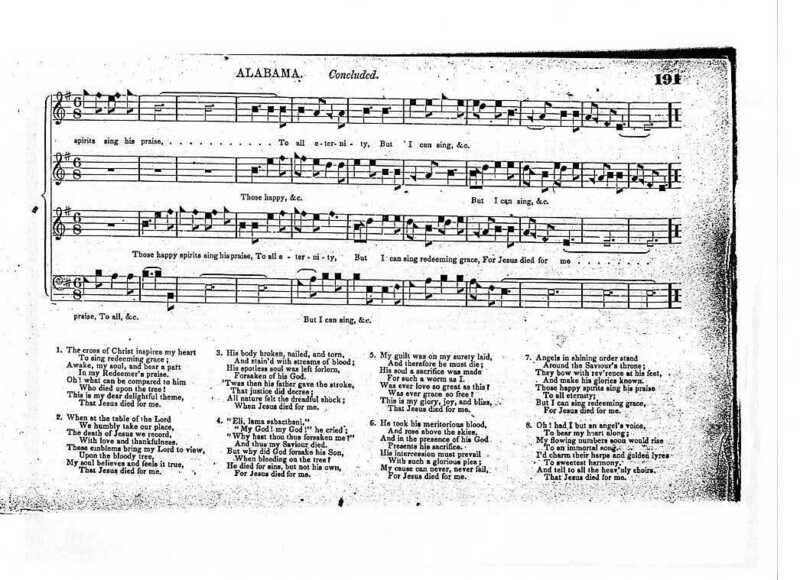 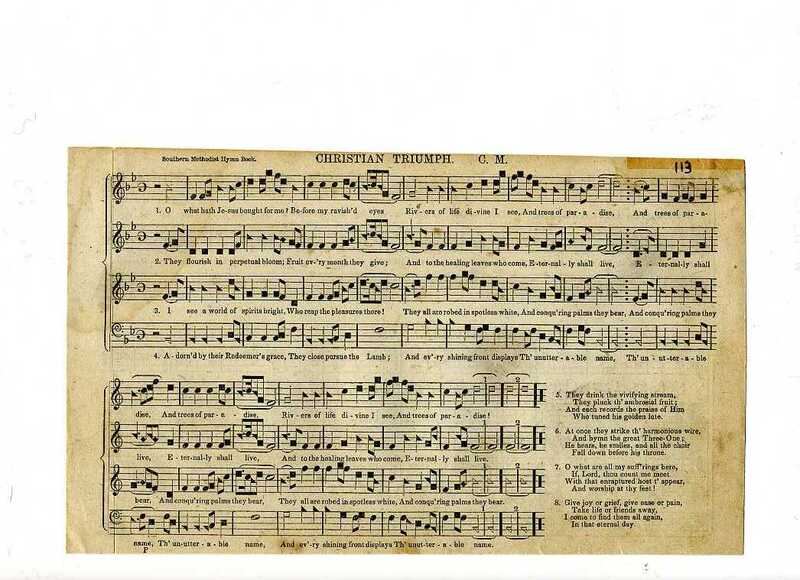 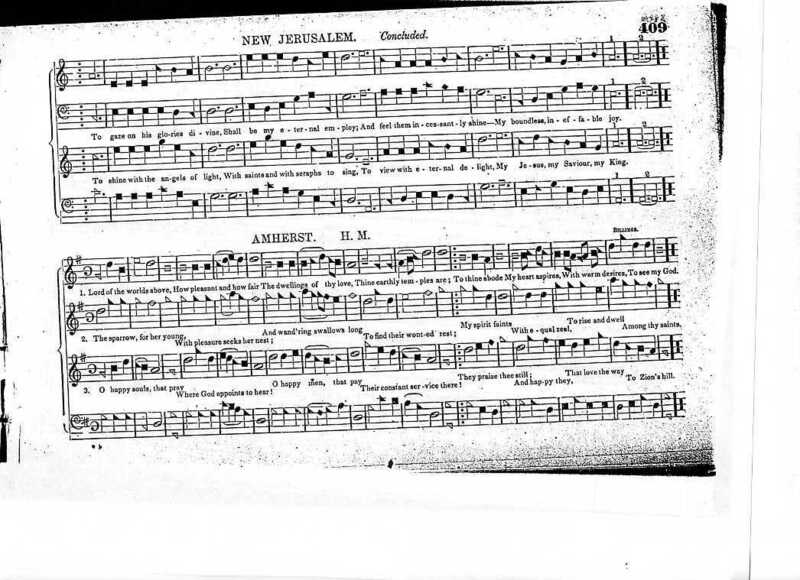 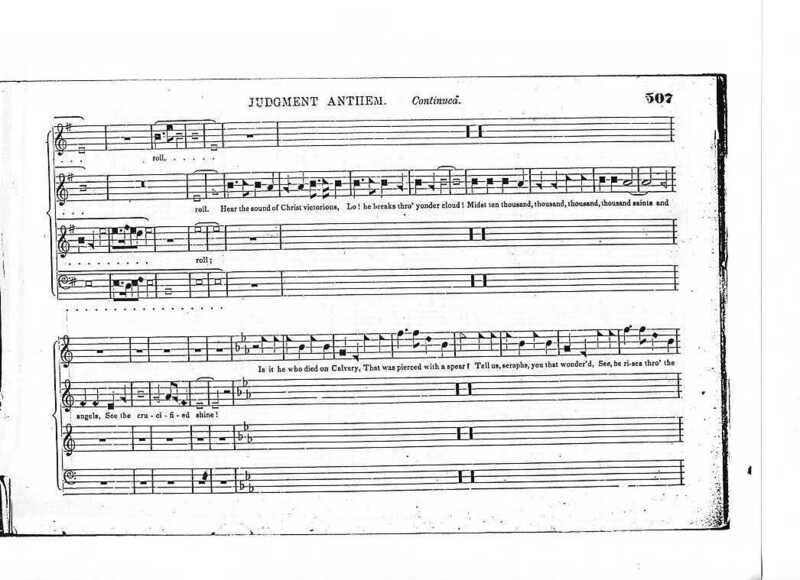 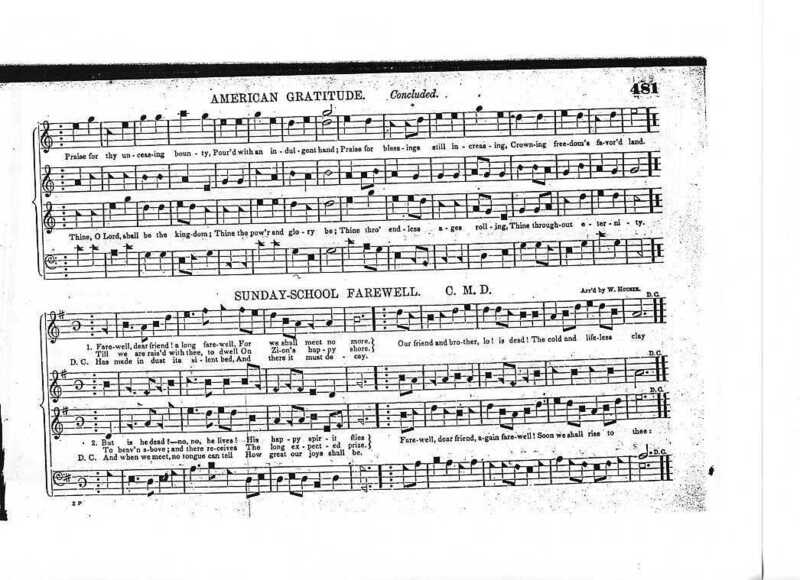 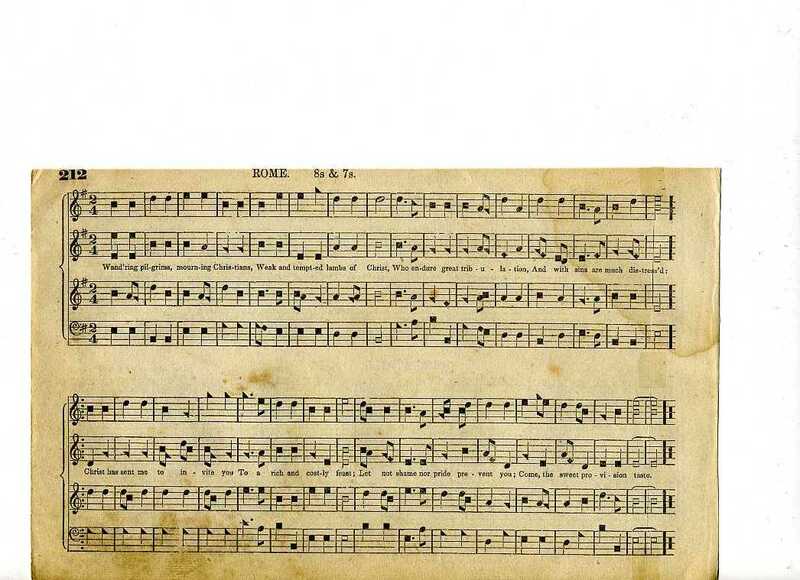 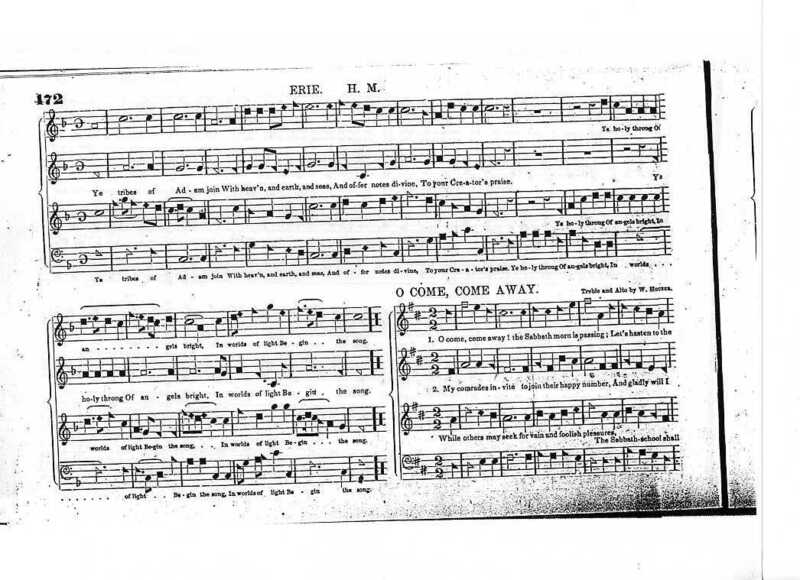 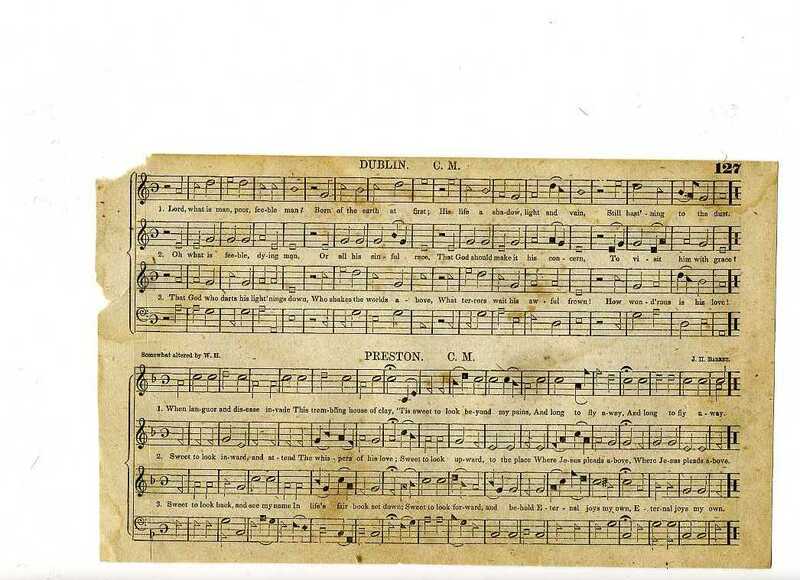 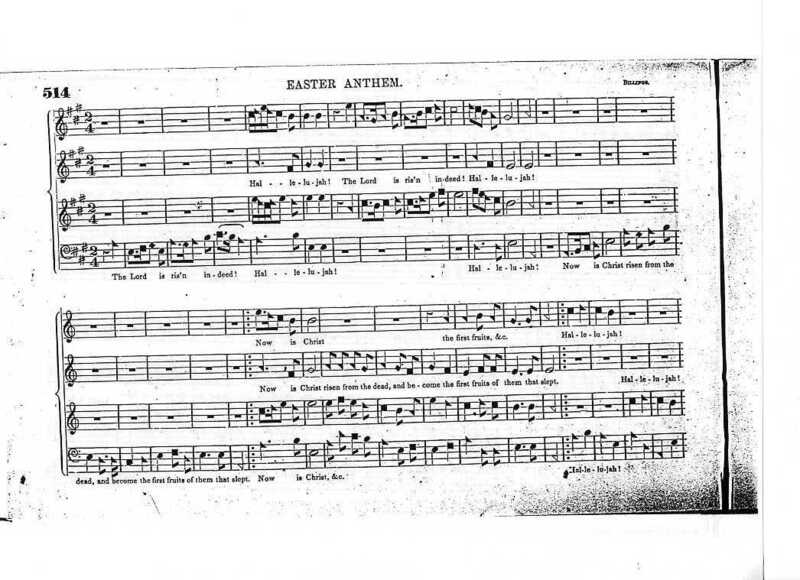 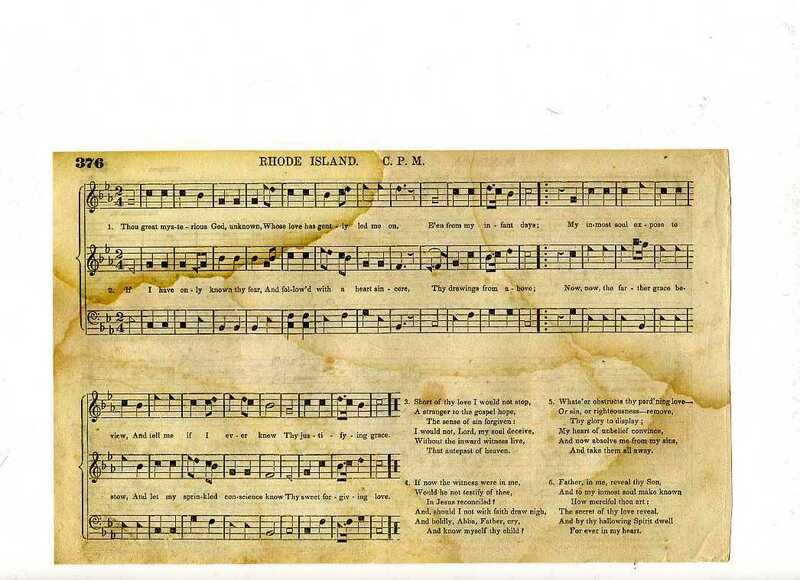 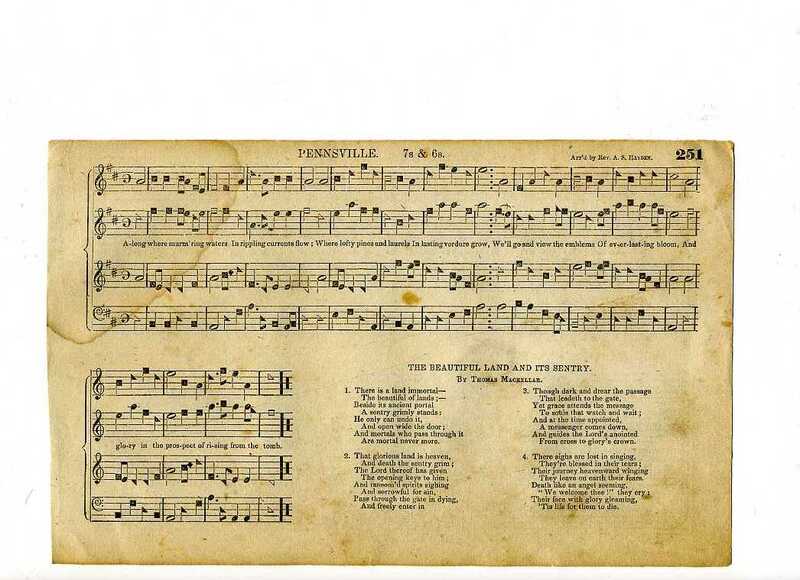 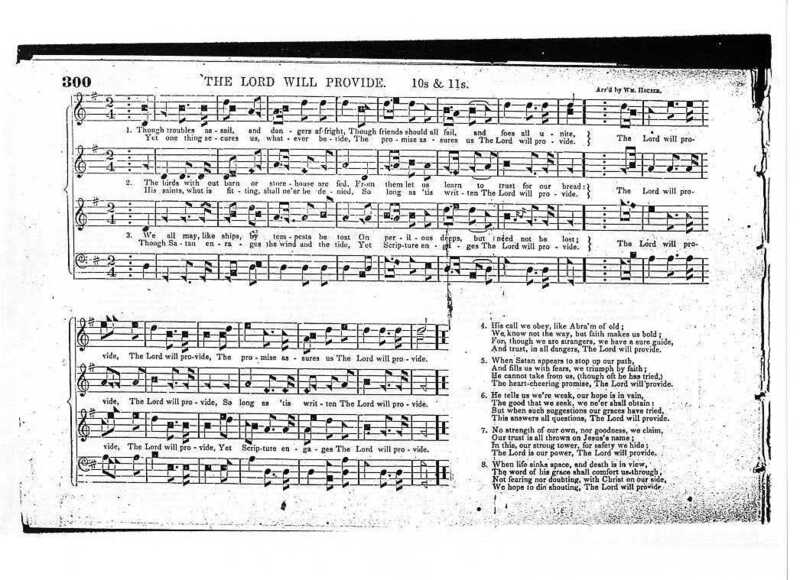 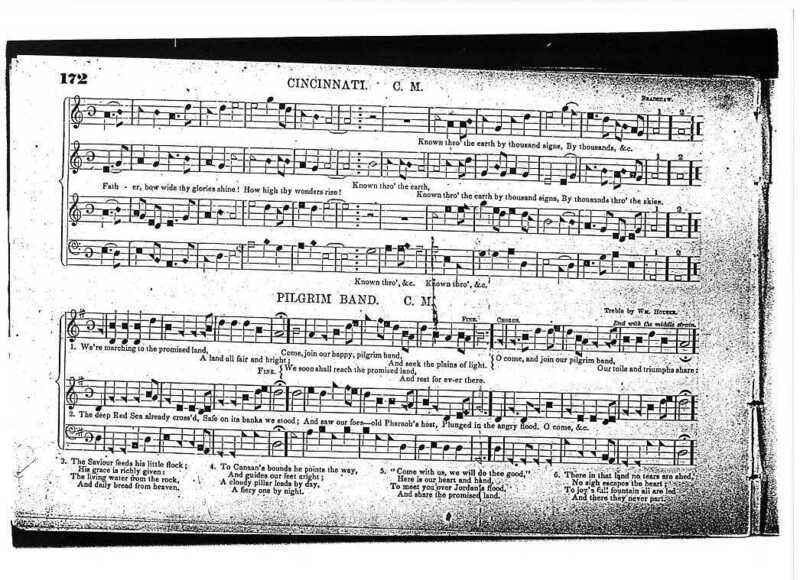 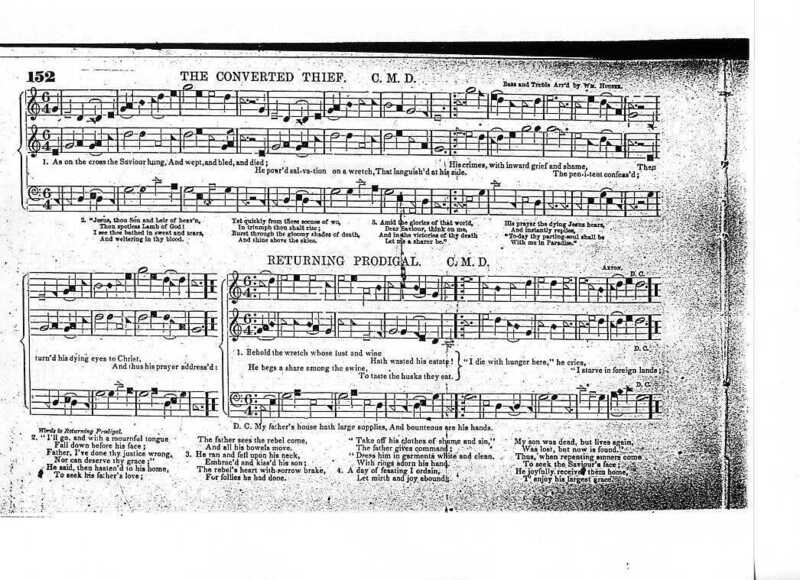 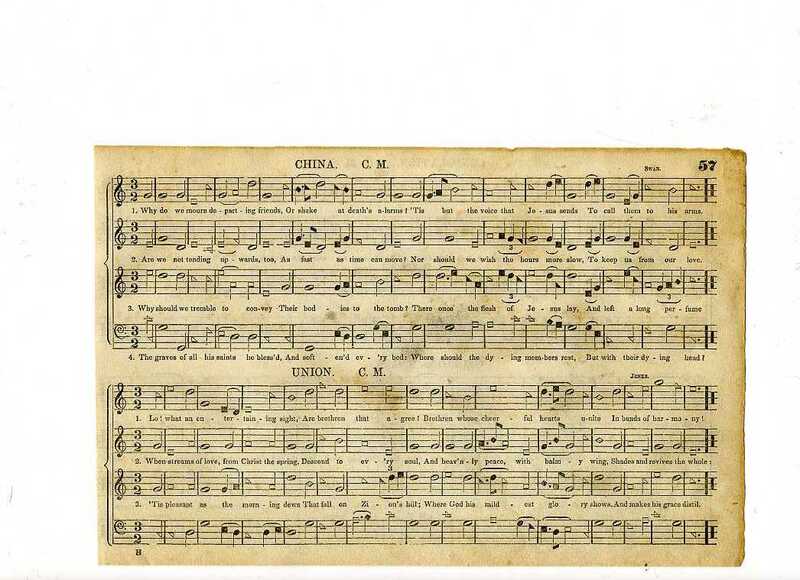 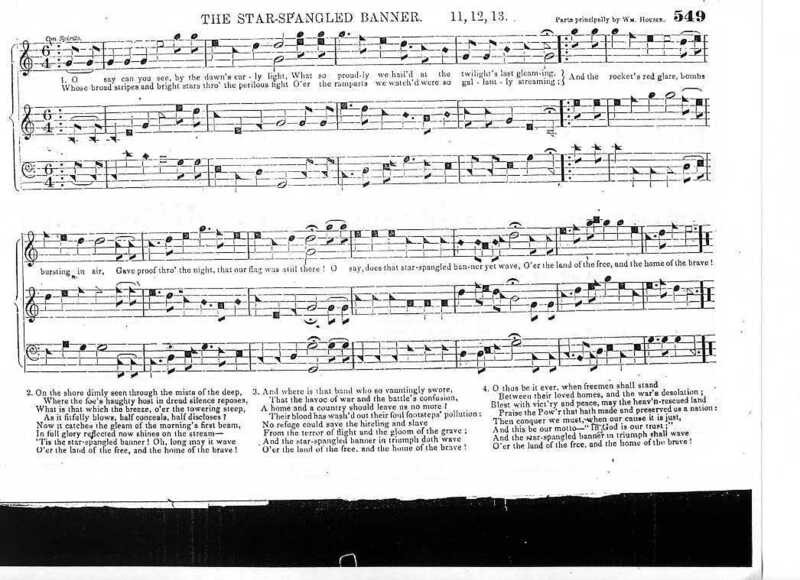 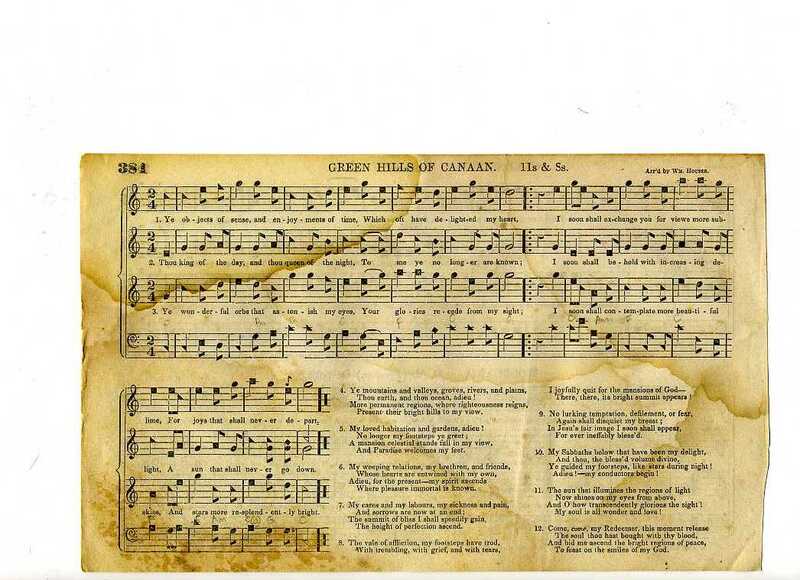 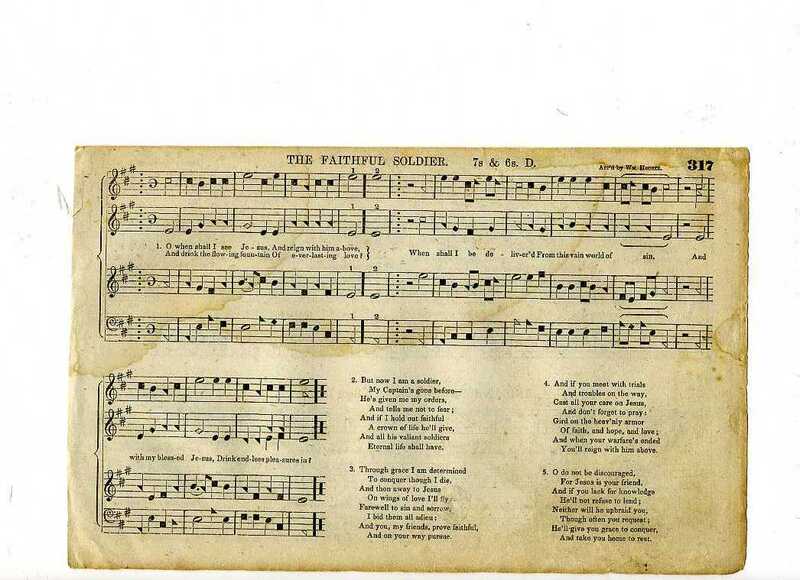 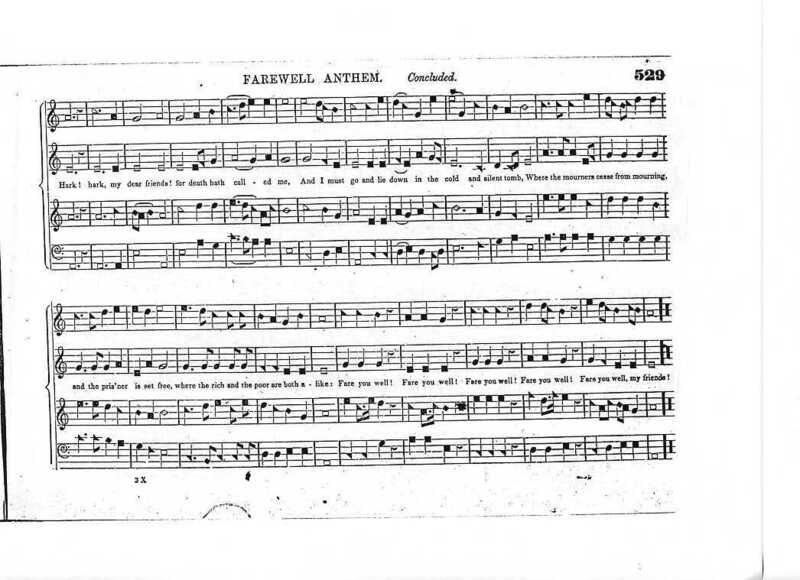 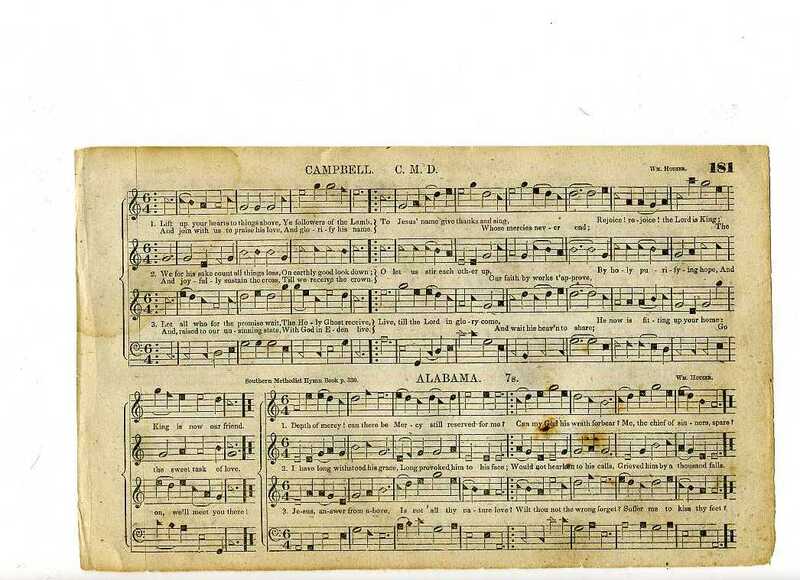 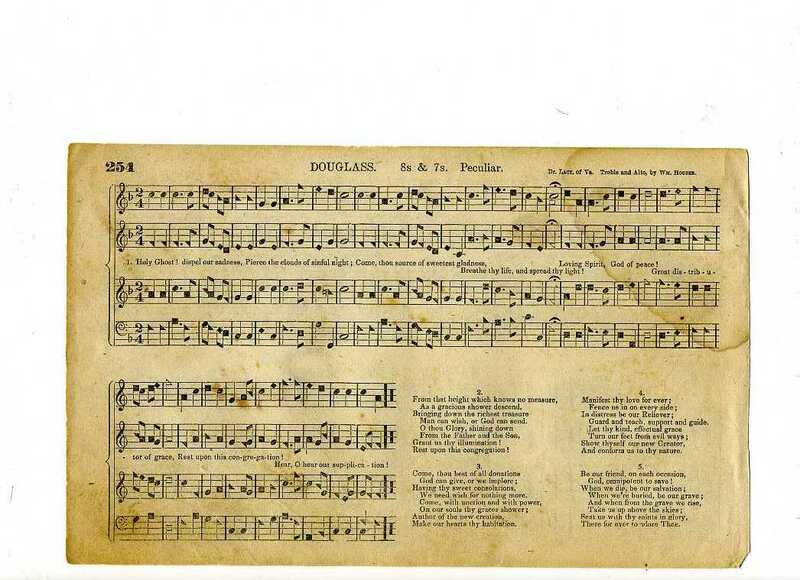 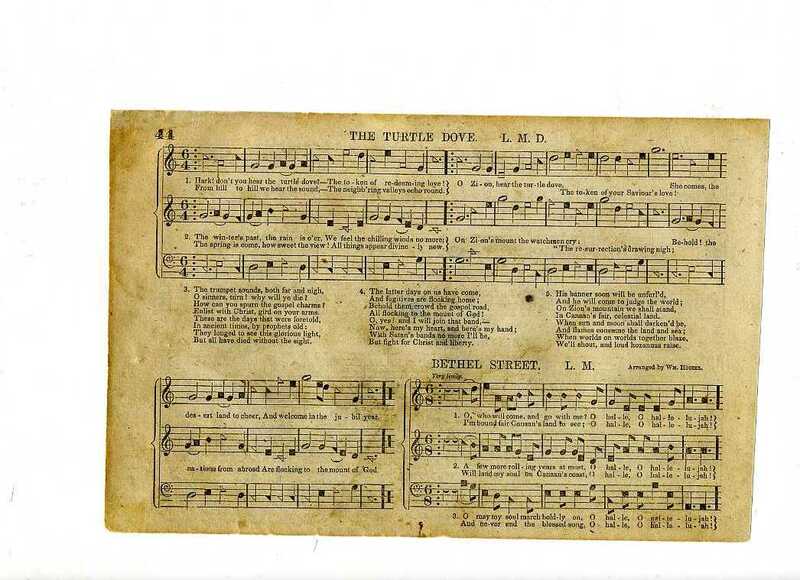 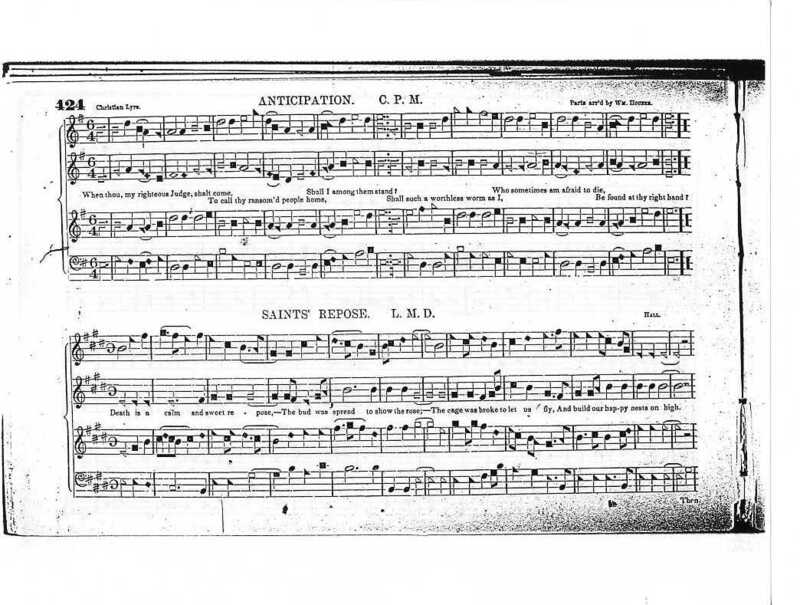 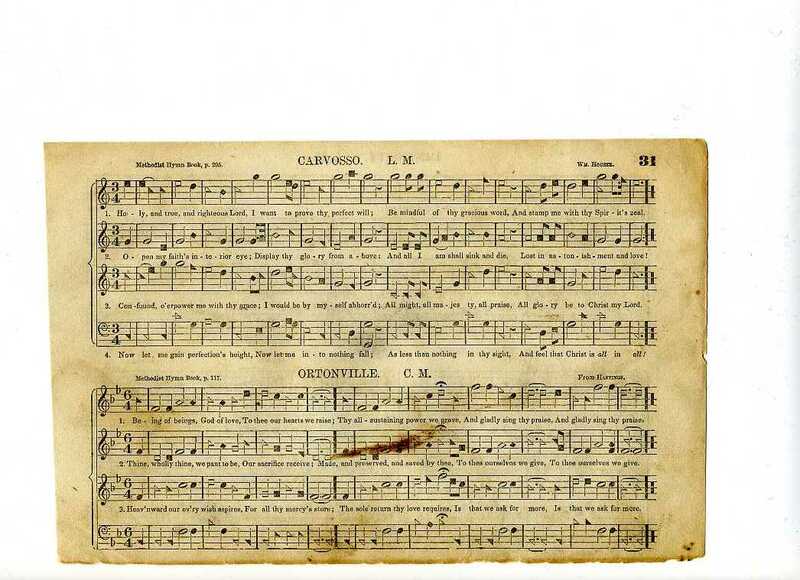 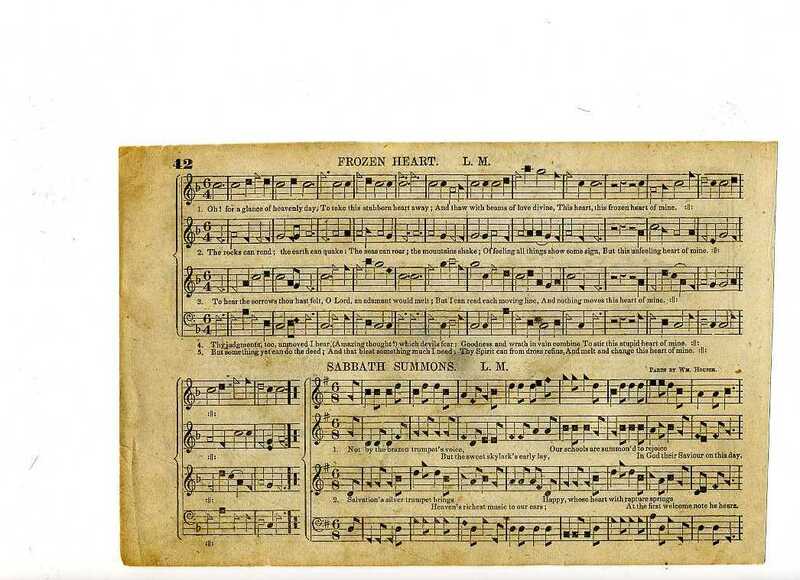 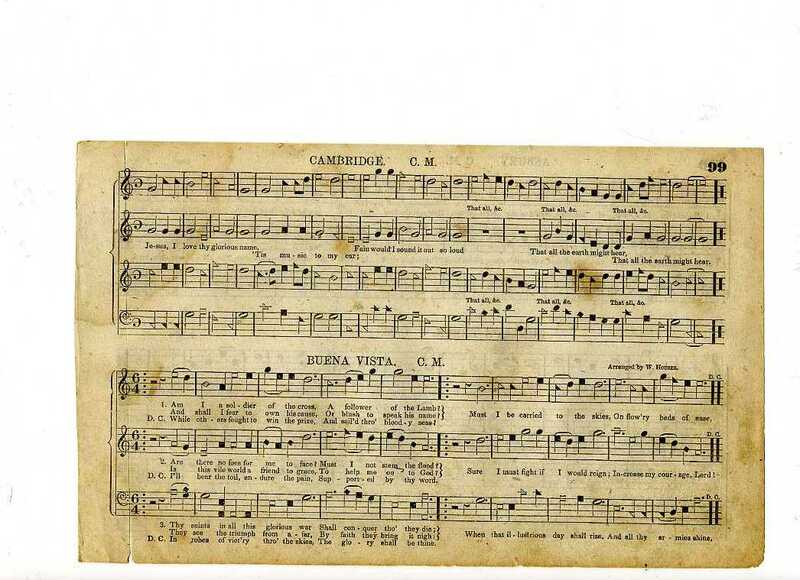 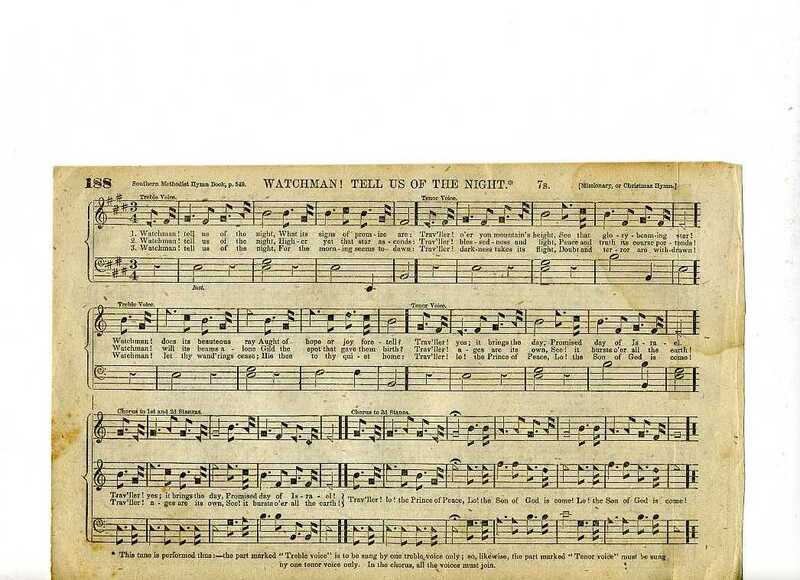 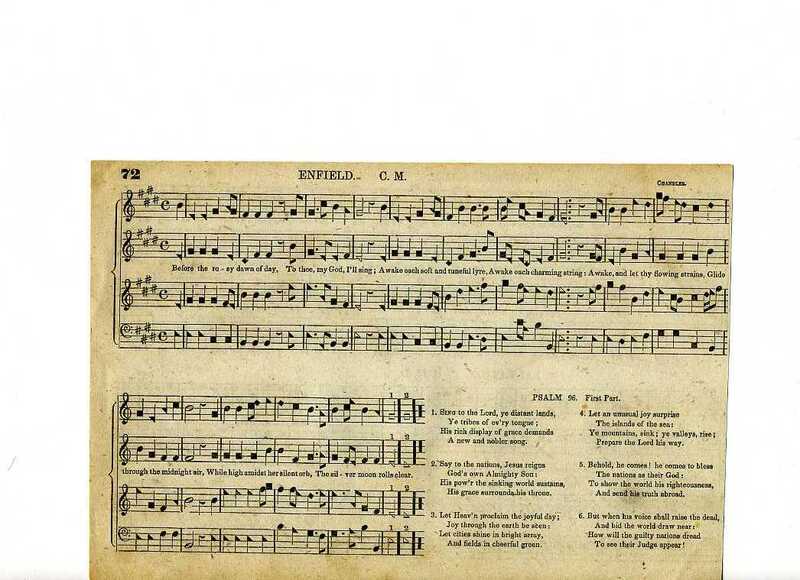 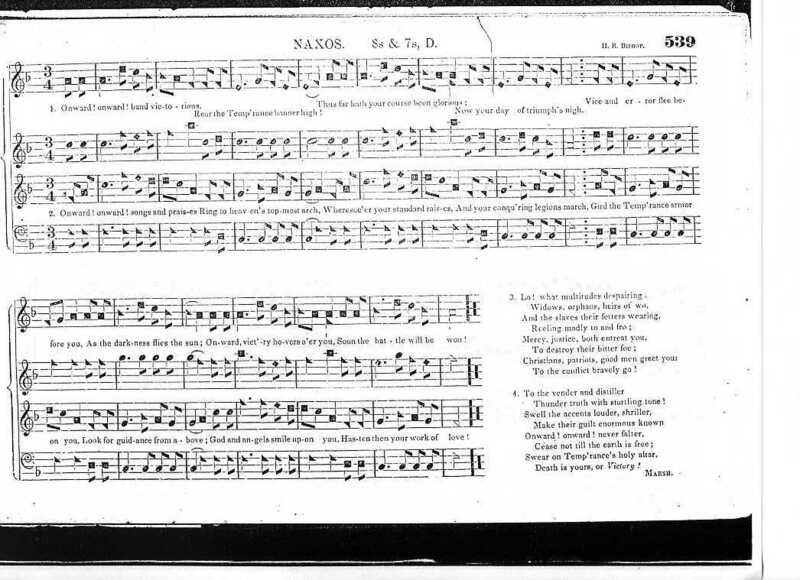 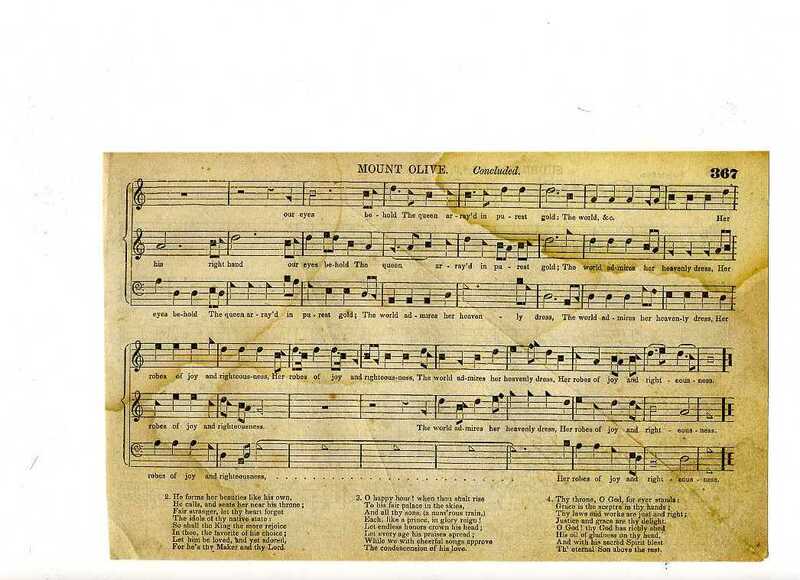 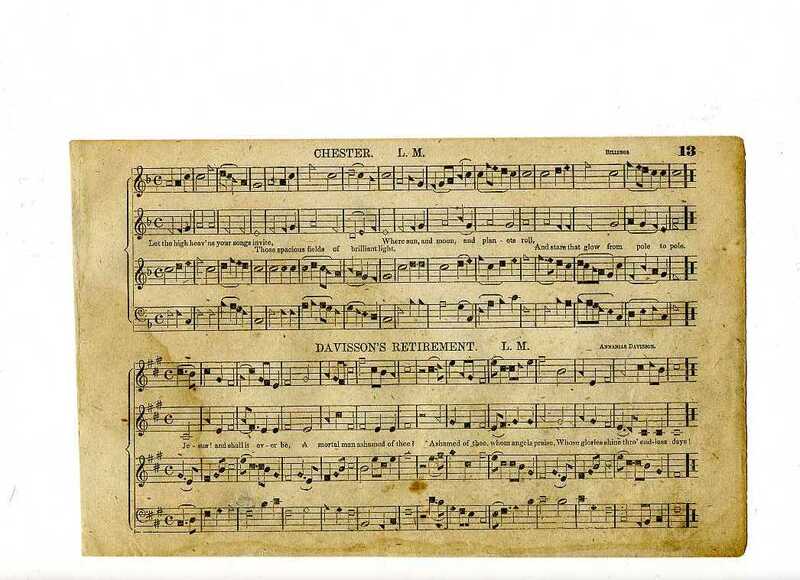 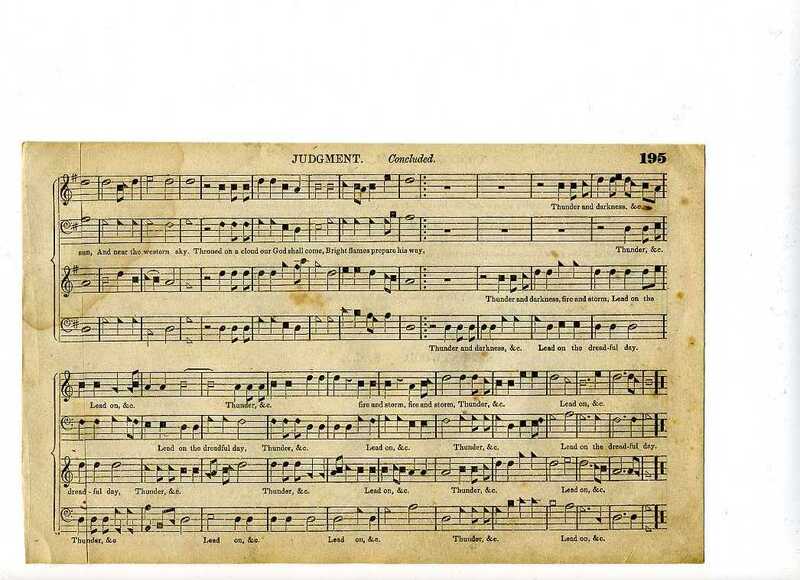 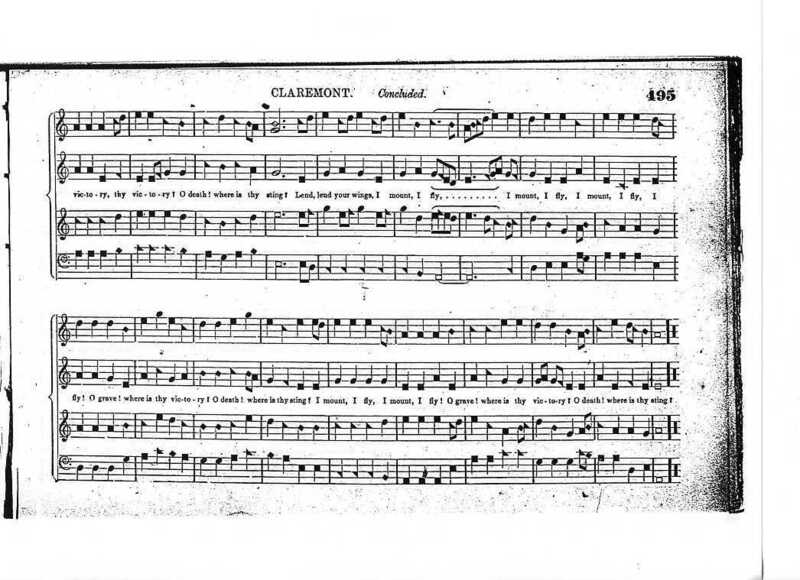 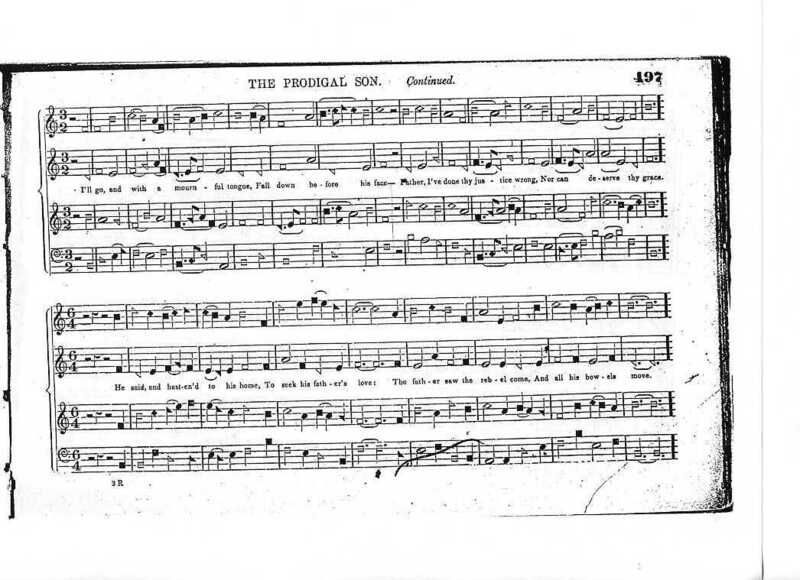 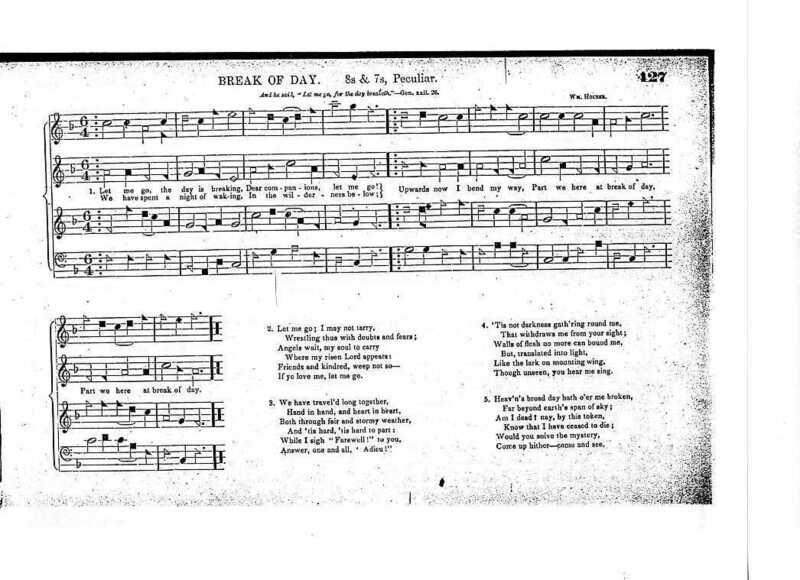 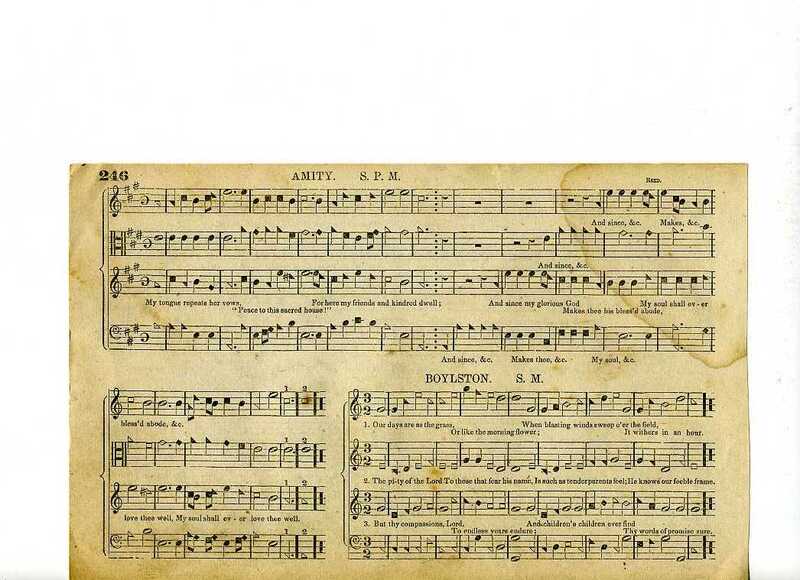 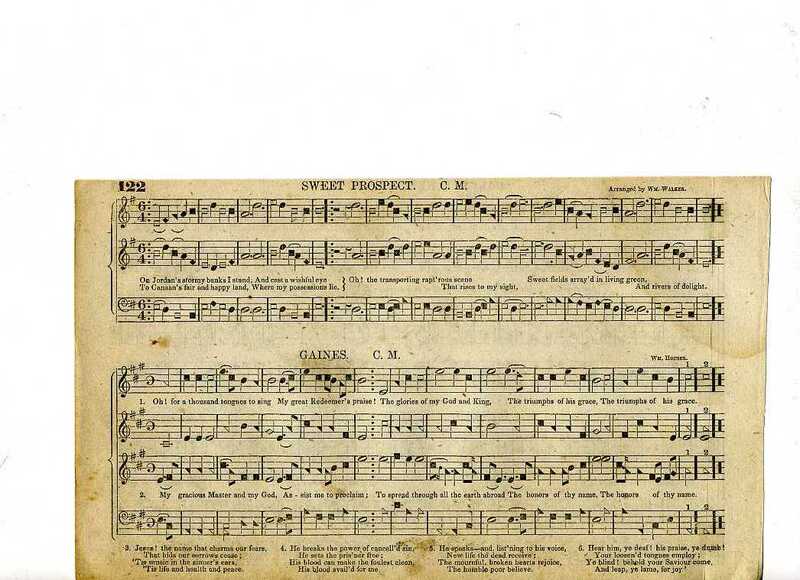 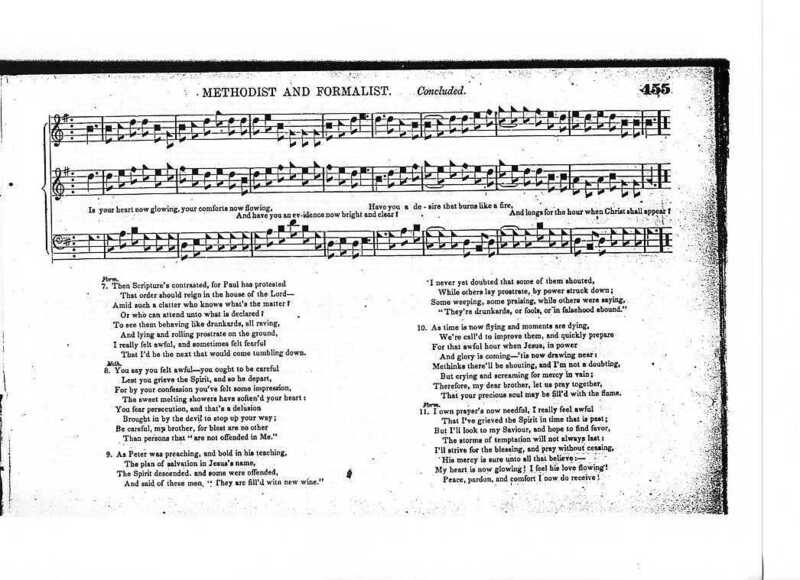 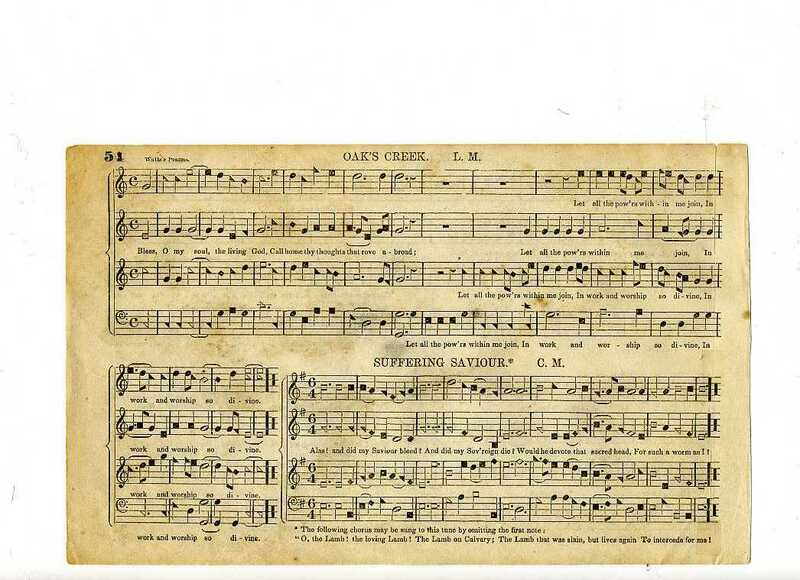 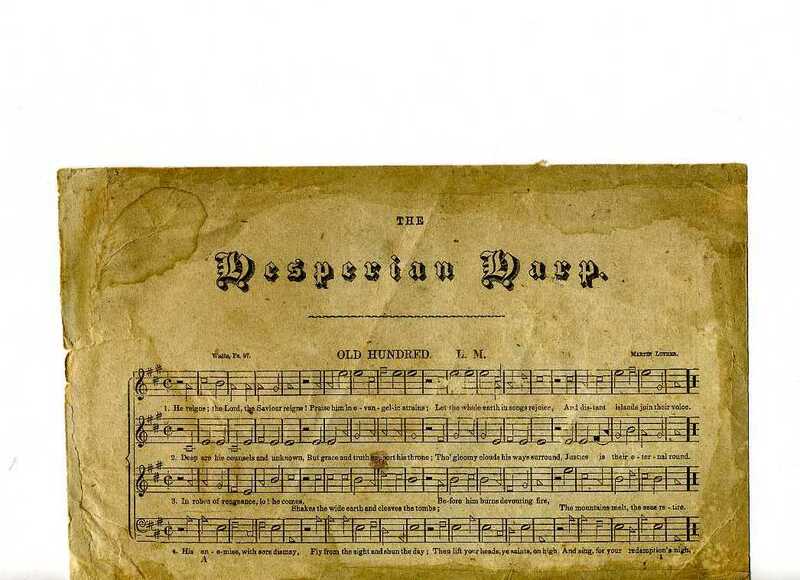 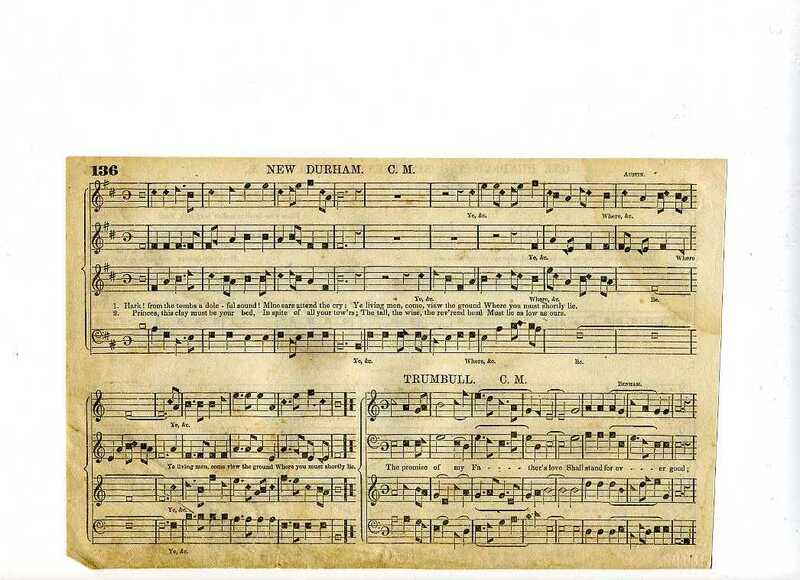 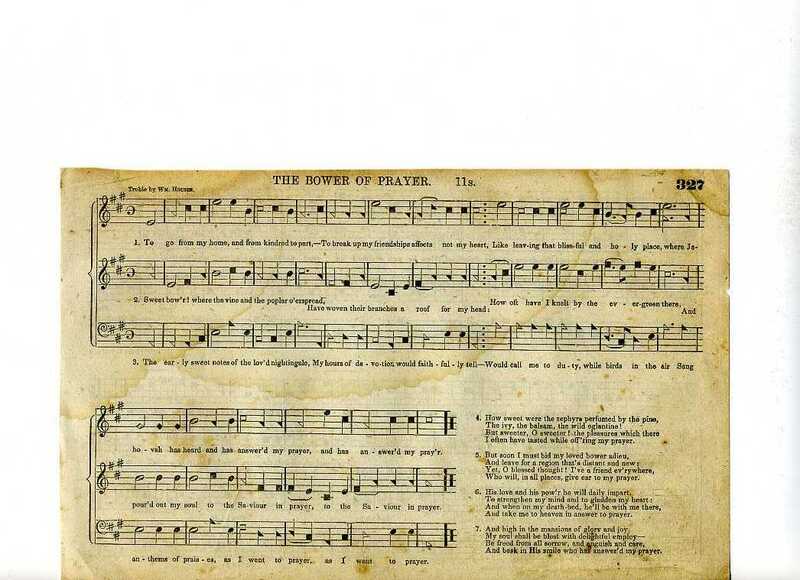 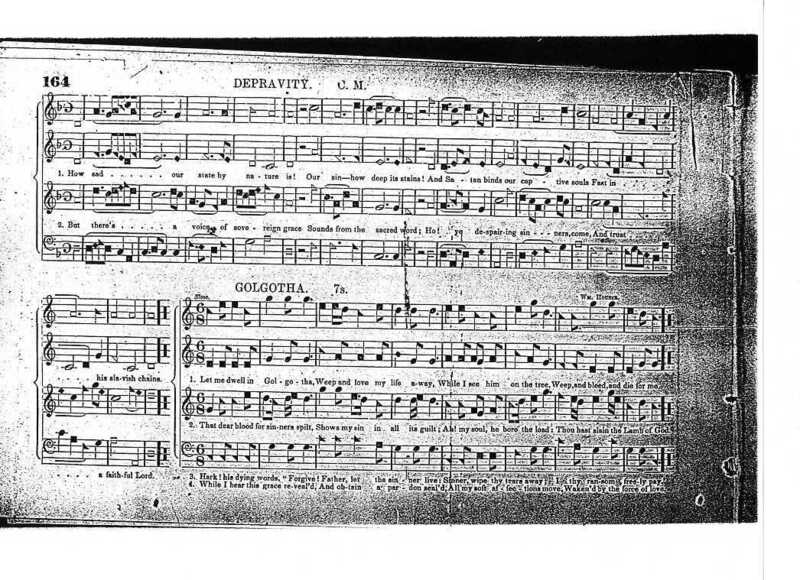 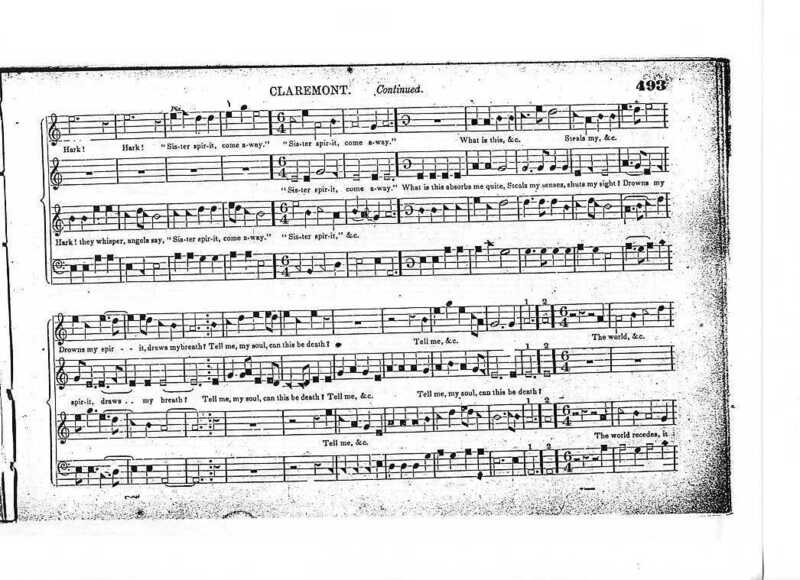 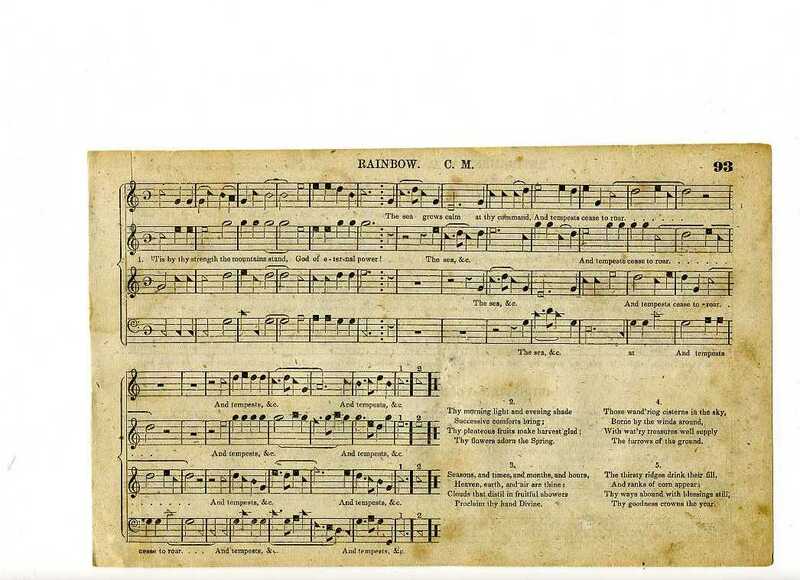 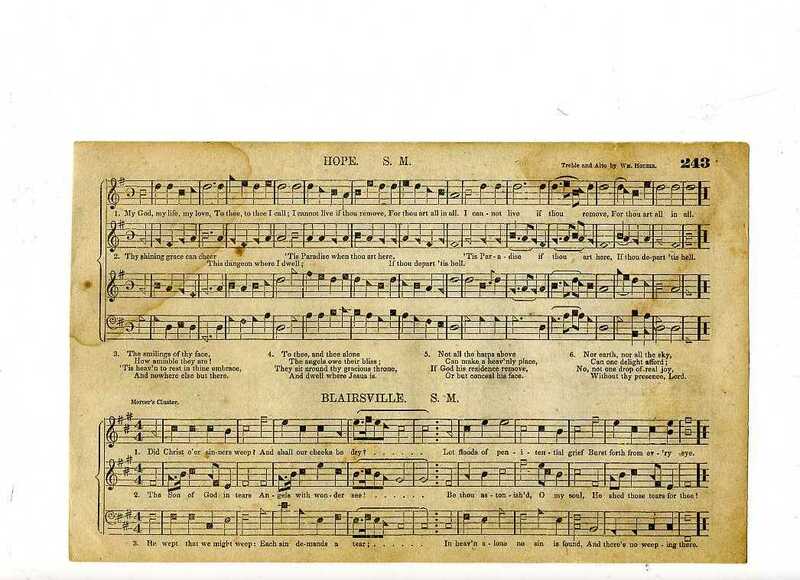 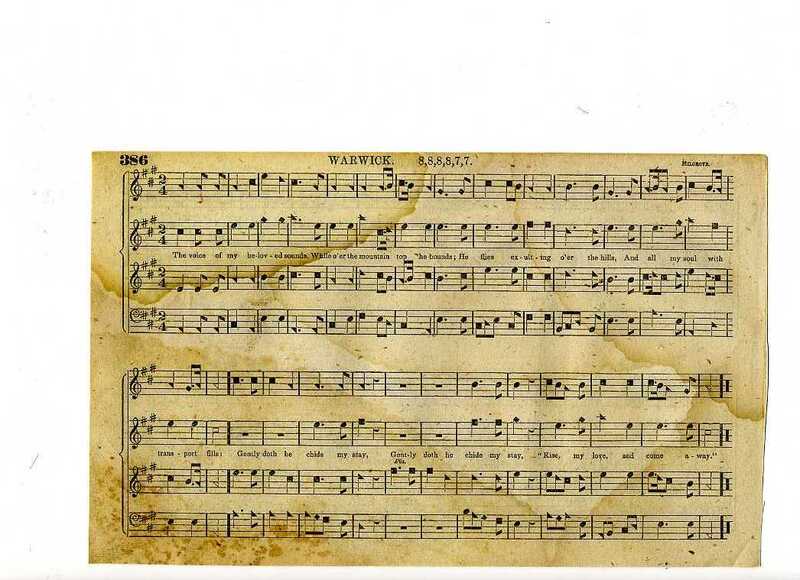 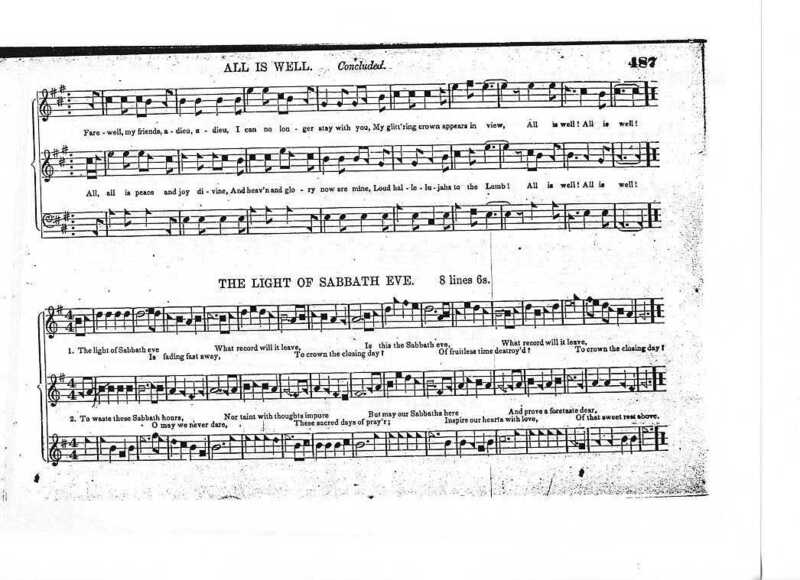 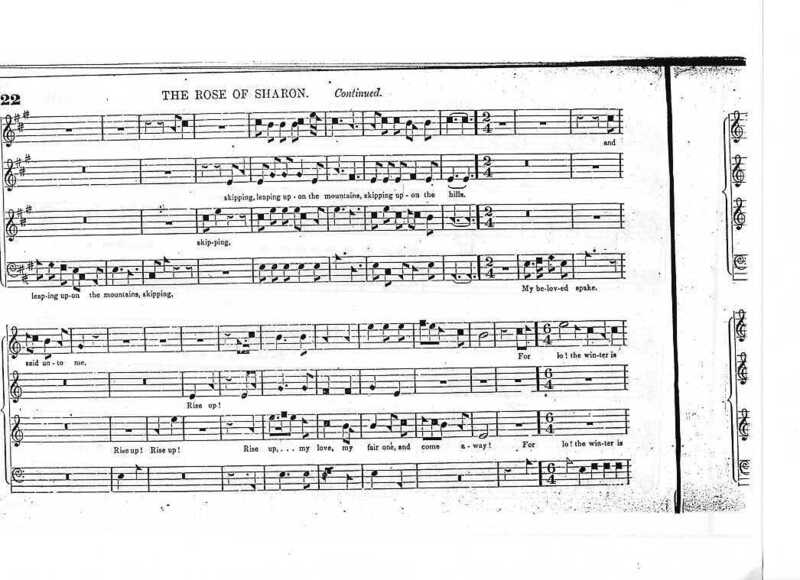 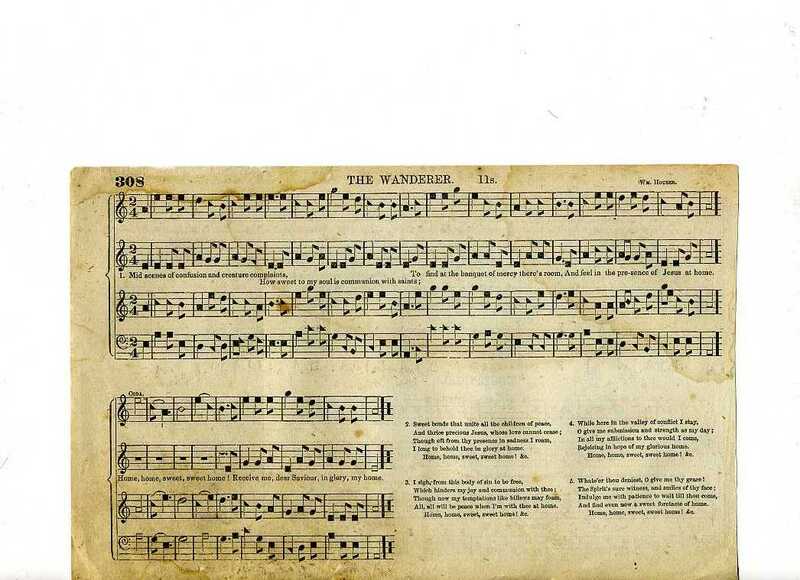 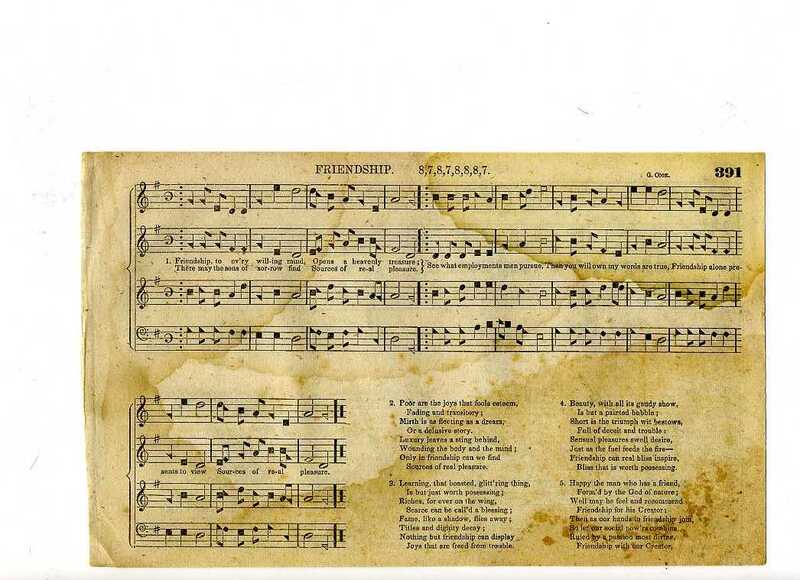 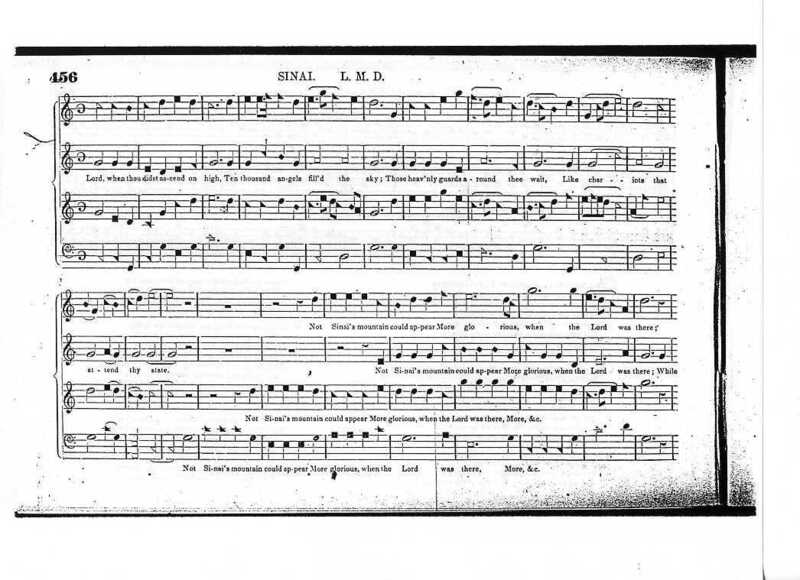 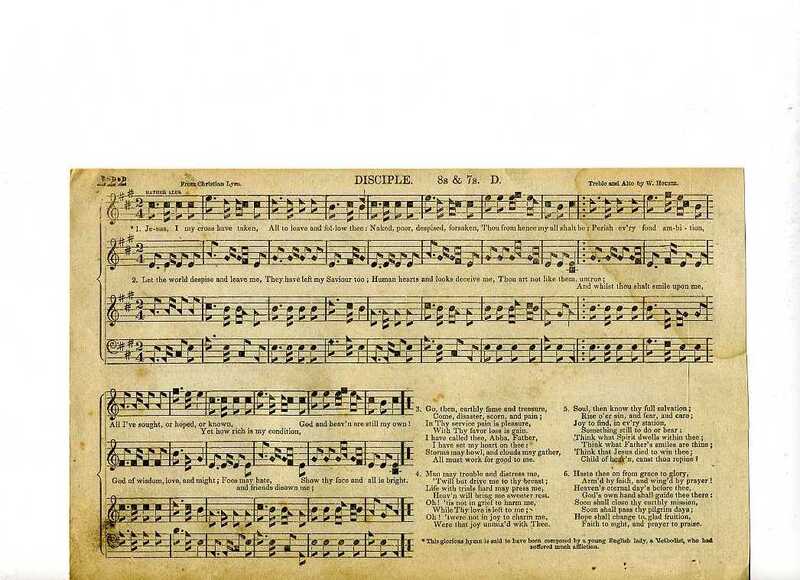 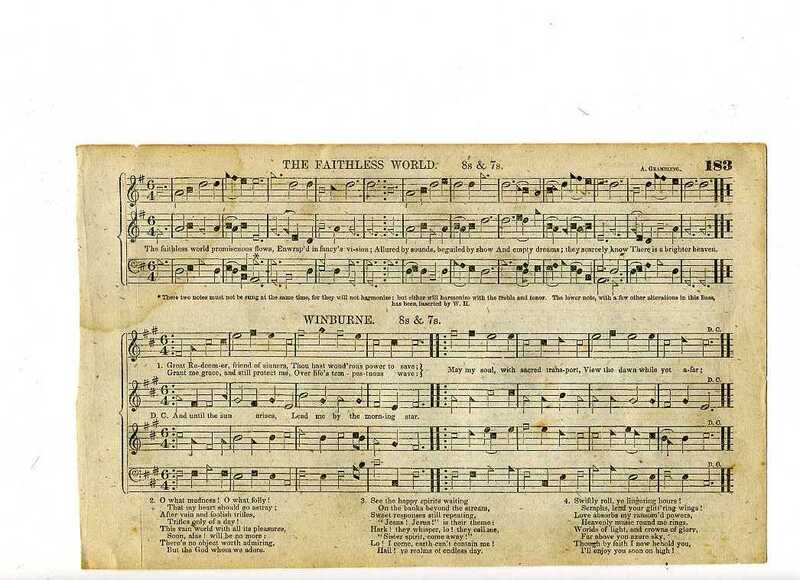 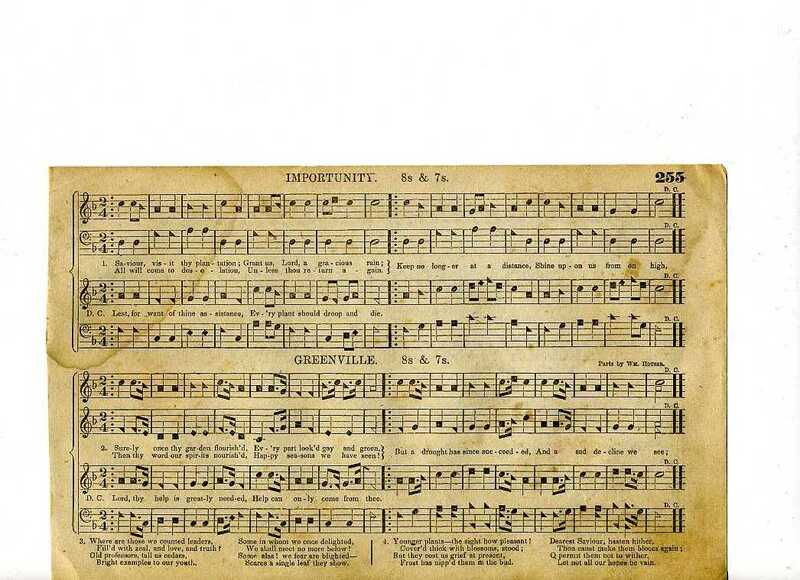 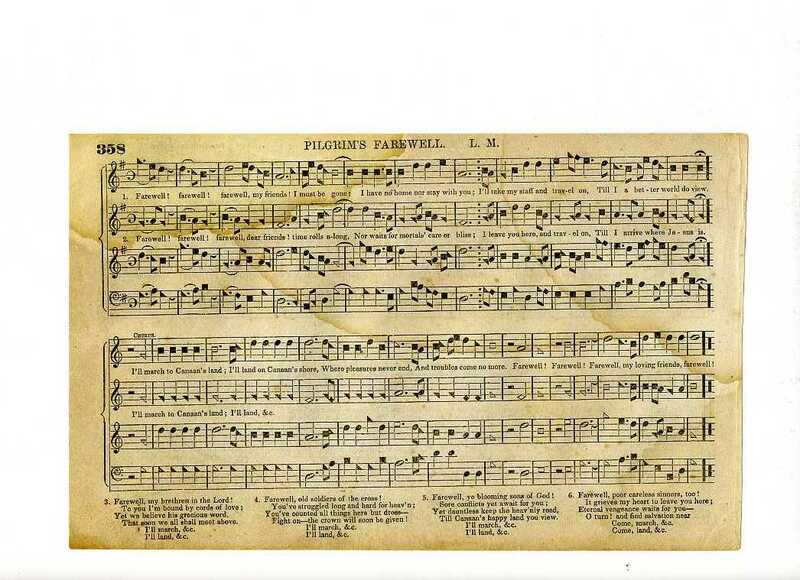 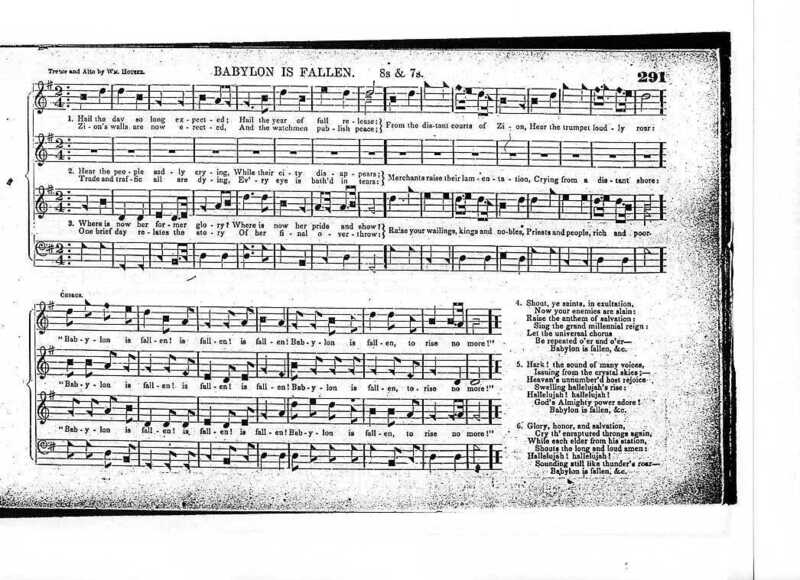 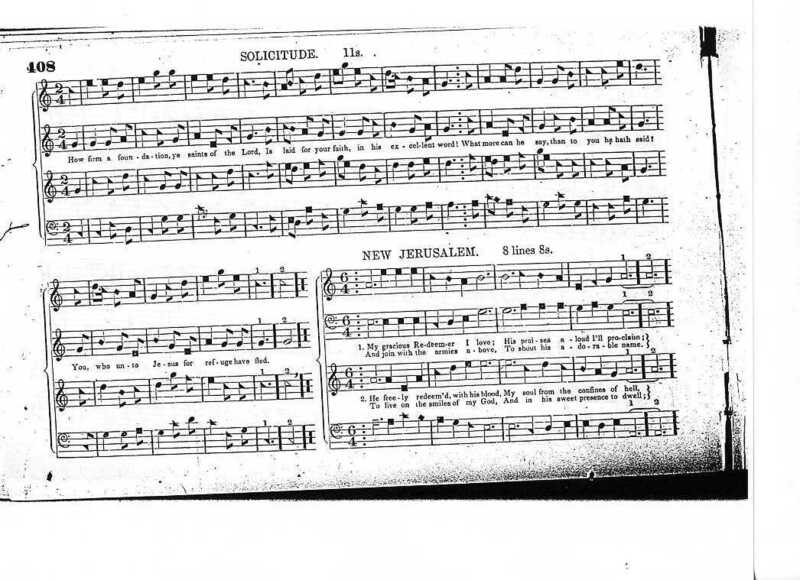 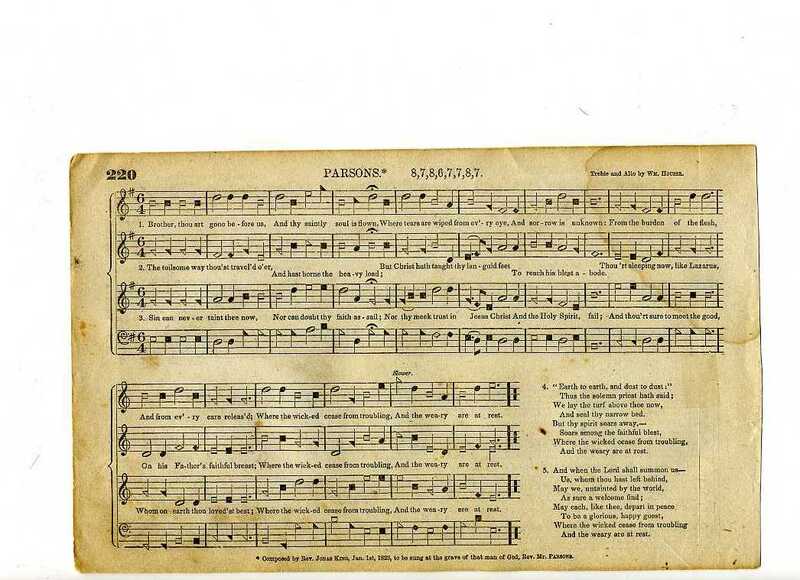 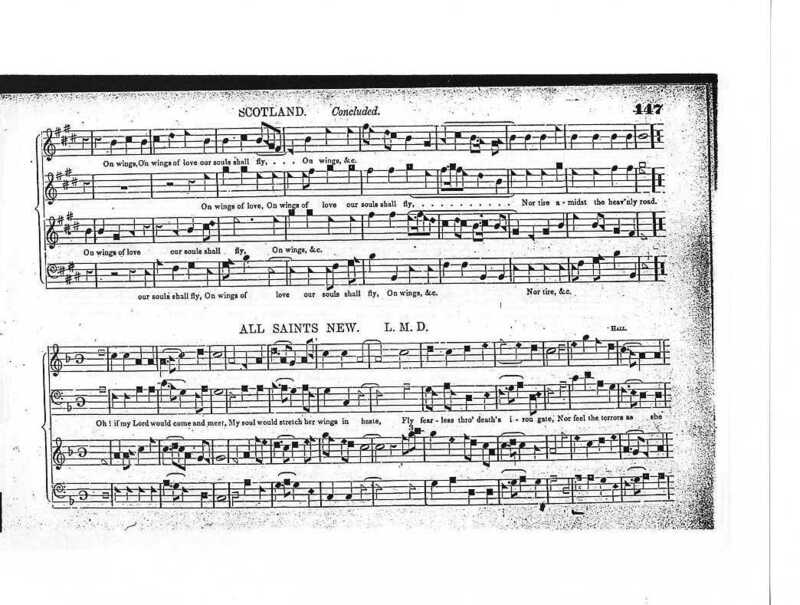 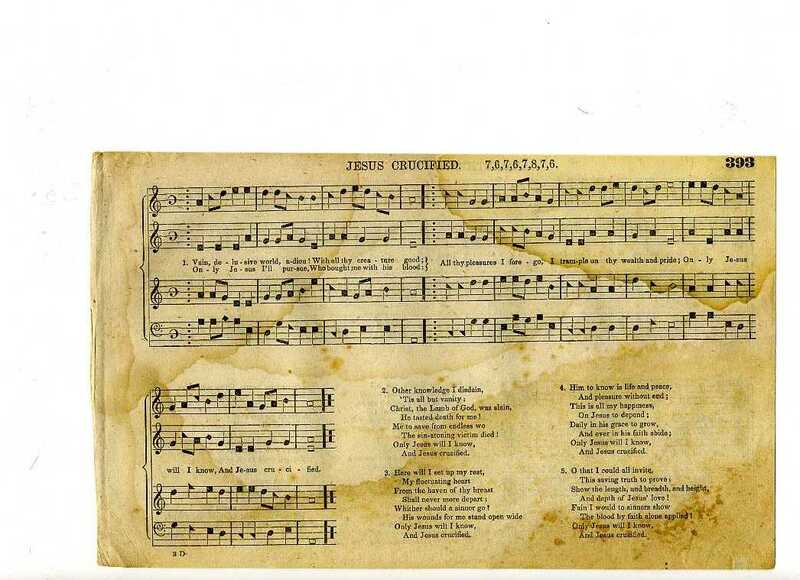 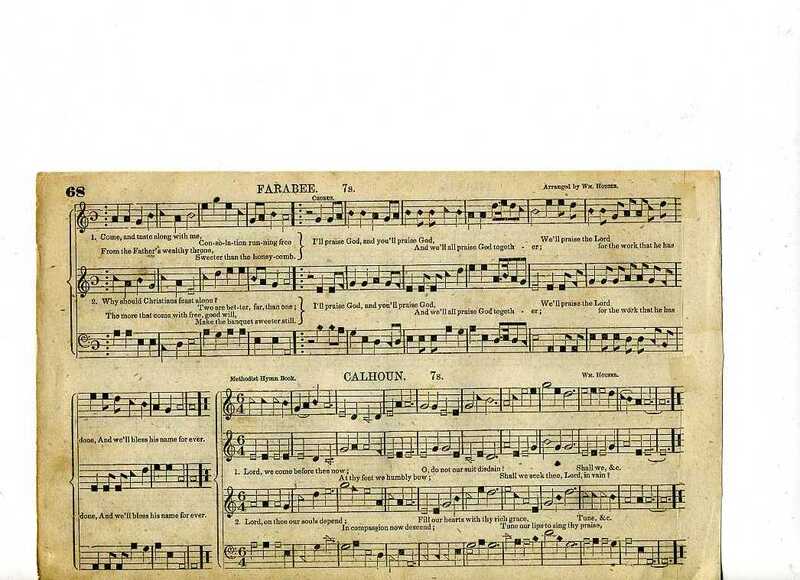 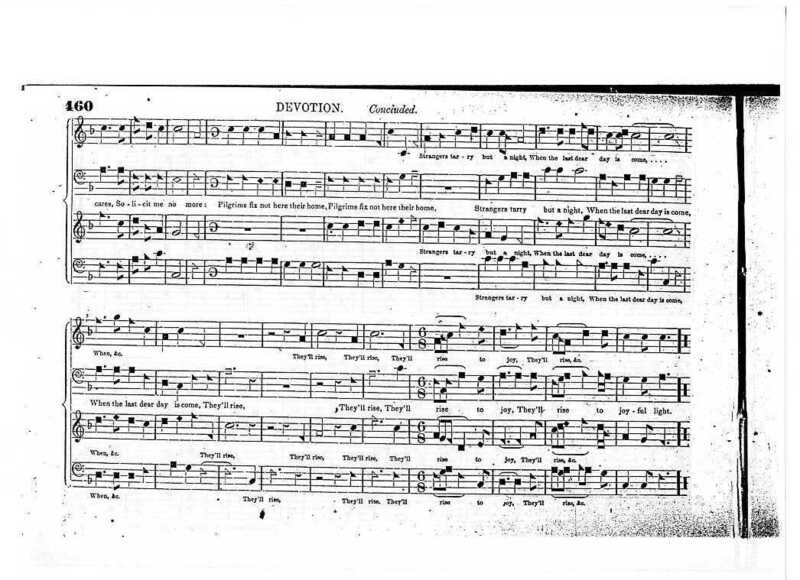 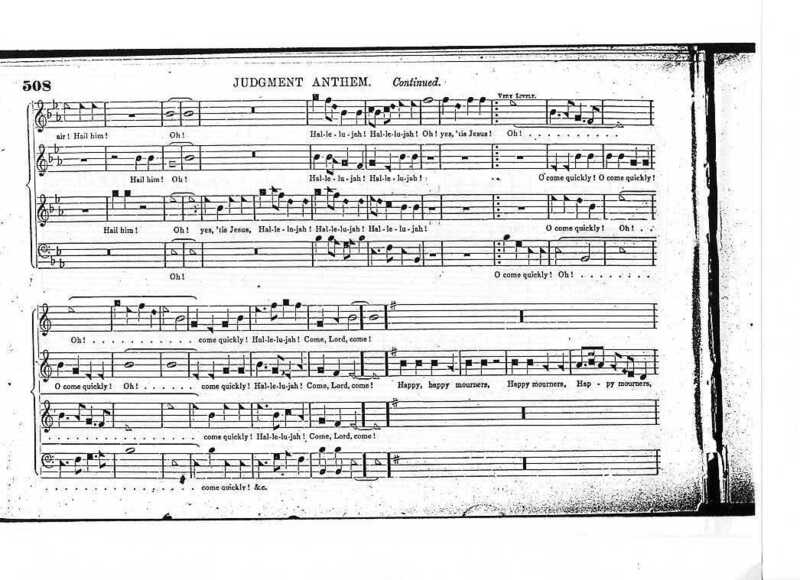 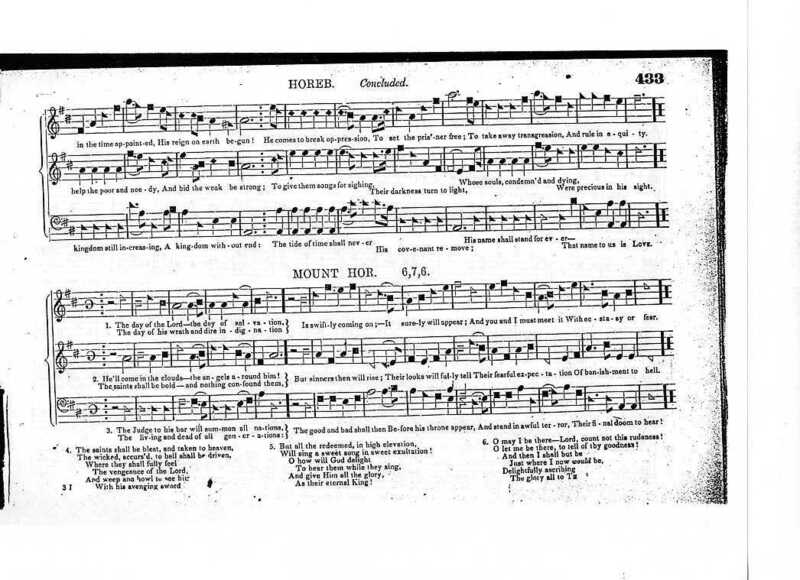 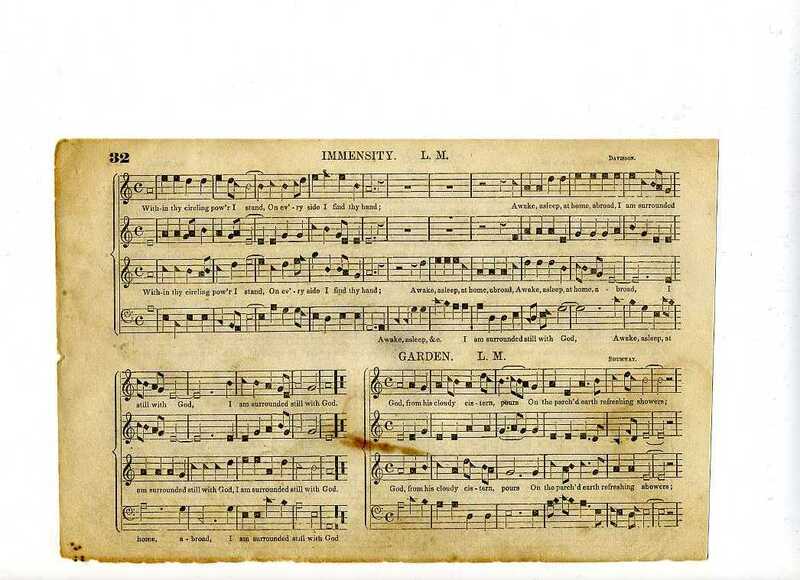 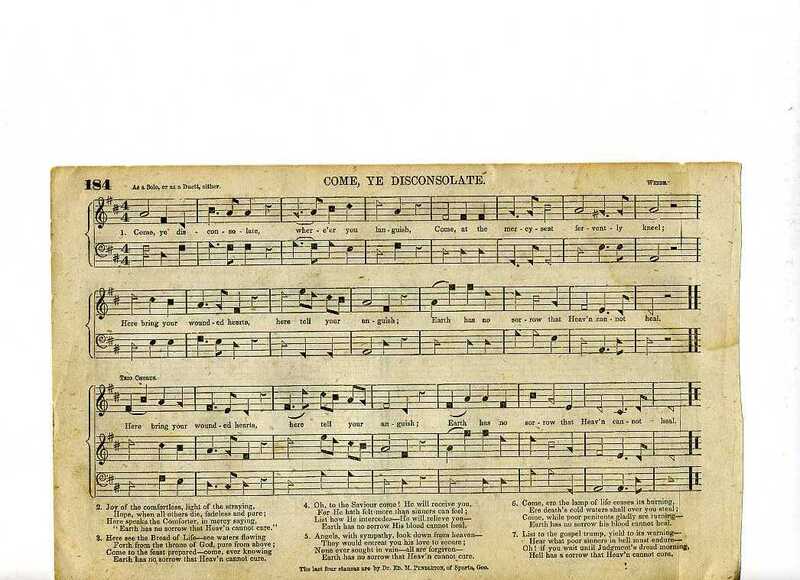 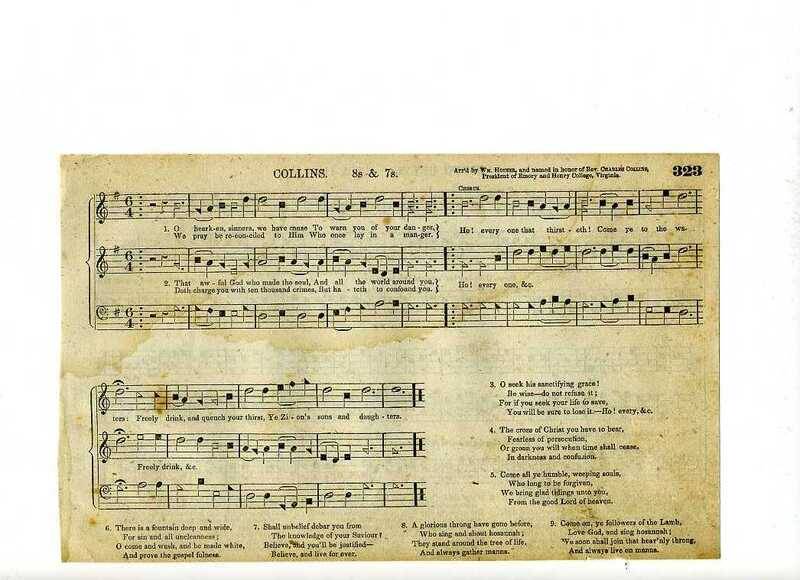 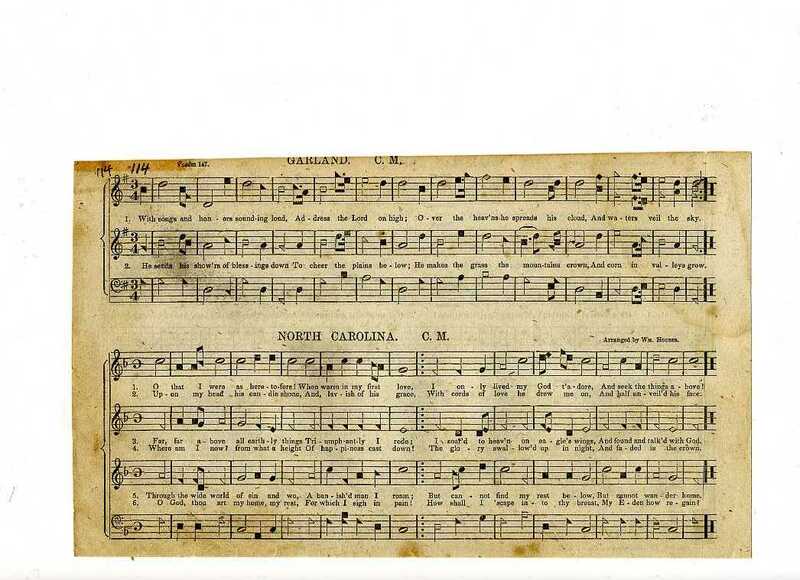 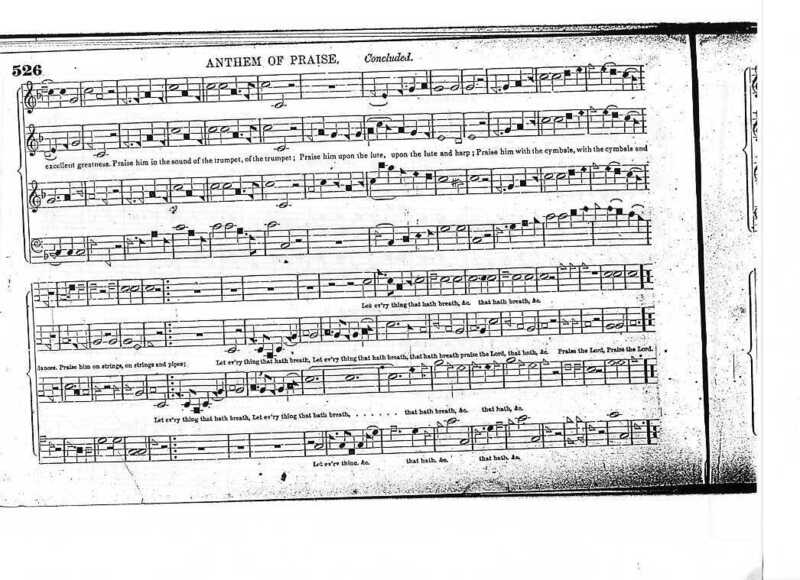 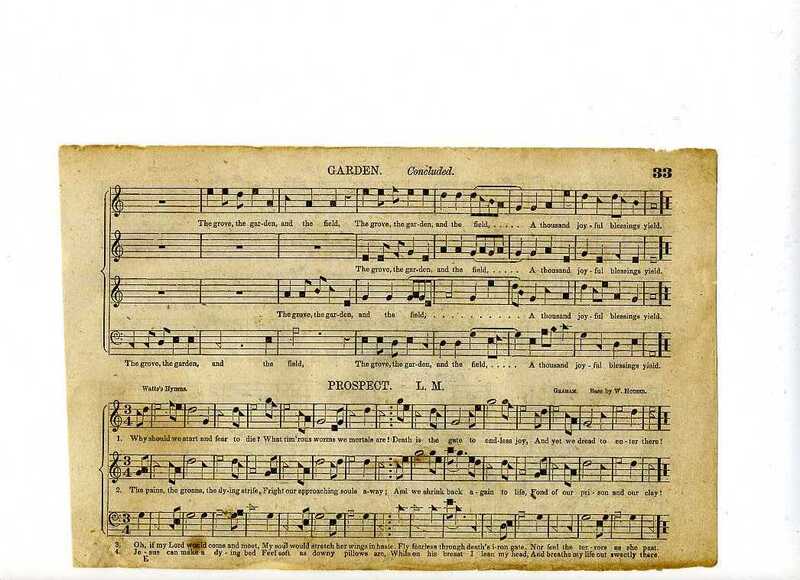 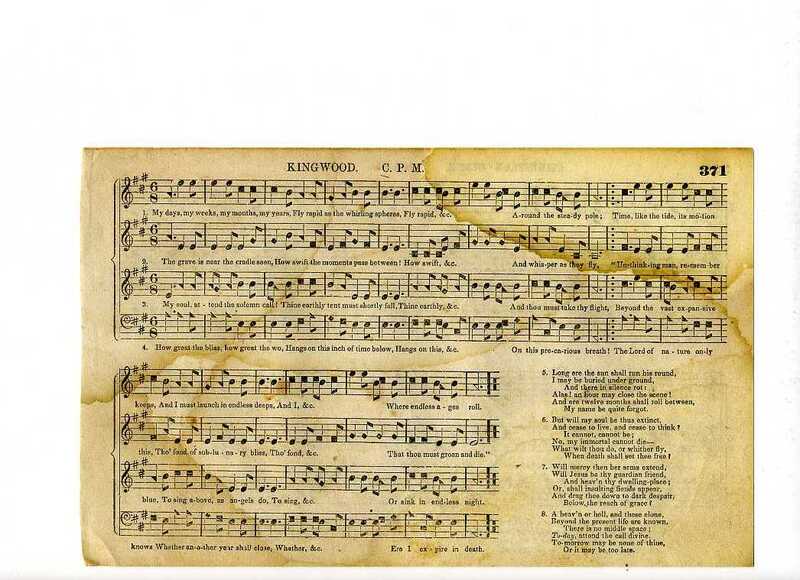 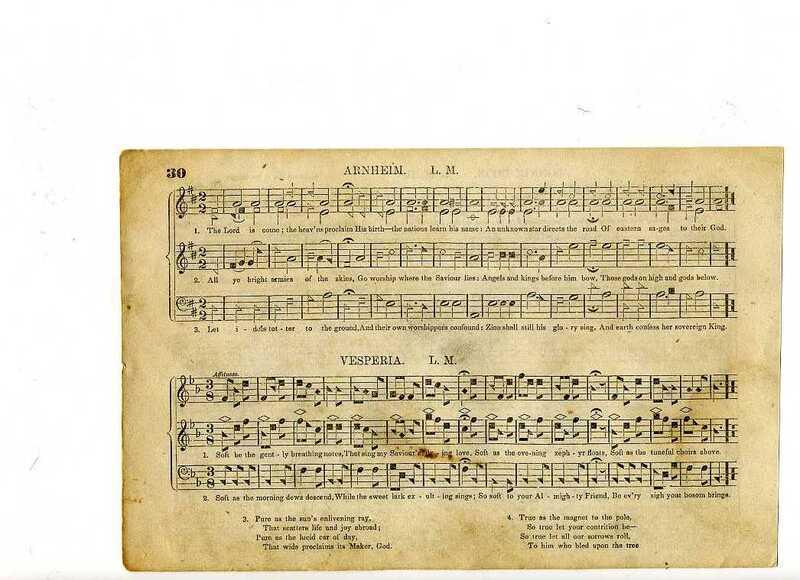 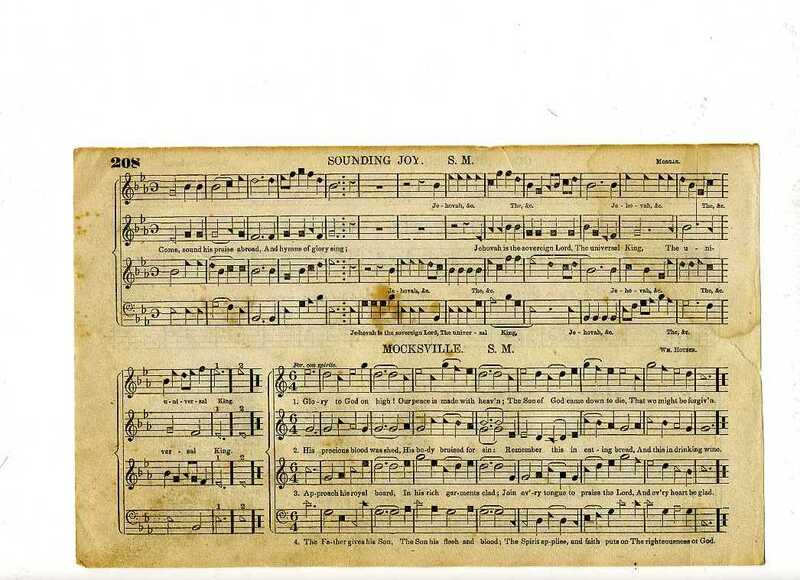 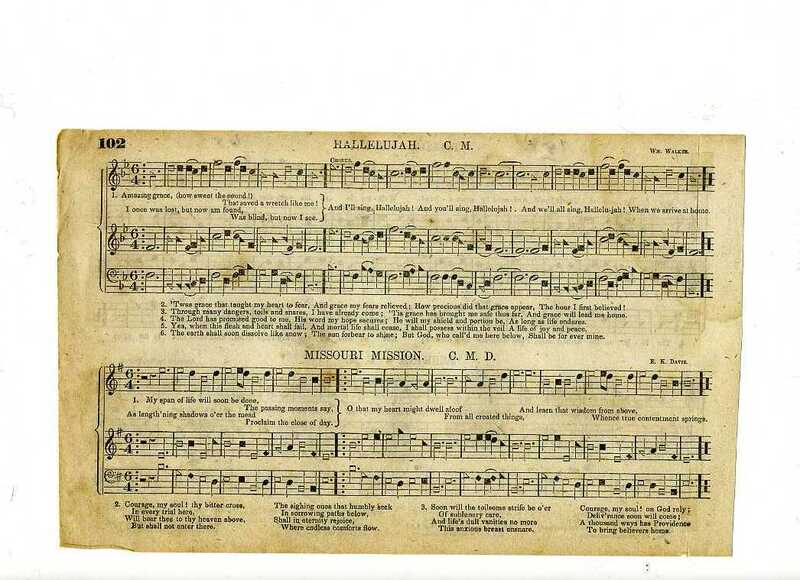 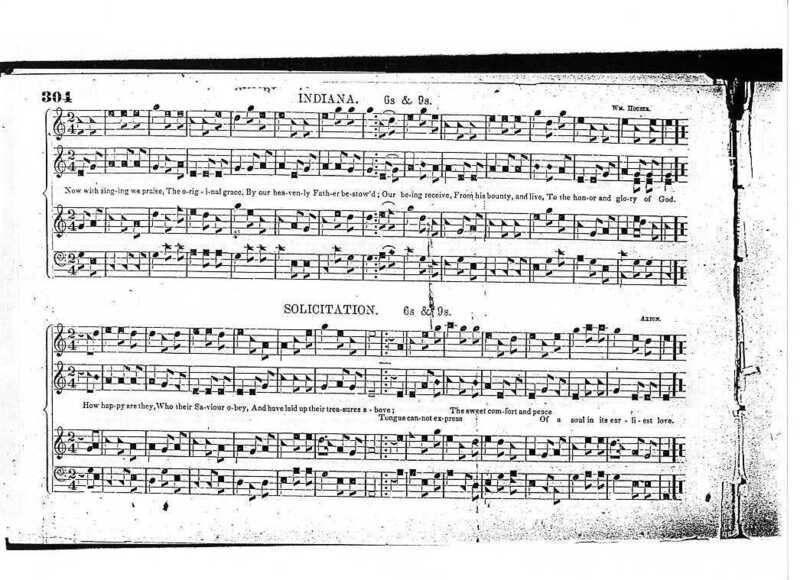 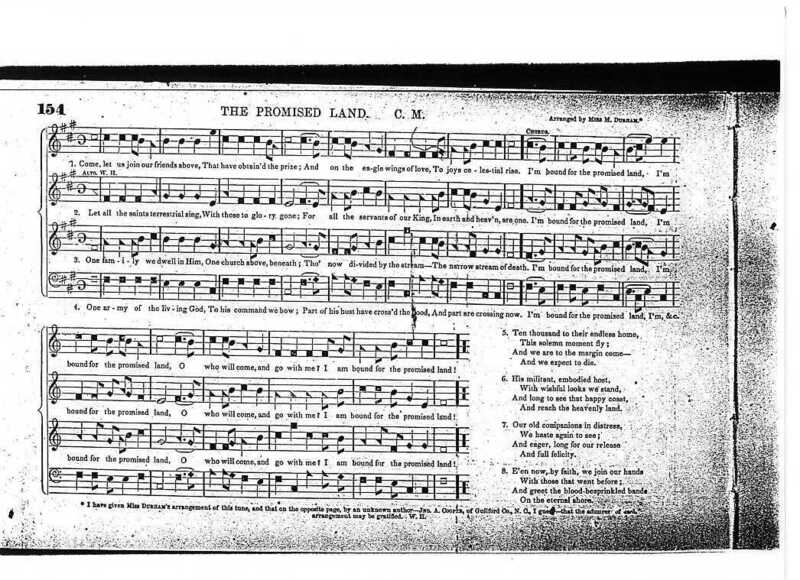 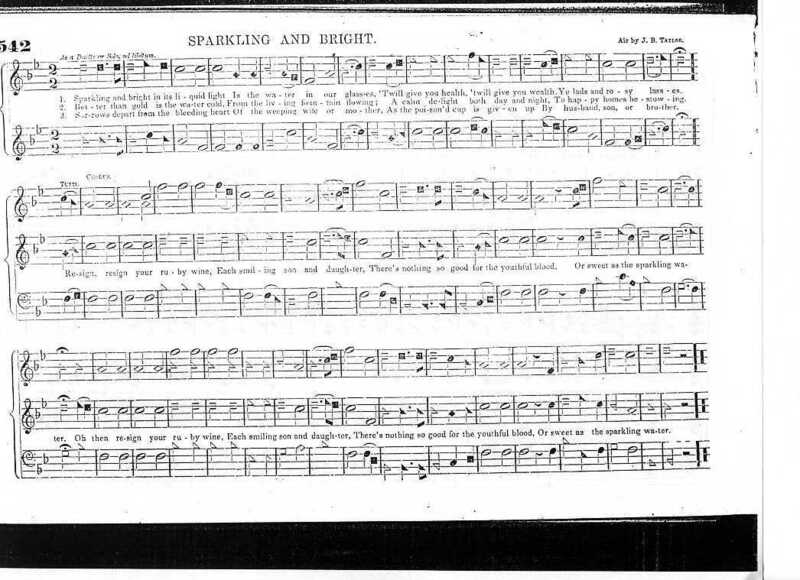 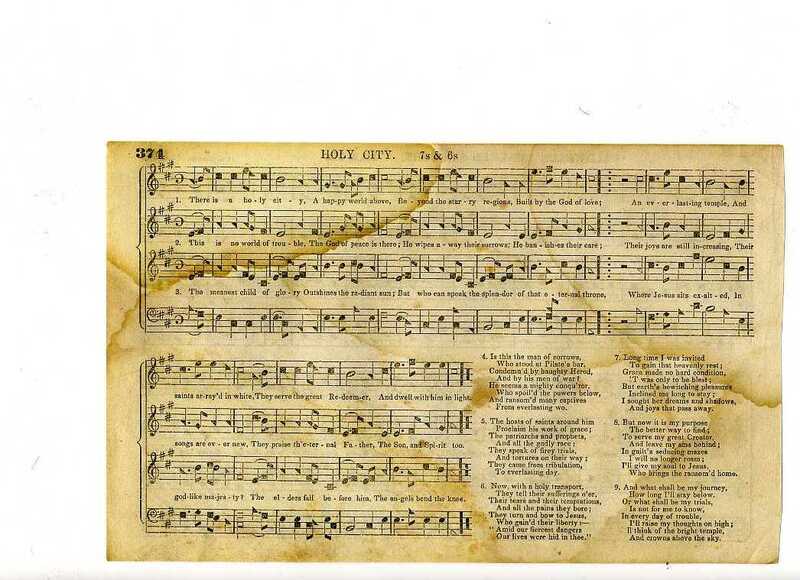 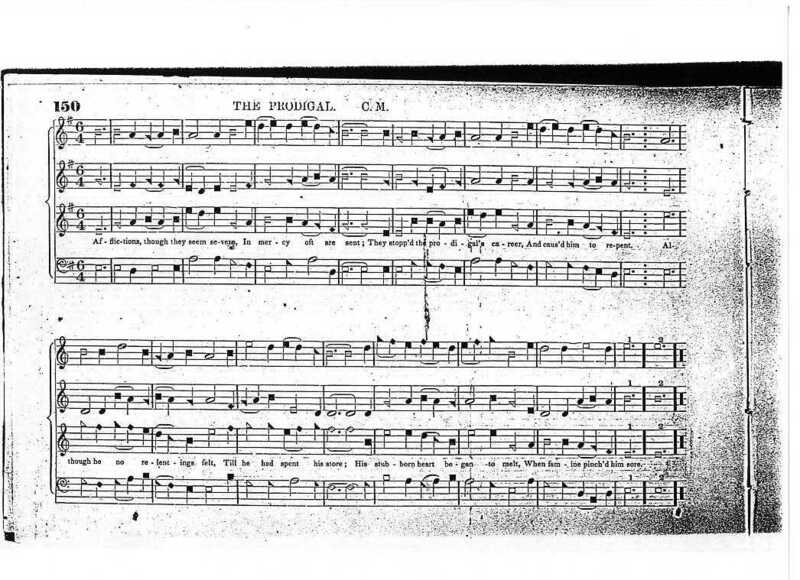 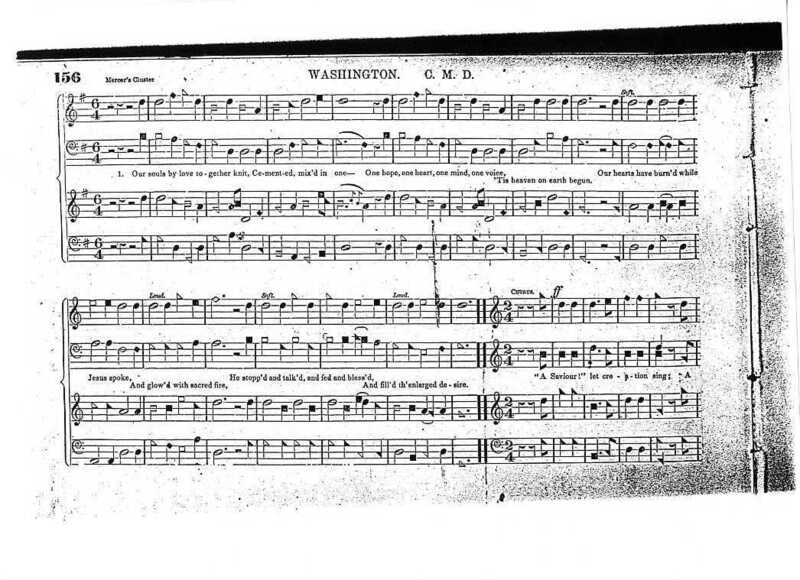 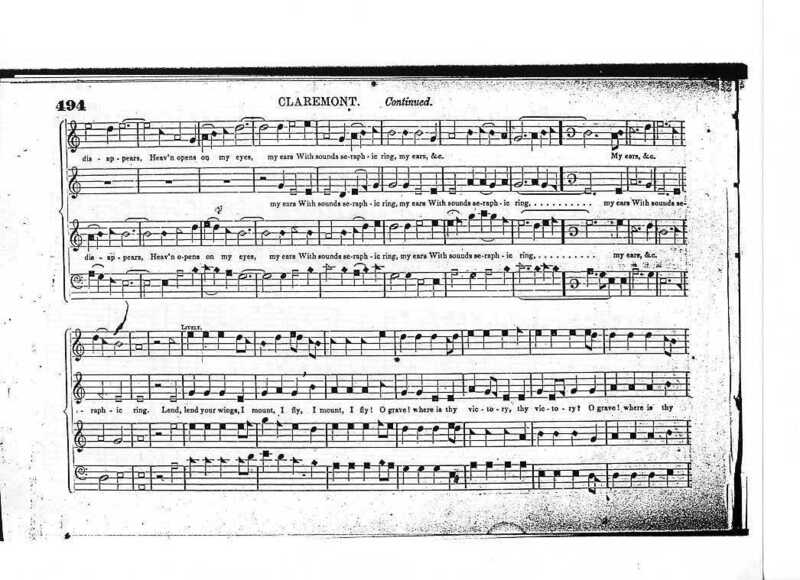 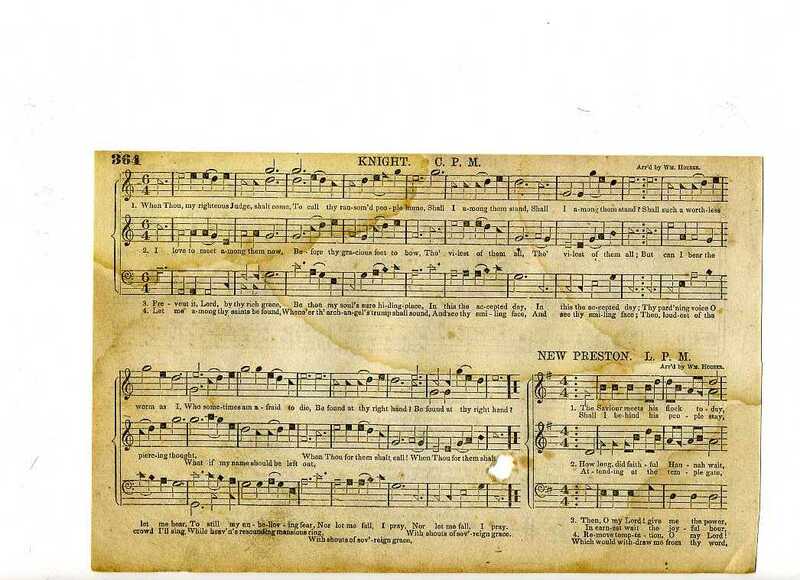 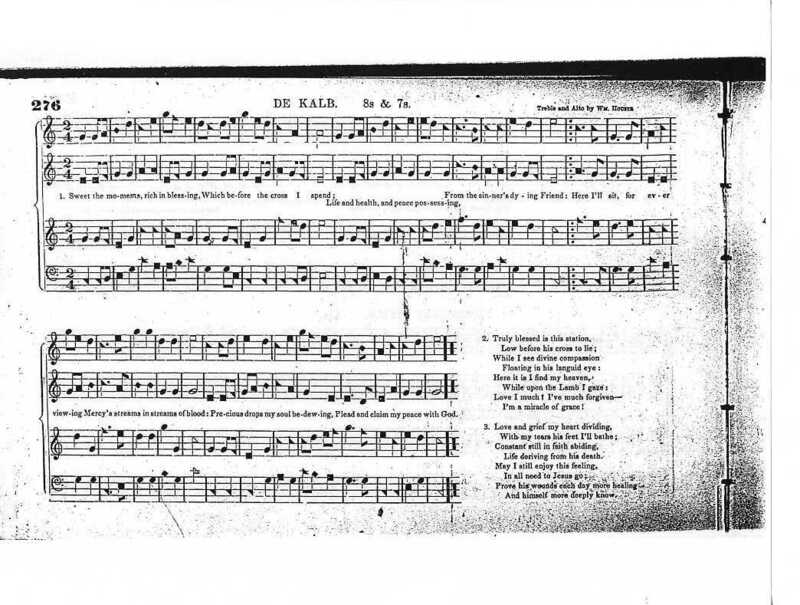 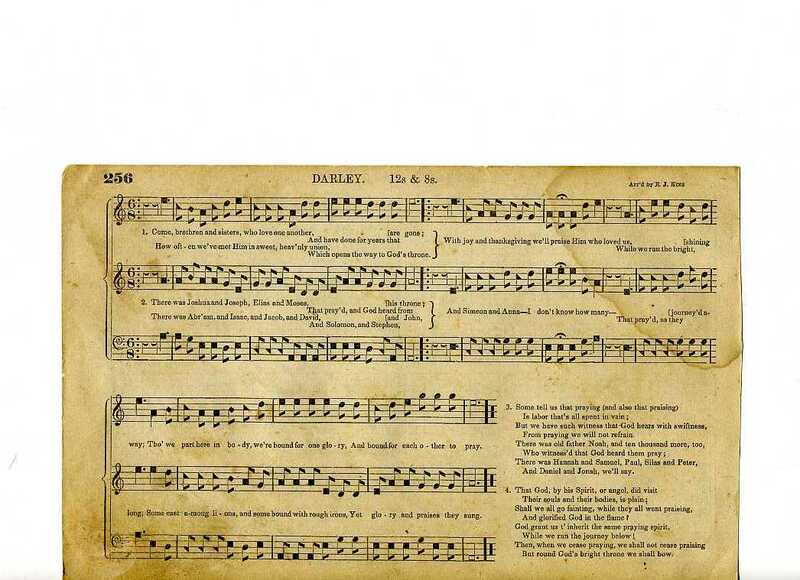 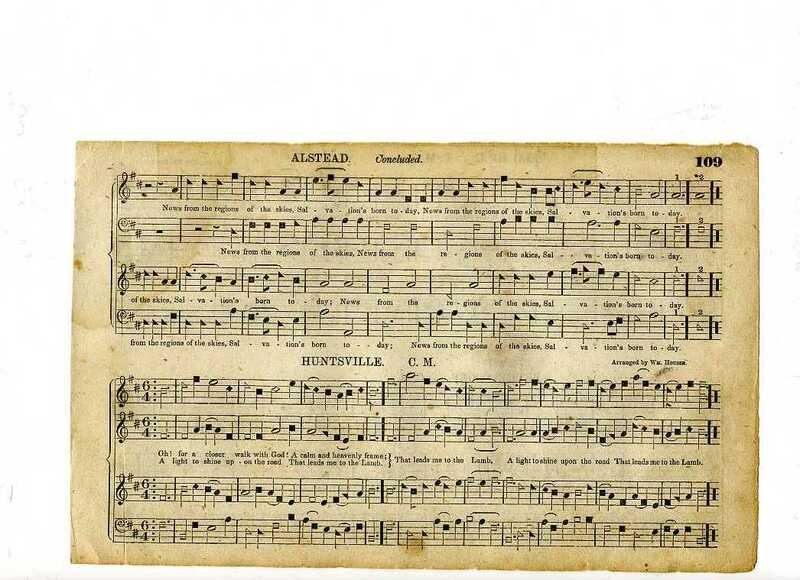 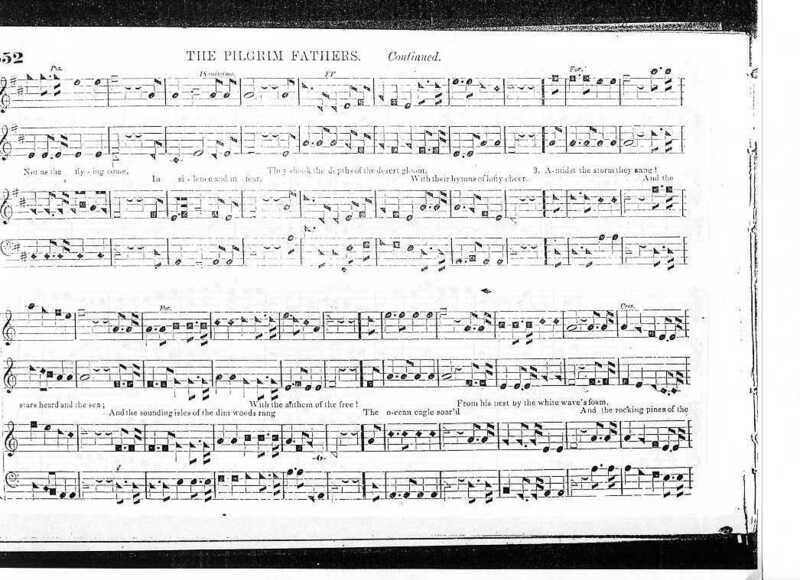 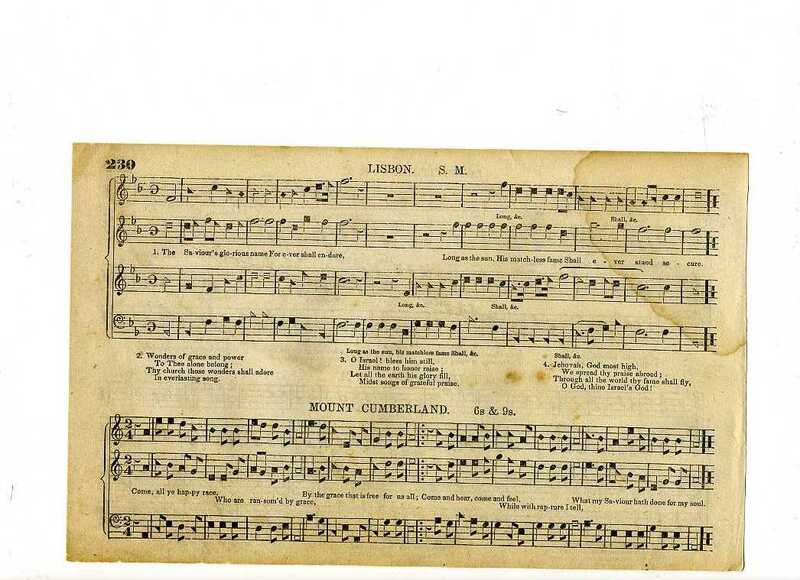 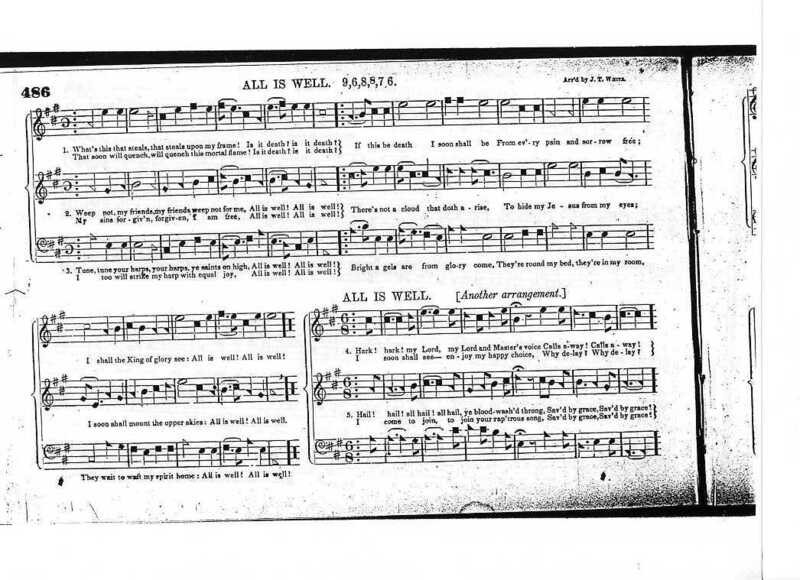 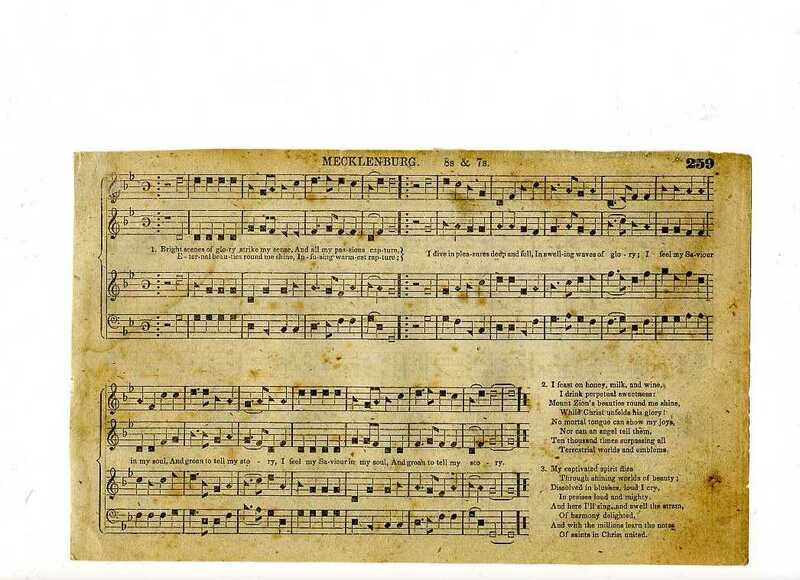 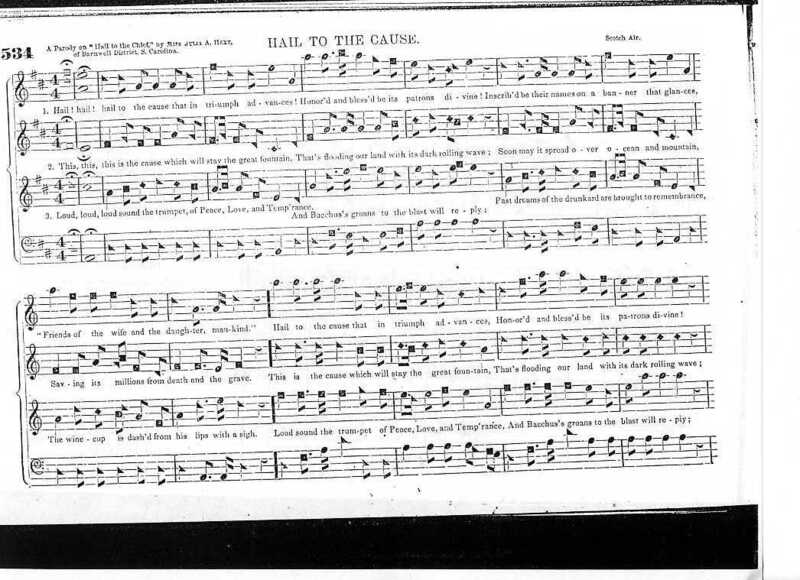 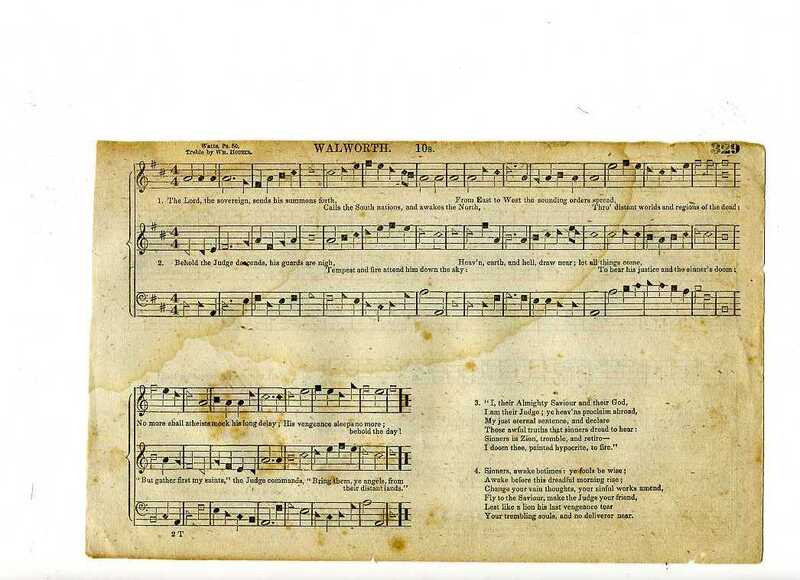 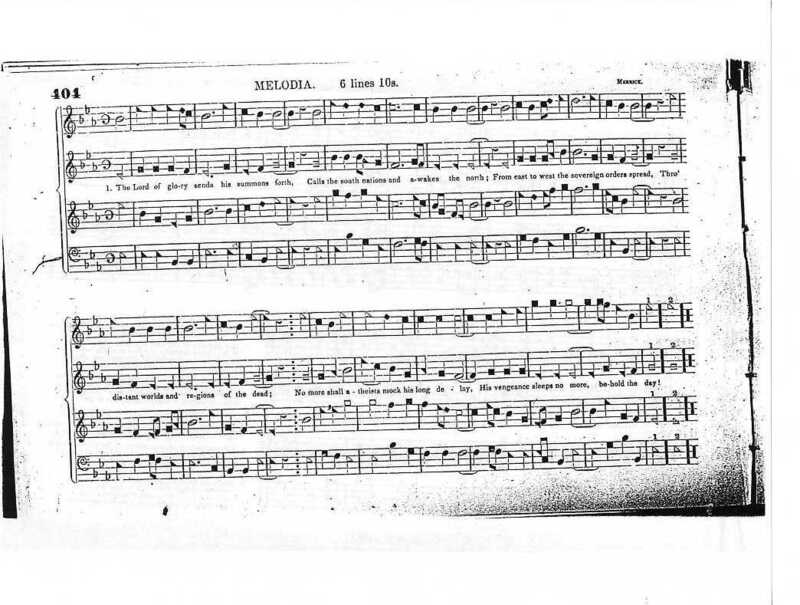 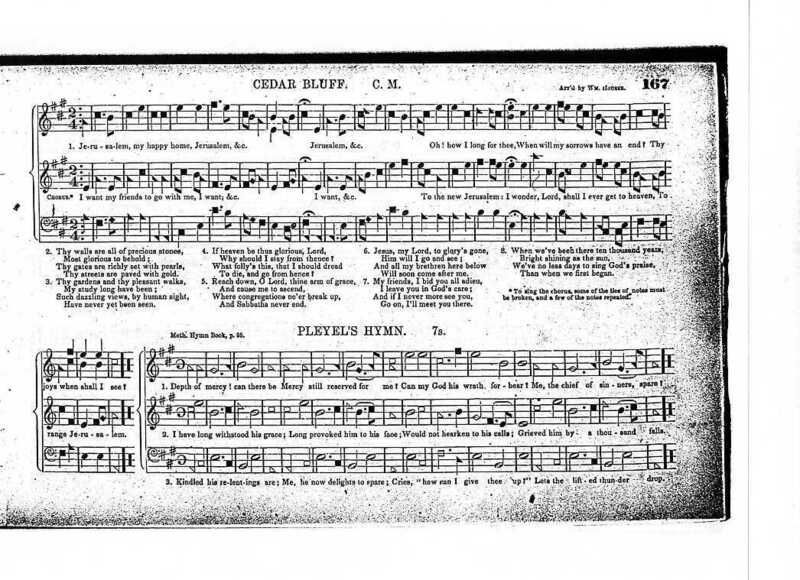 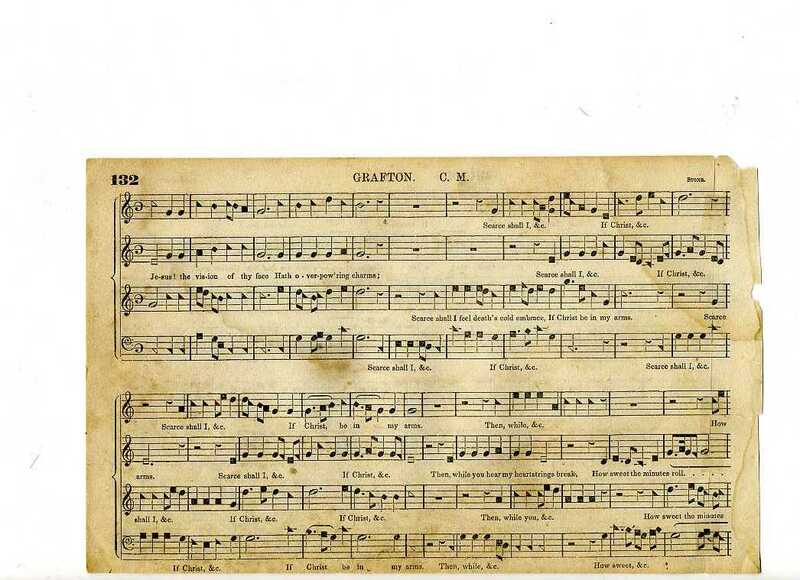 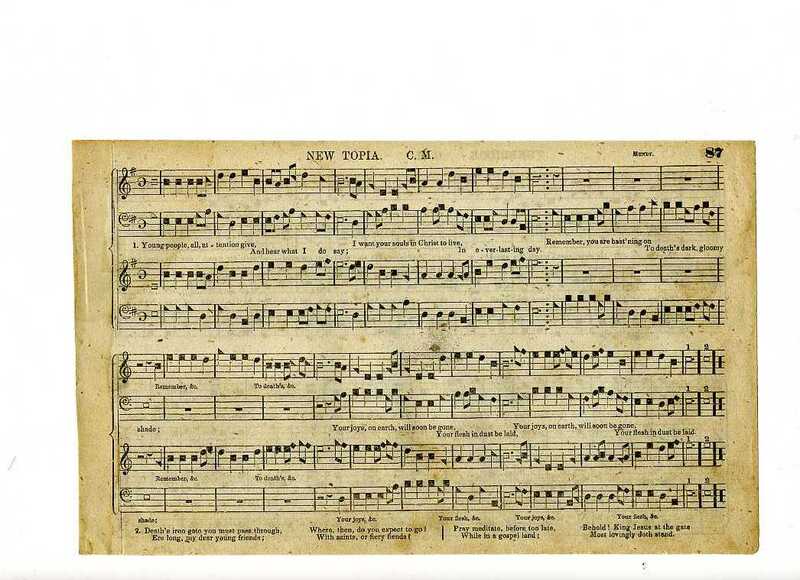 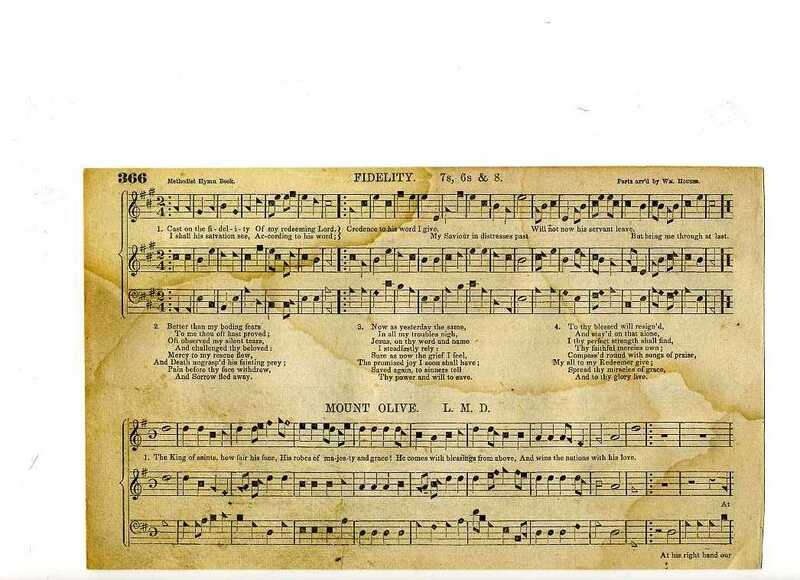 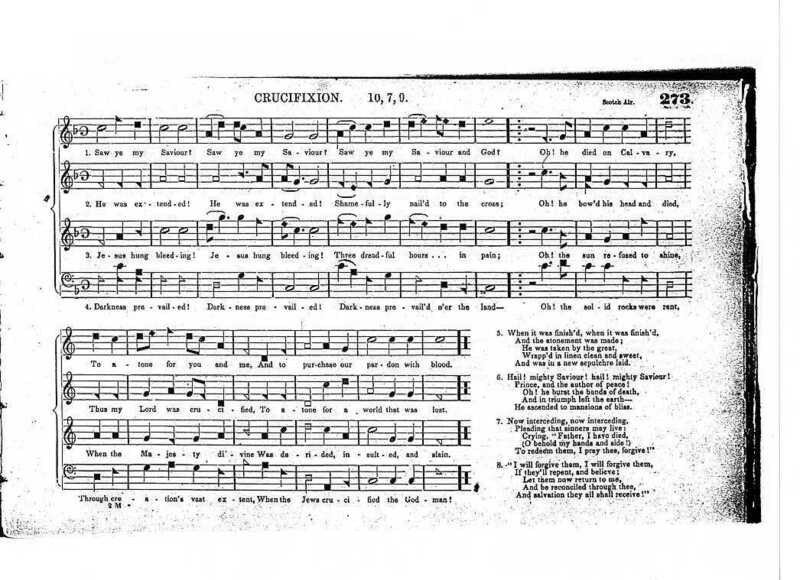 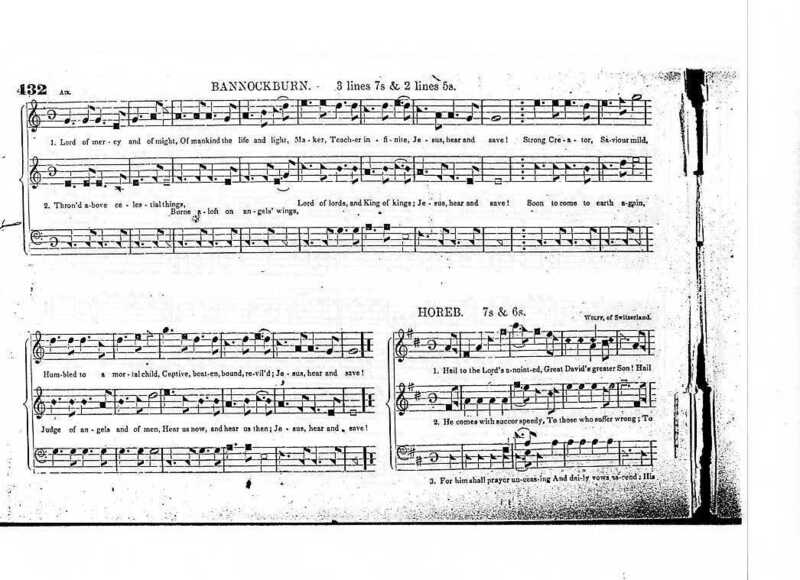 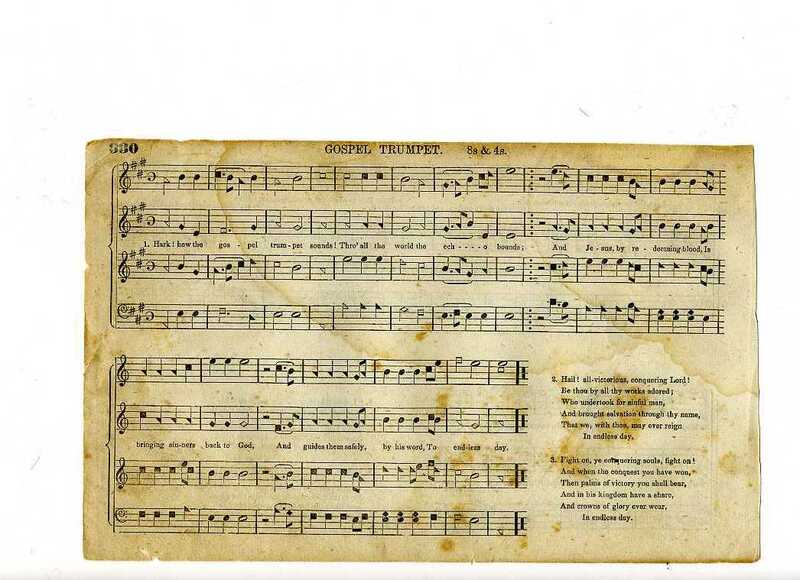 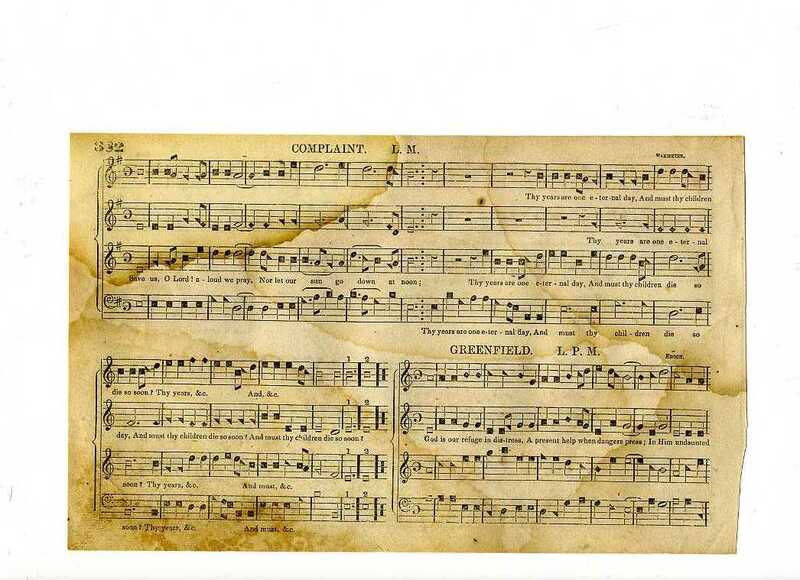 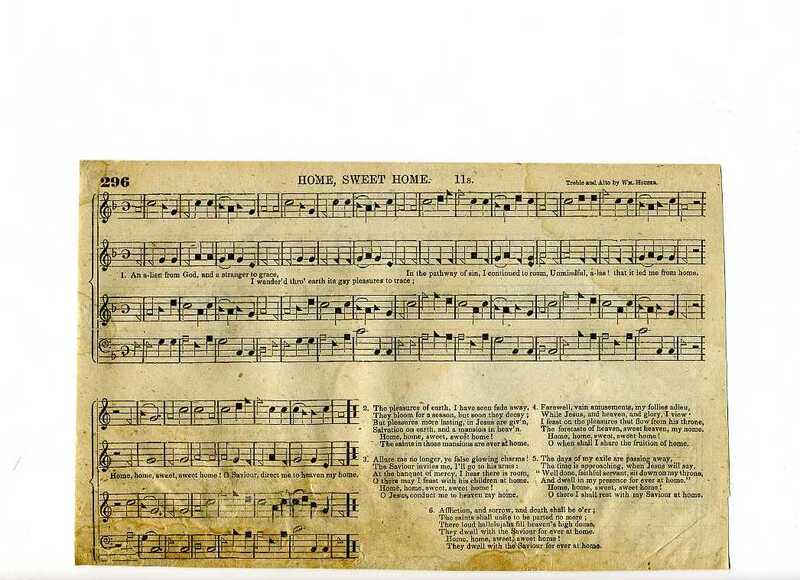 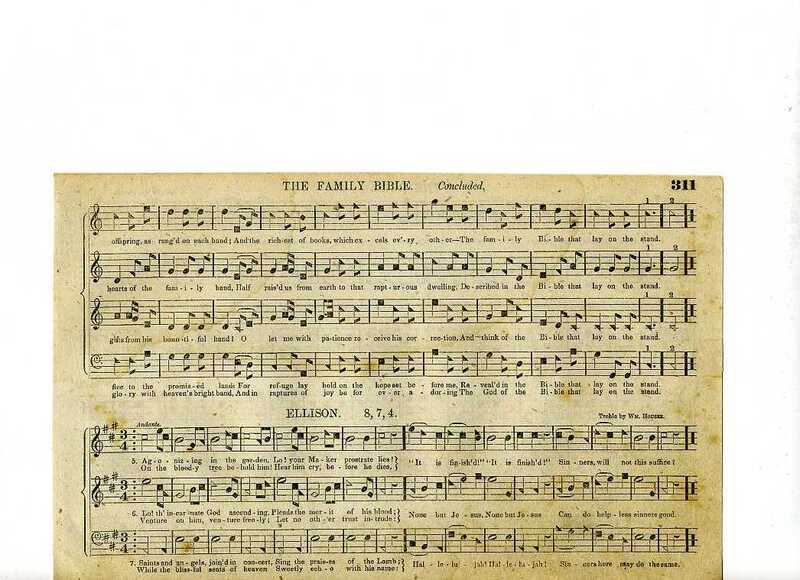 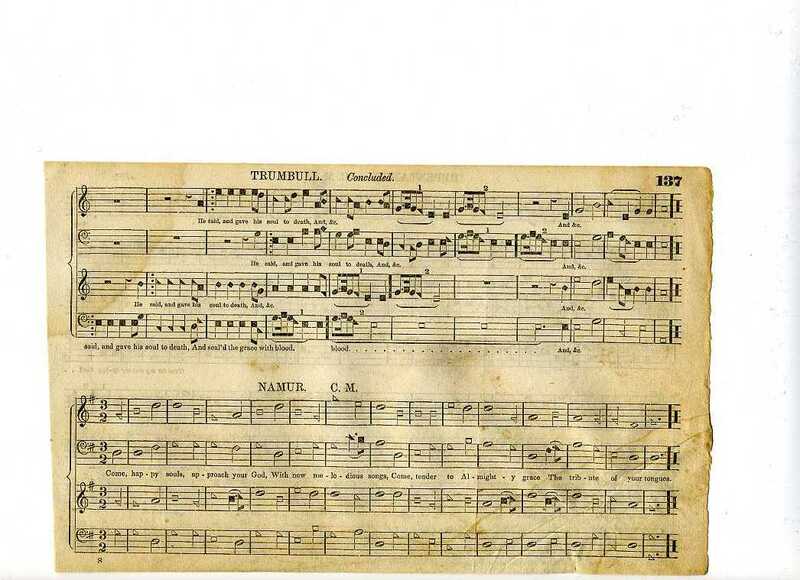 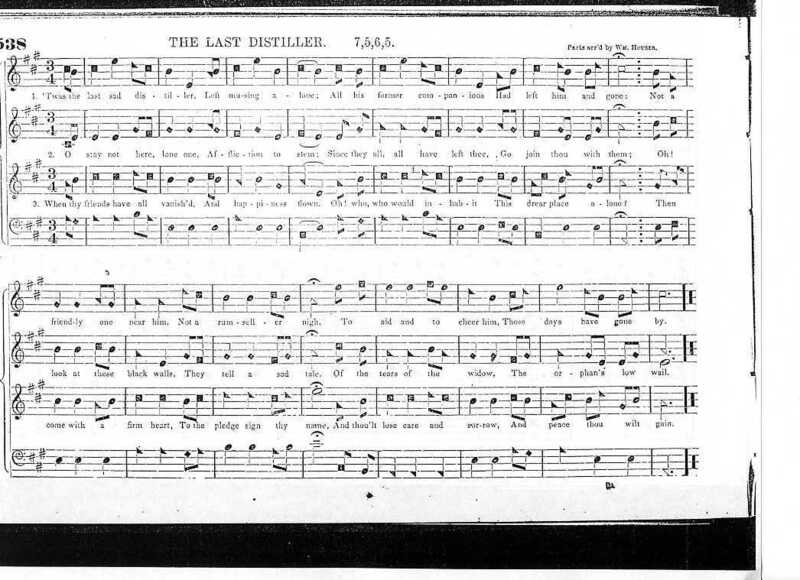 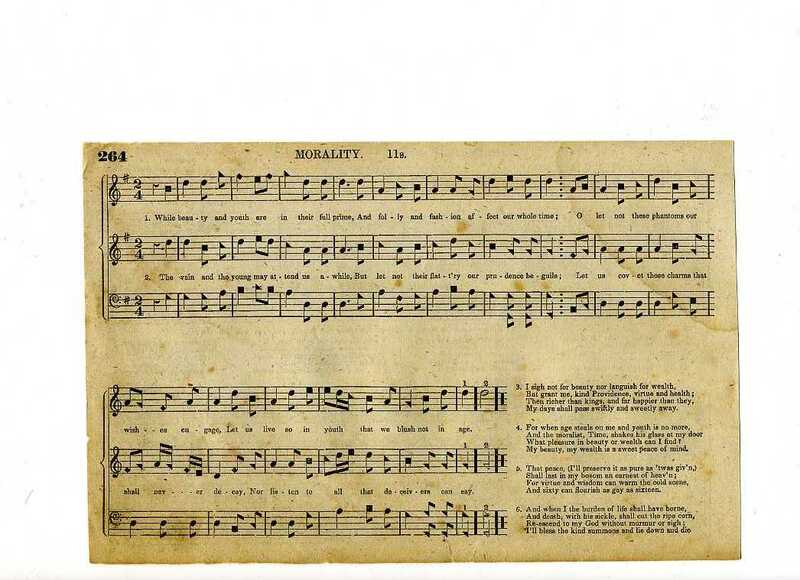 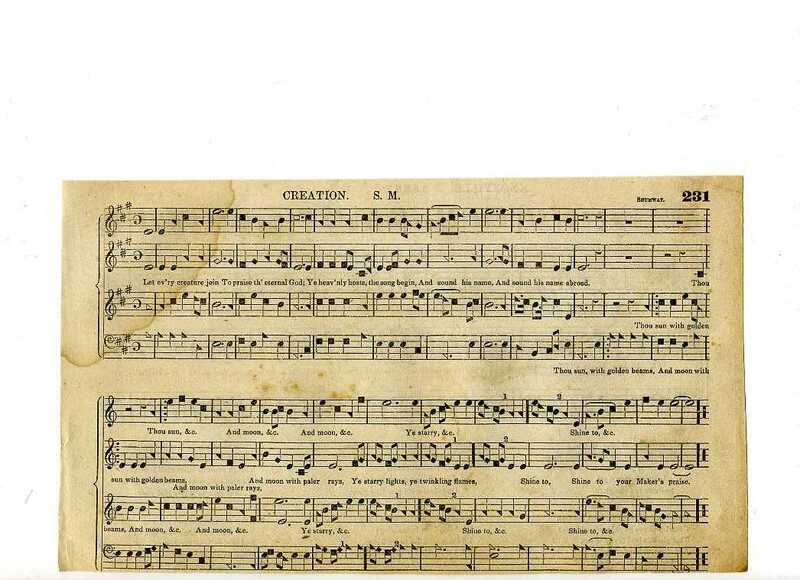 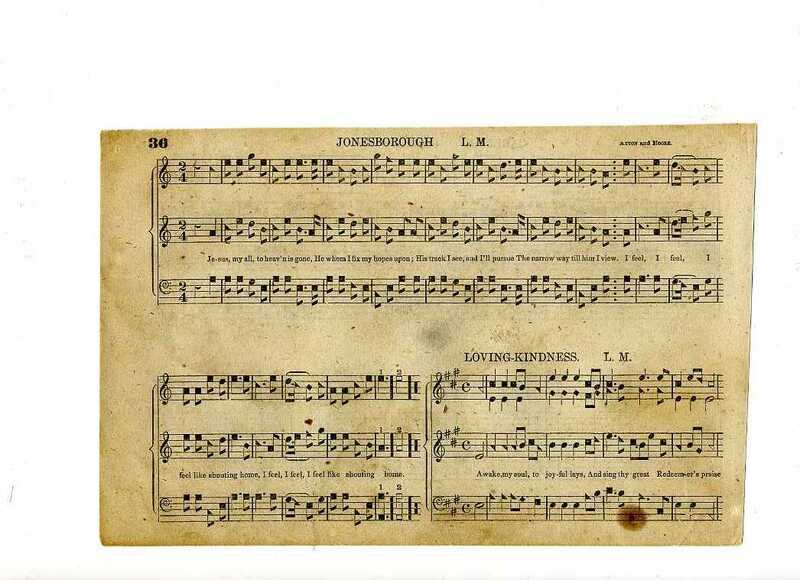 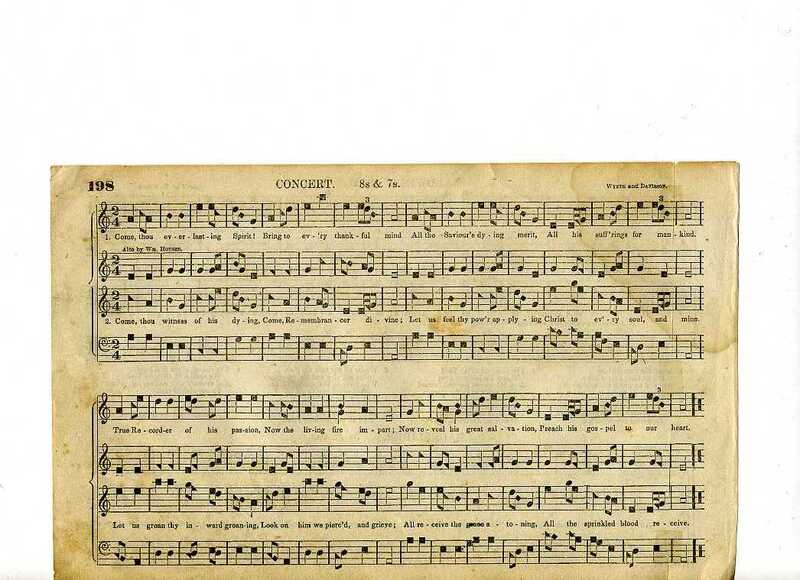 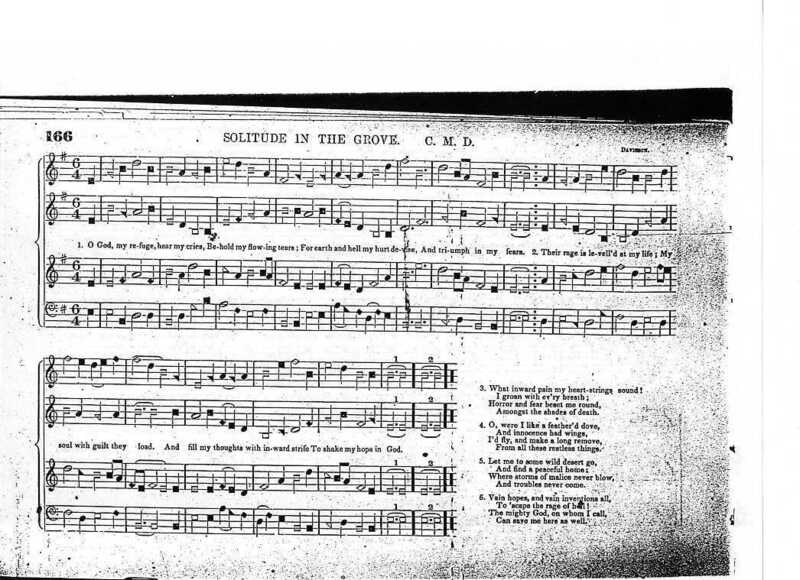 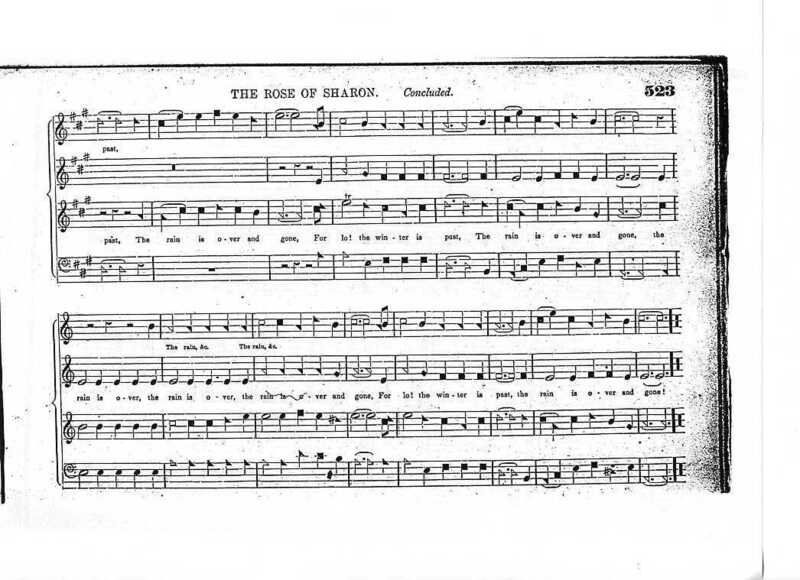 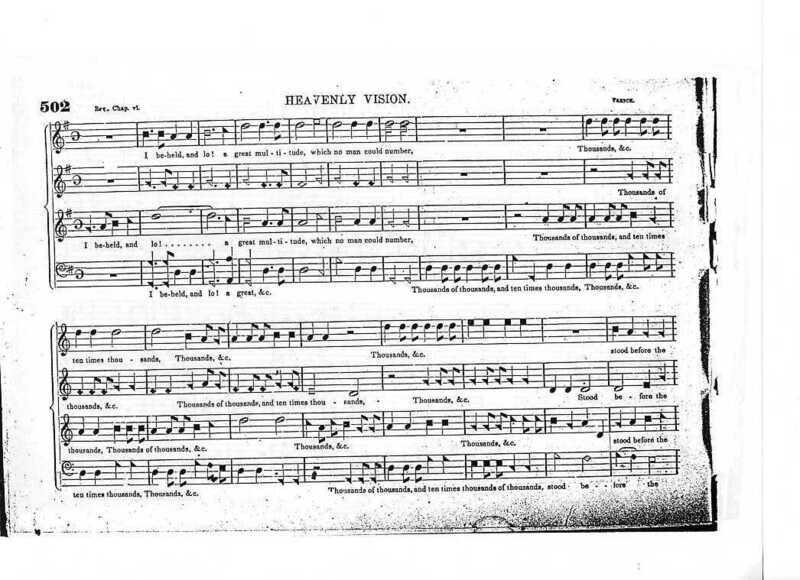 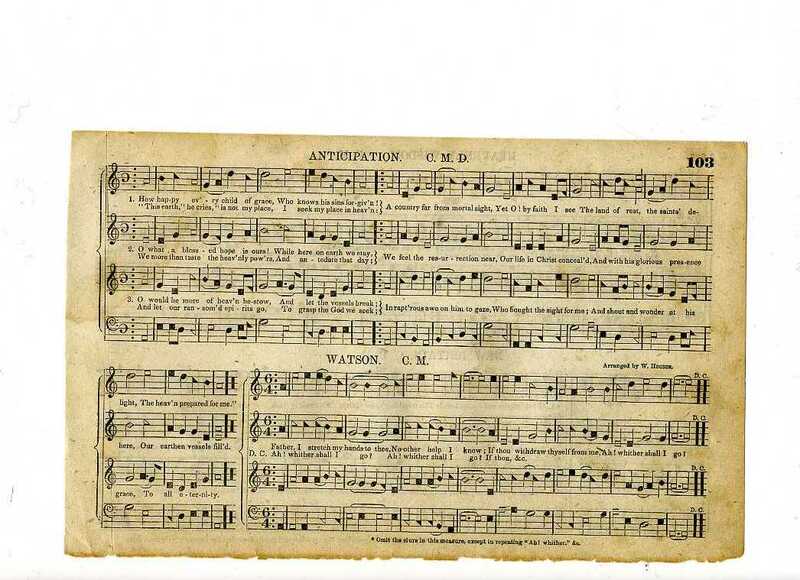 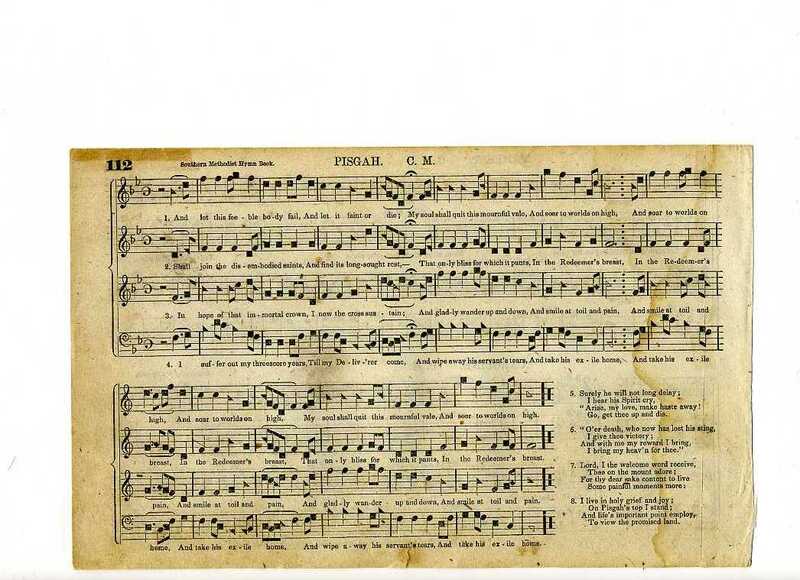 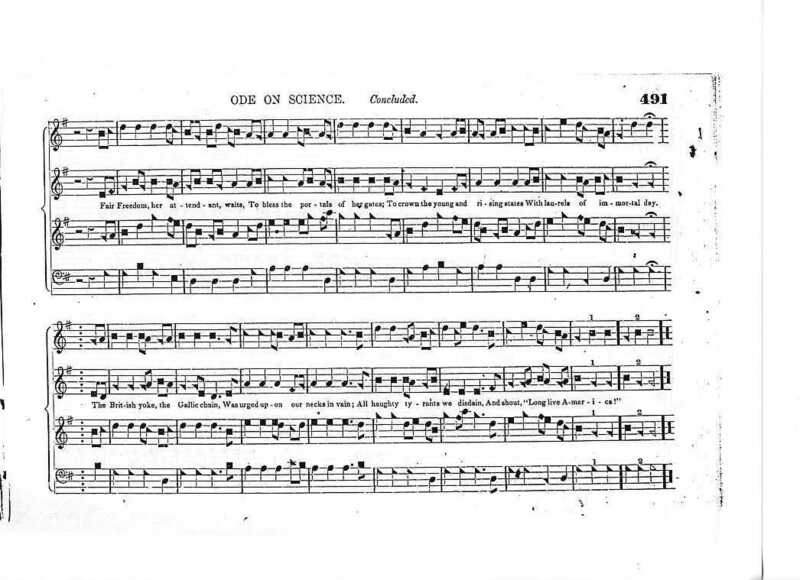 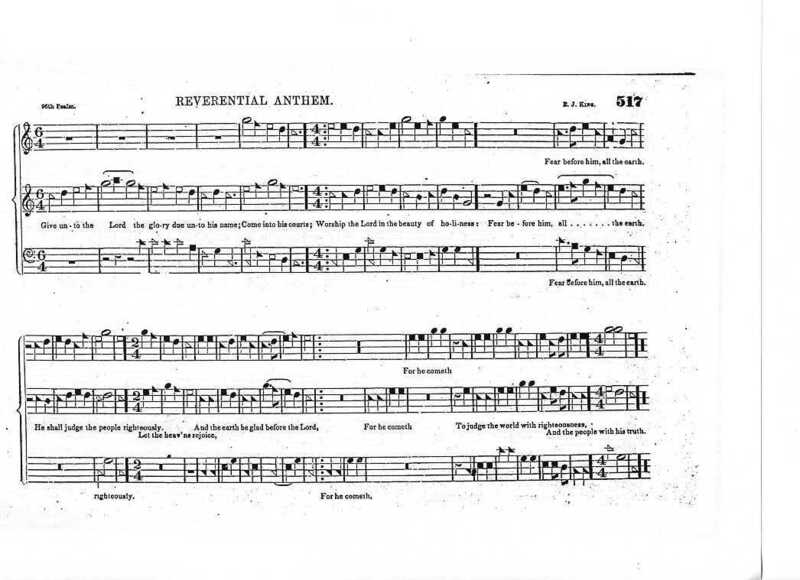 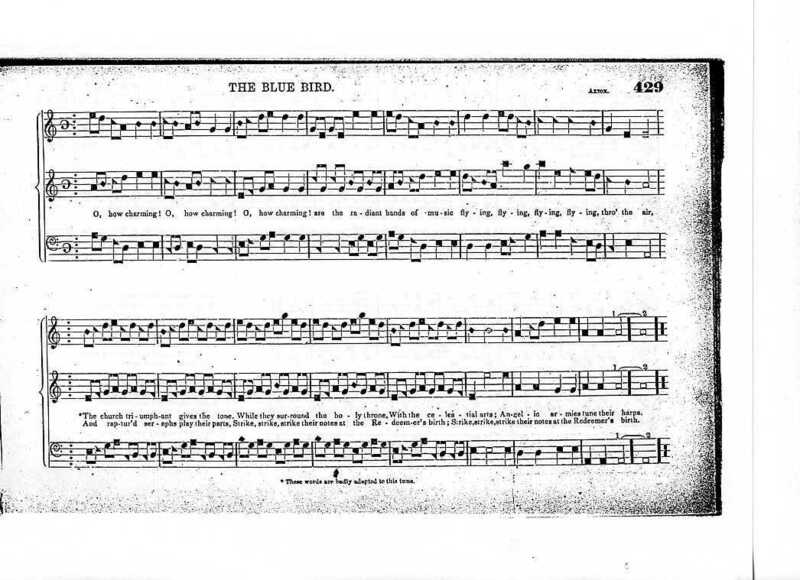 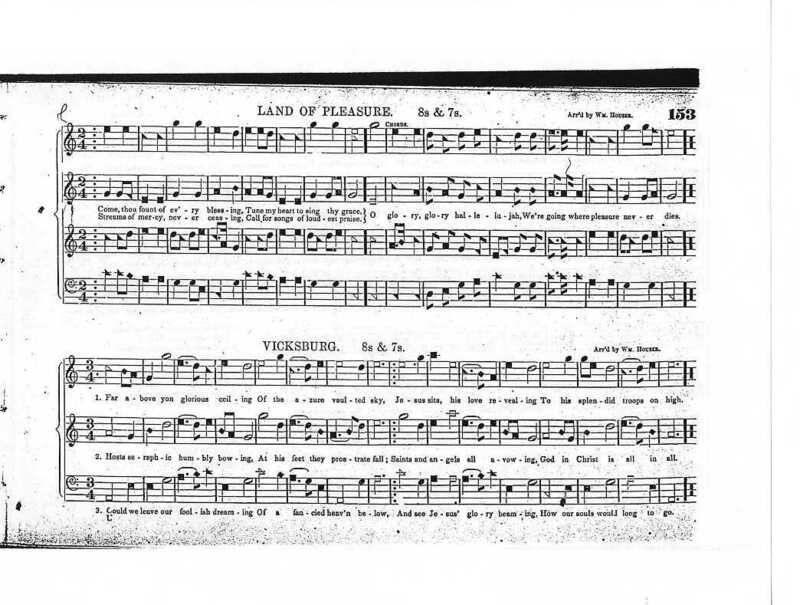 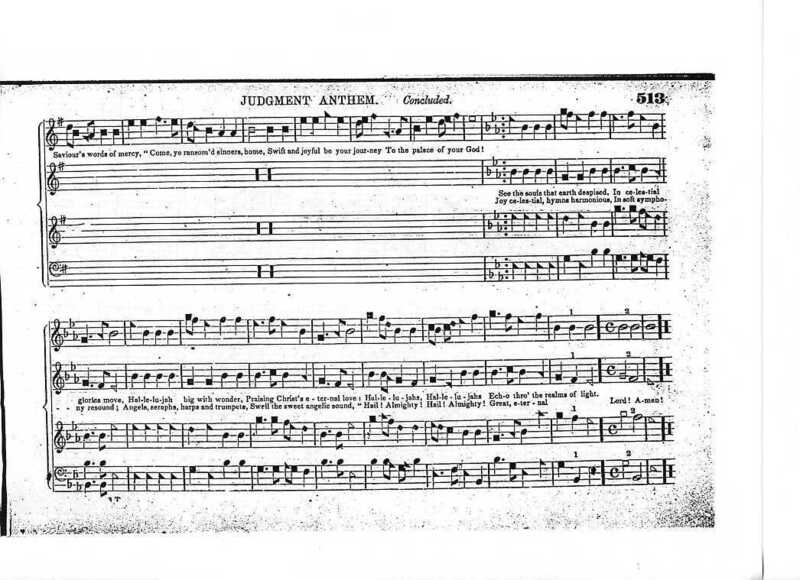 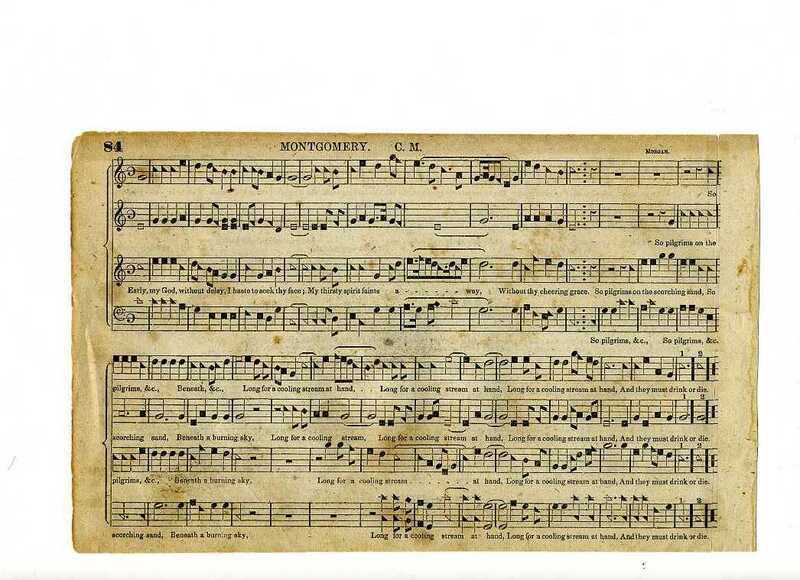 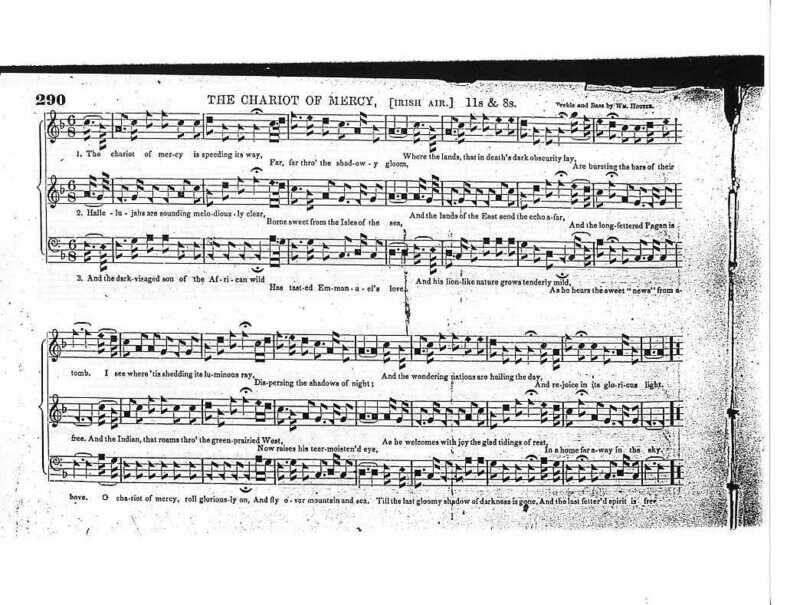 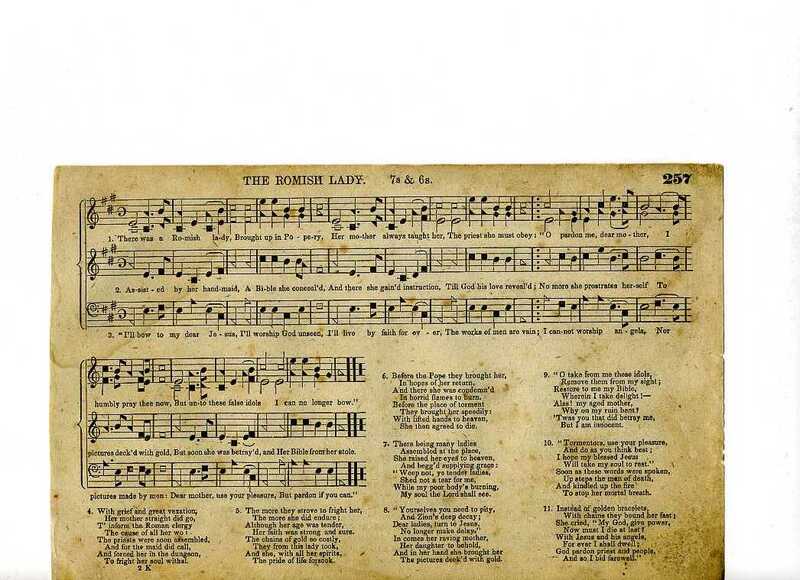 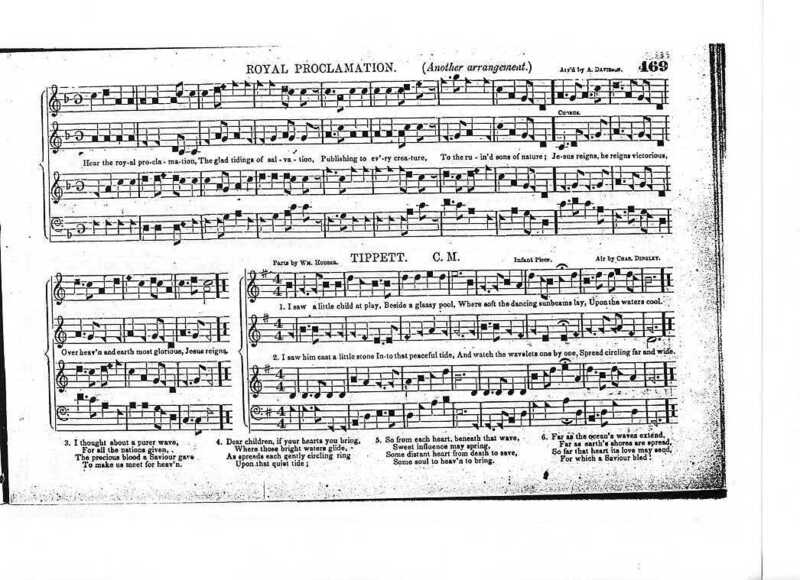 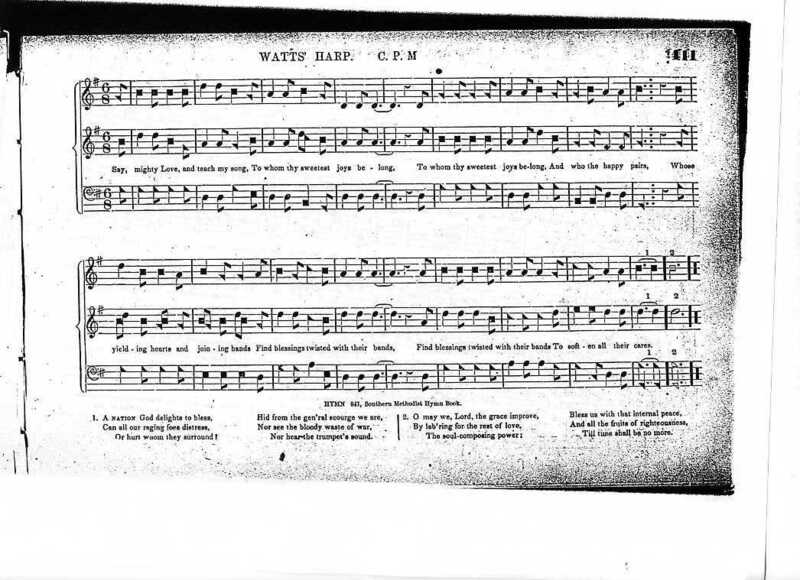 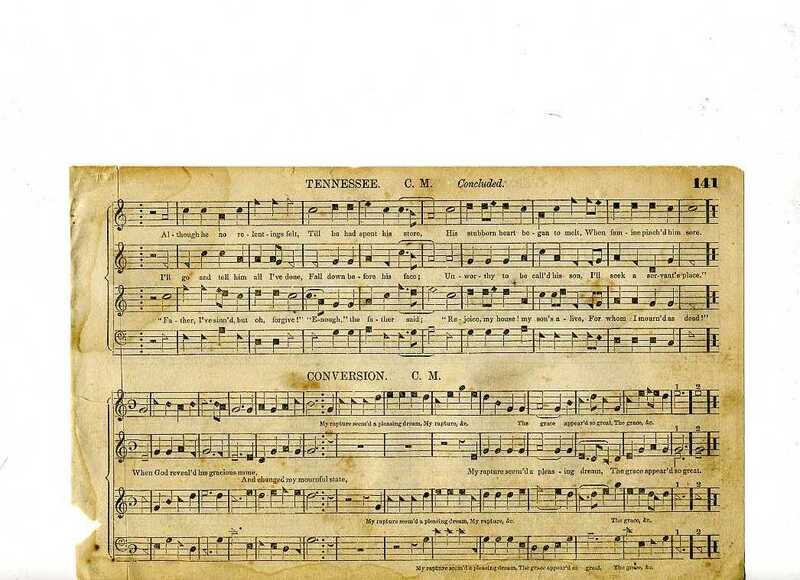 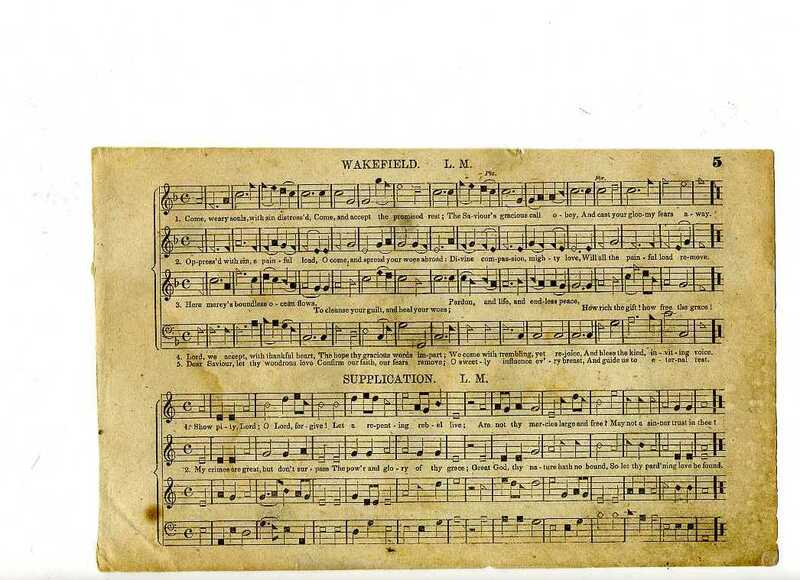 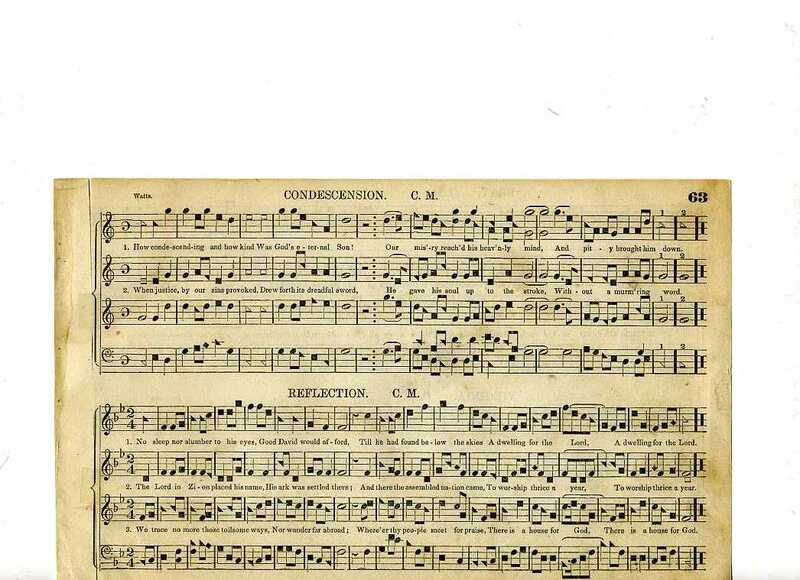 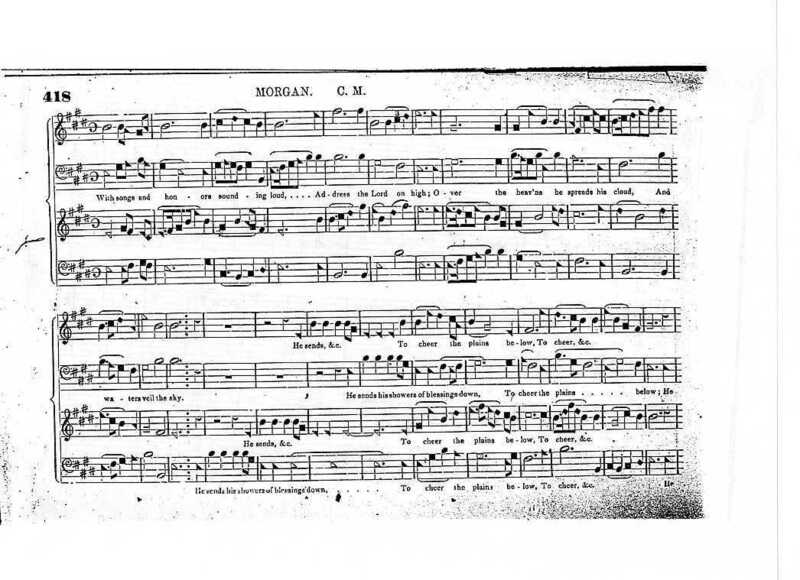 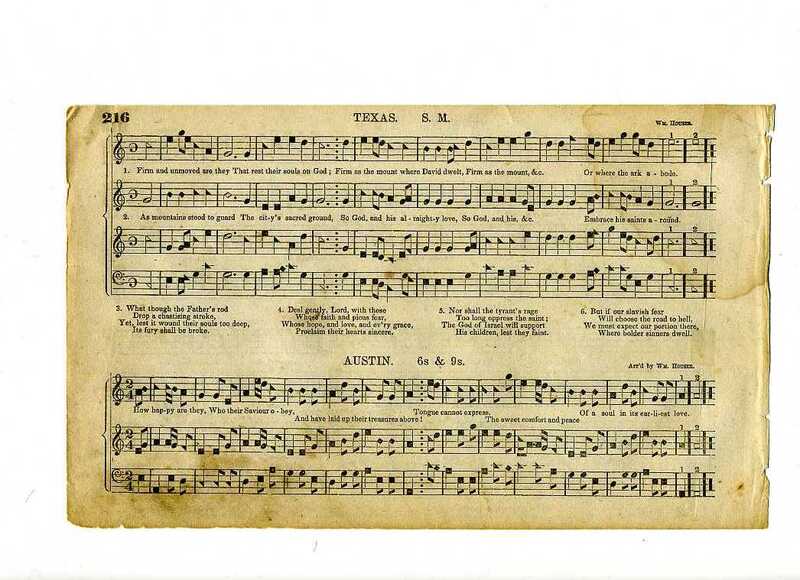 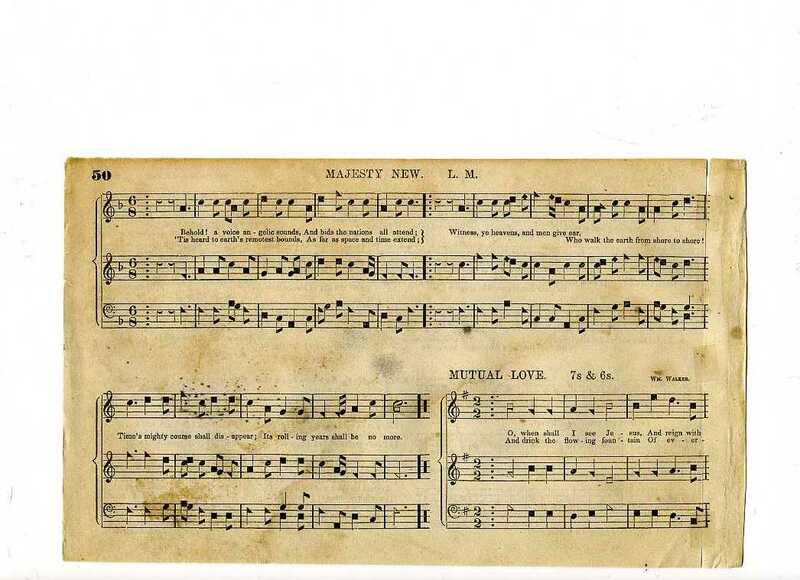 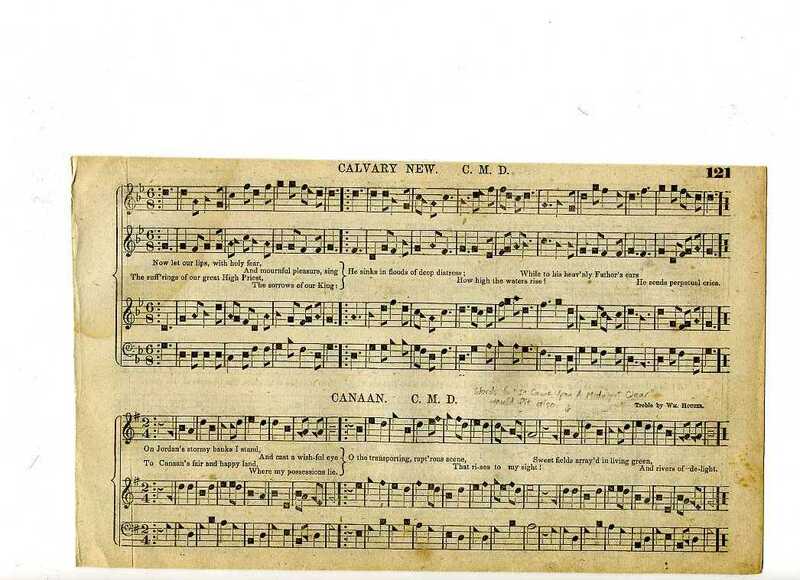 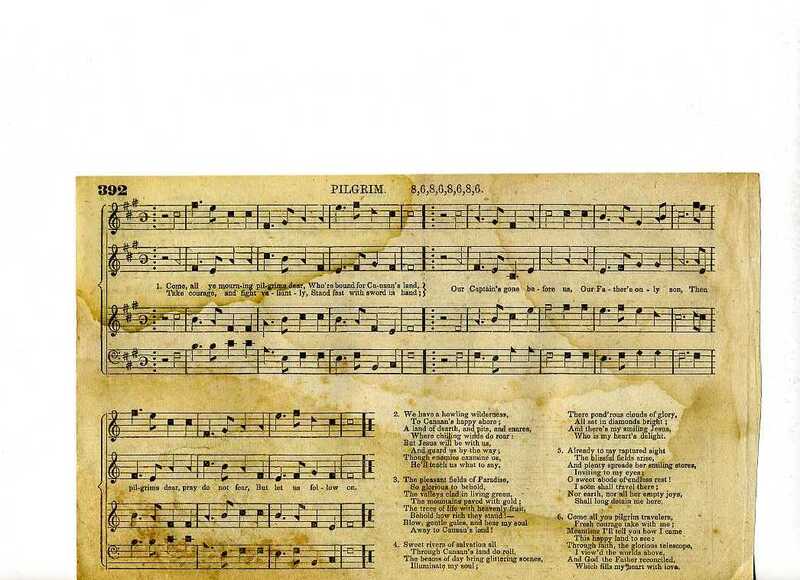 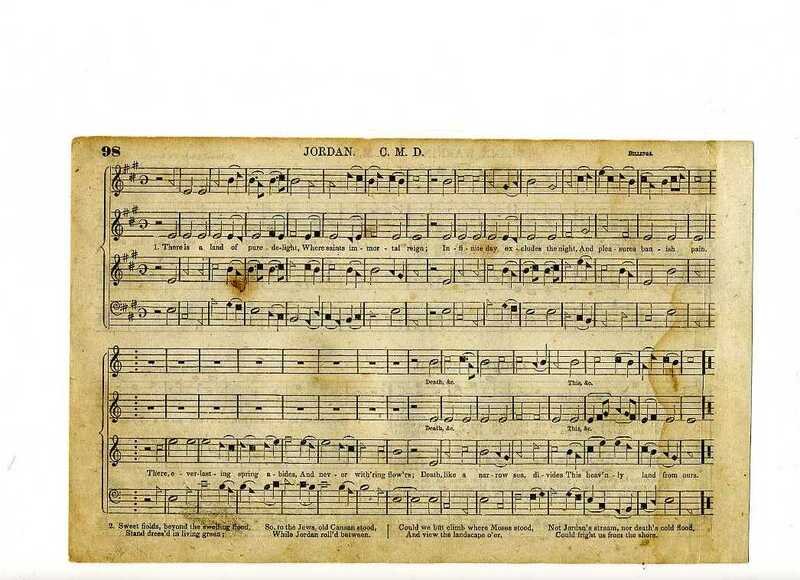 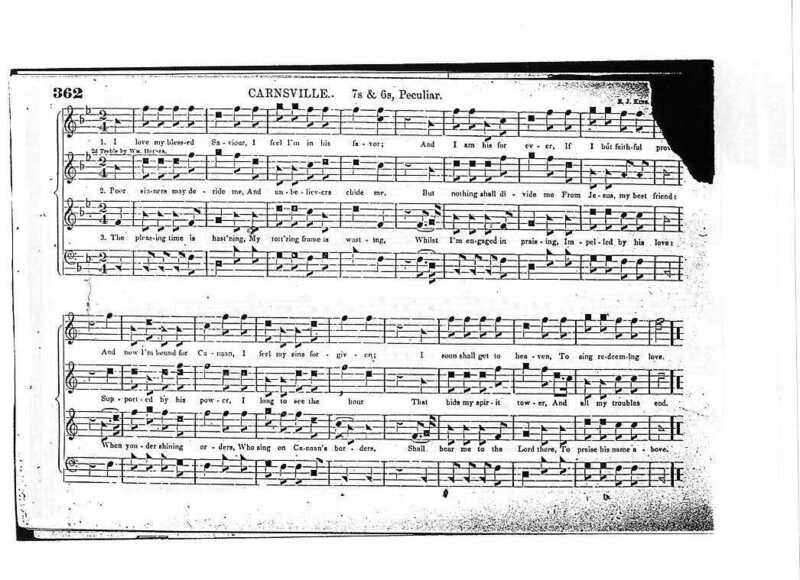 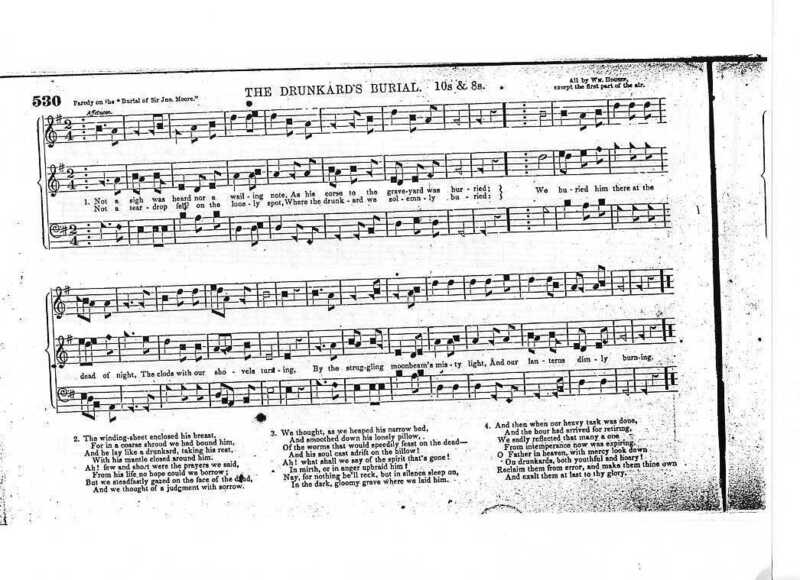 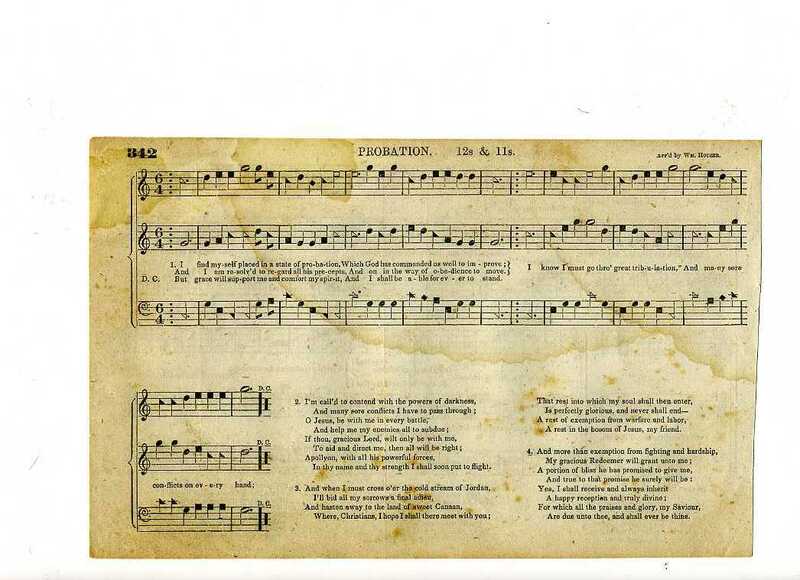 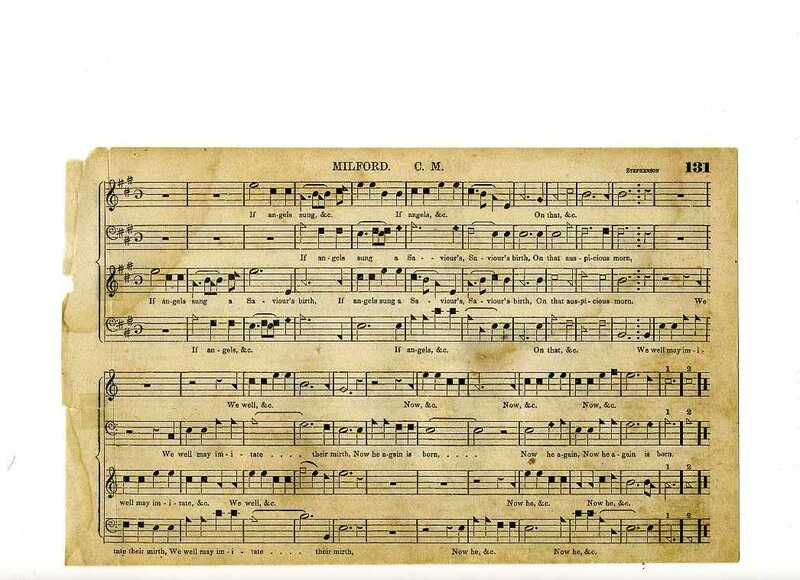 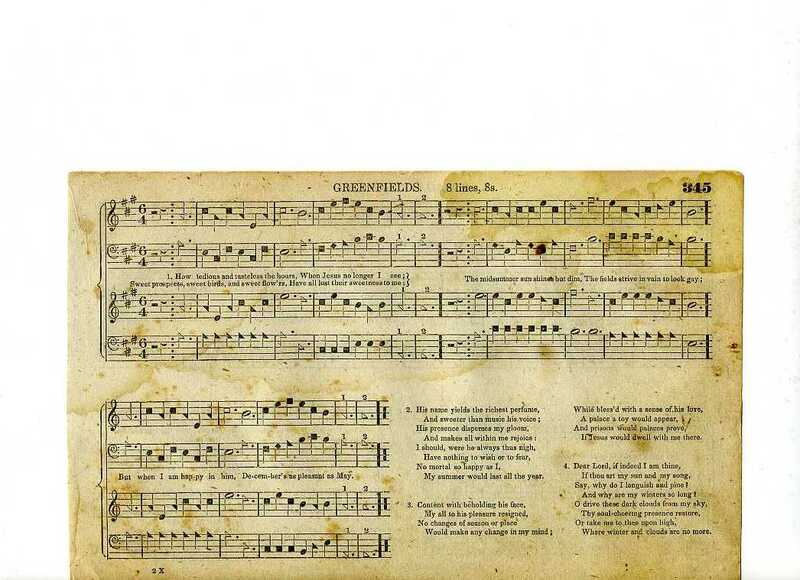 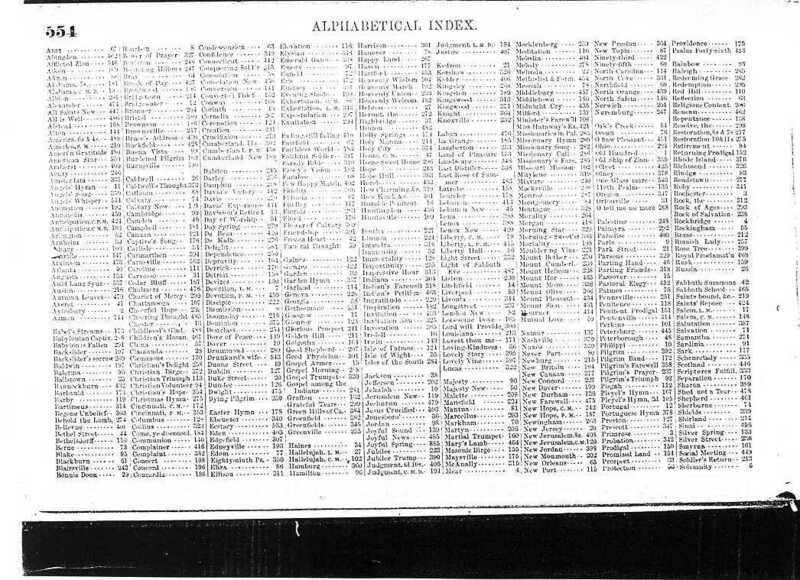 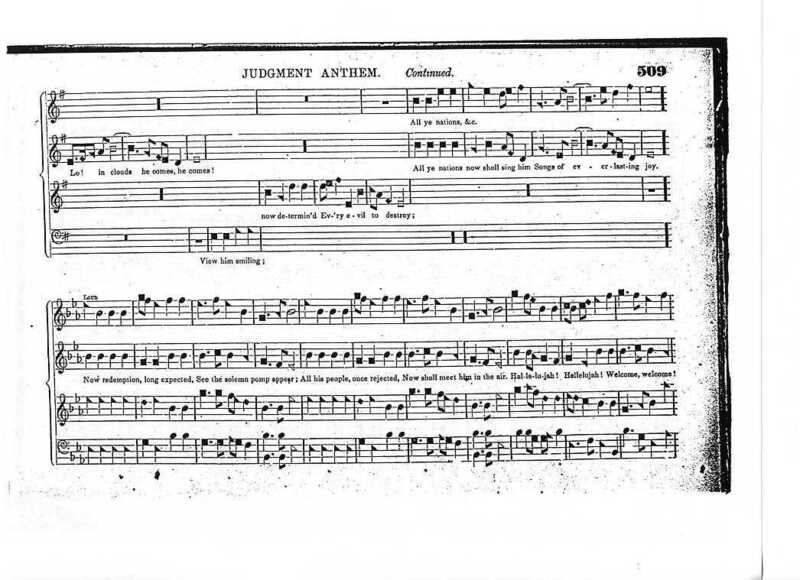 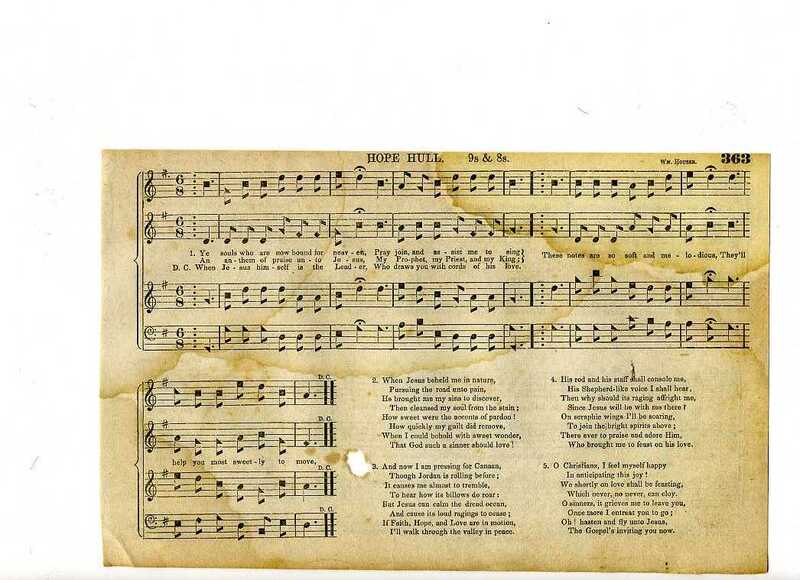 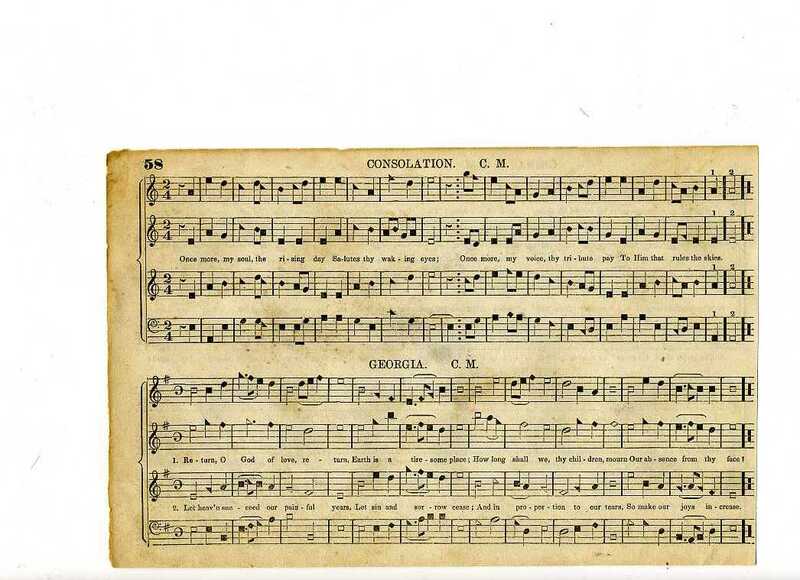 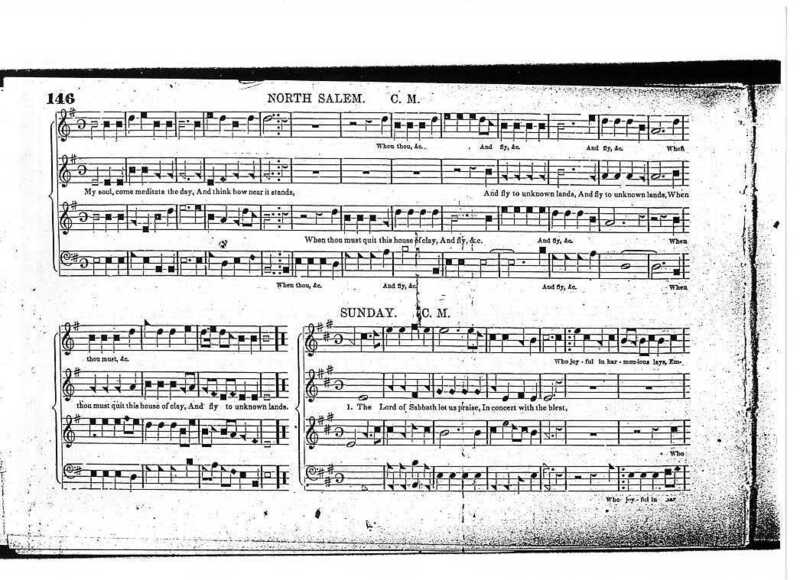 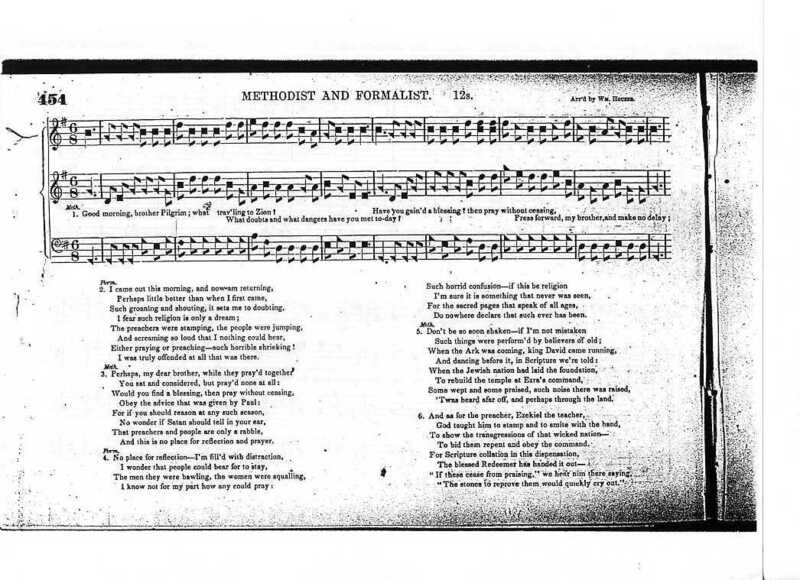 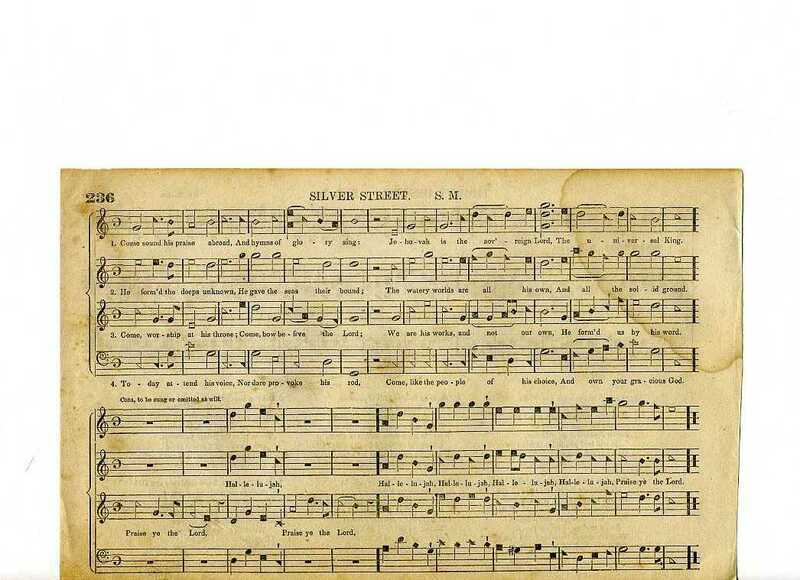 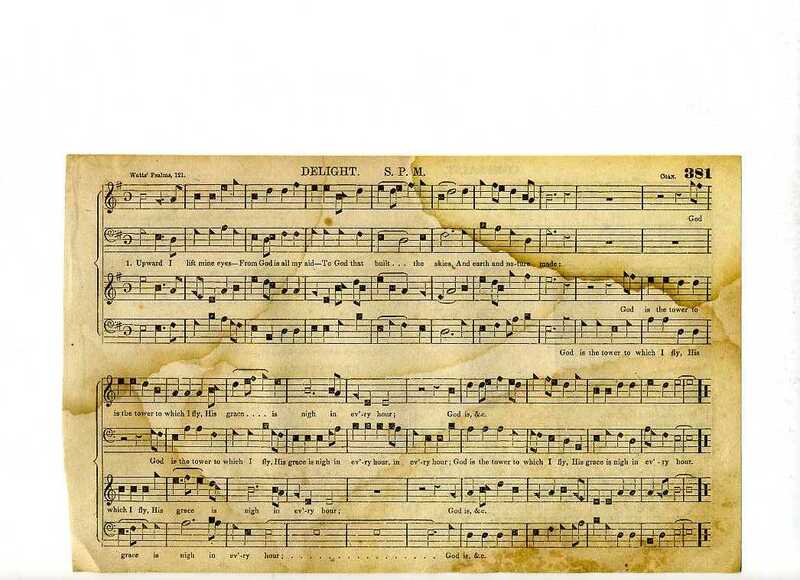 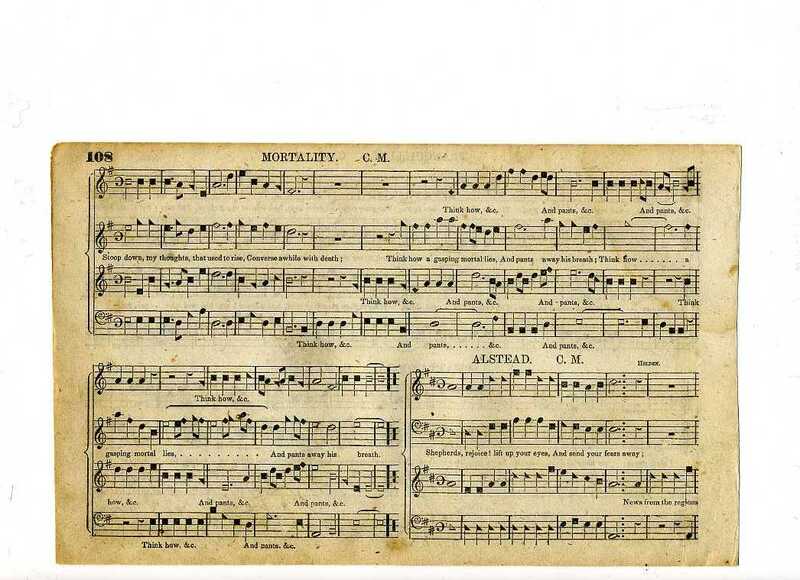 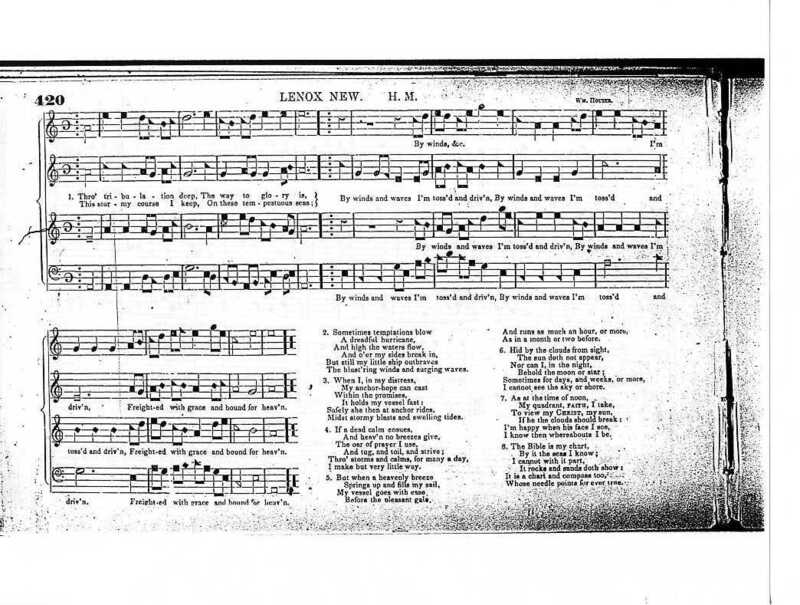 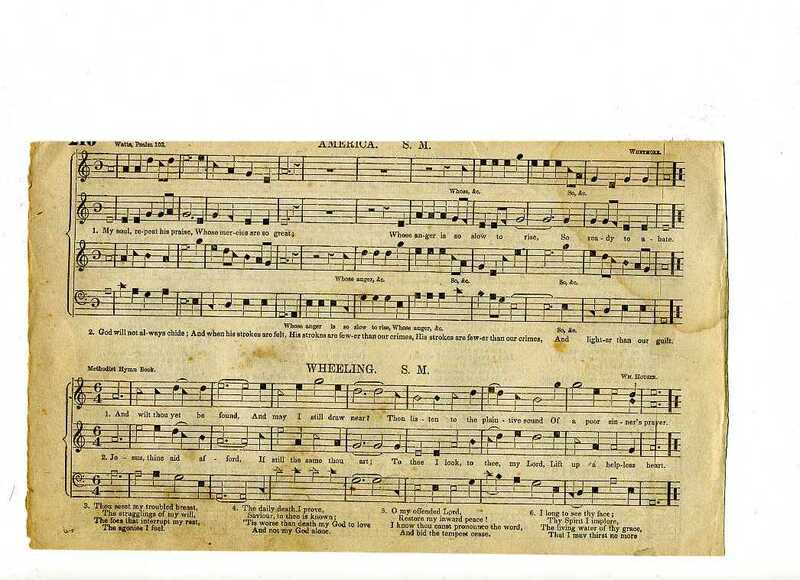 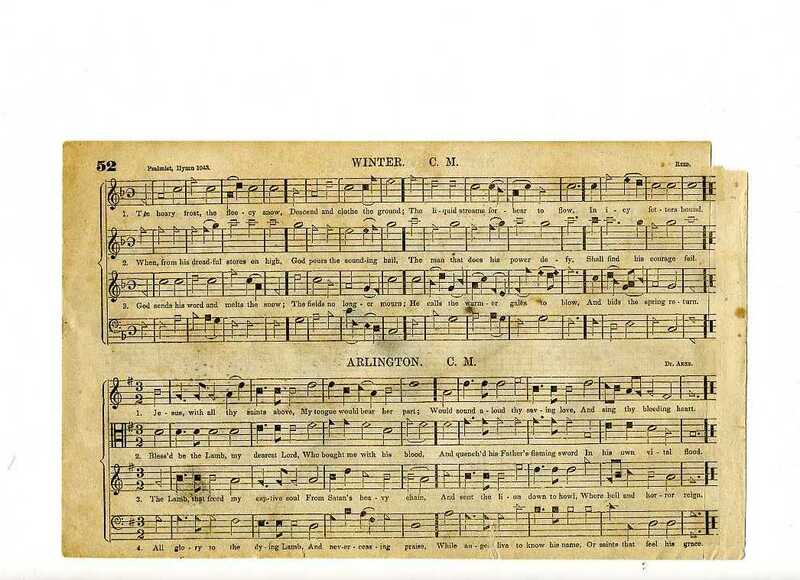 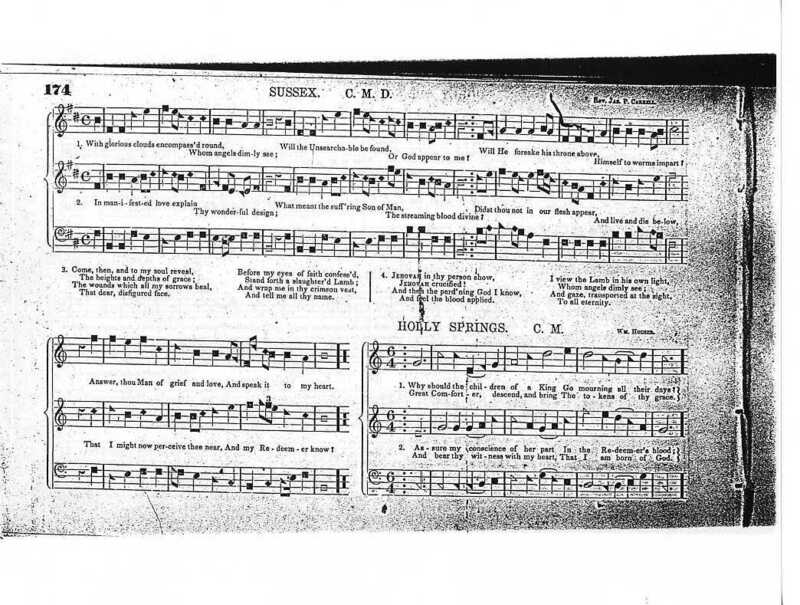 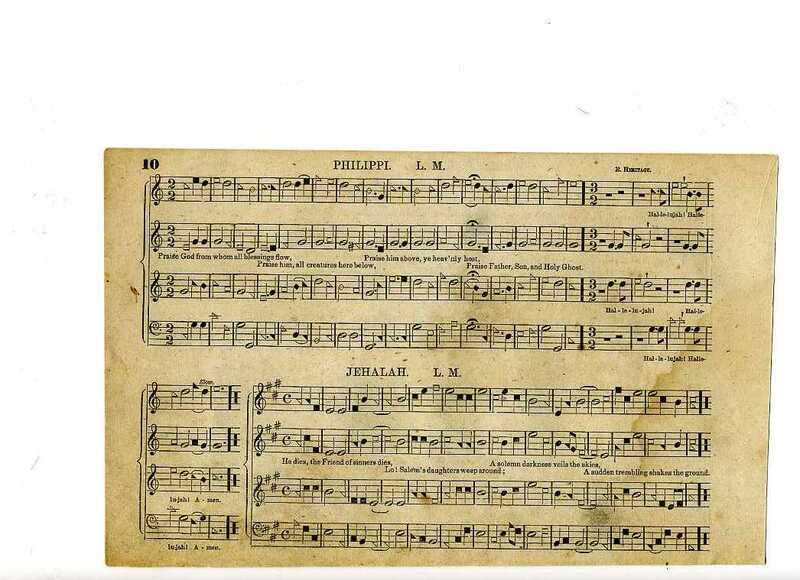 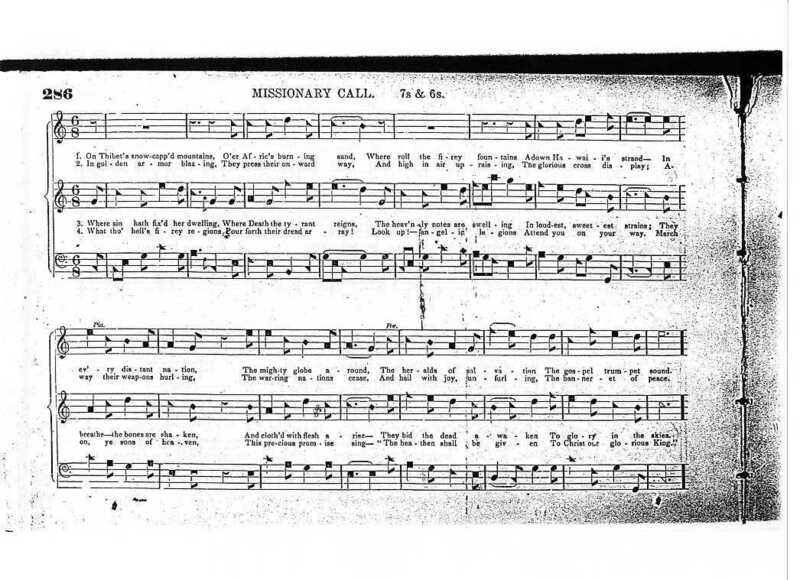 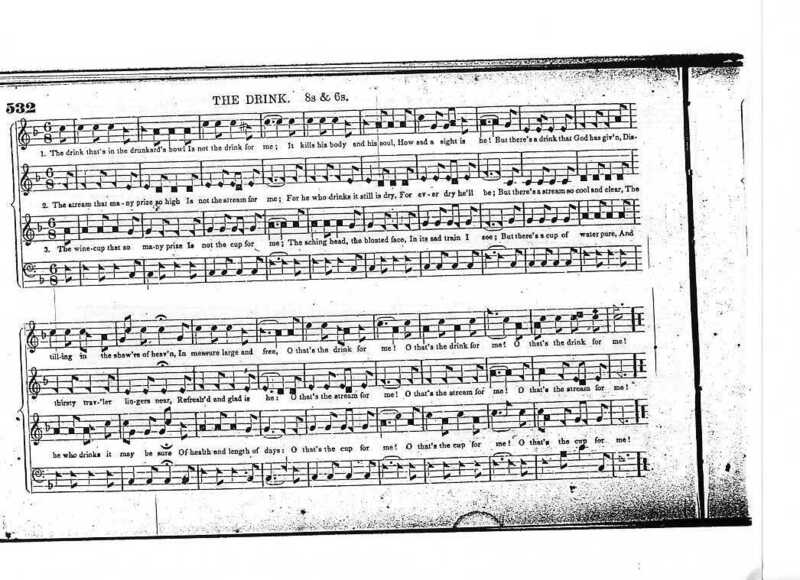 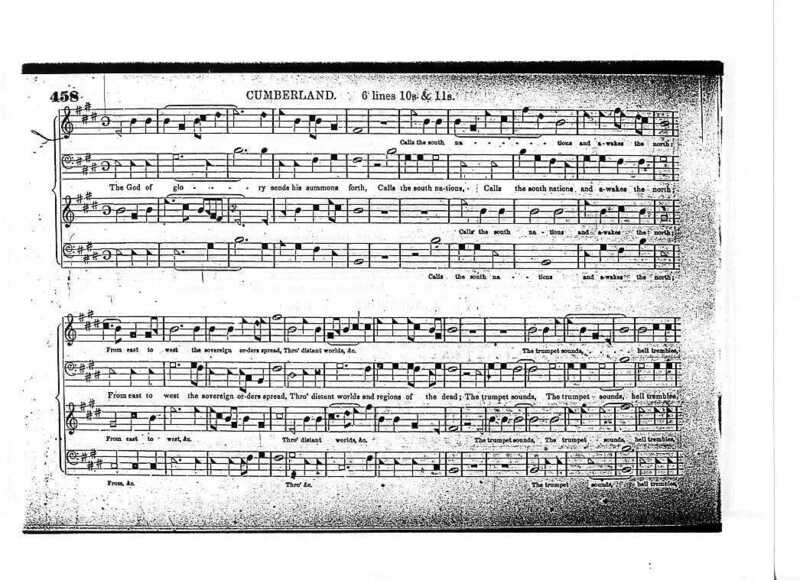 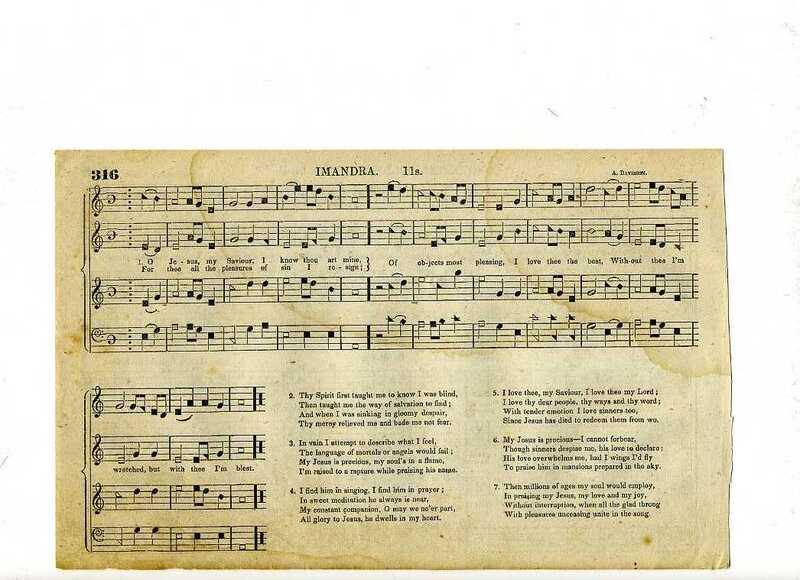 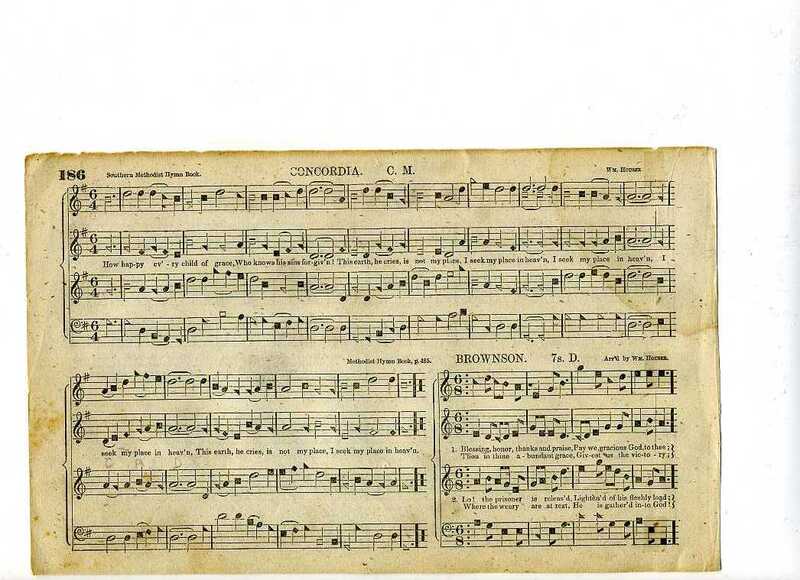 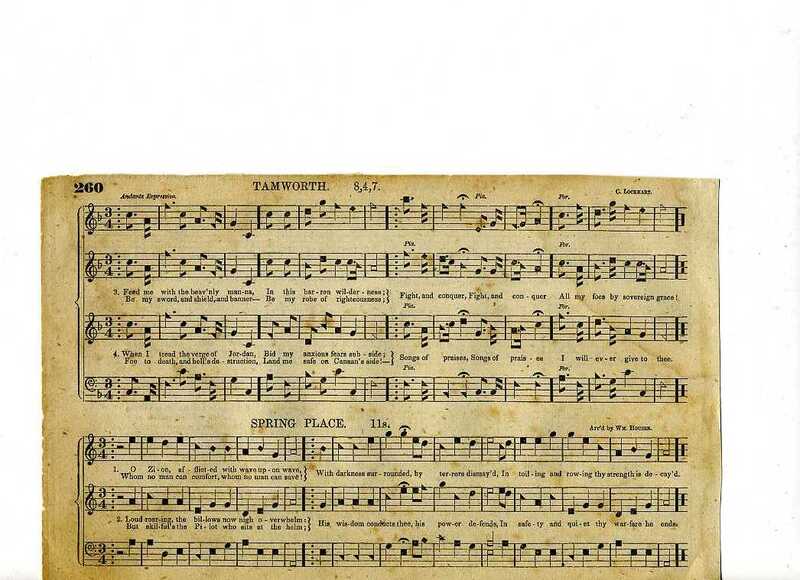 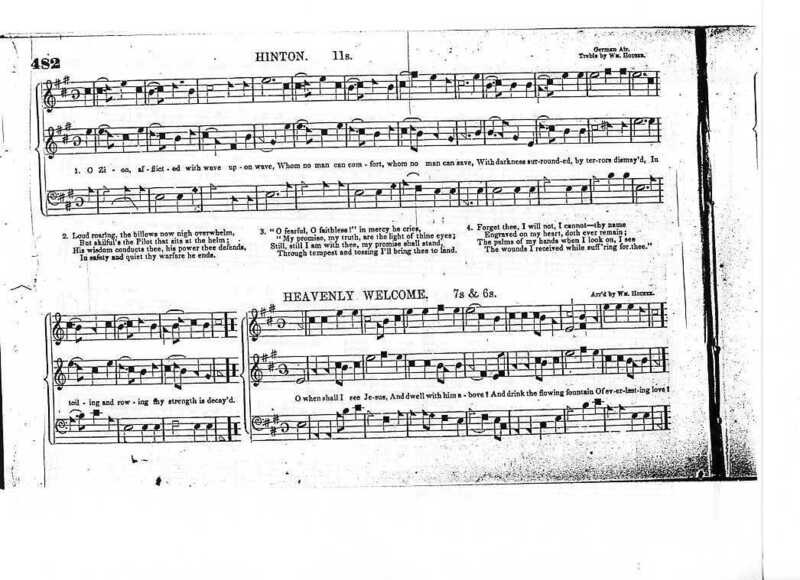 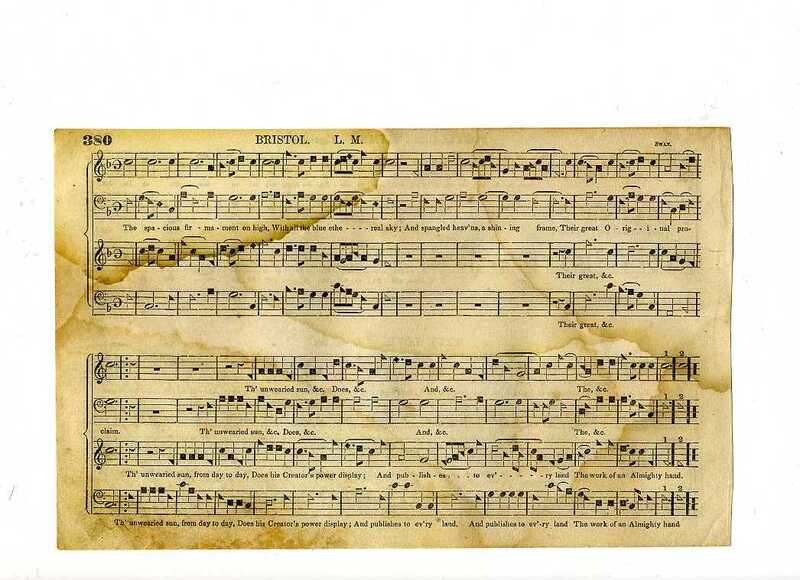 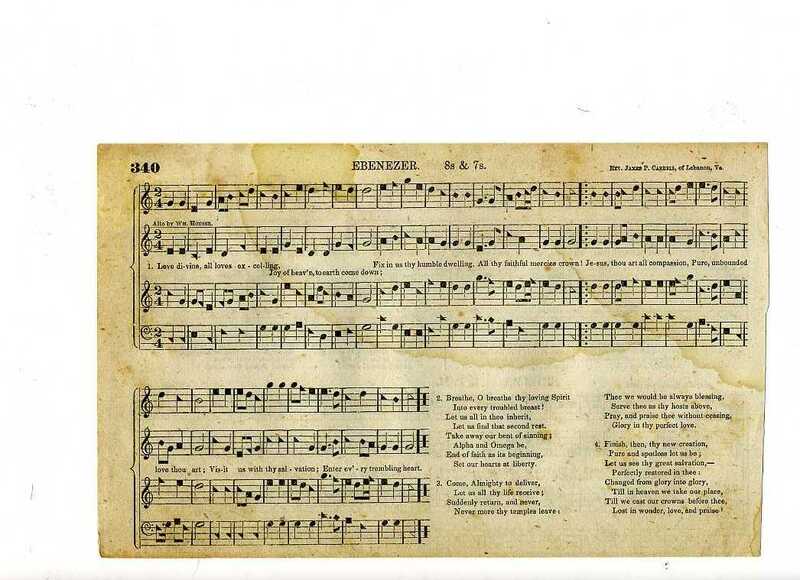 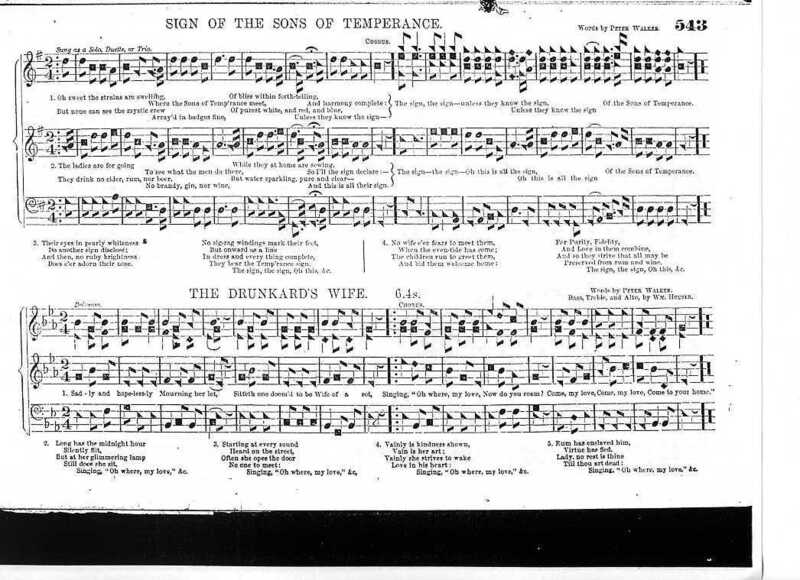 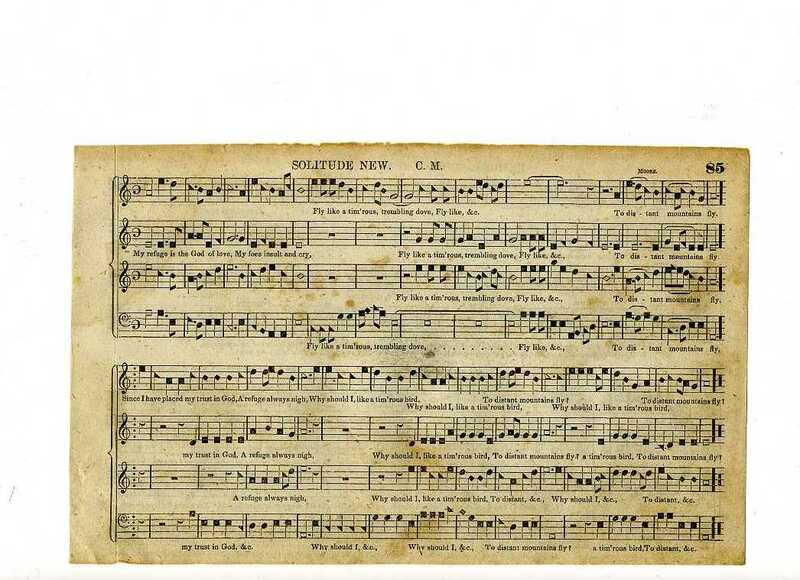 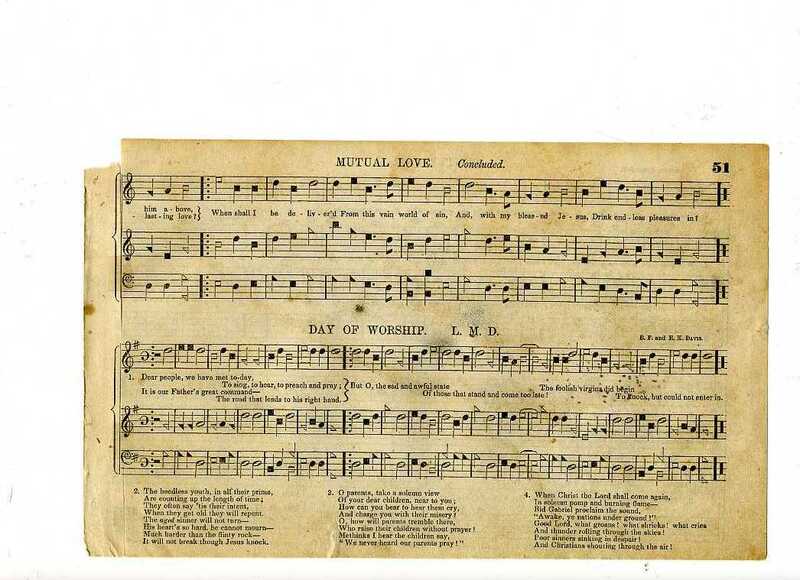 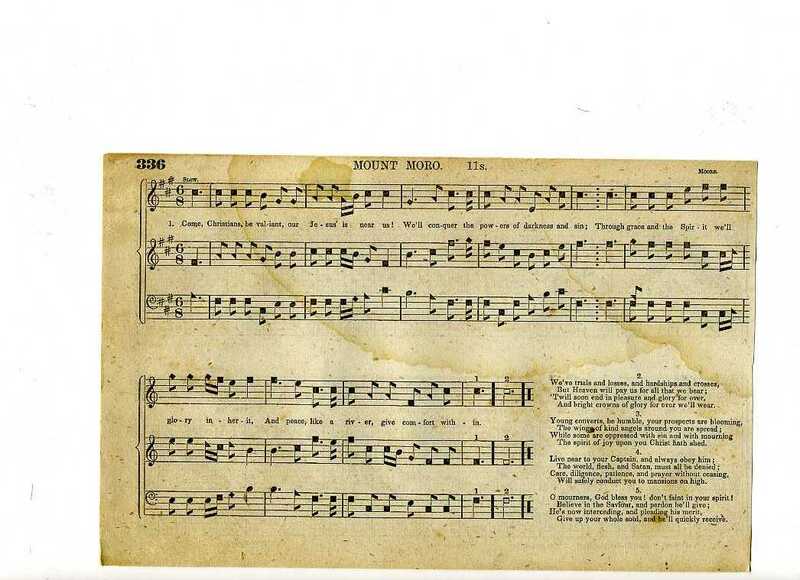 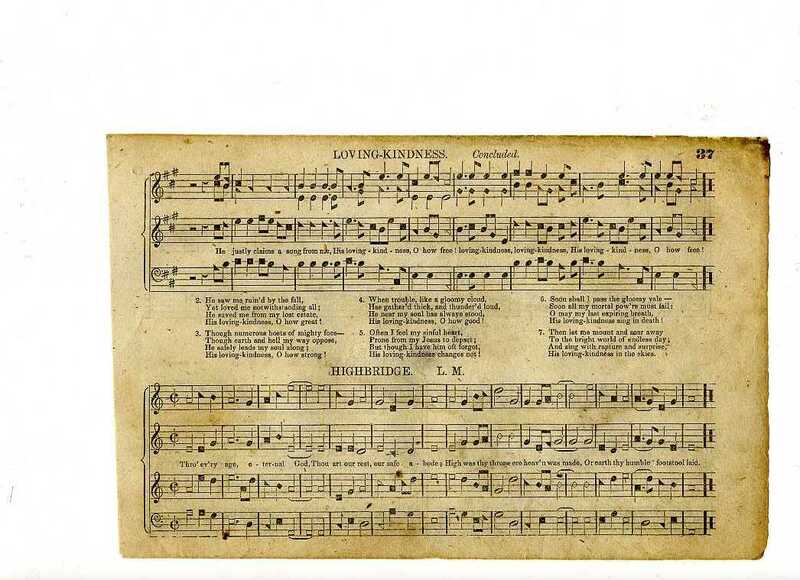 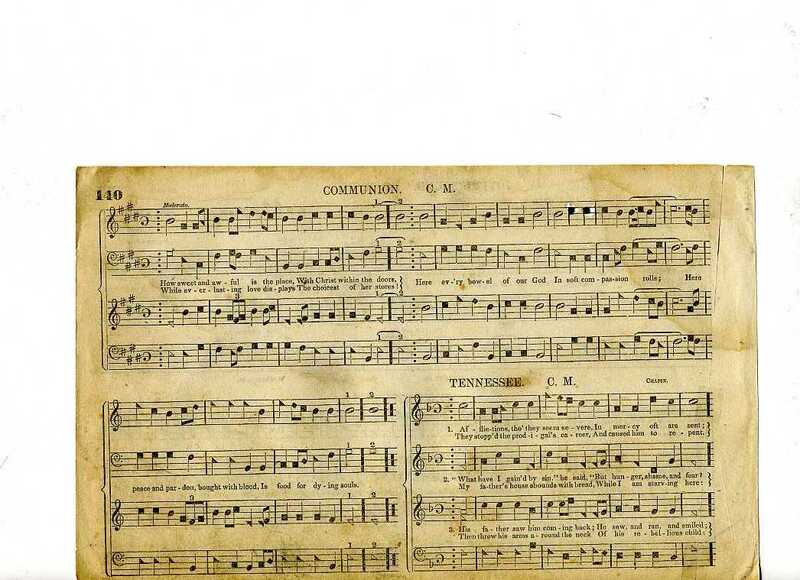 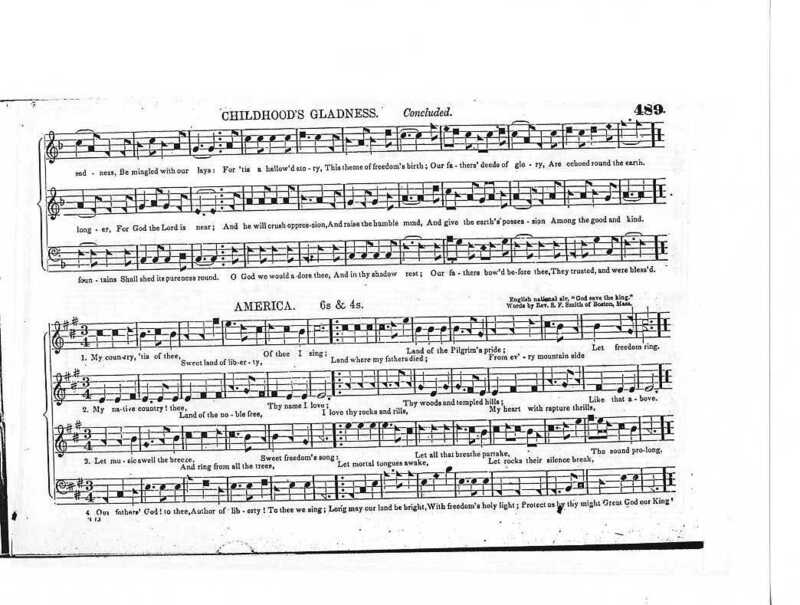 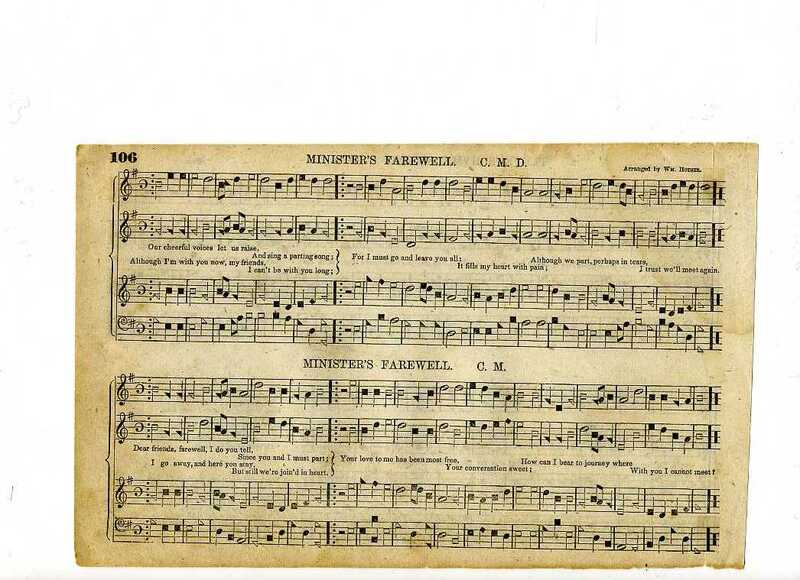 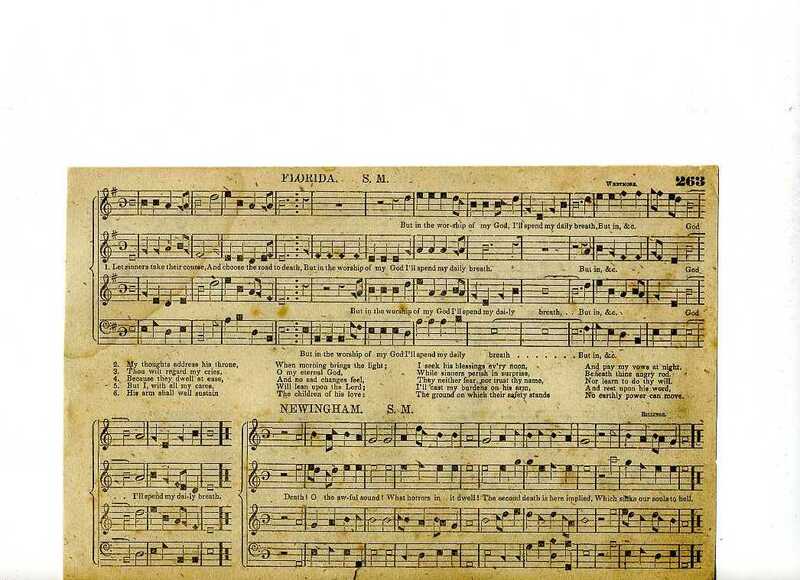 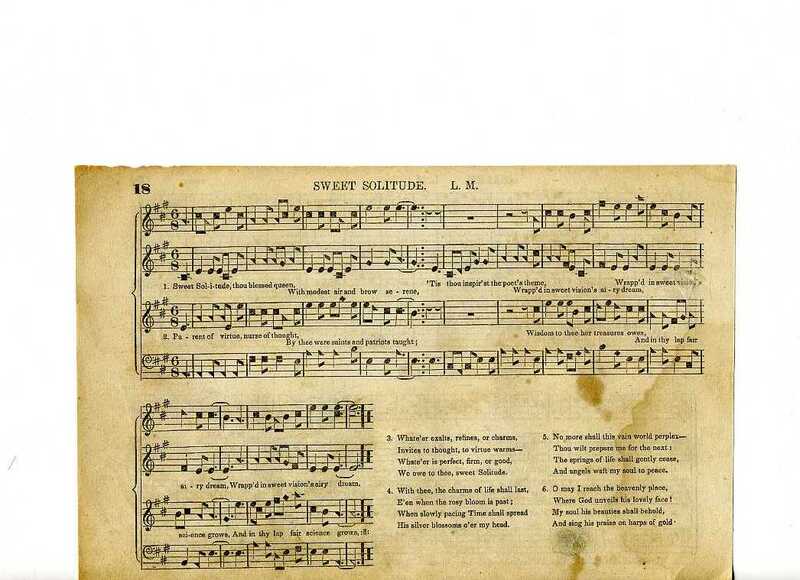 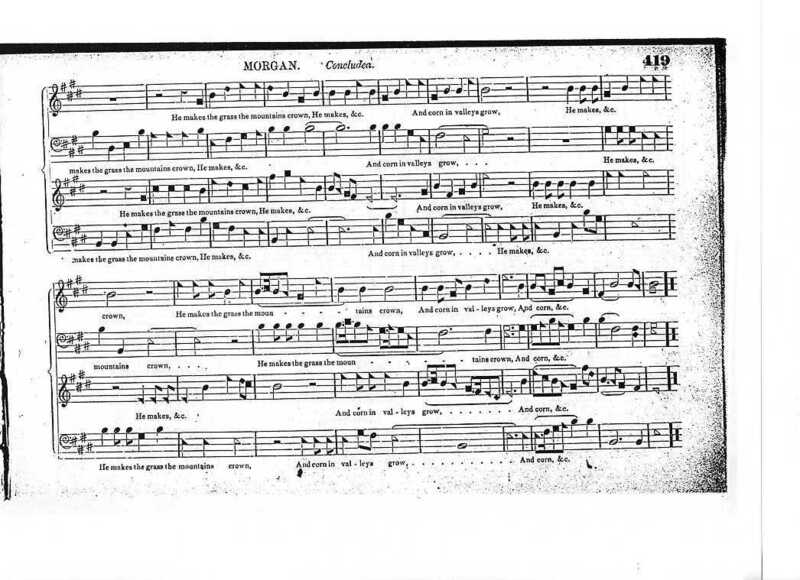 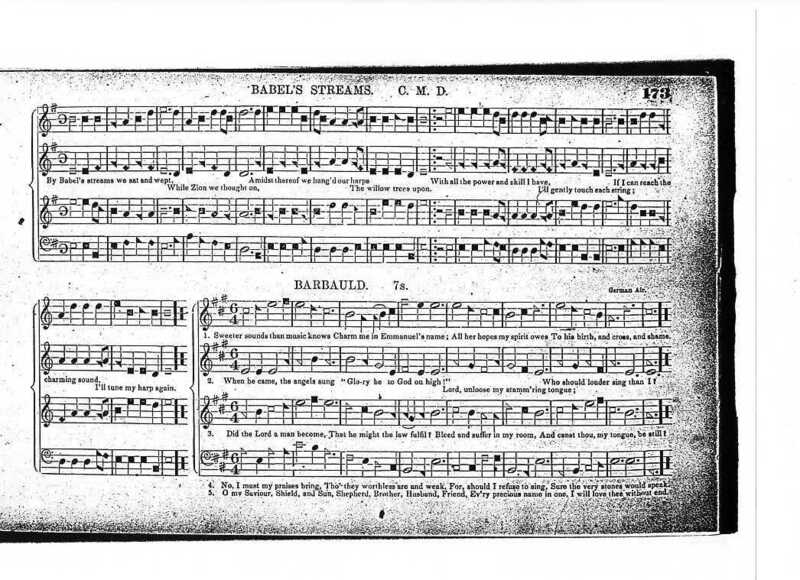 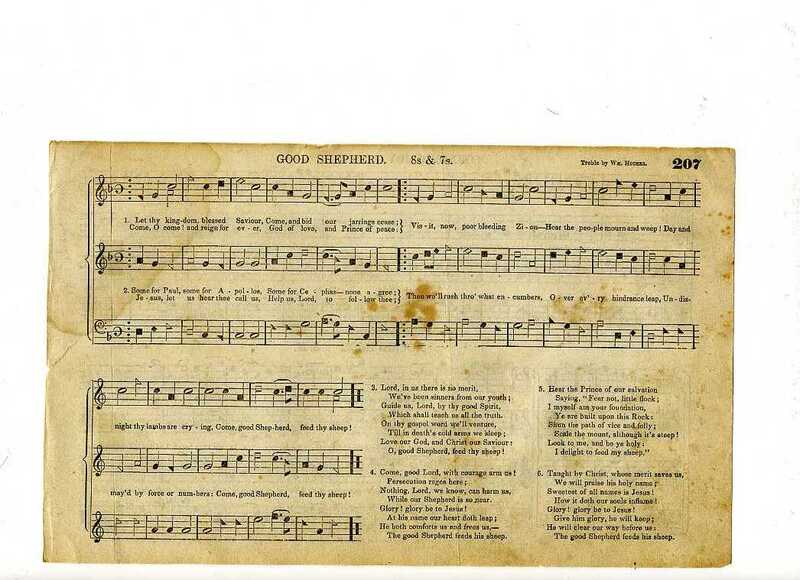 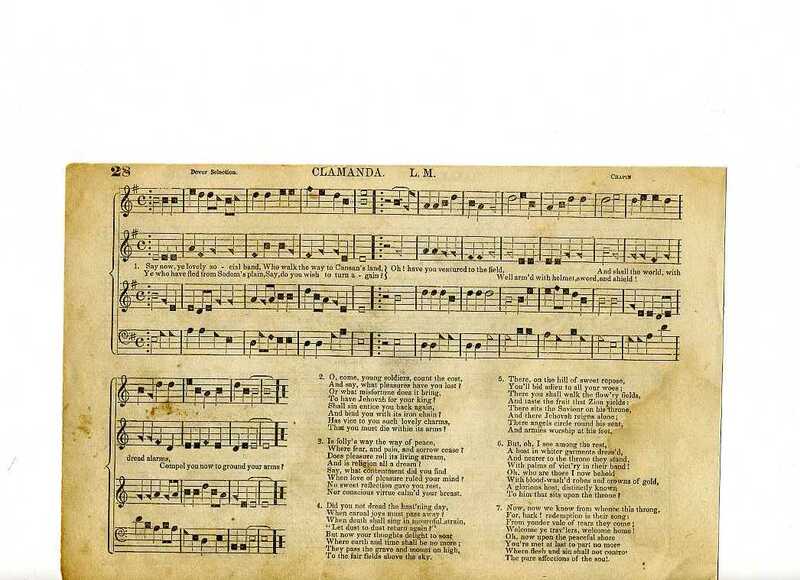 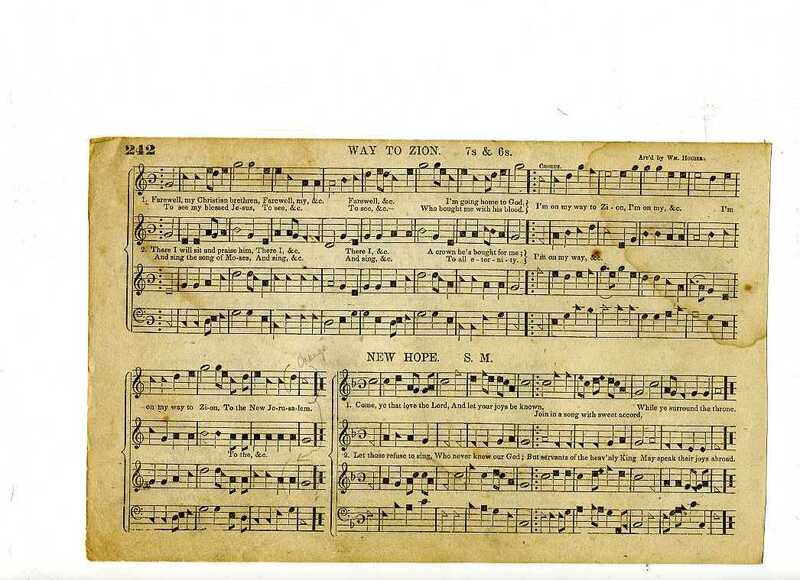 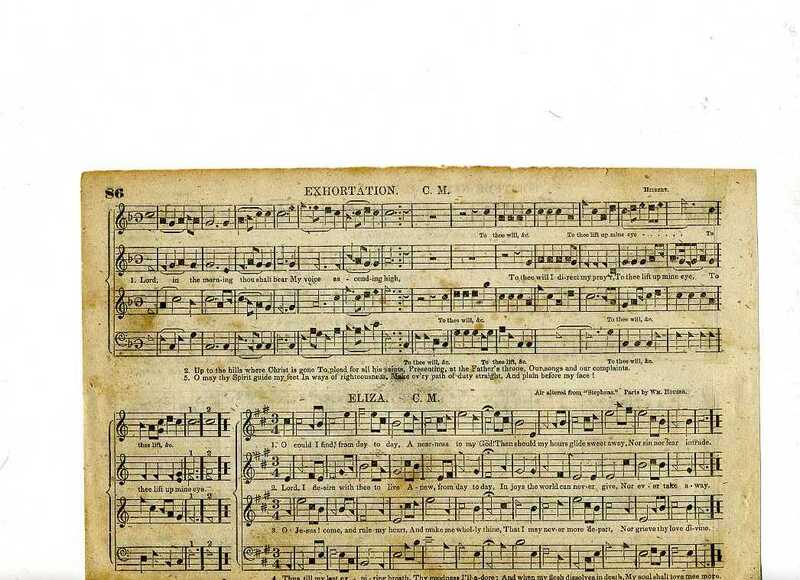 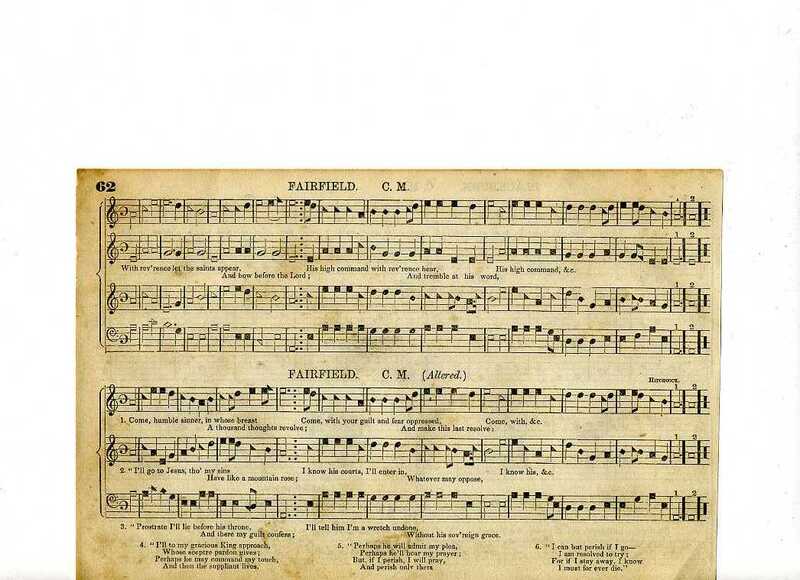 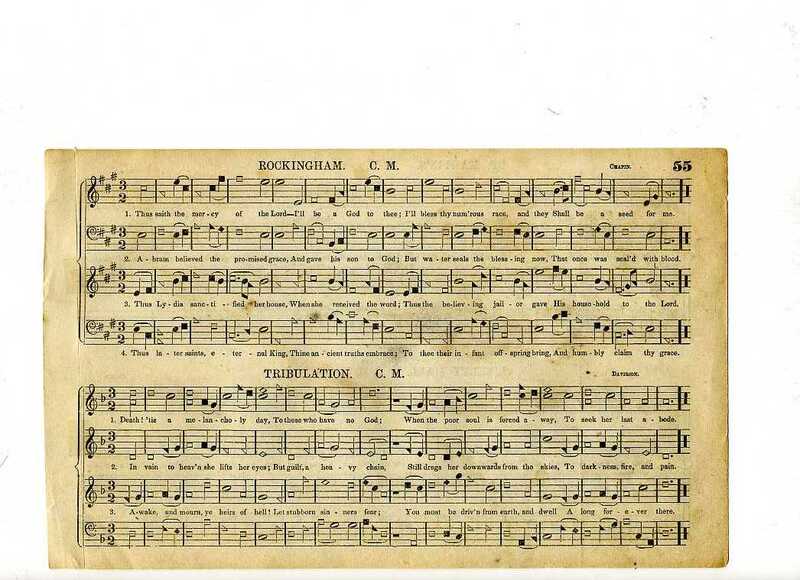 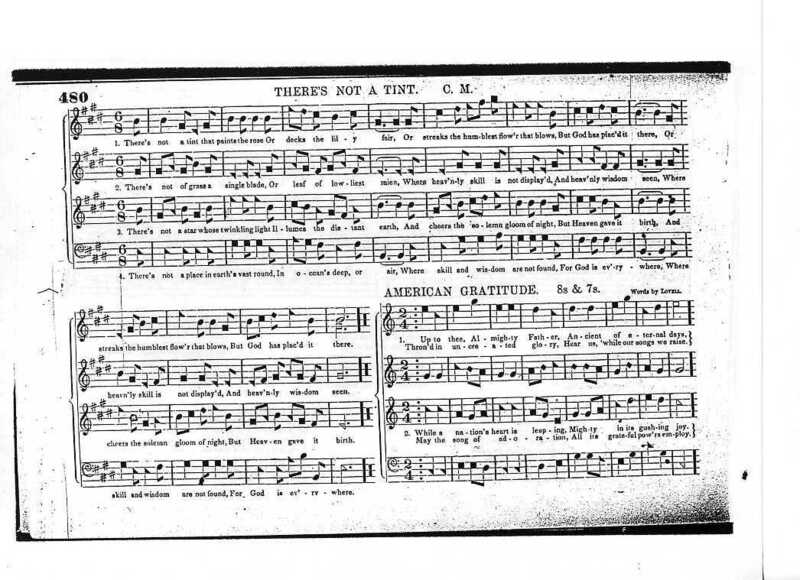 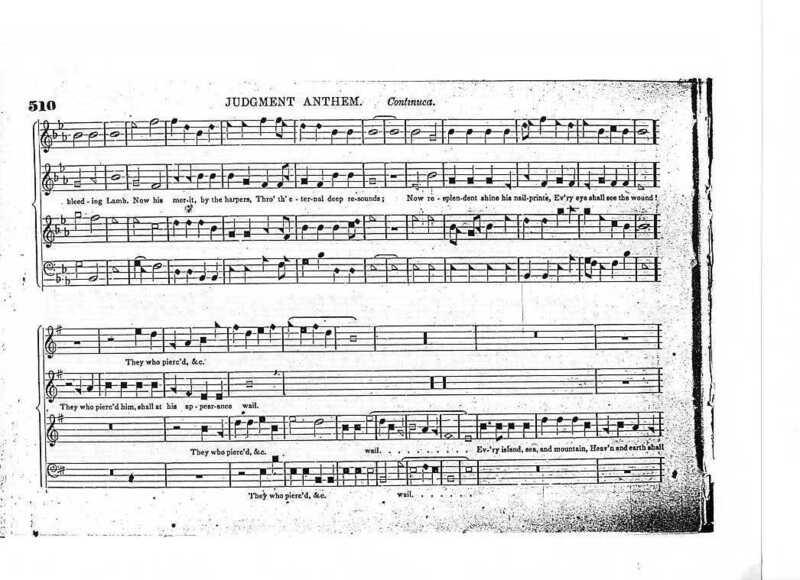 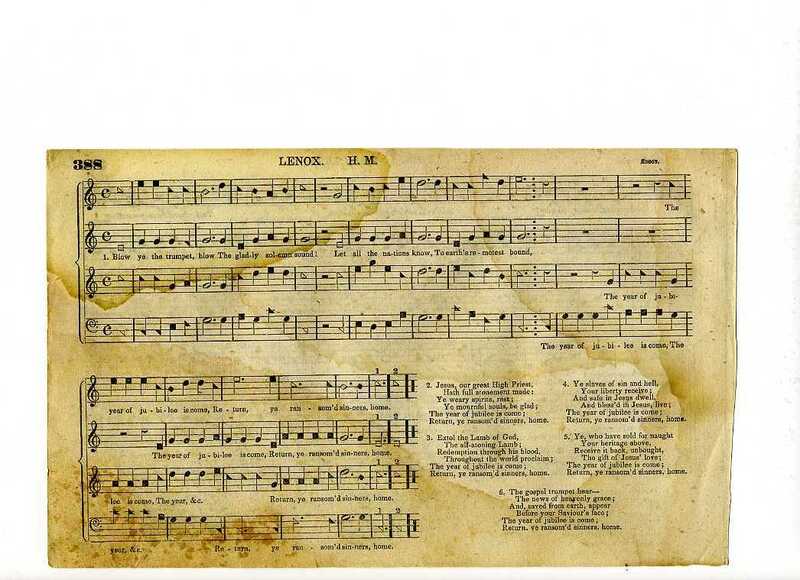 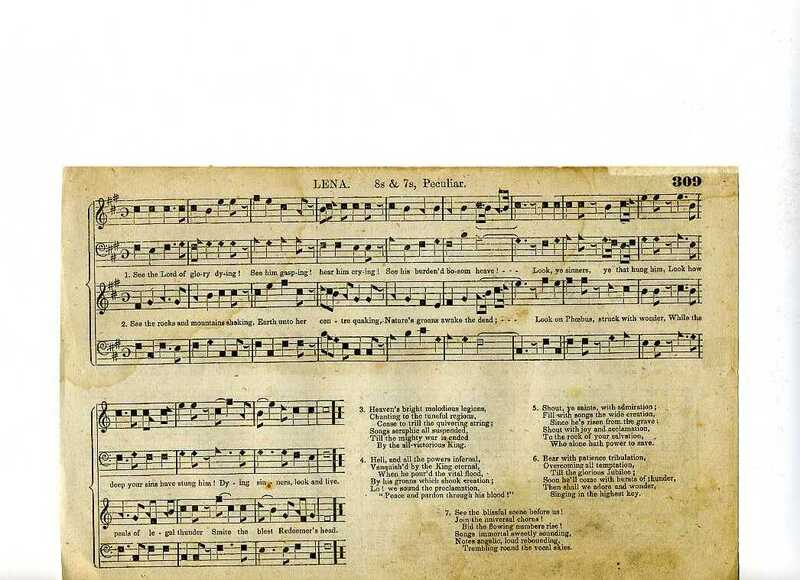 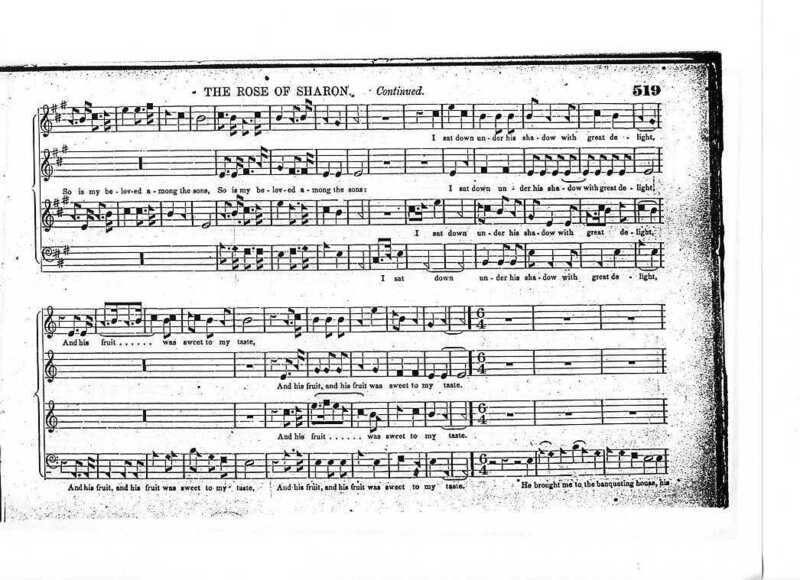 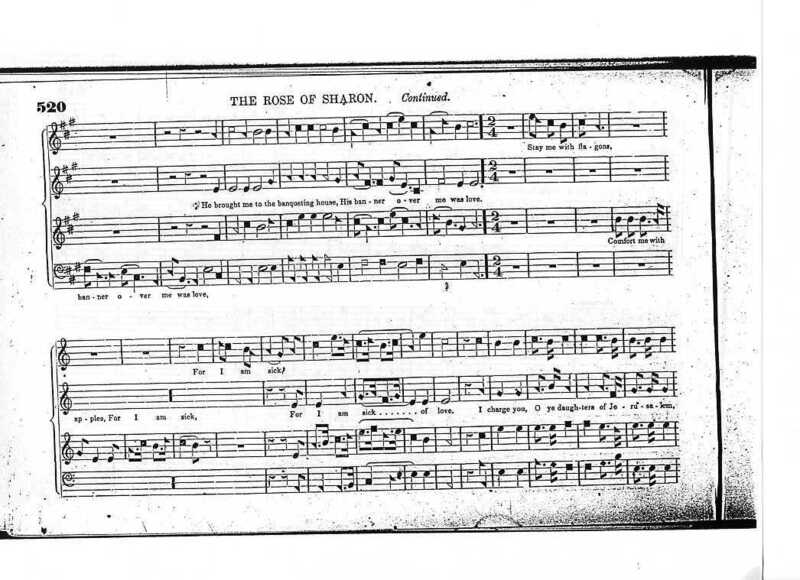 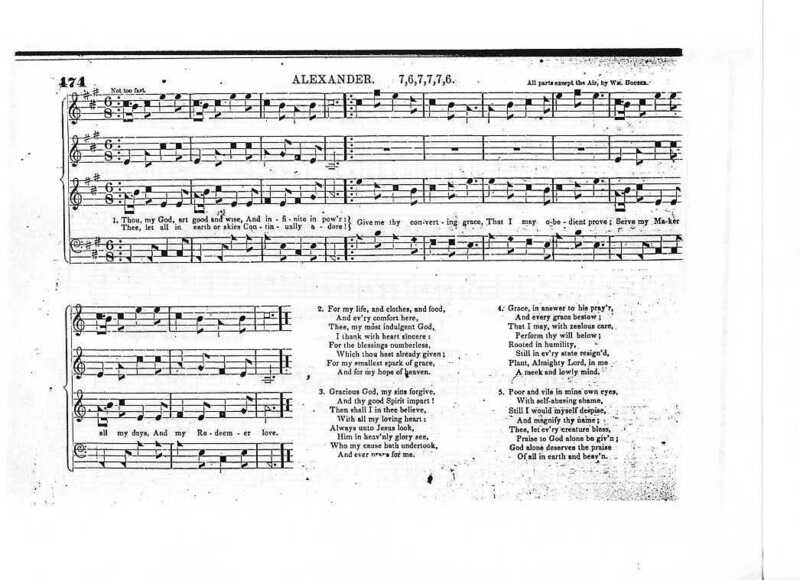 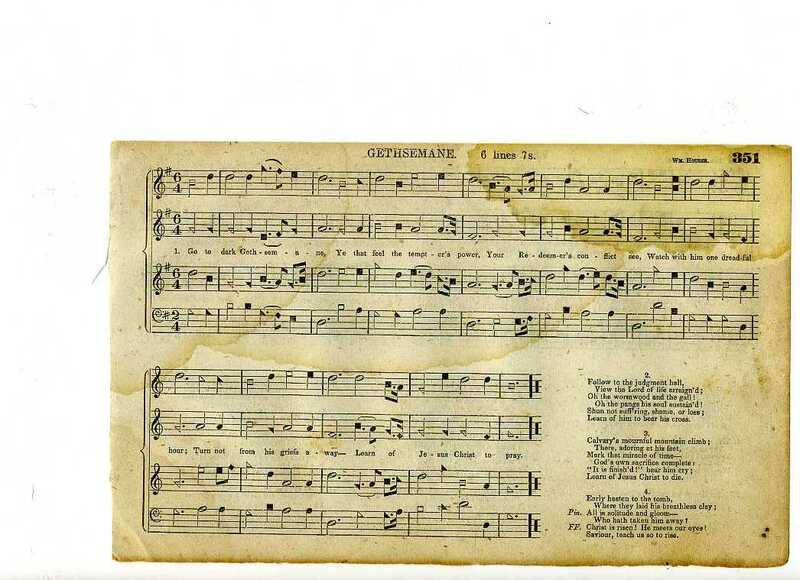 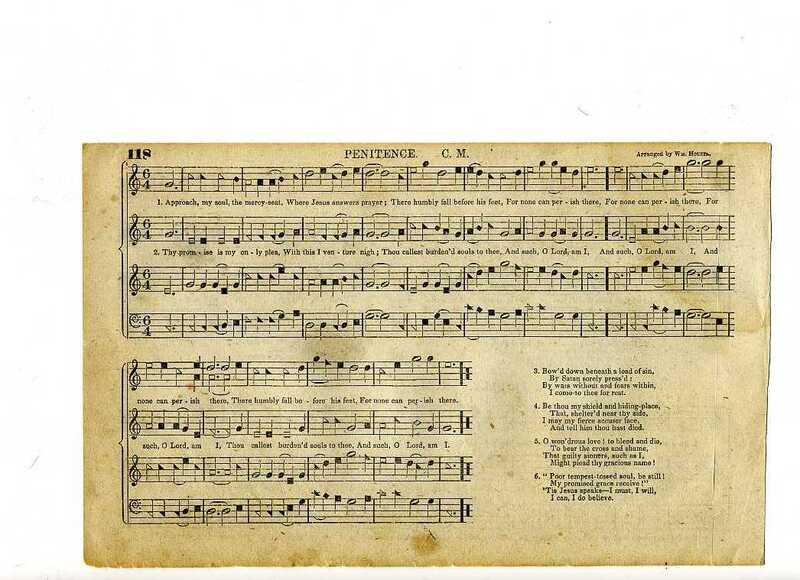 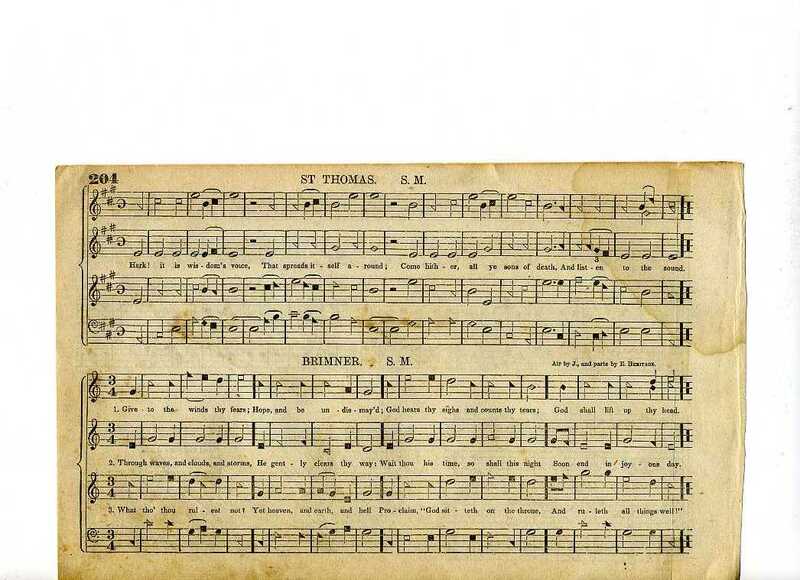 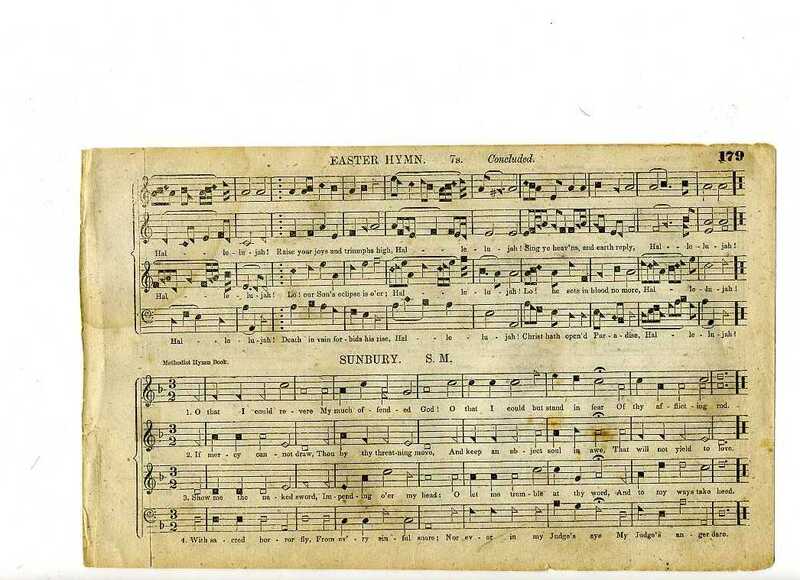 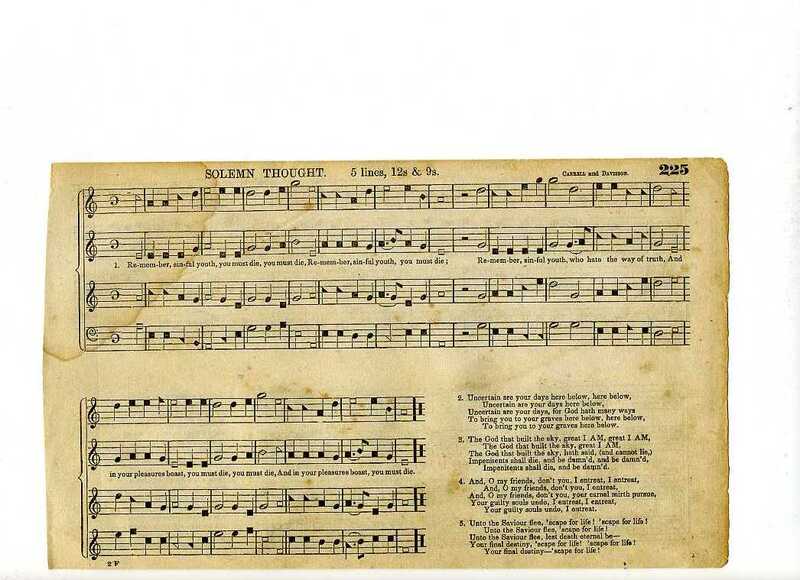 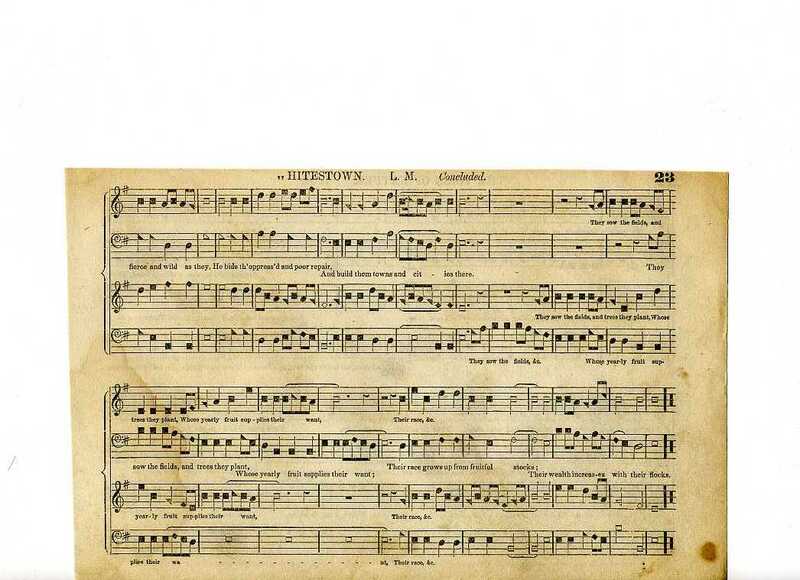 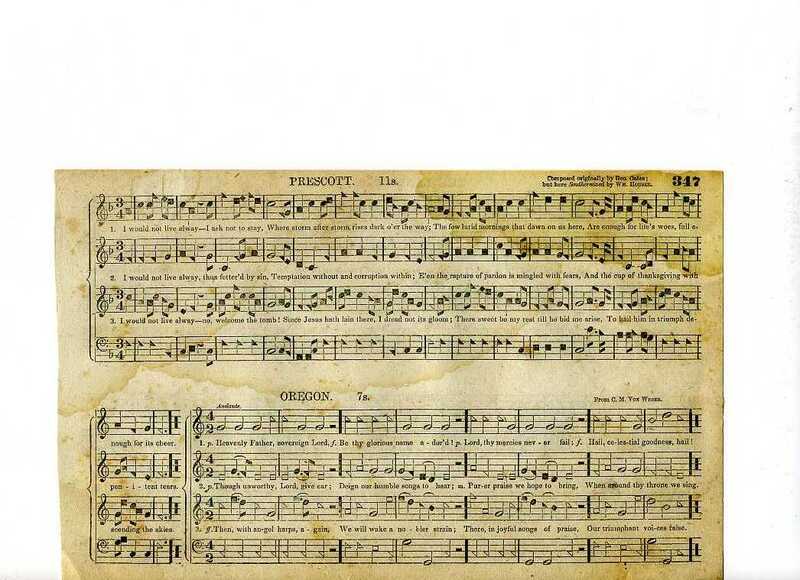 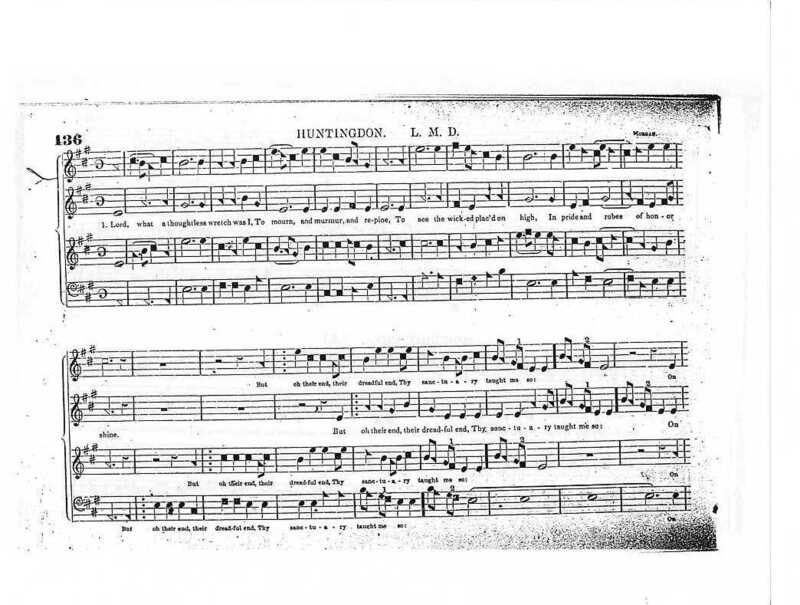 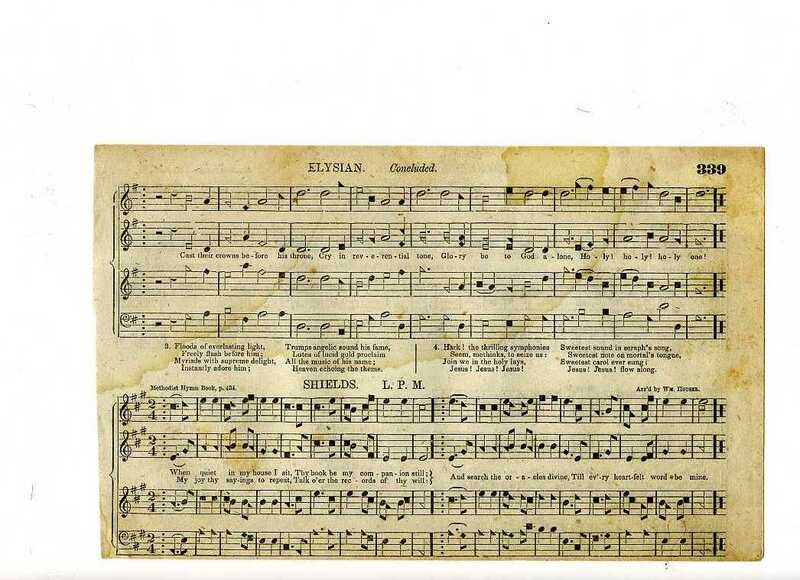 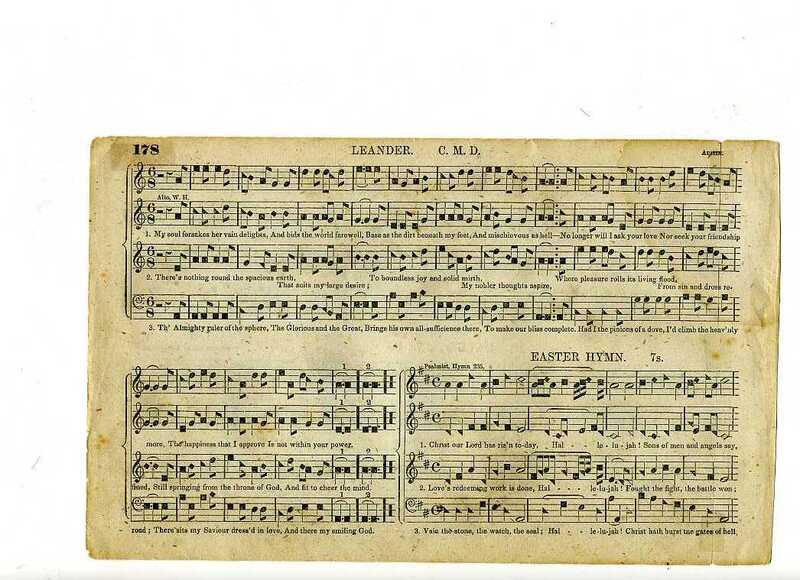 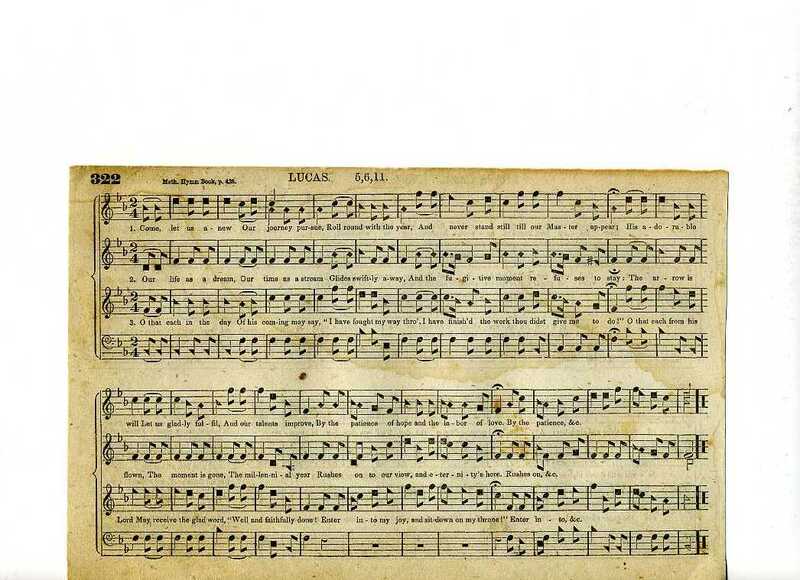 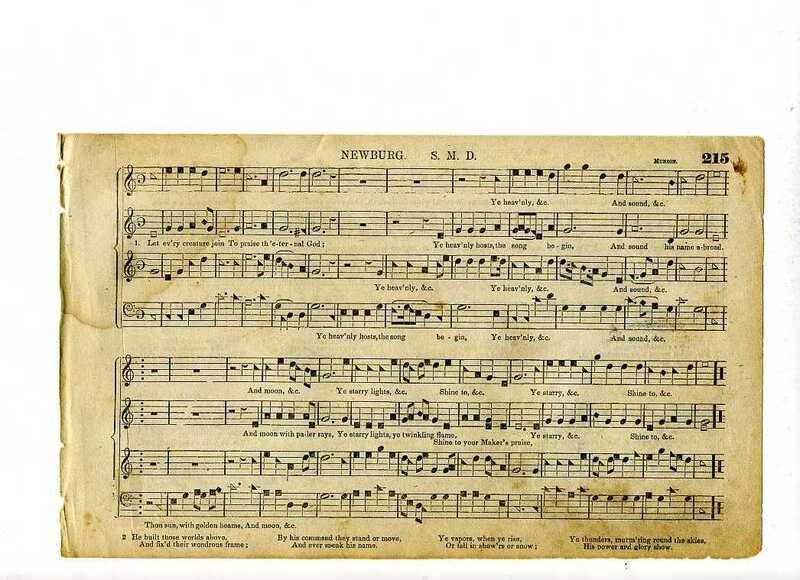 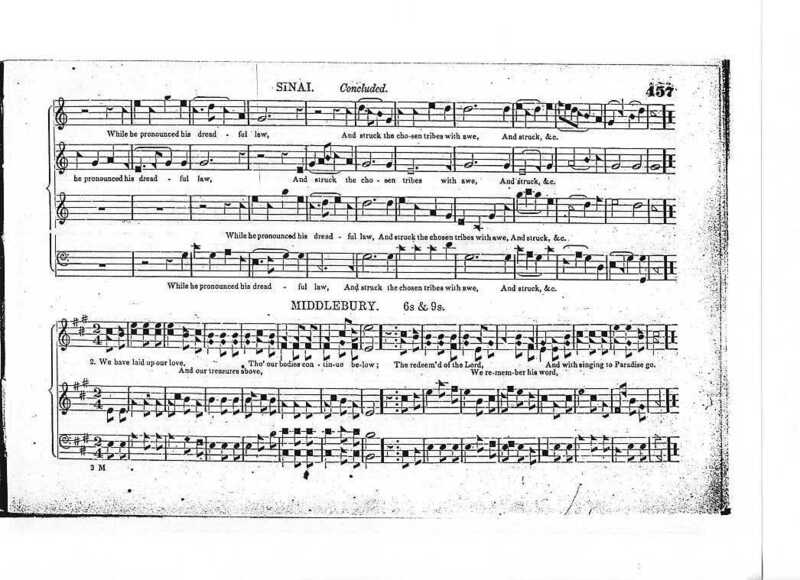 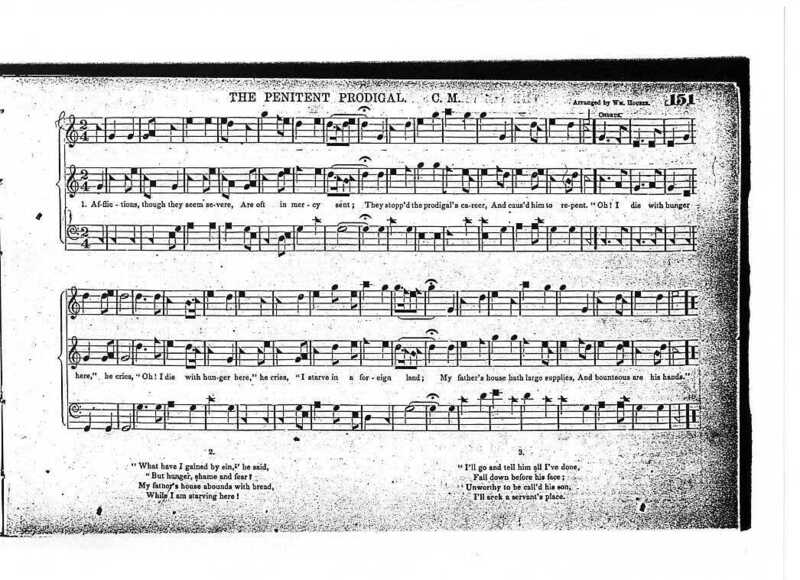 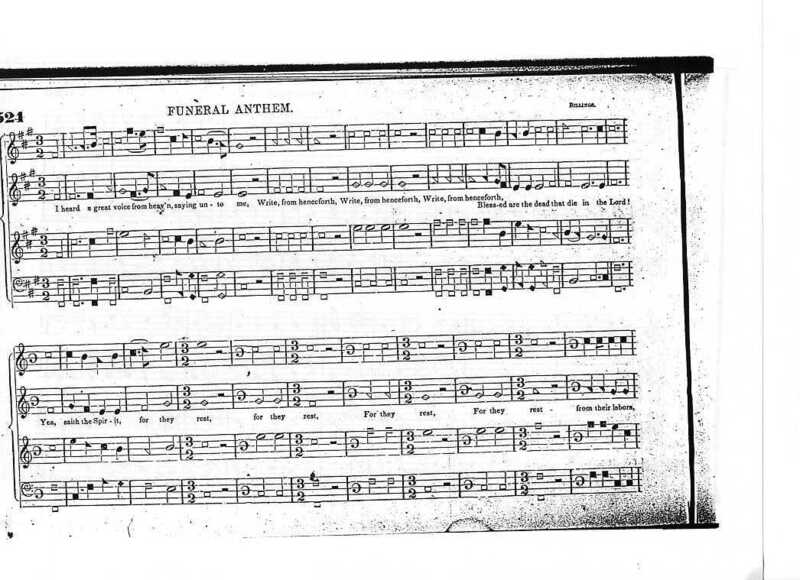 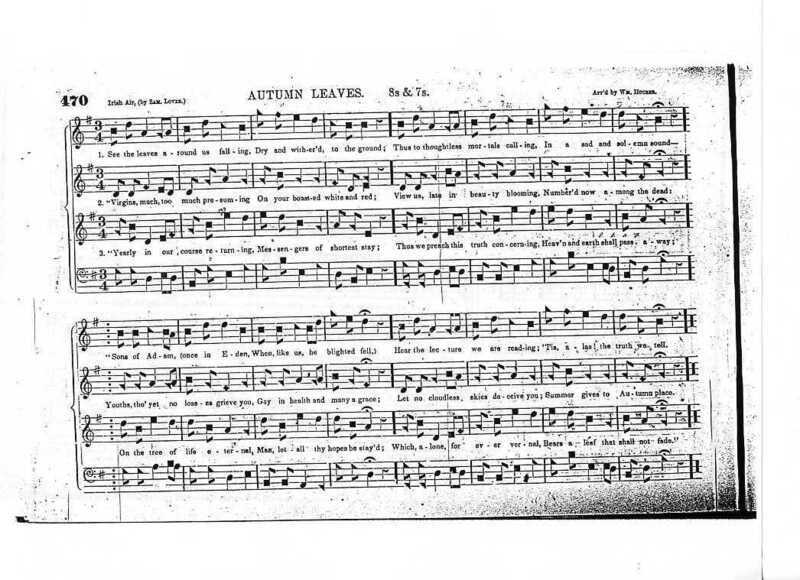 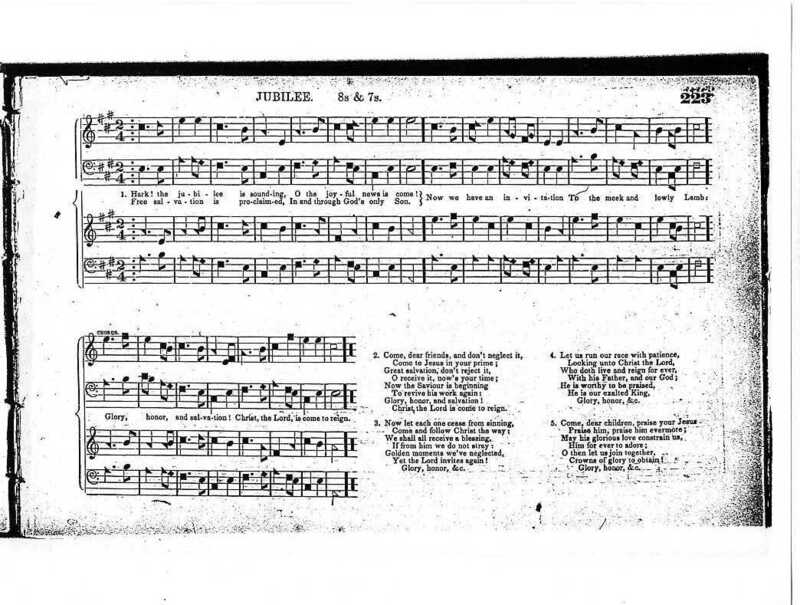 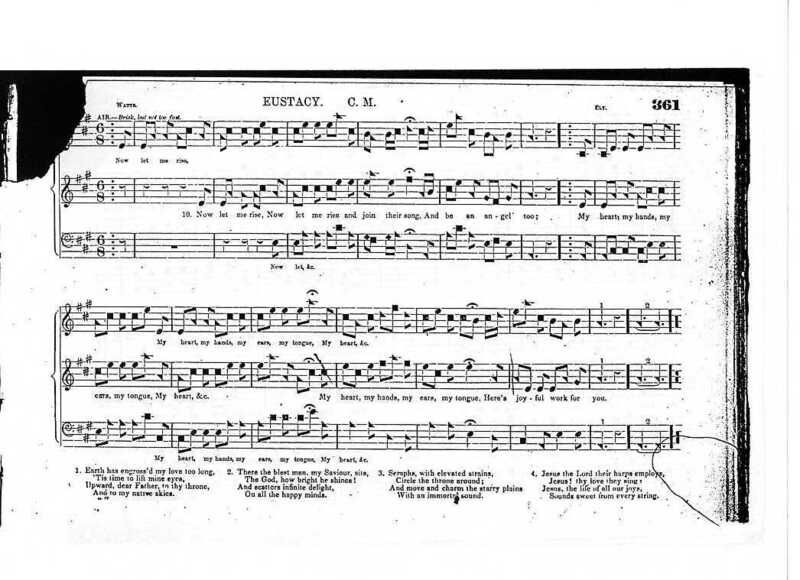 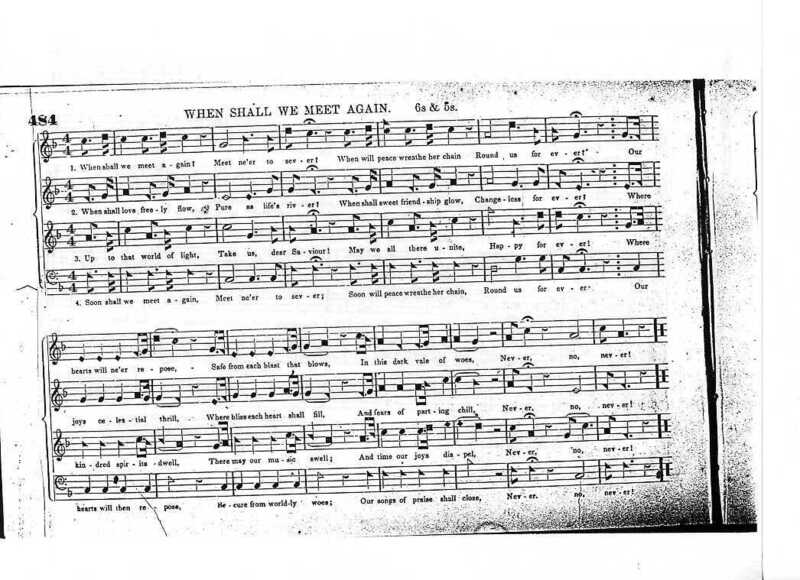 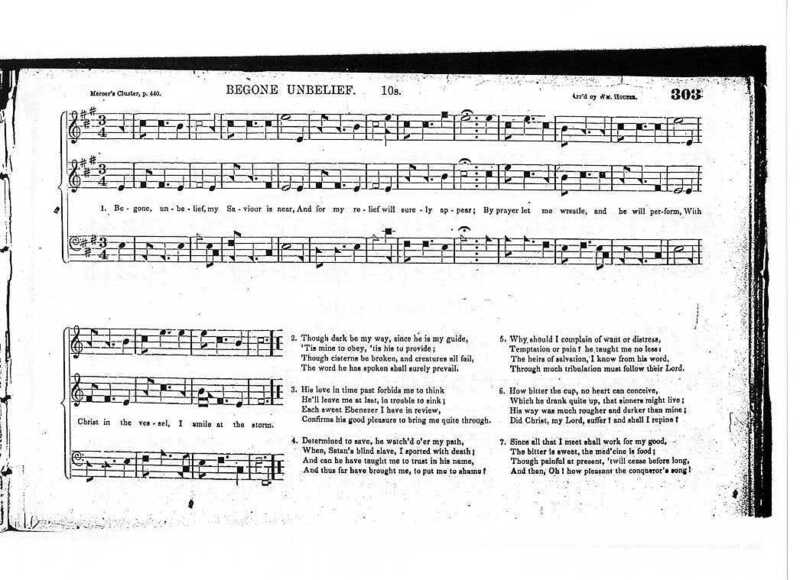 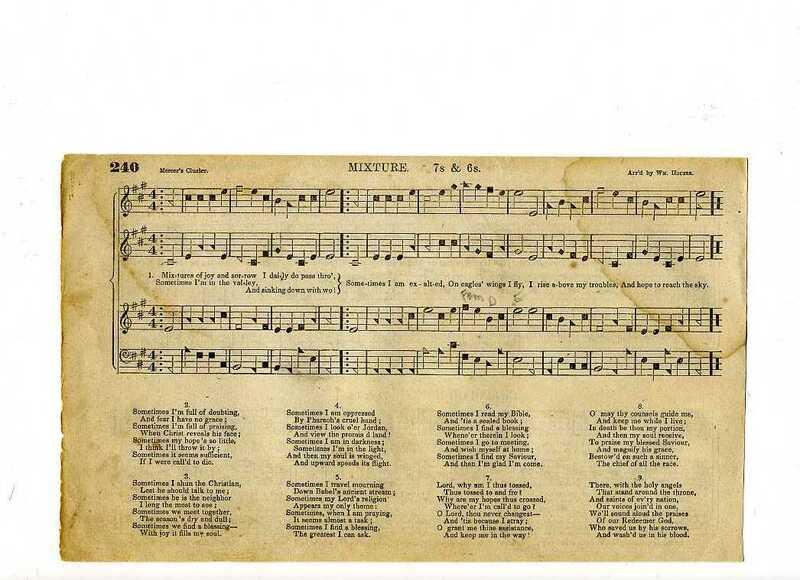 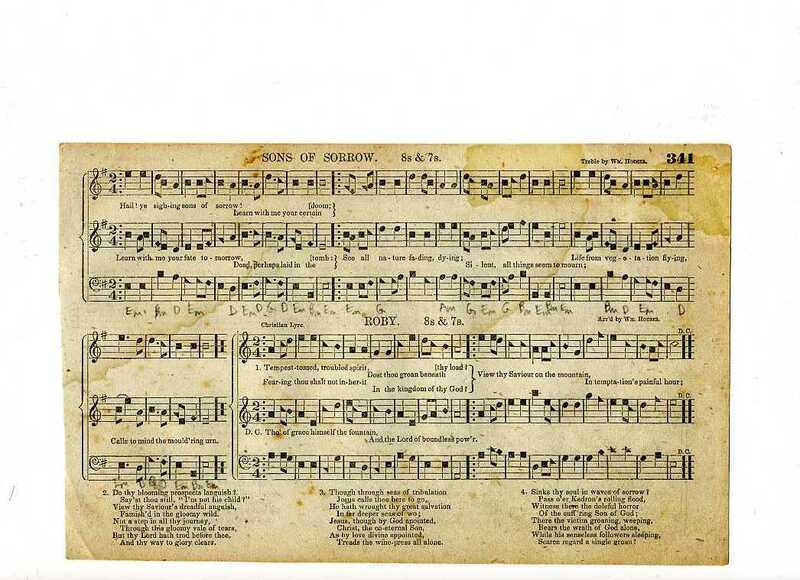 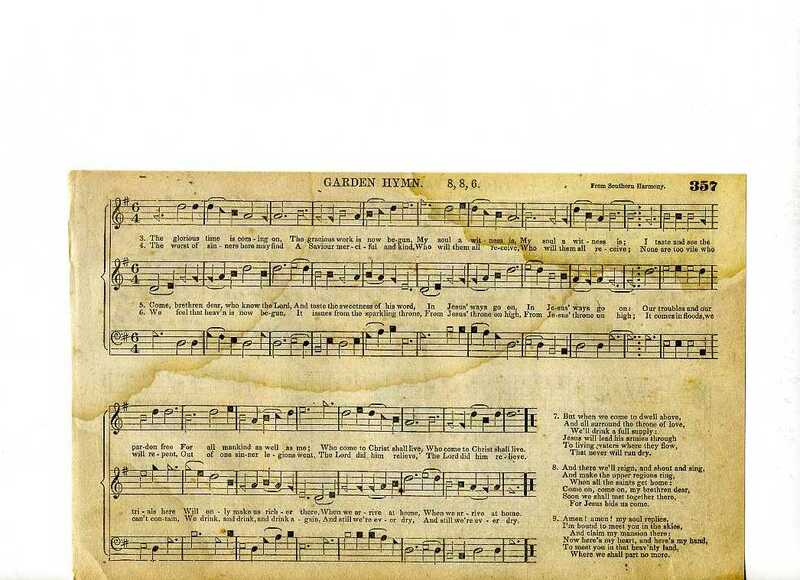 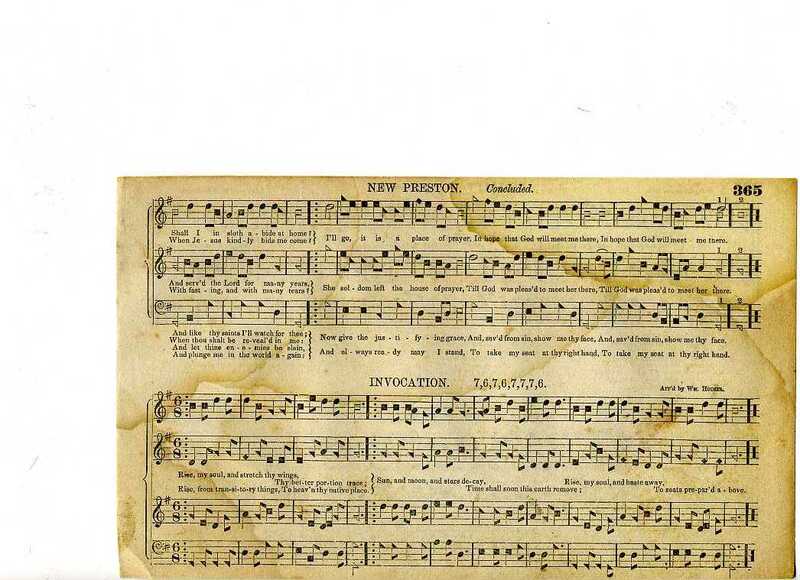 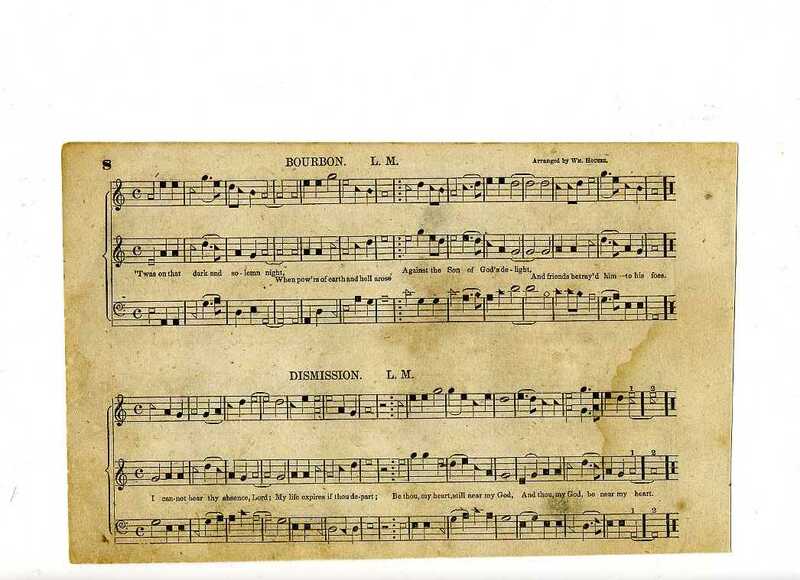 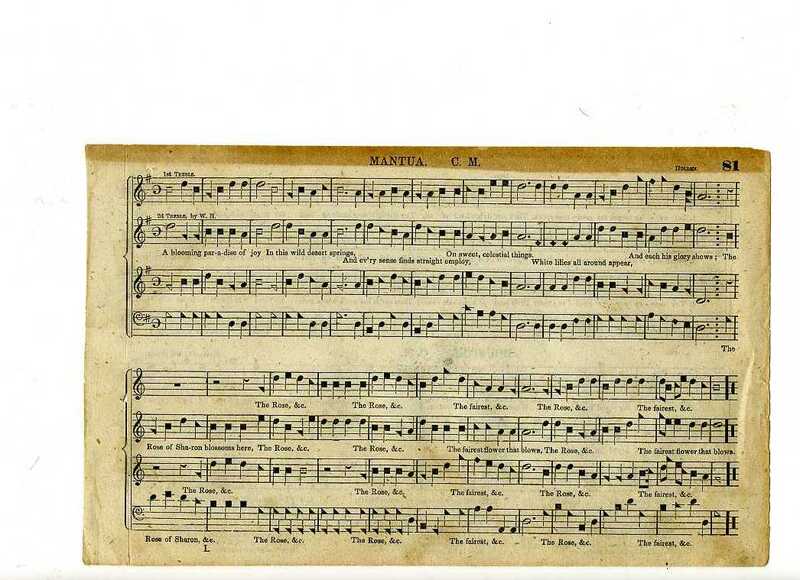 In the following Table of Contents, unless stated otherwise, comparison tunes are from "The Sacred Harp", missing or incorrect composer attributions are provided in parentheses, and. 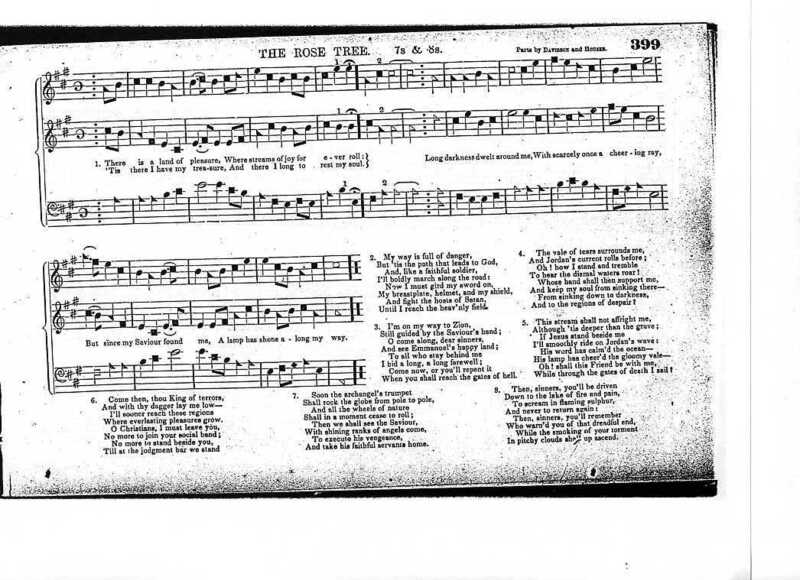 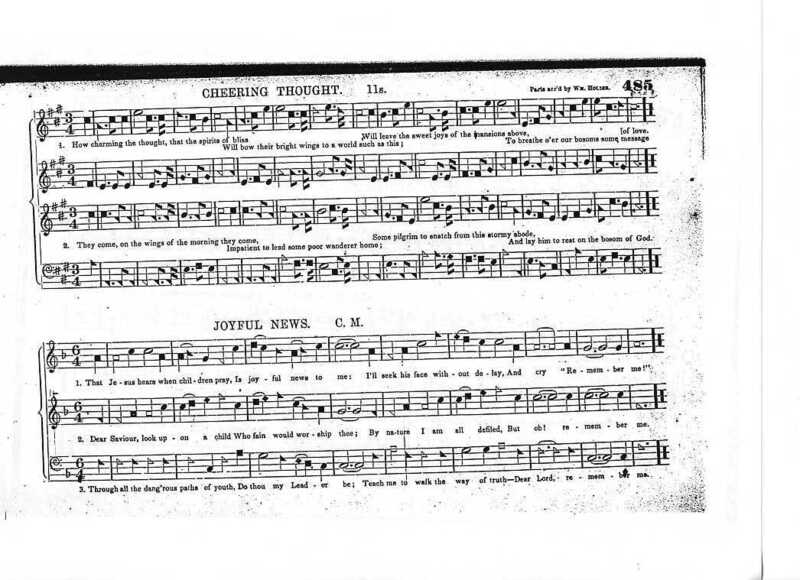 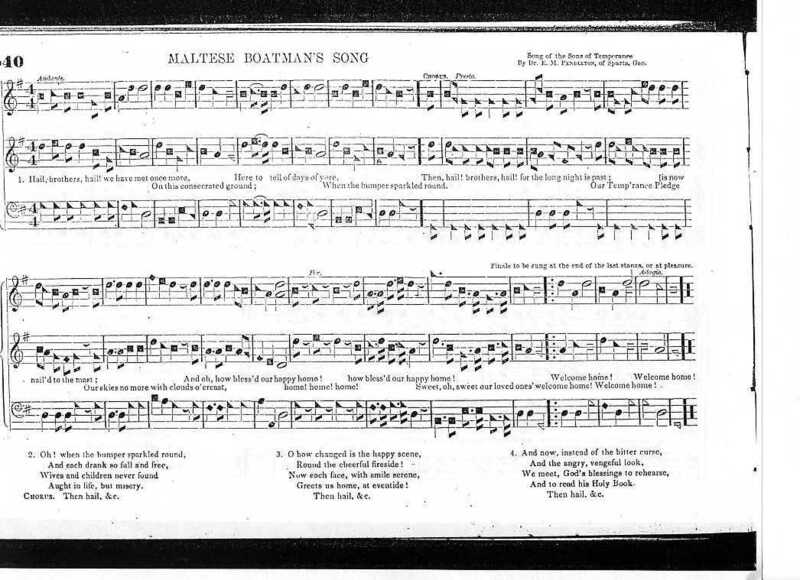 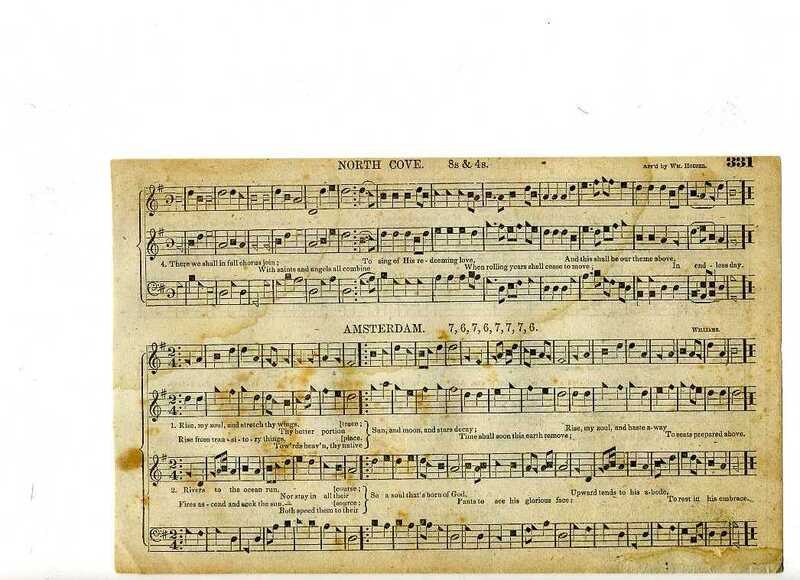 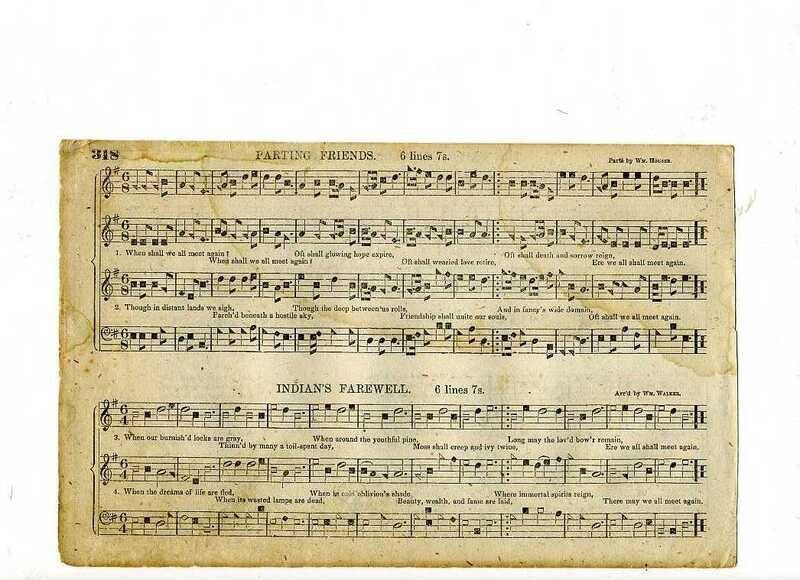 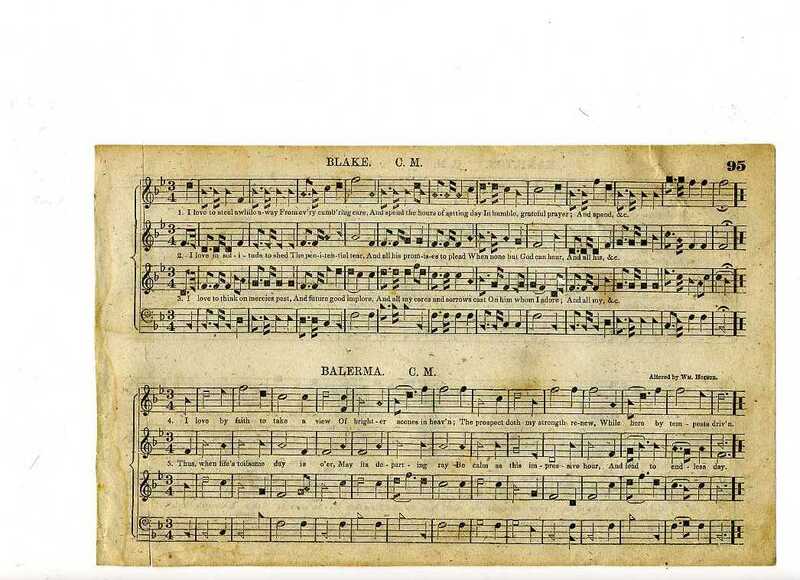 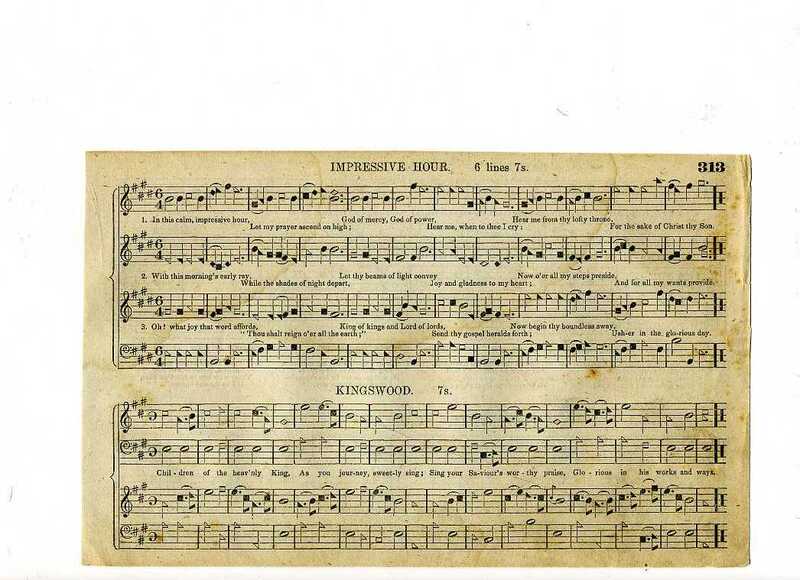 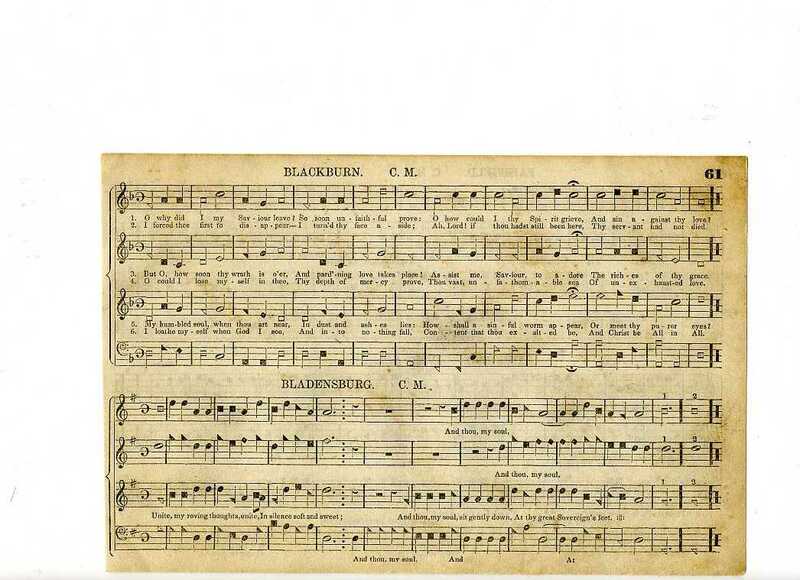 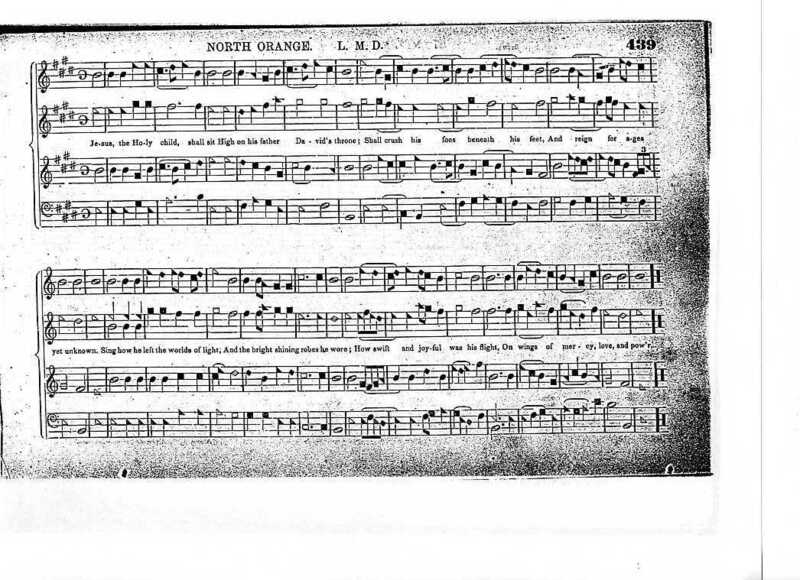 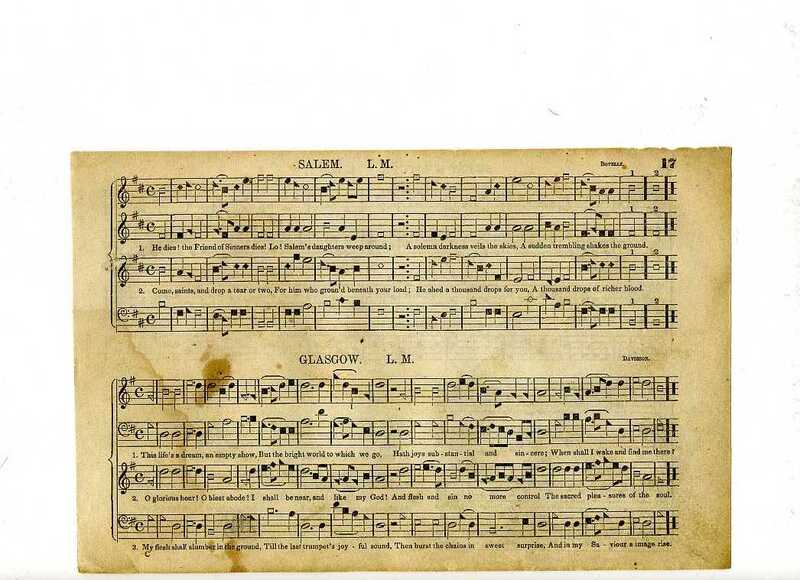 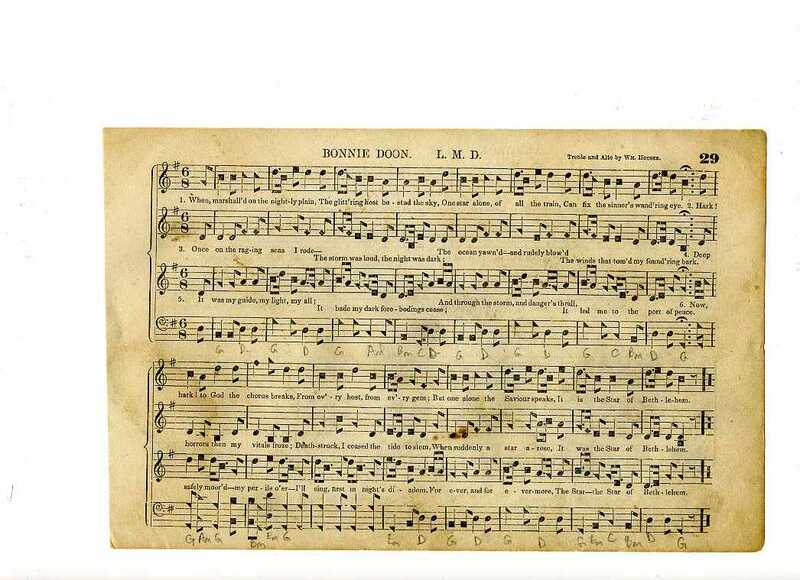 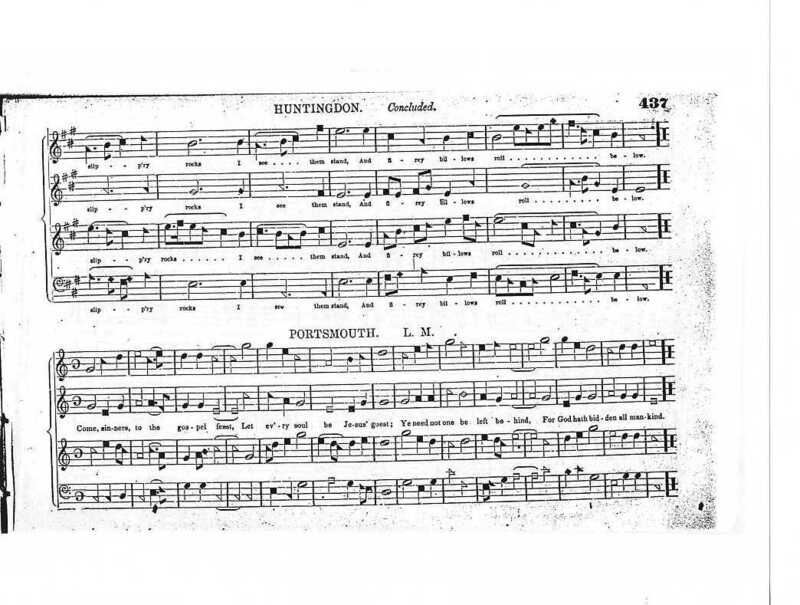 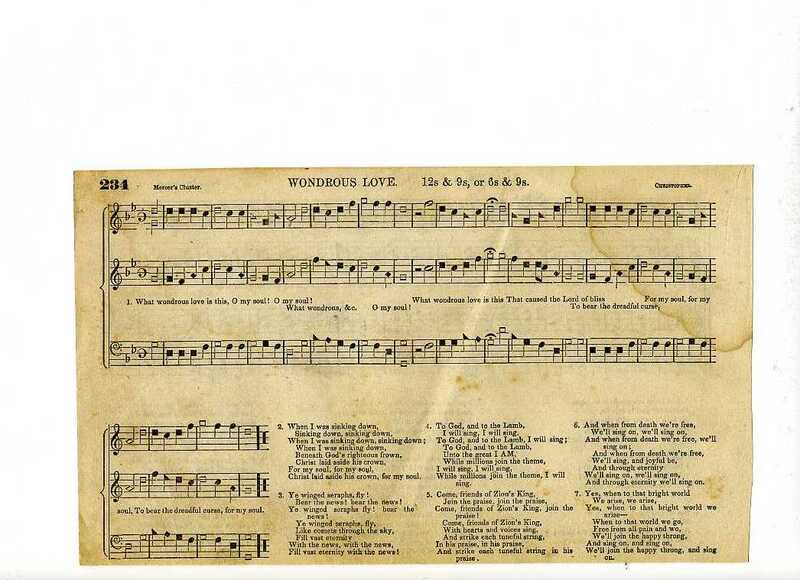 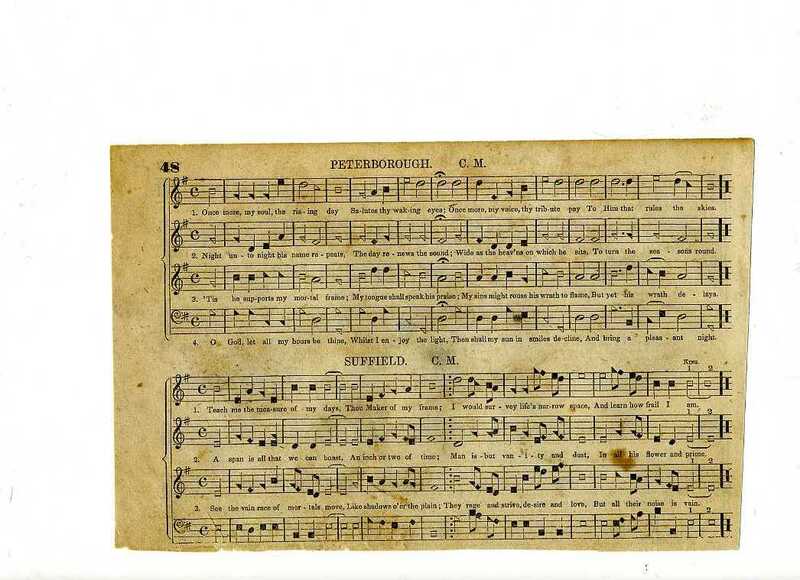 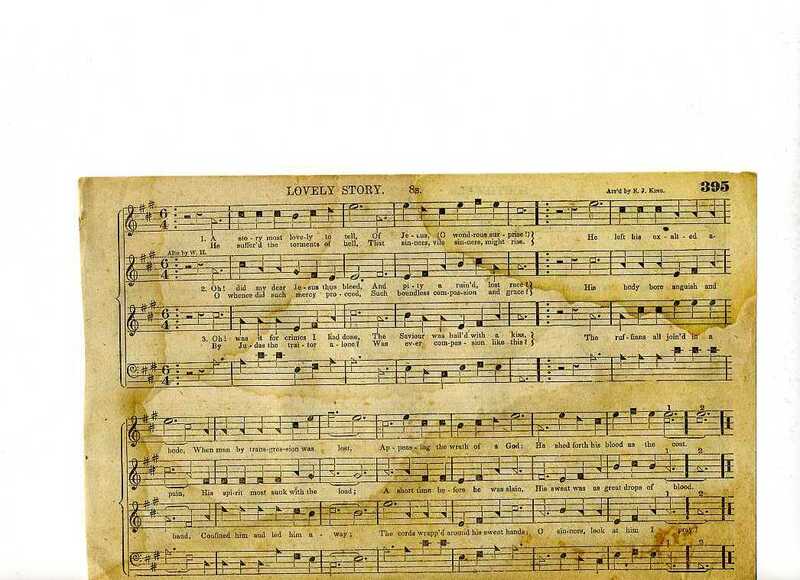 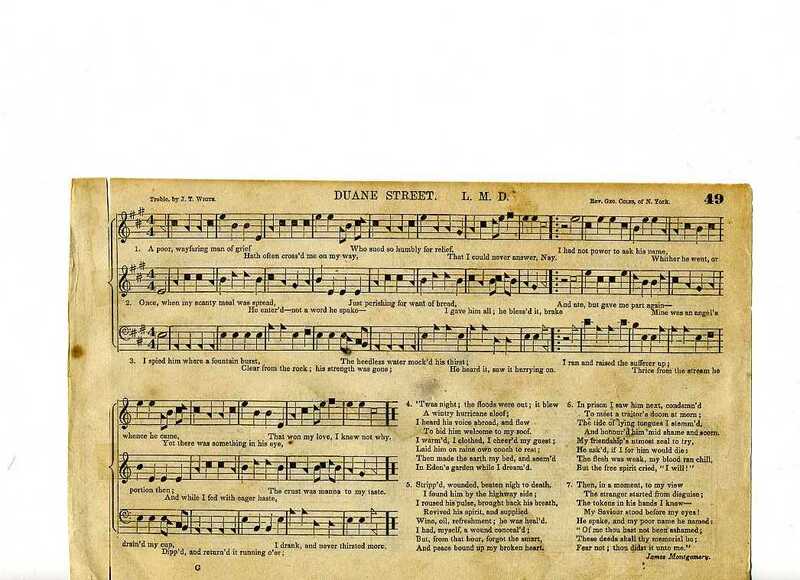 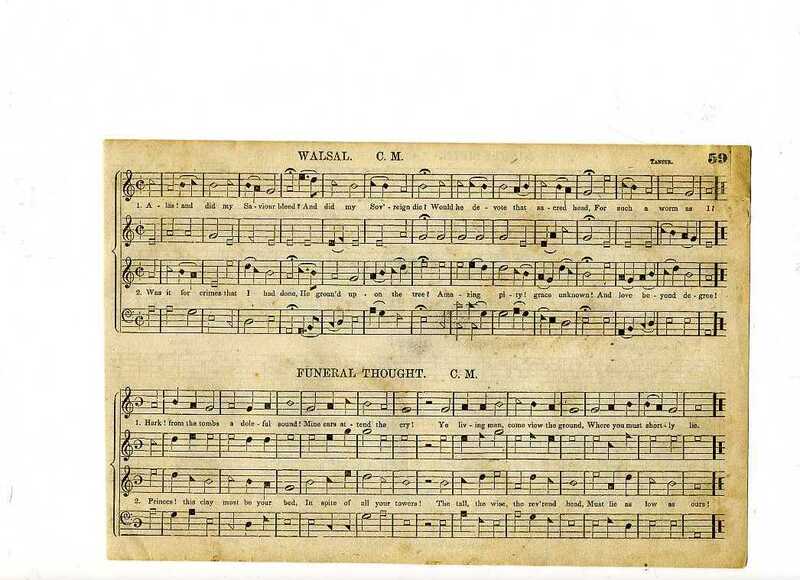 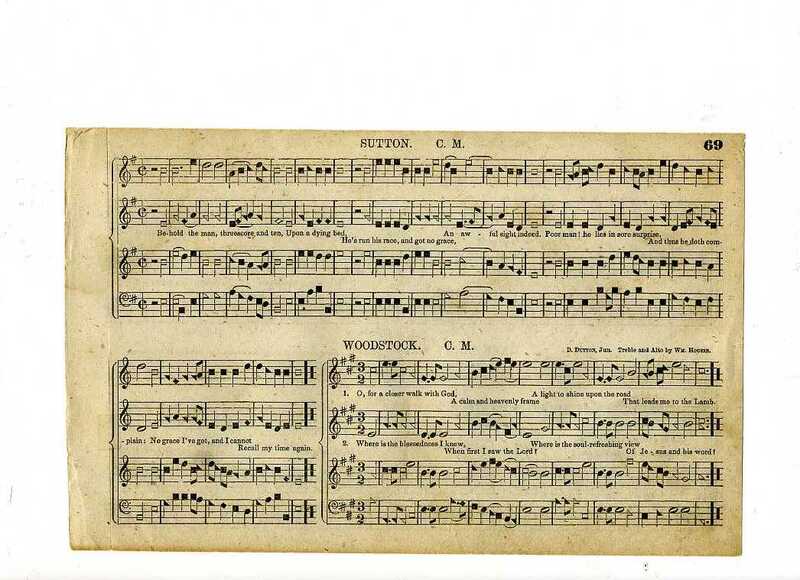 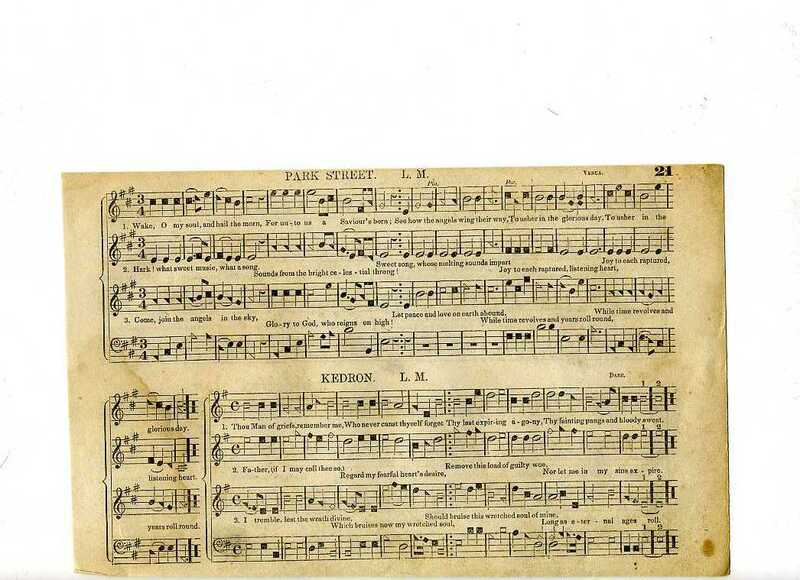 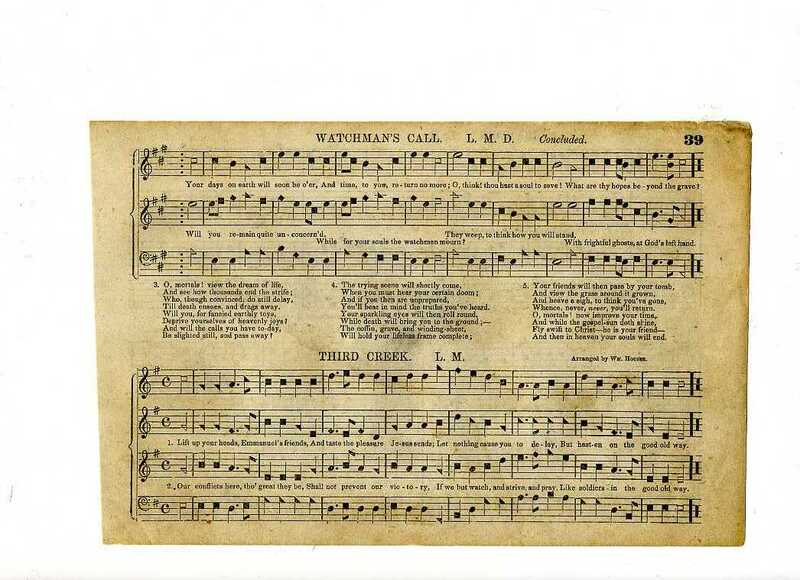 reference to other commonly used tune names refer to those in various Nineteenth Century tune books. 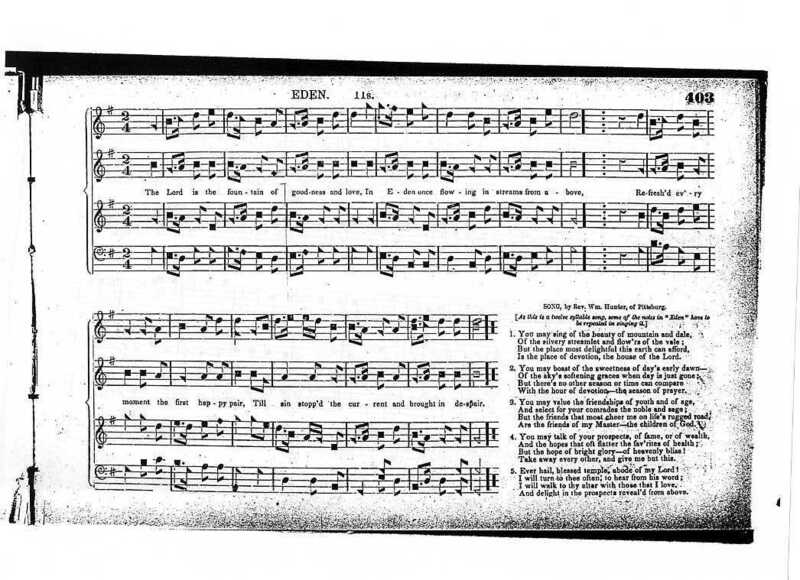 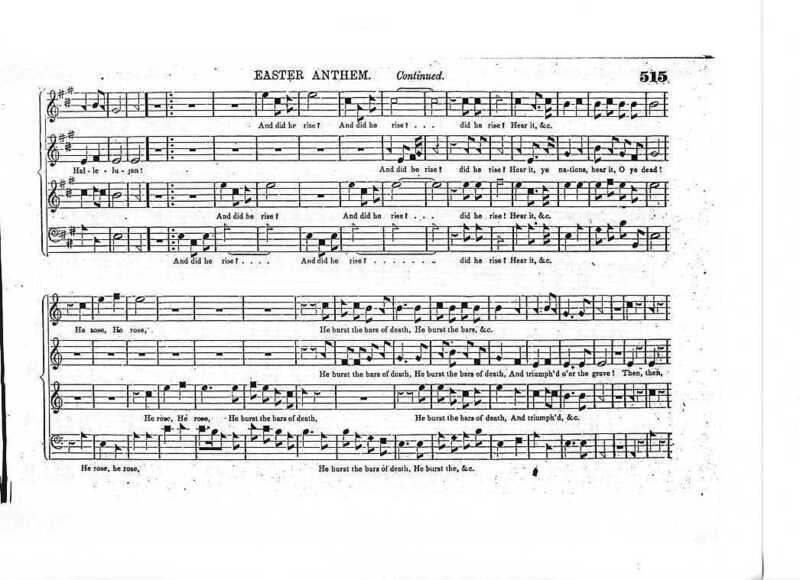 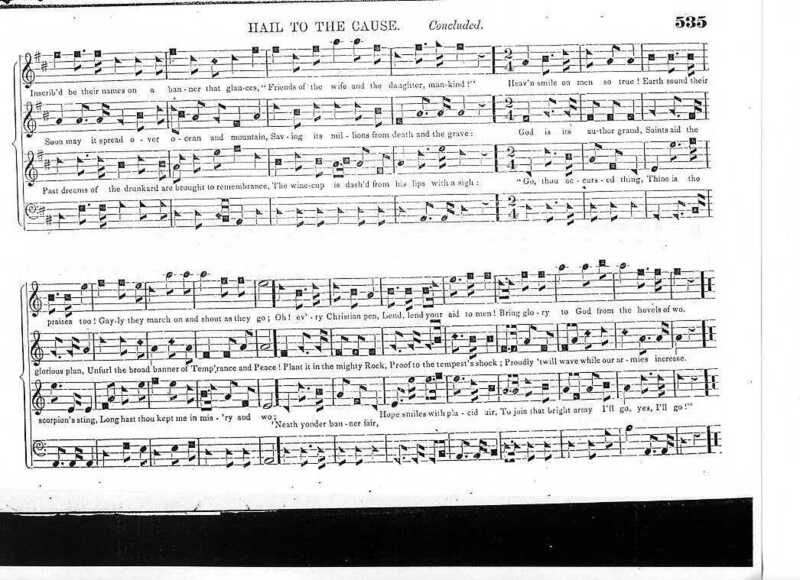 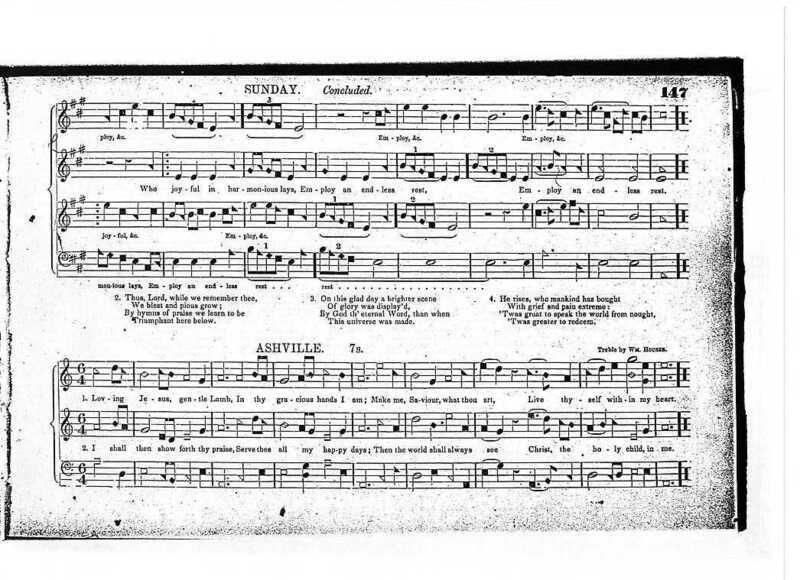 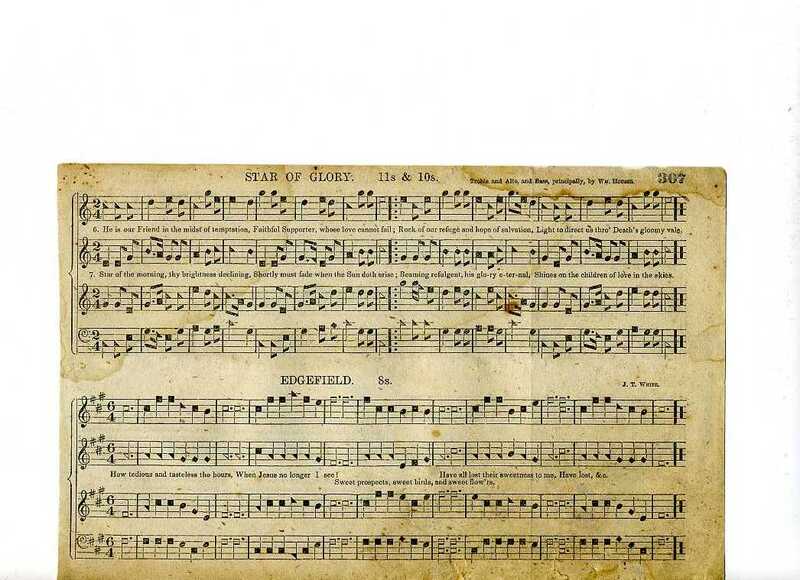 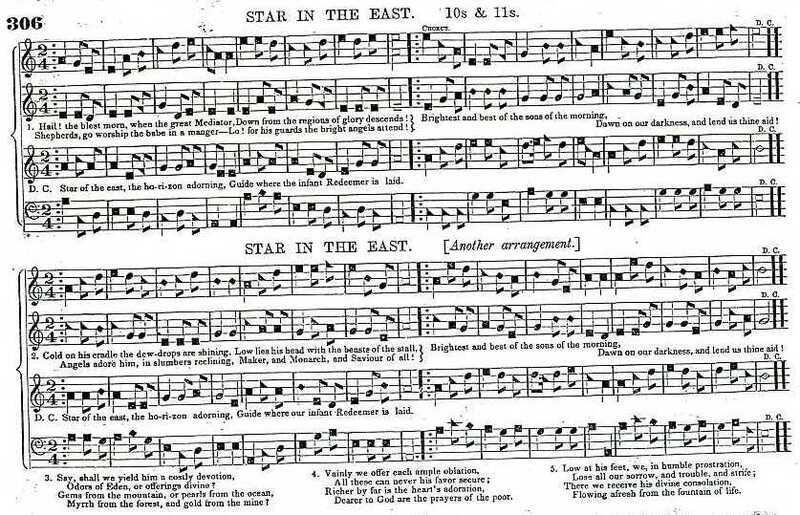 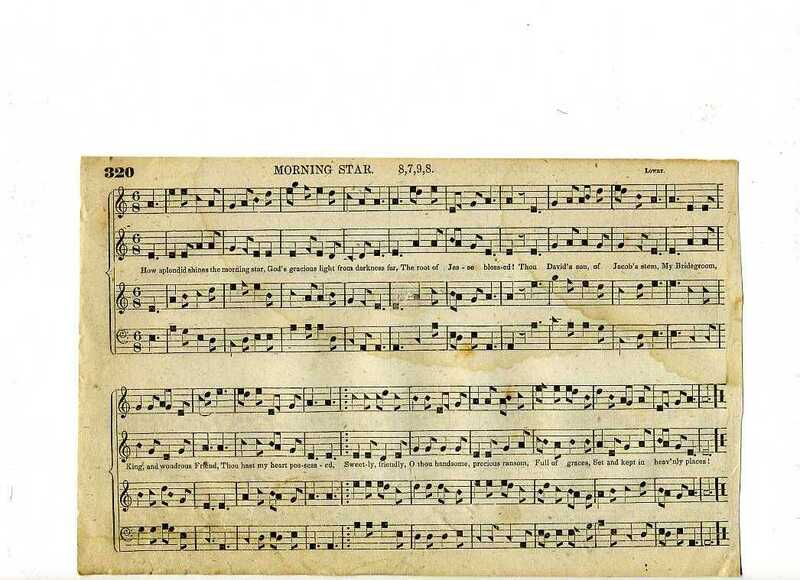 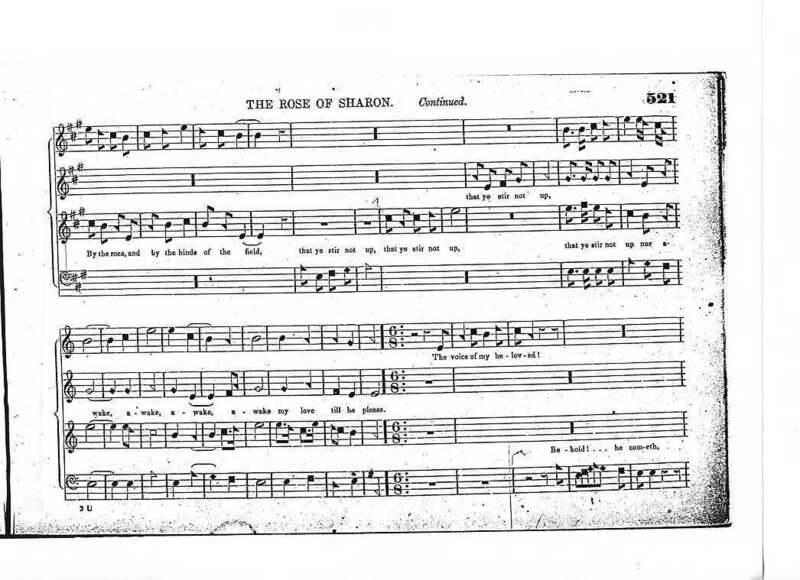 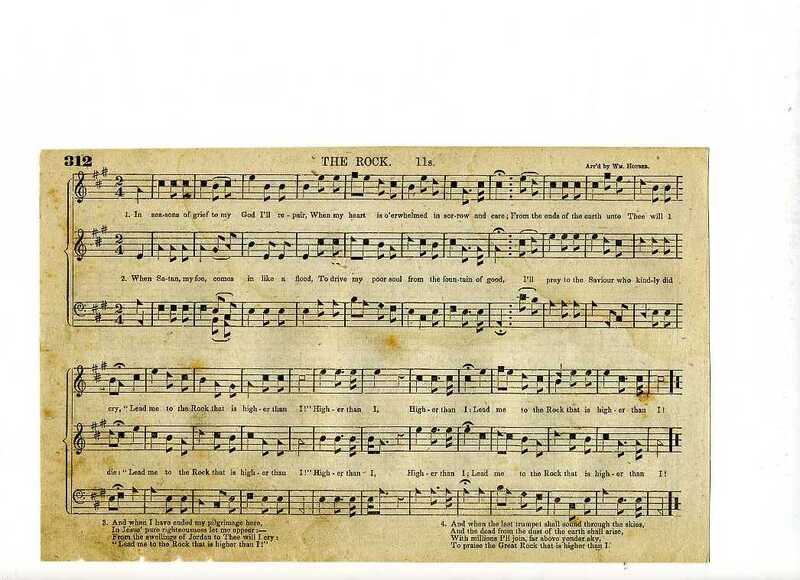 An asterisk* indicates that a title is NOT the title having exactly the same name in The Sacred Harp 1991.